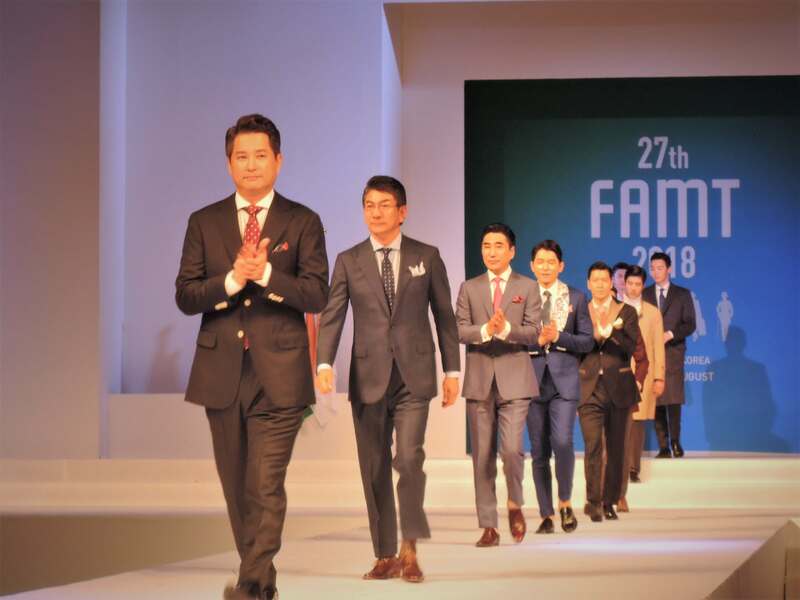 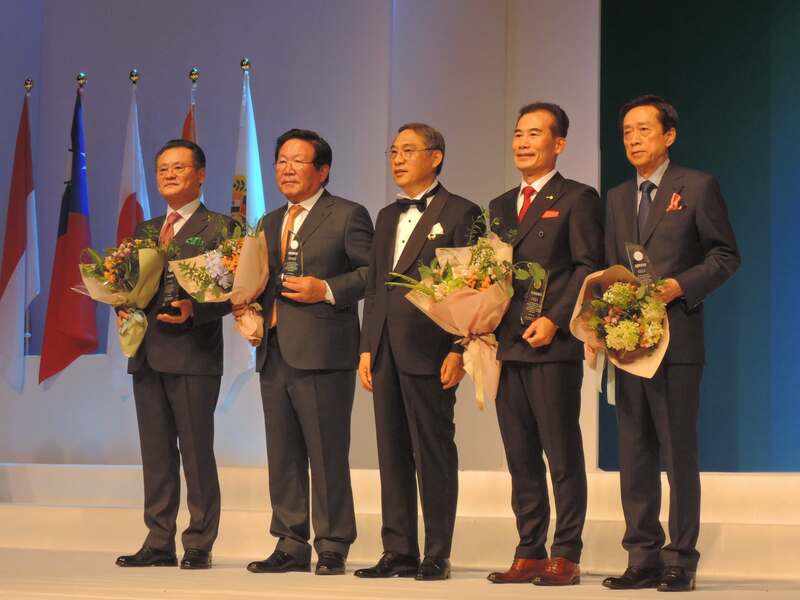 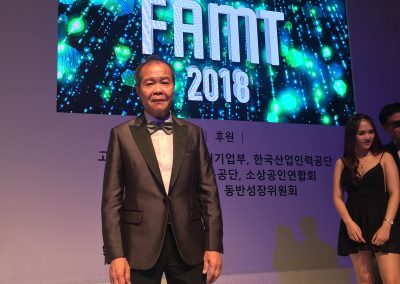 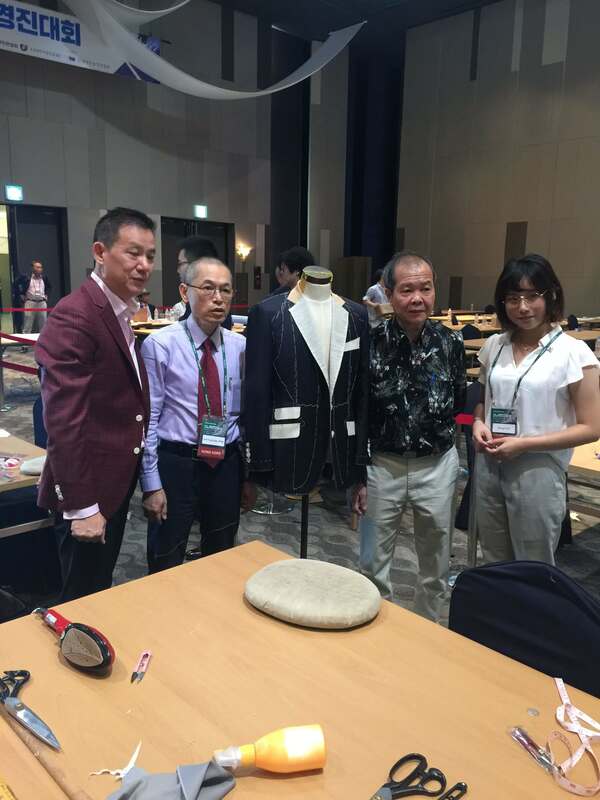 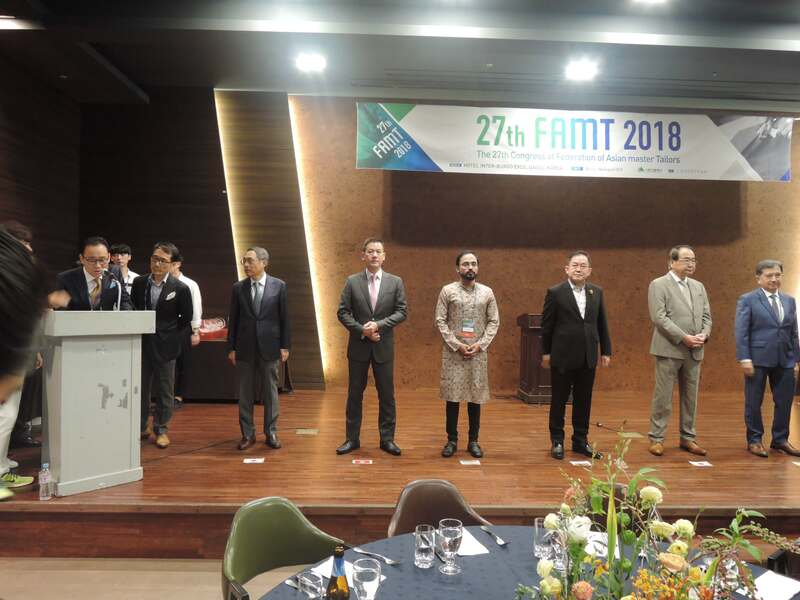 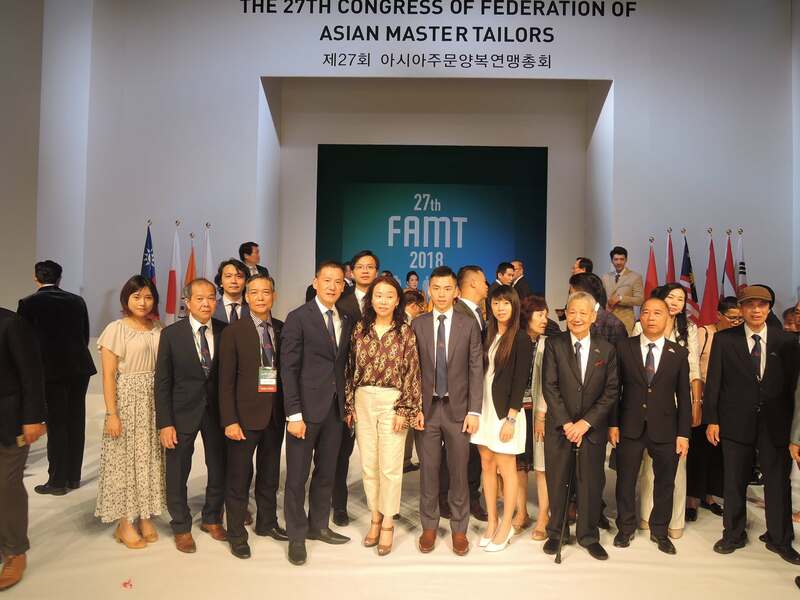 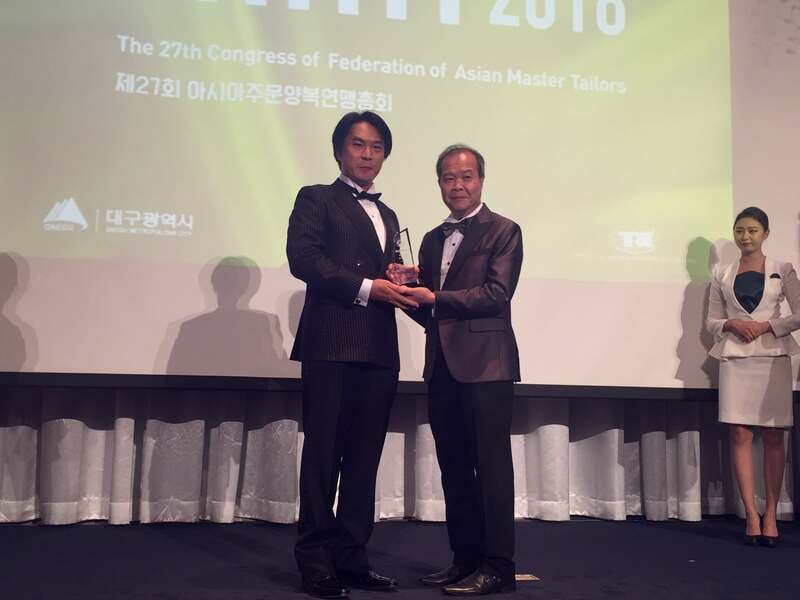 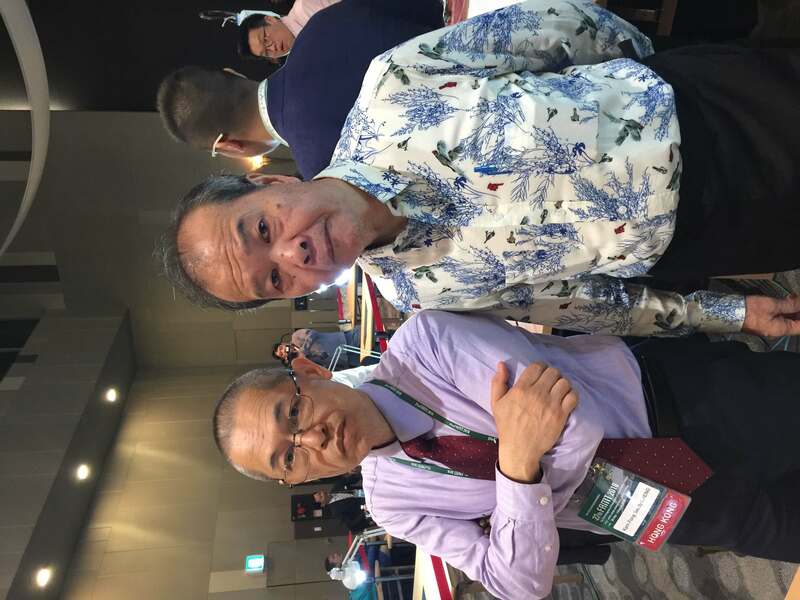 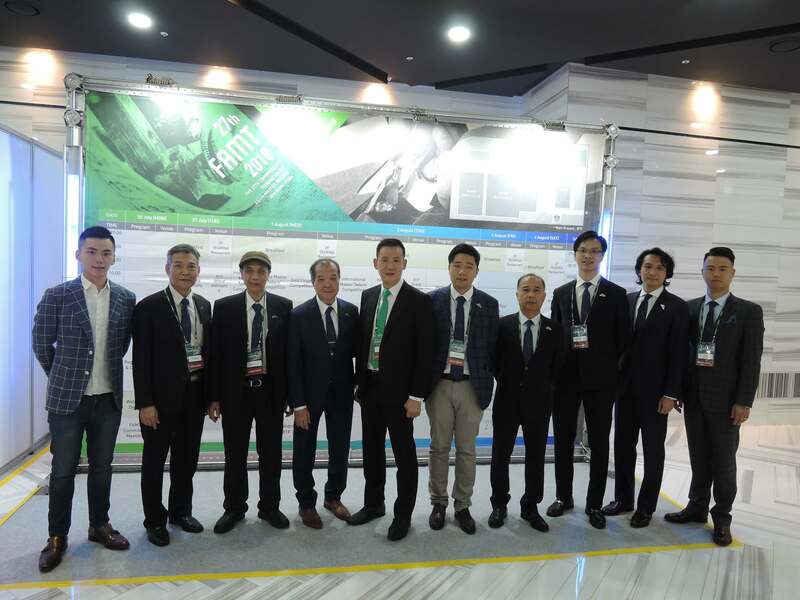 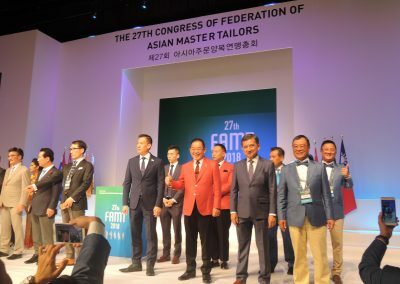 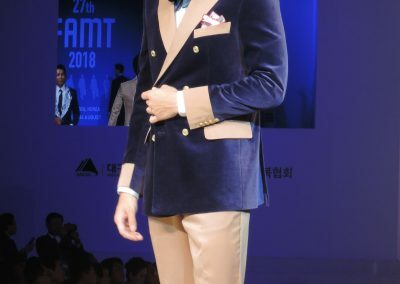 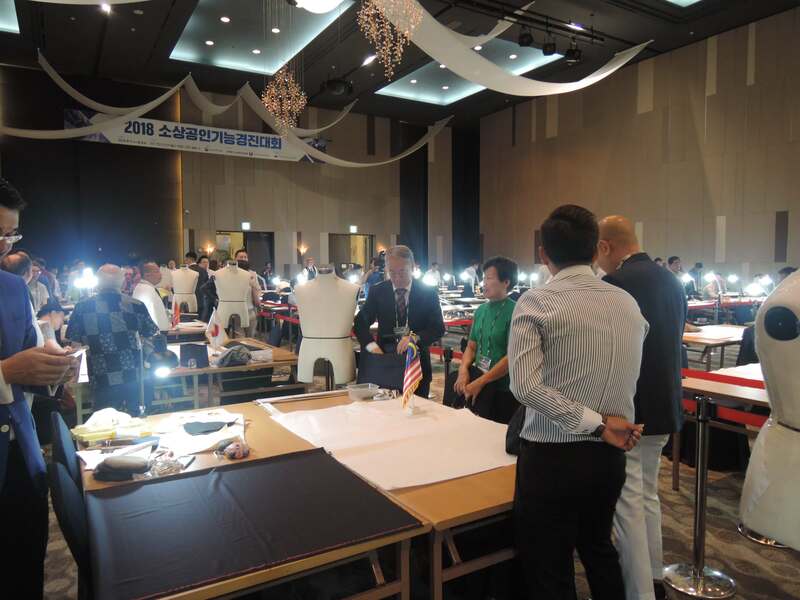 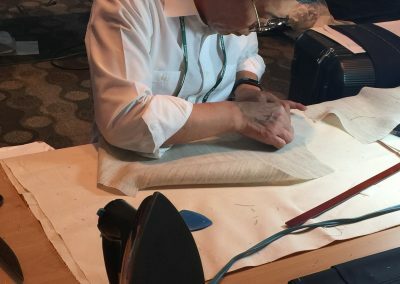 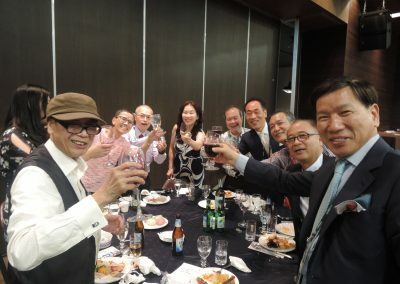 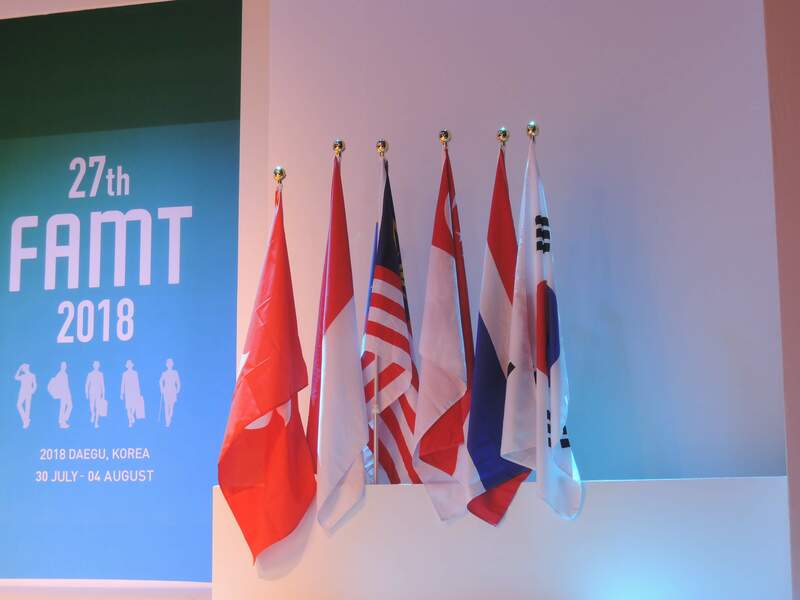 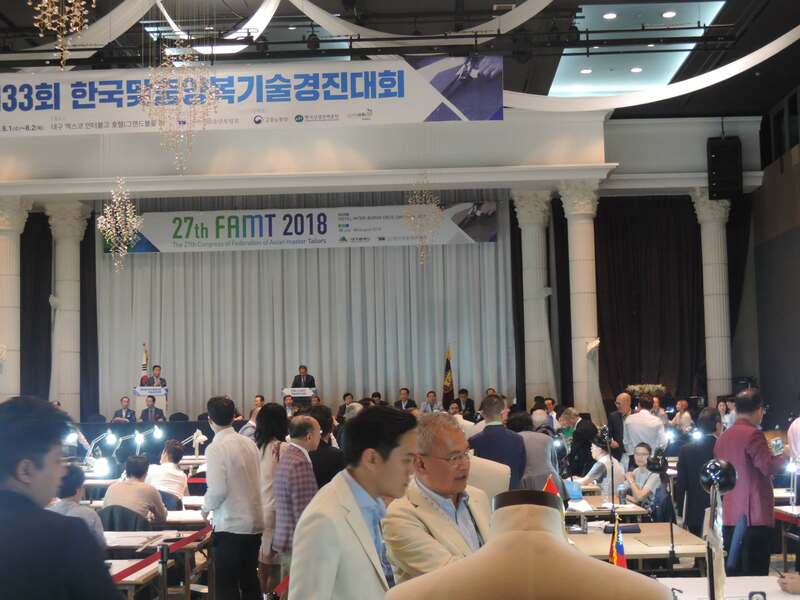 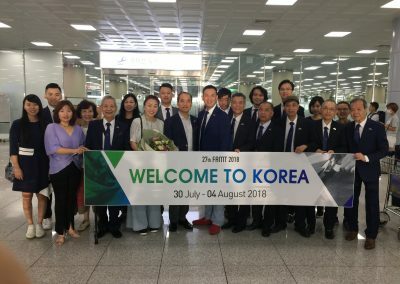 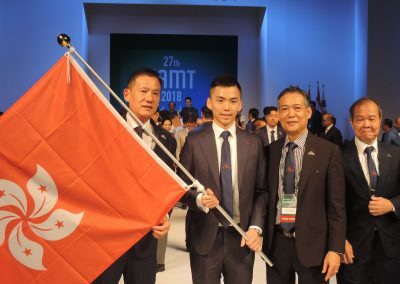 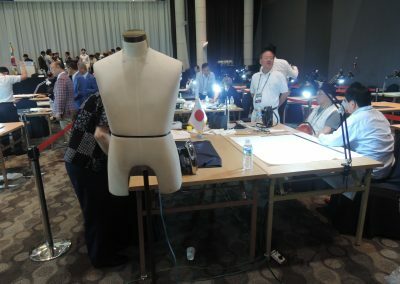 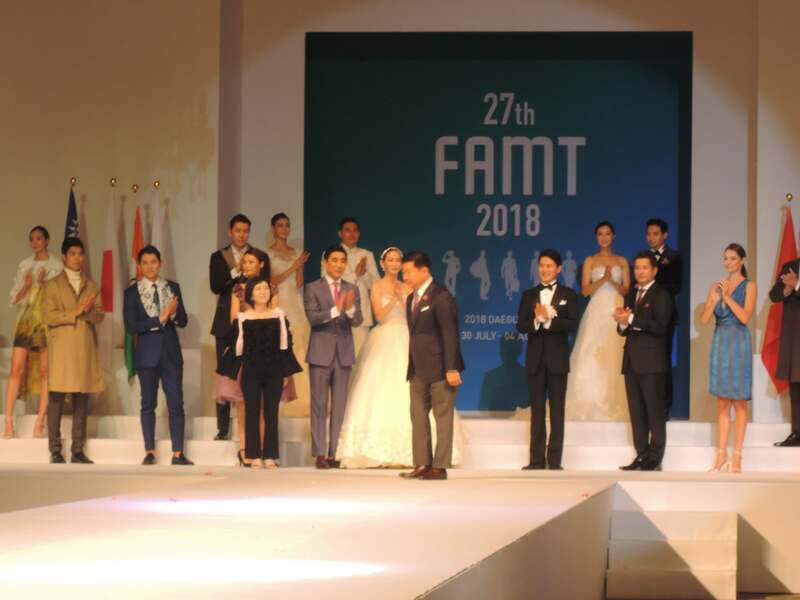 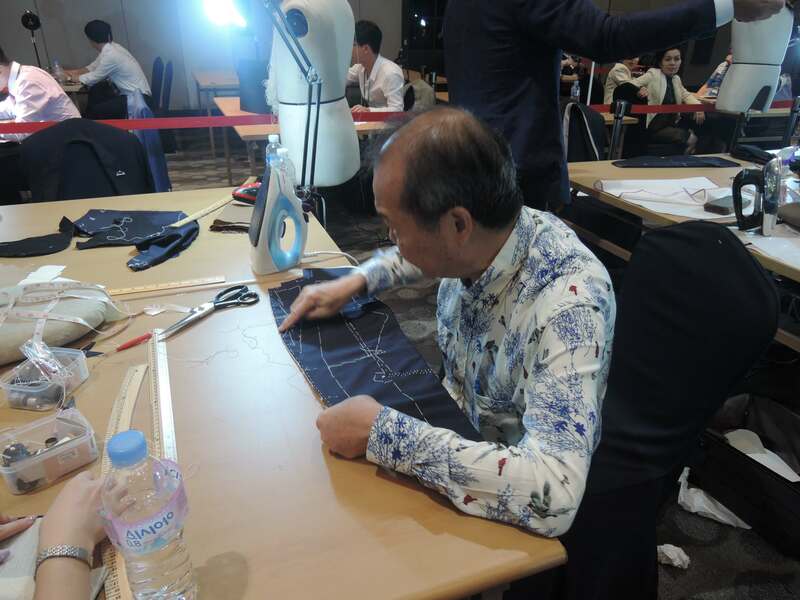 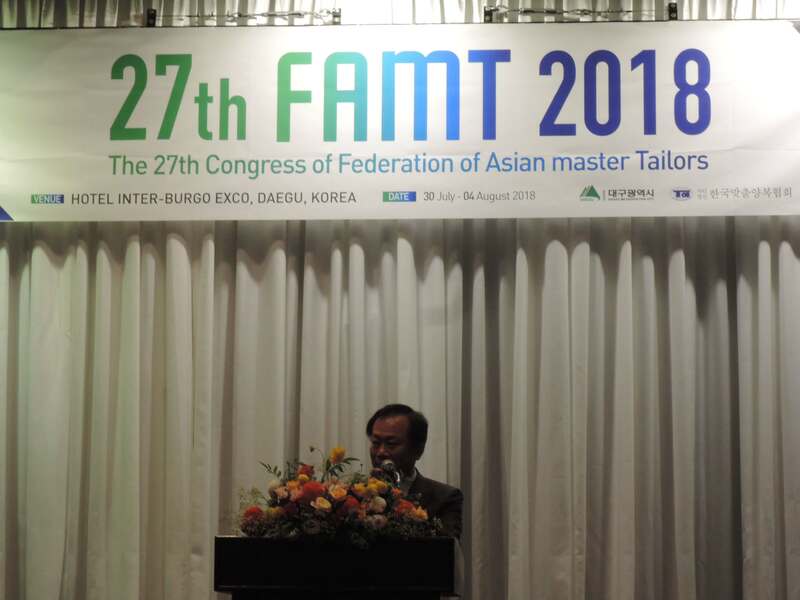 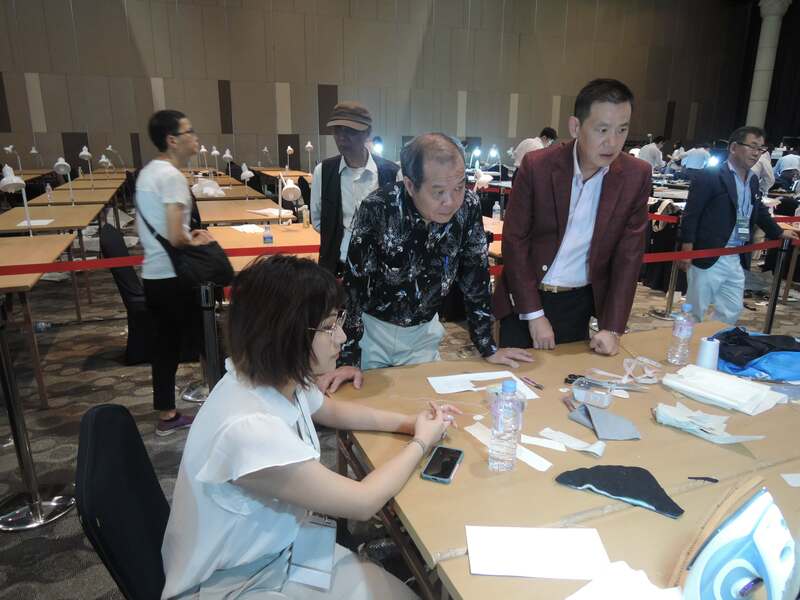 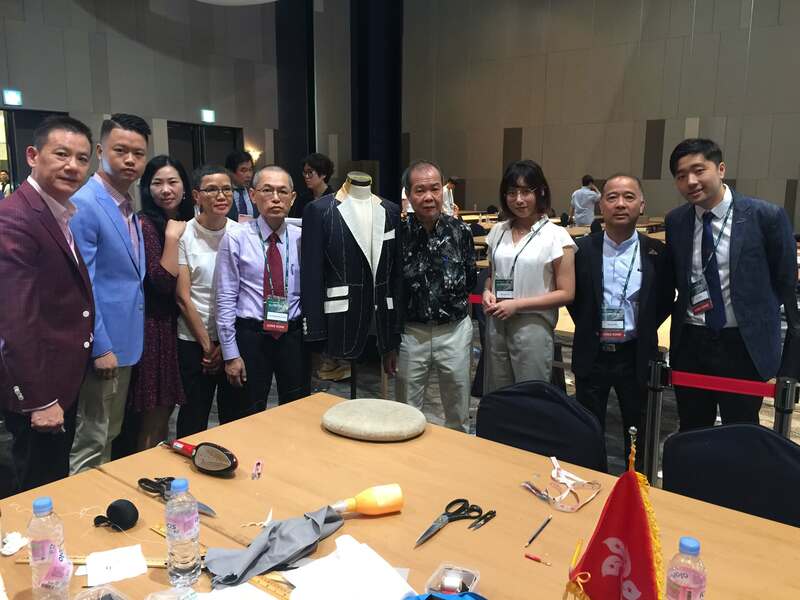 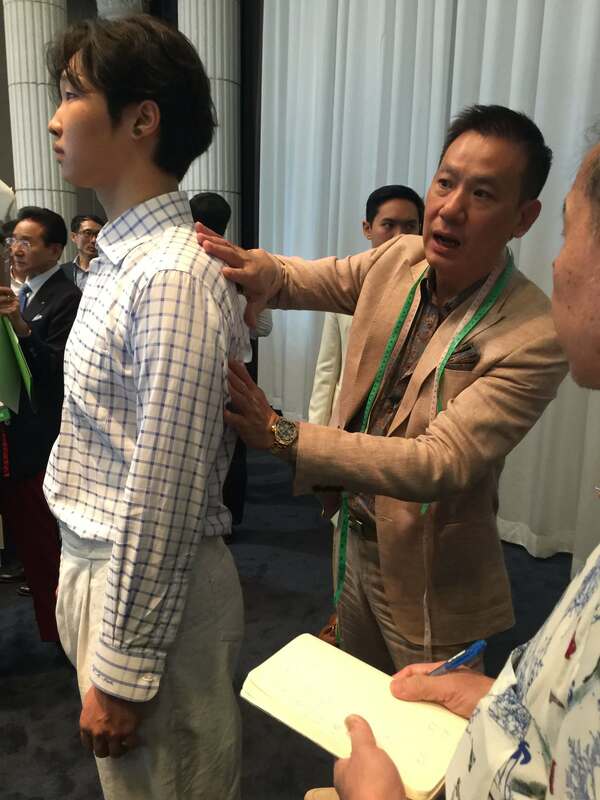 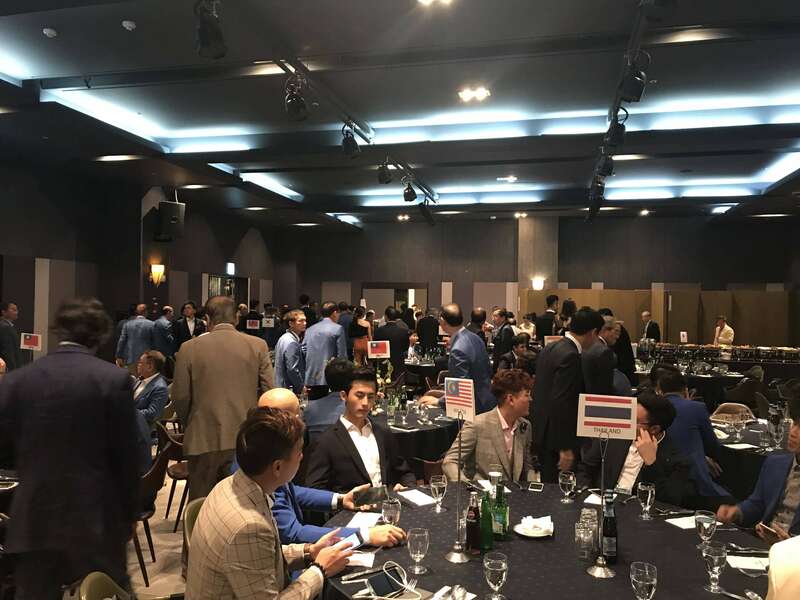 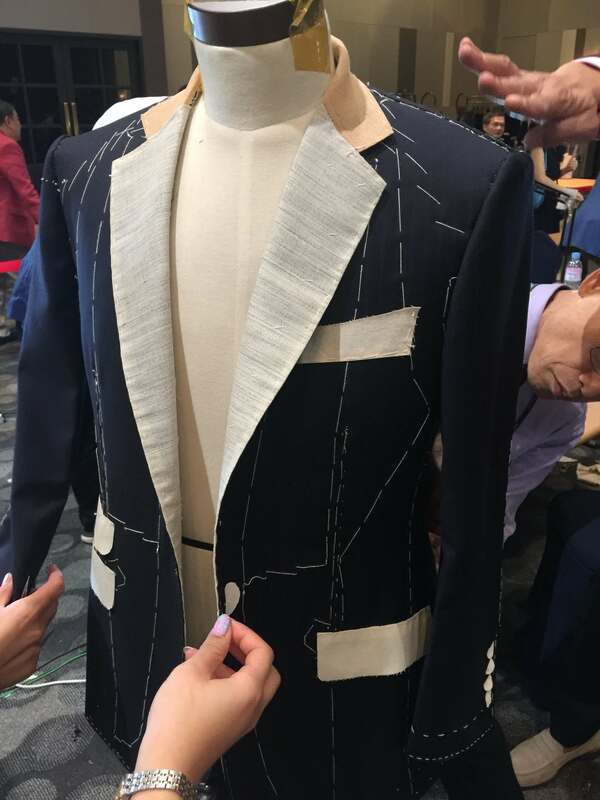 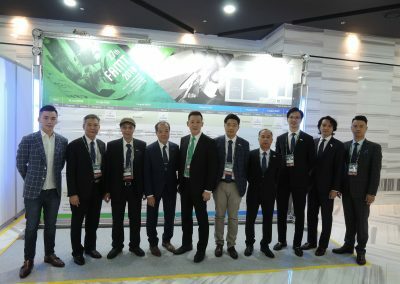 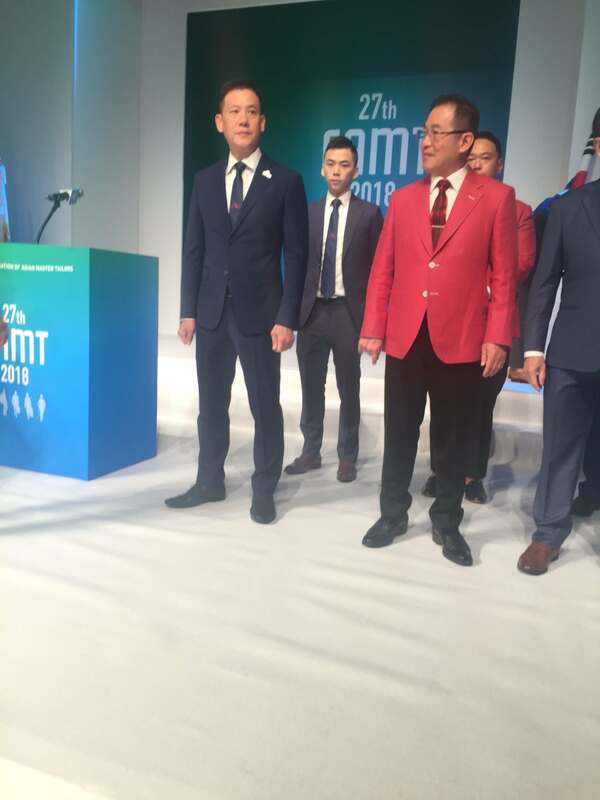 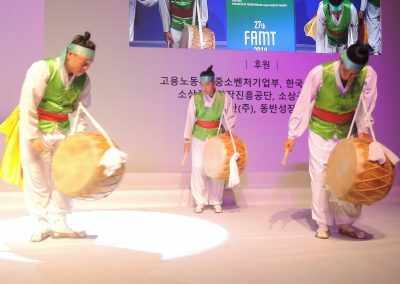 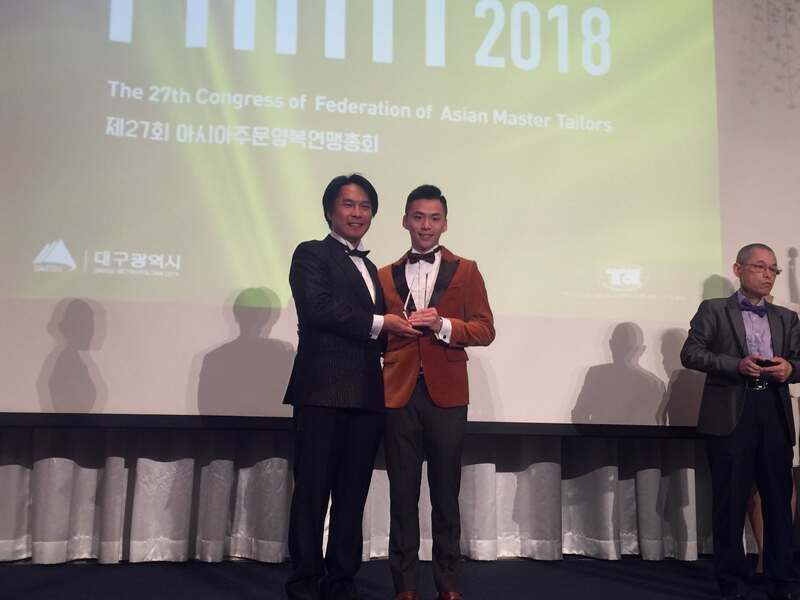 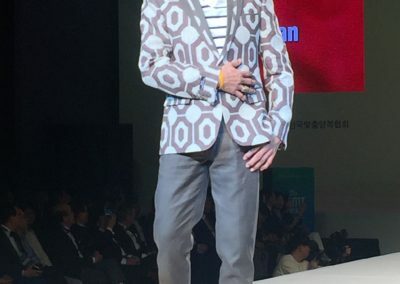 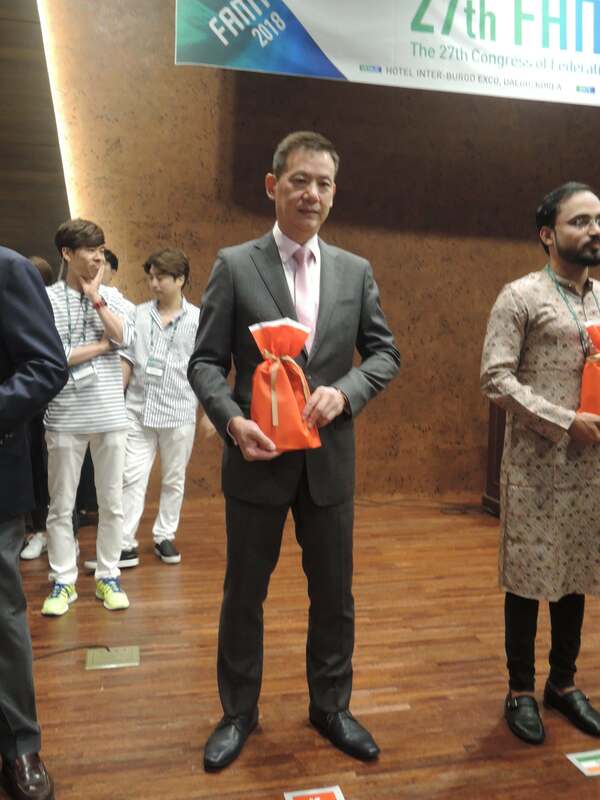 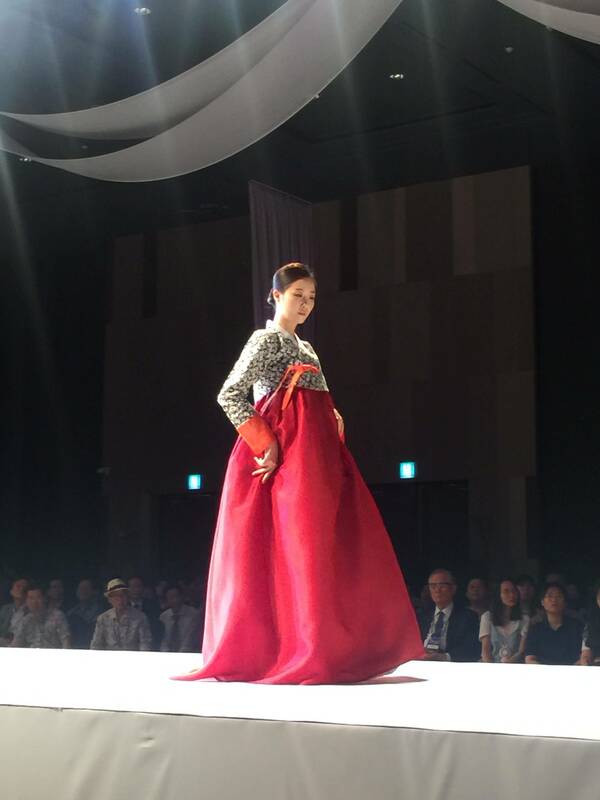 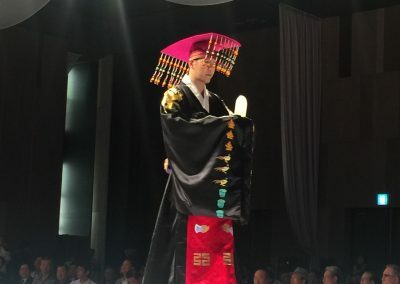 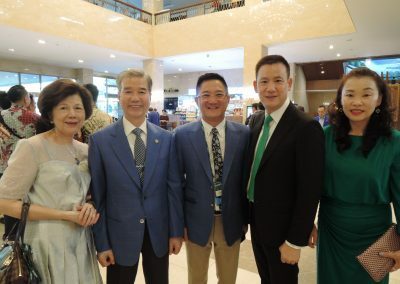 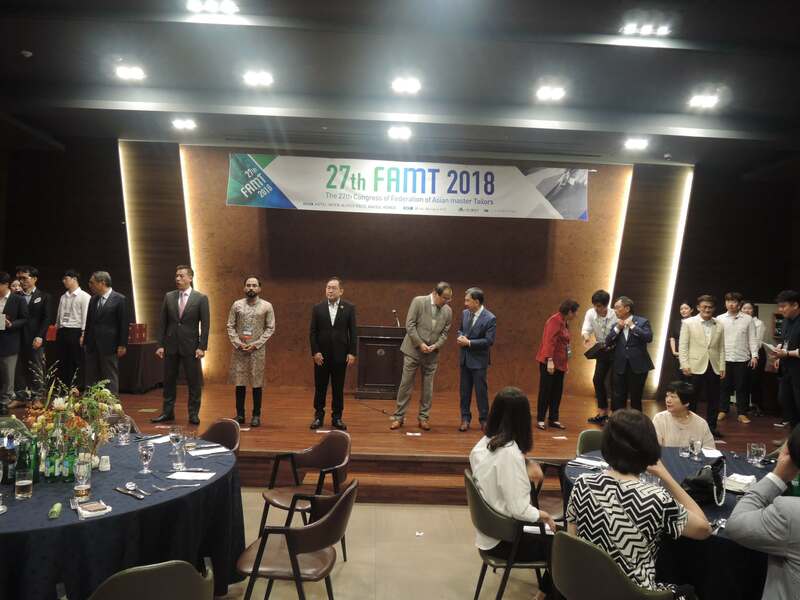 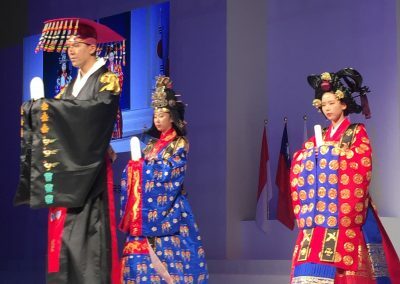 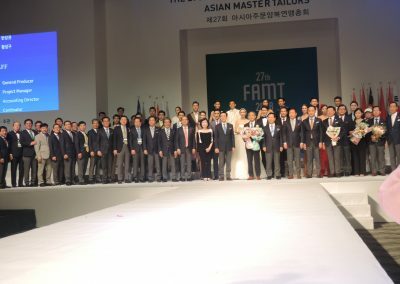 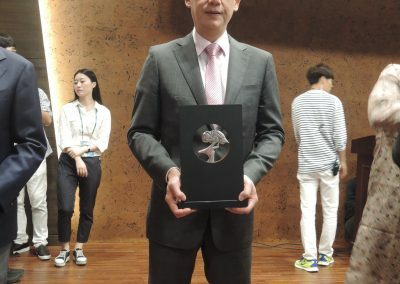 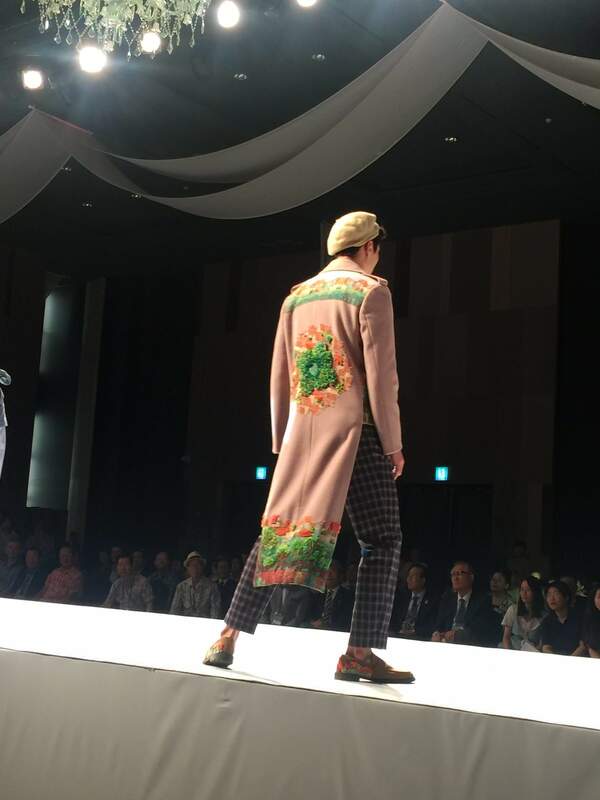 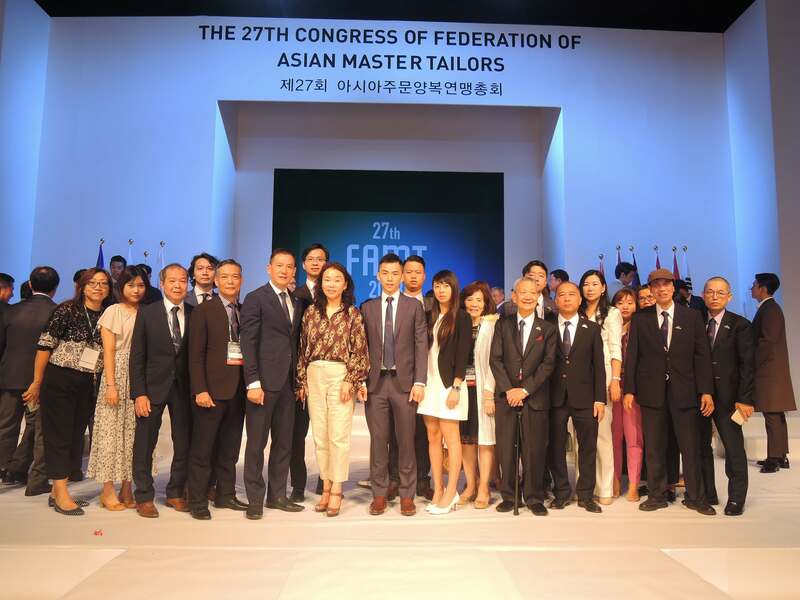 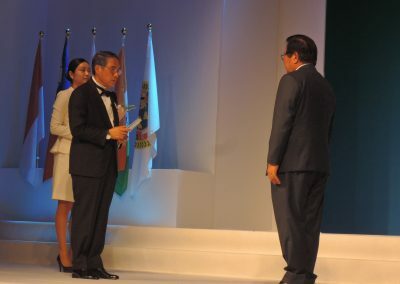 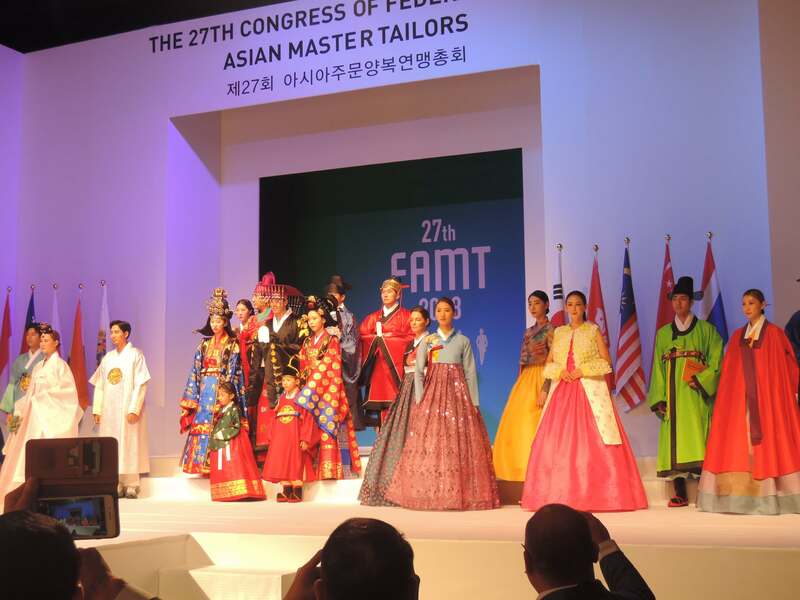 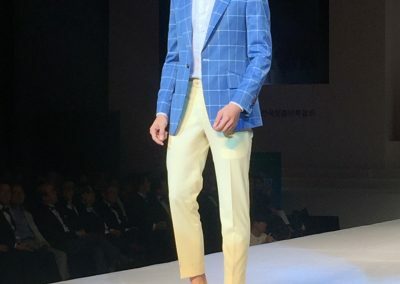 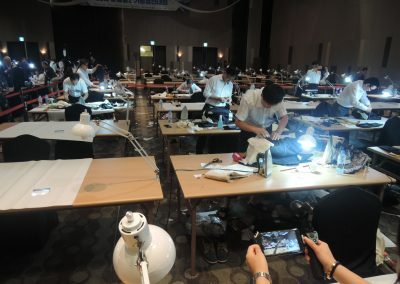 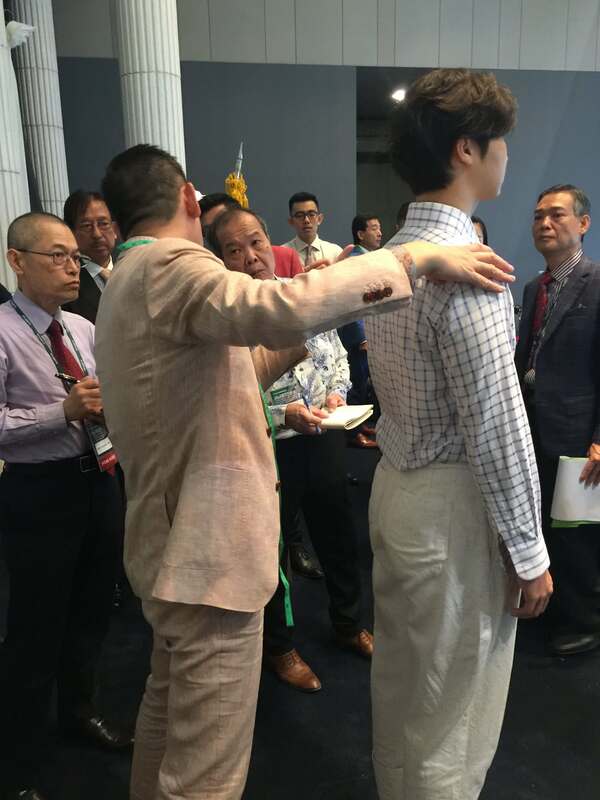 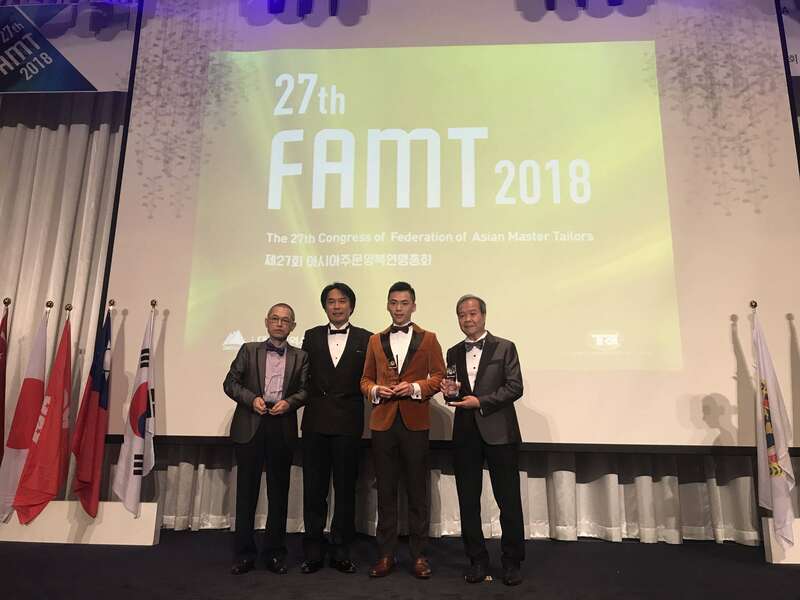 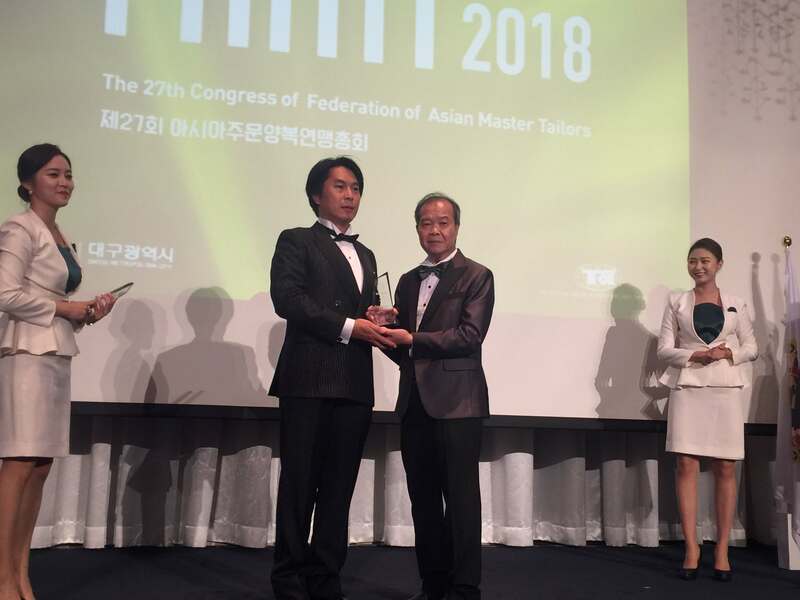 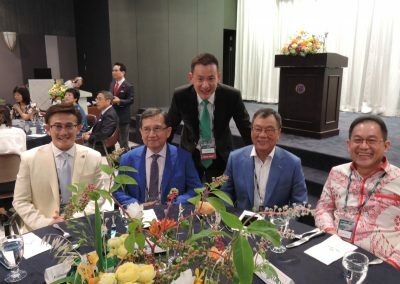 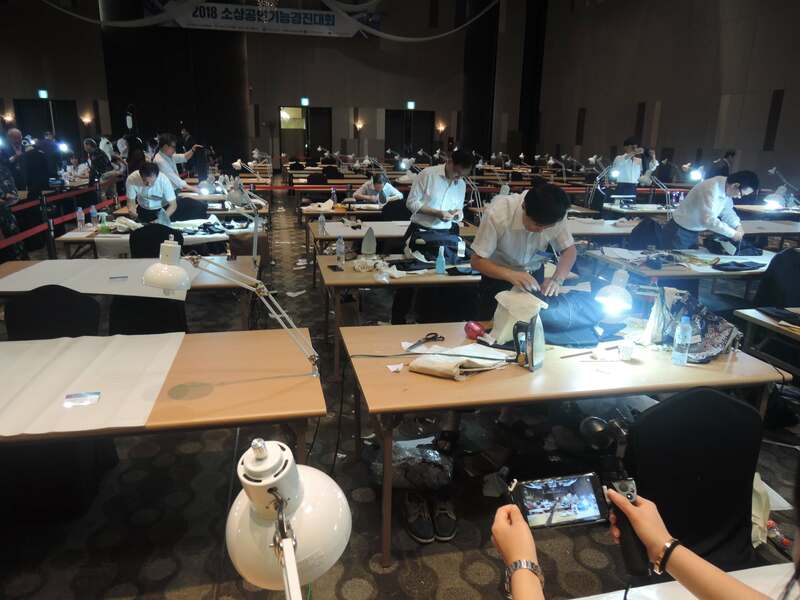 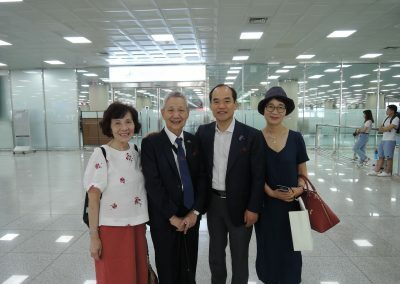 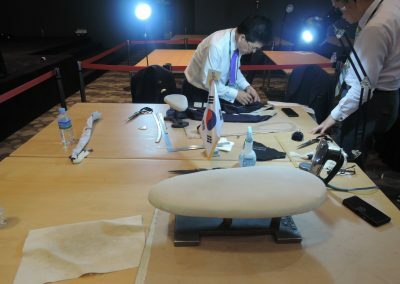 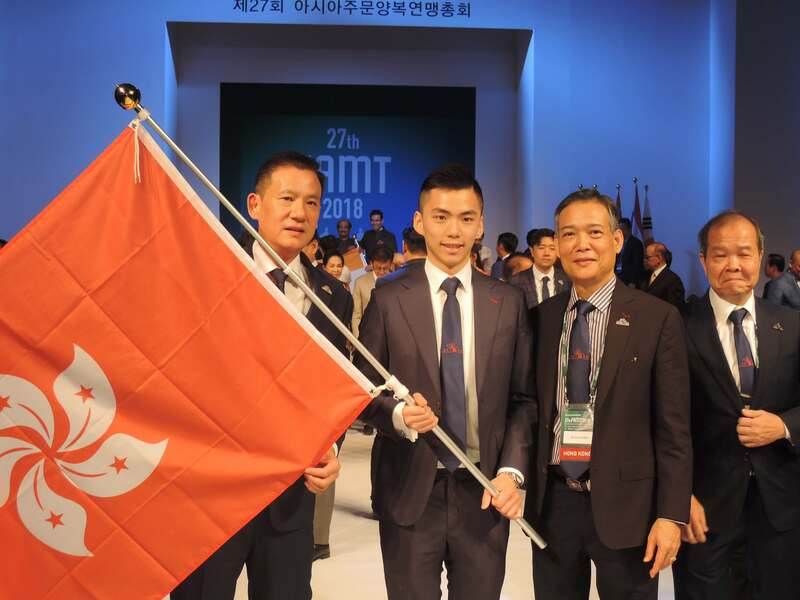 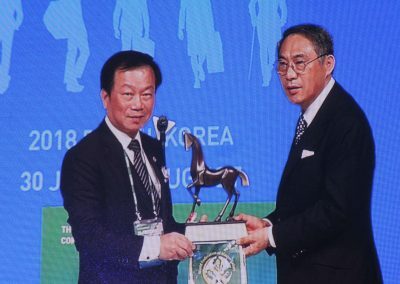 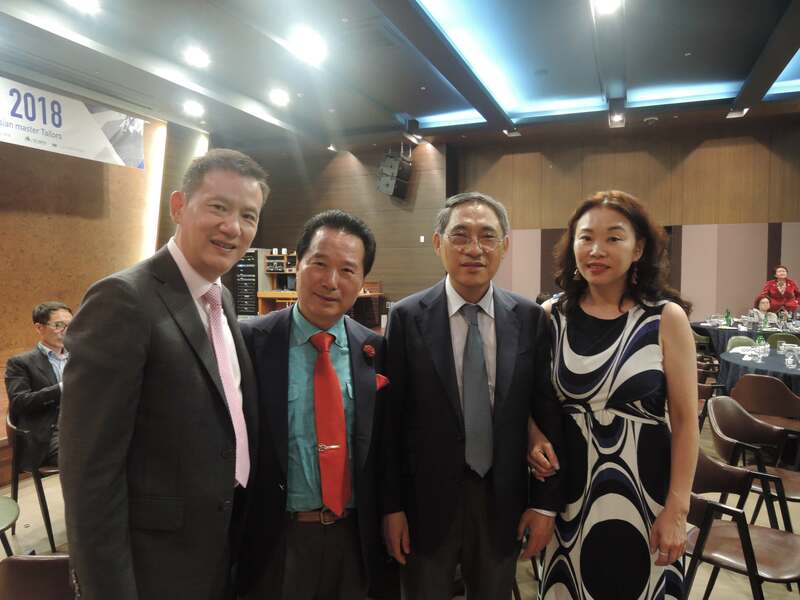 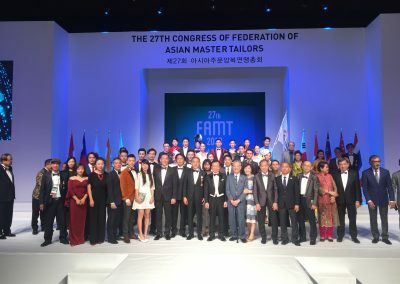 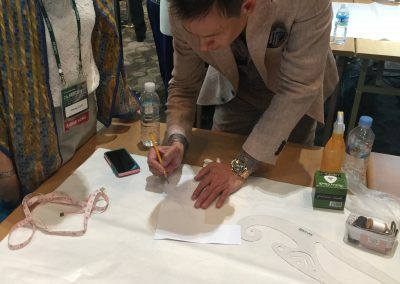 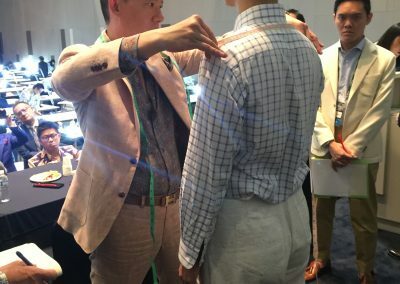 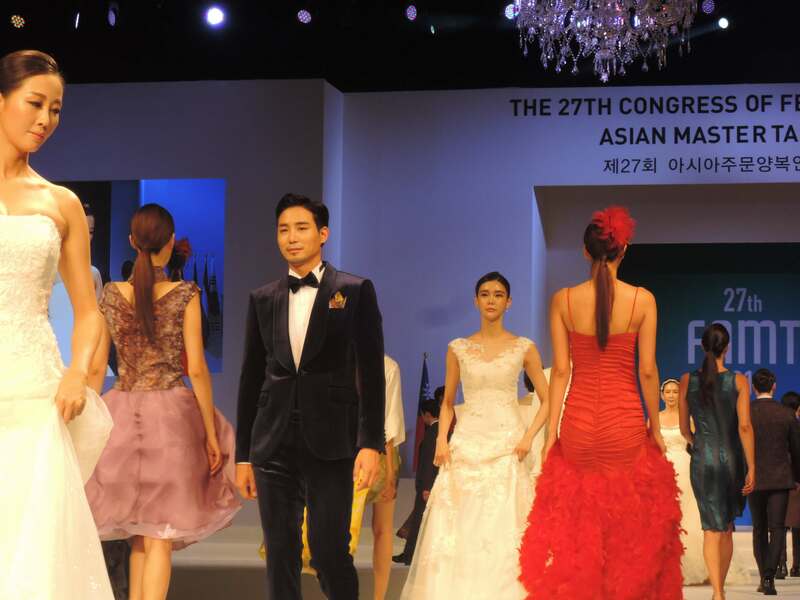 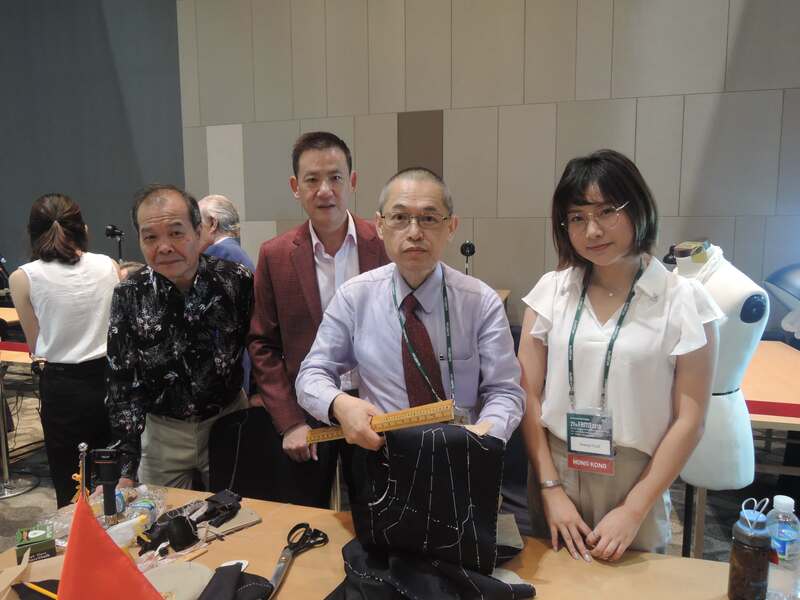 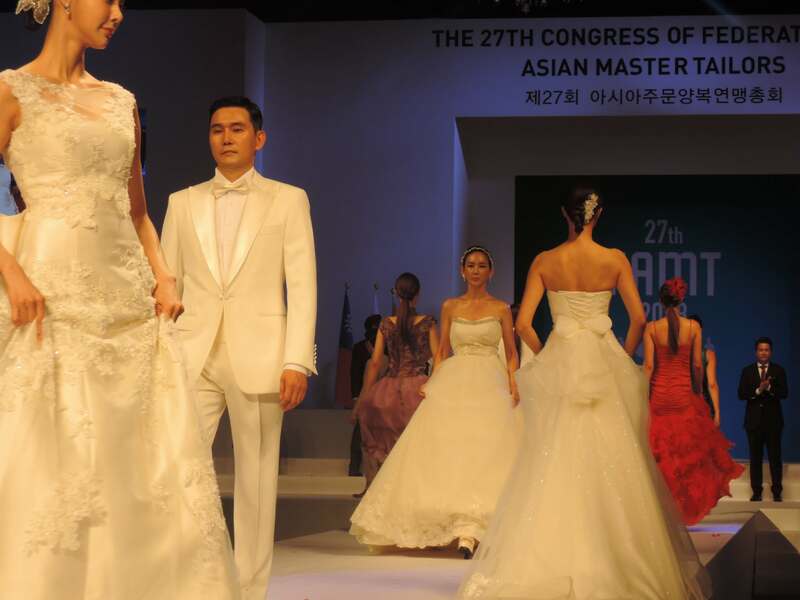 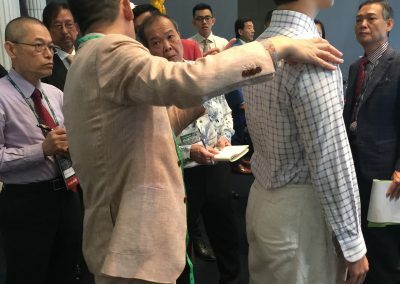 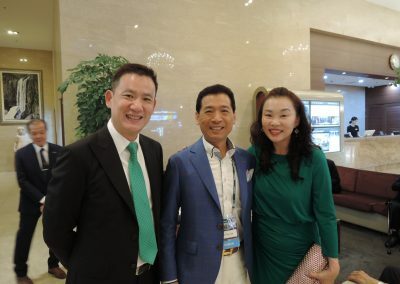 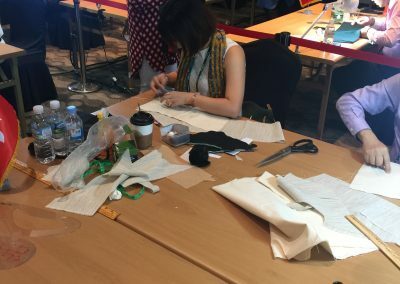 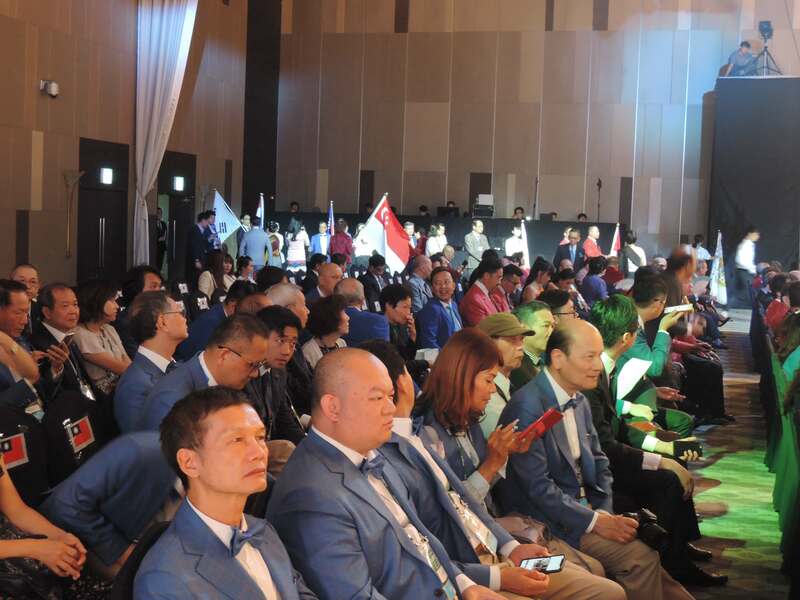 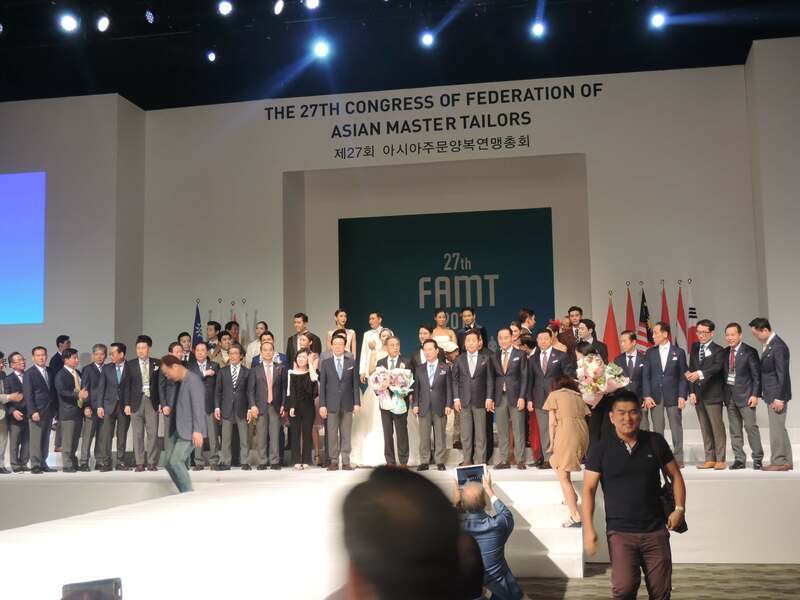 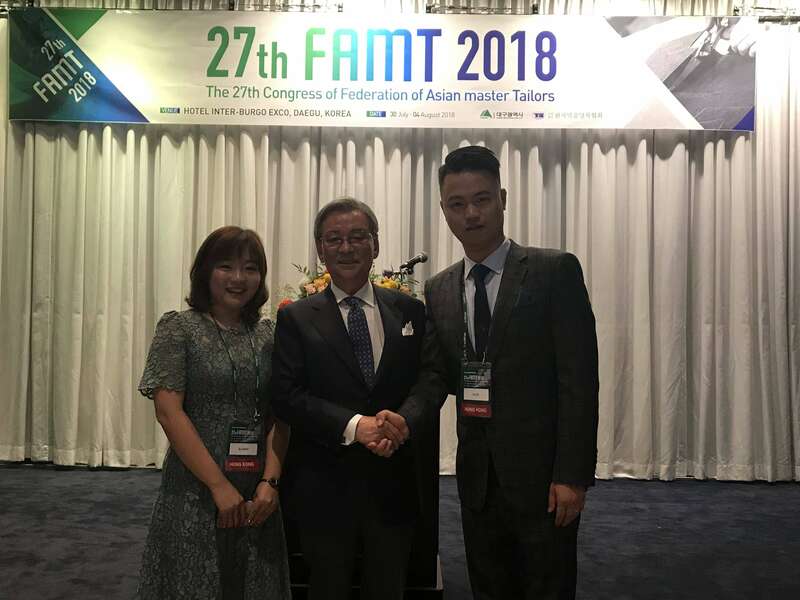 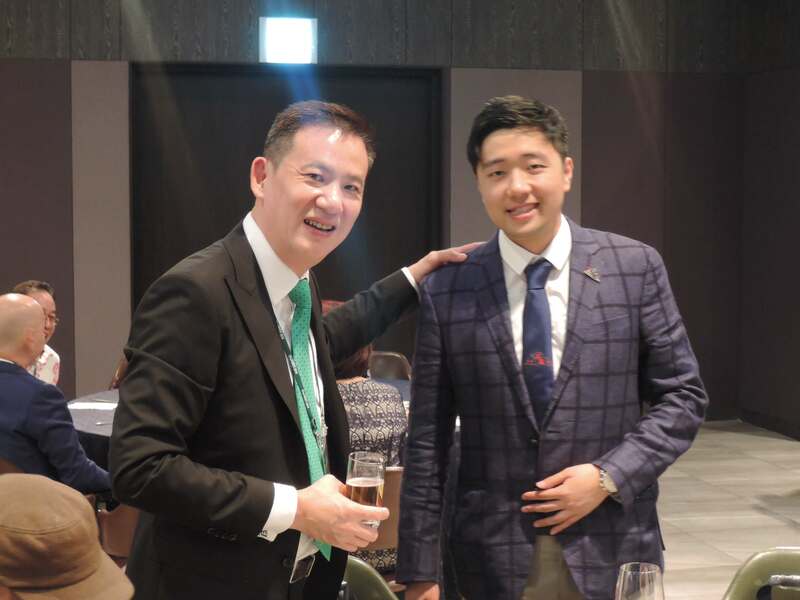 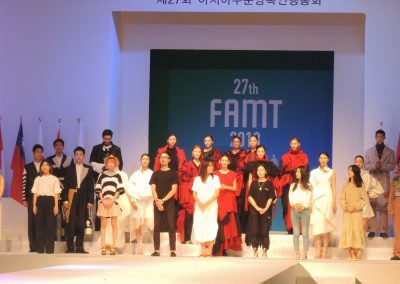 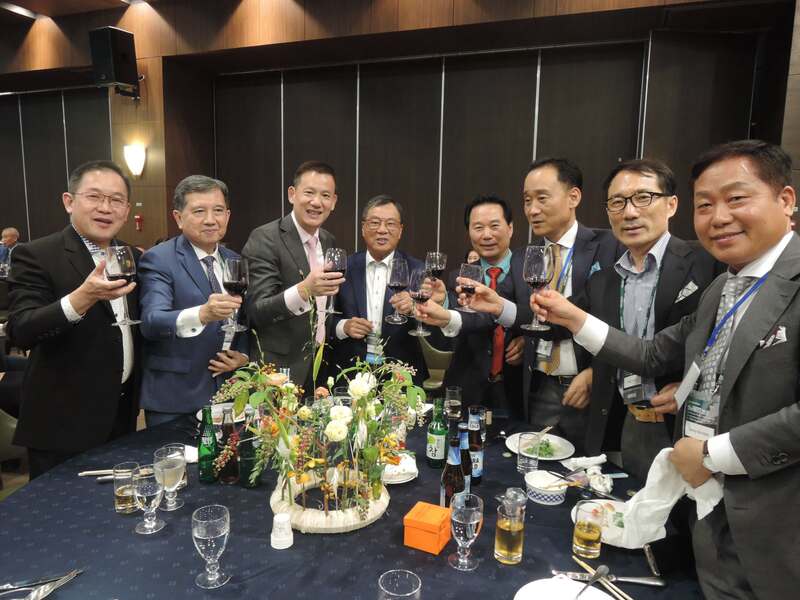 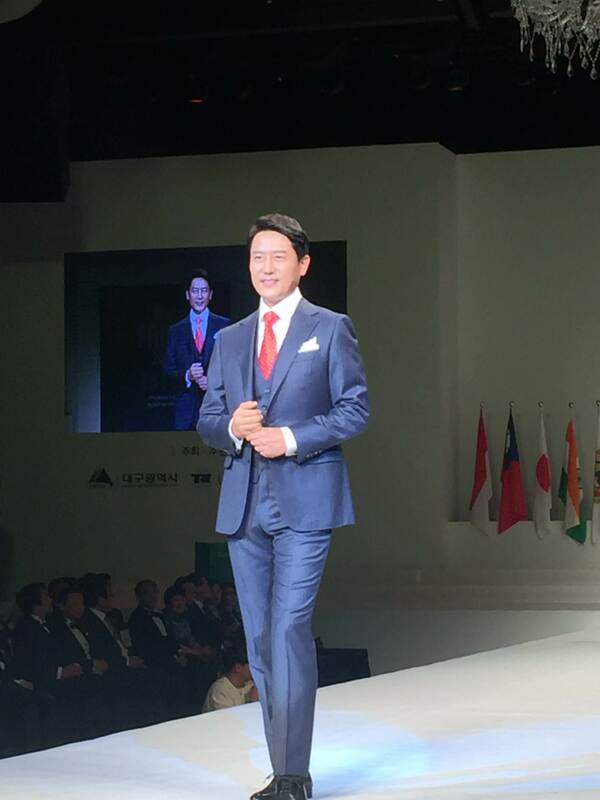 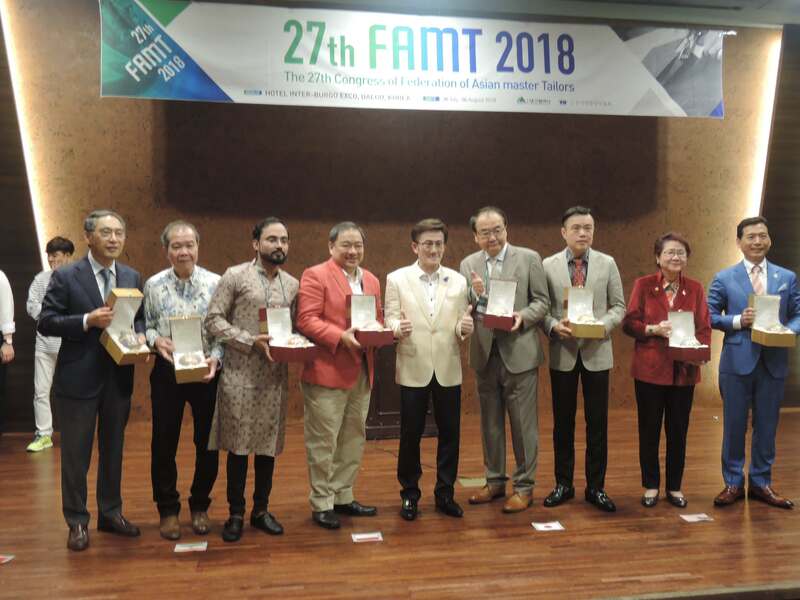 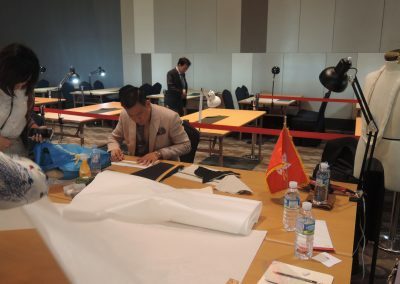 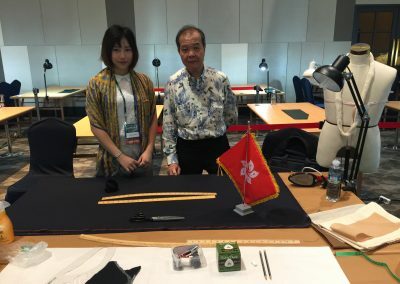 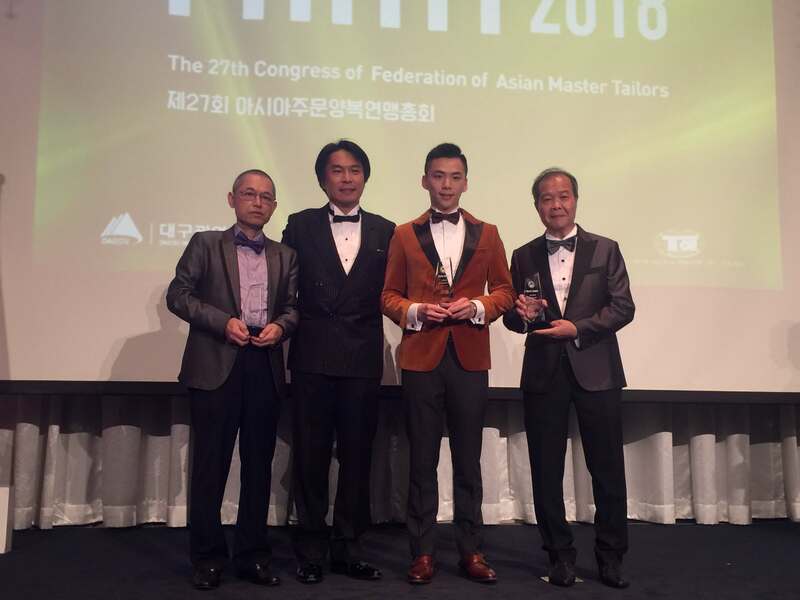 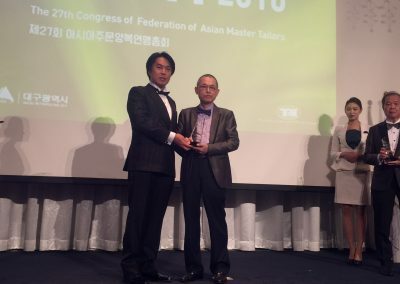 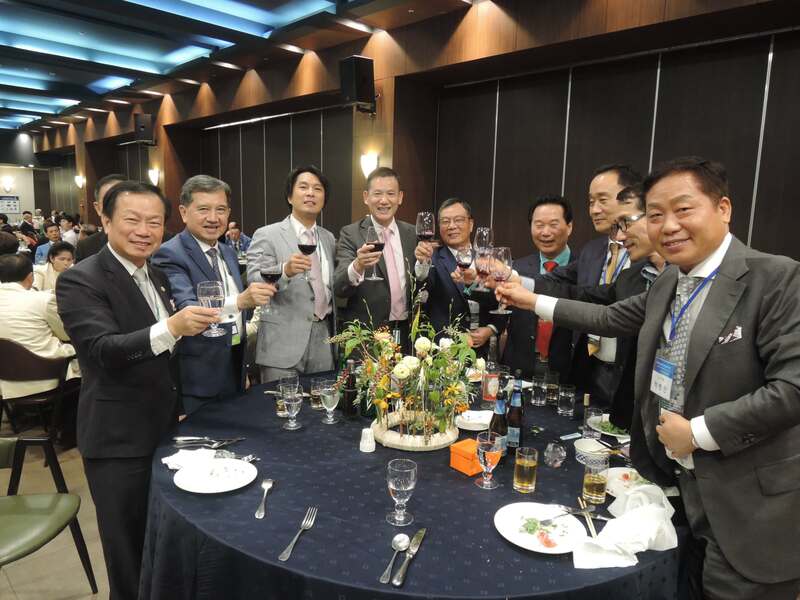 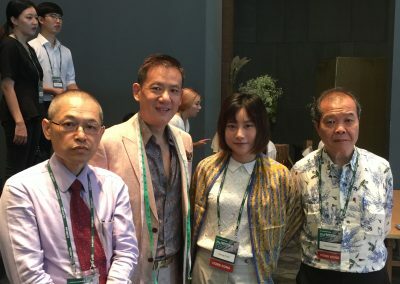 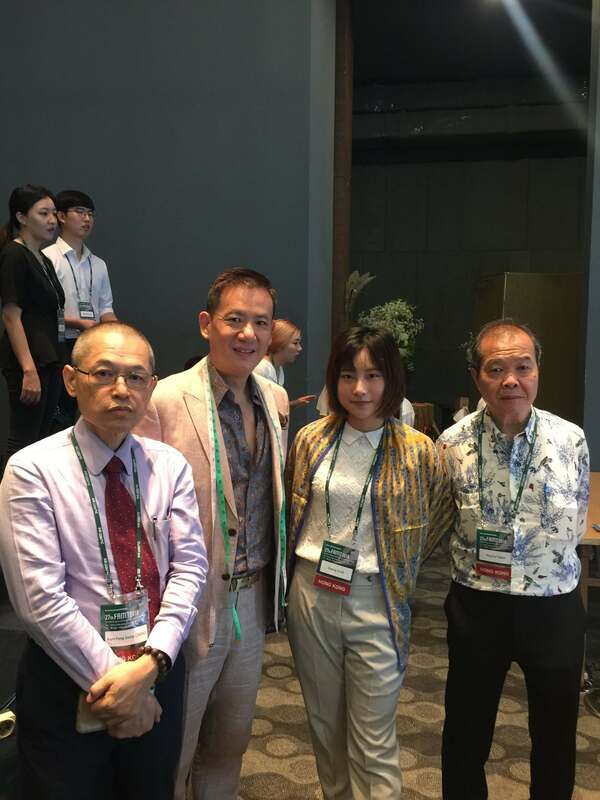 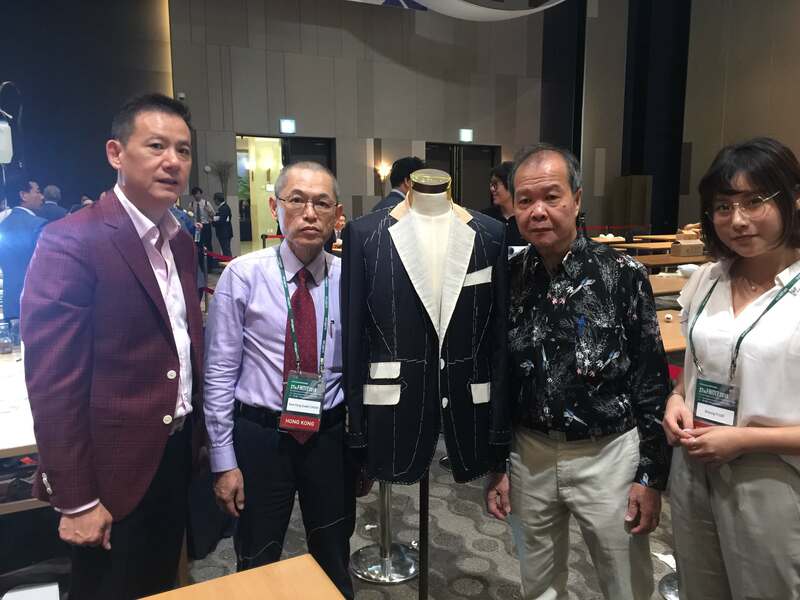 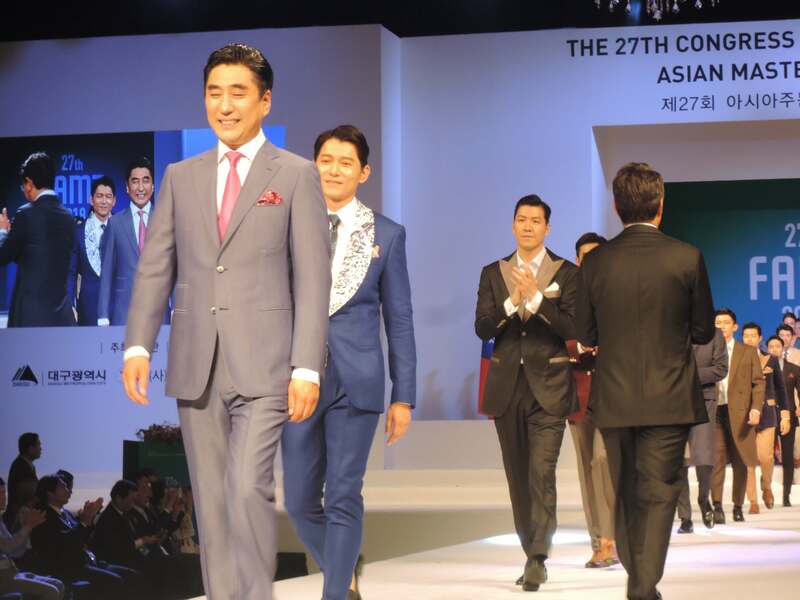 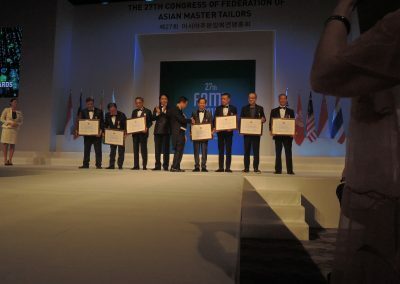 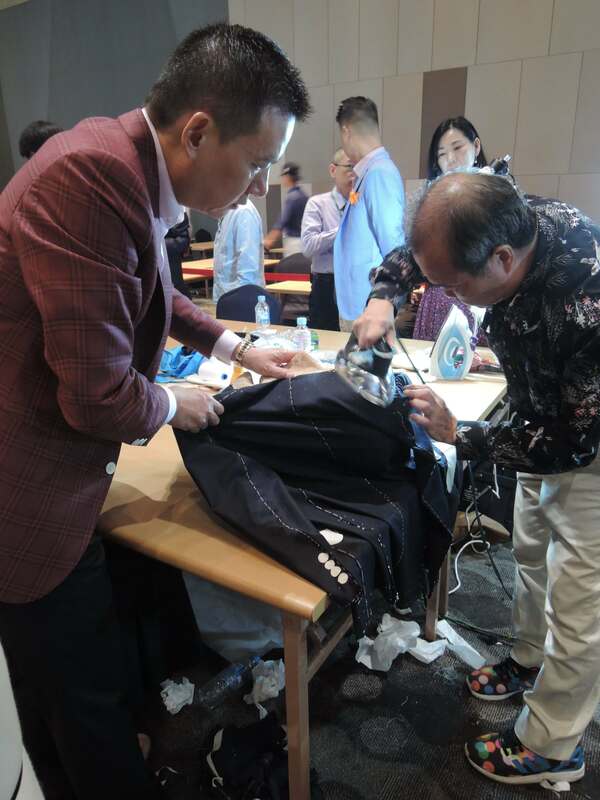 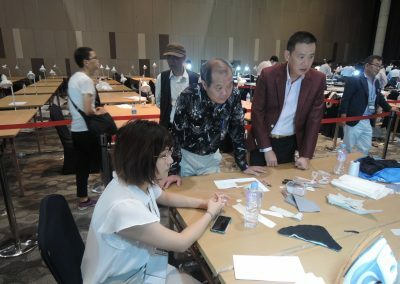 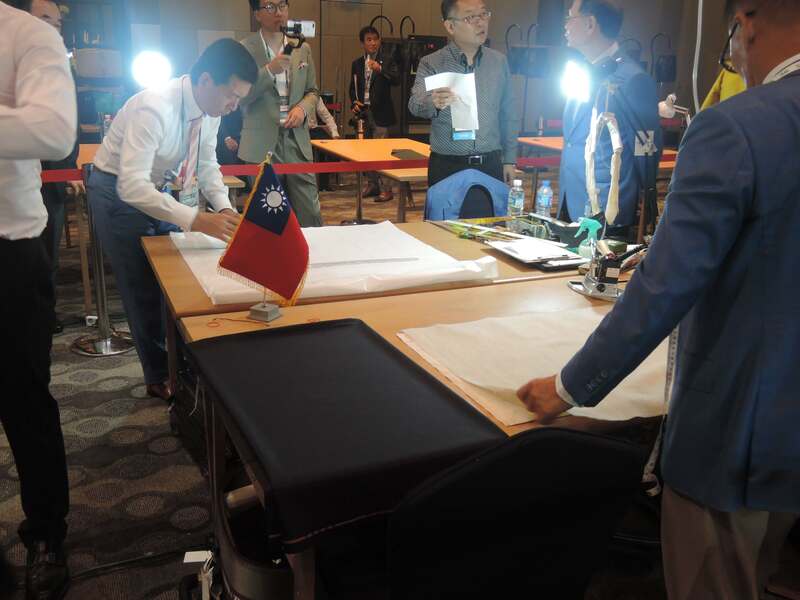 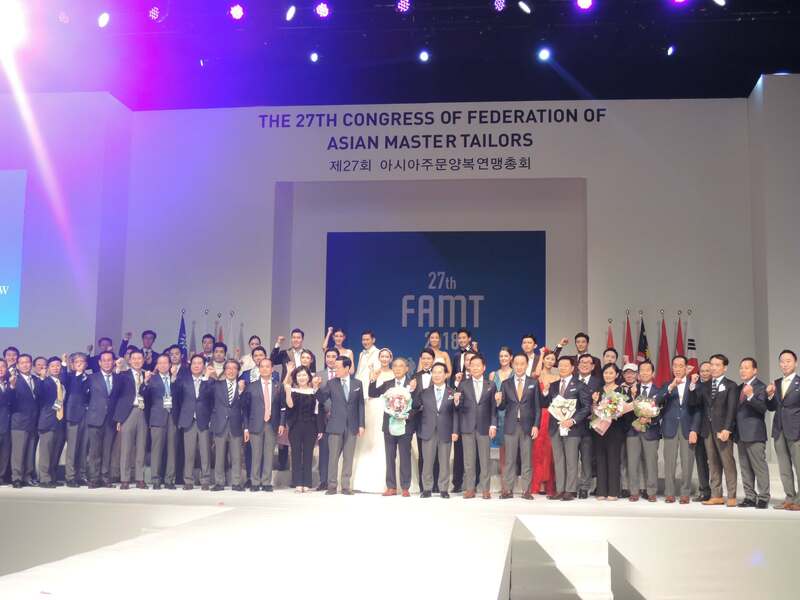 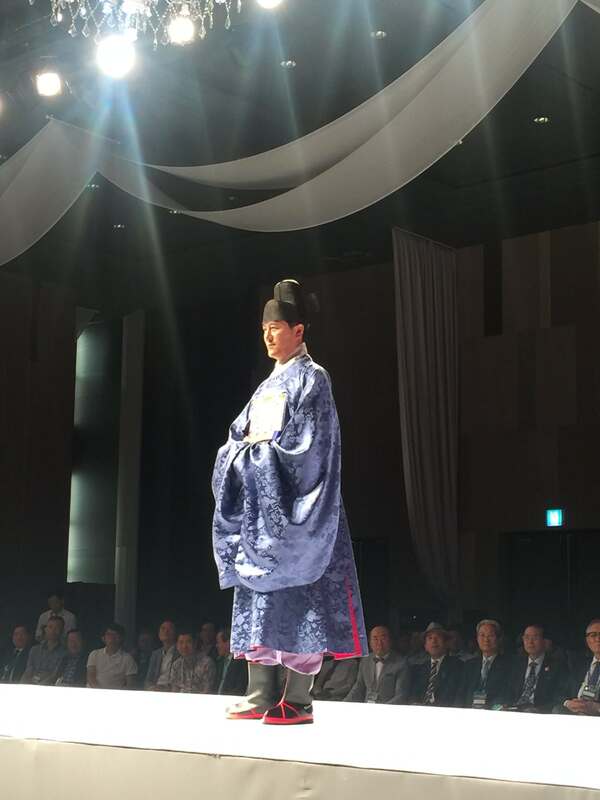 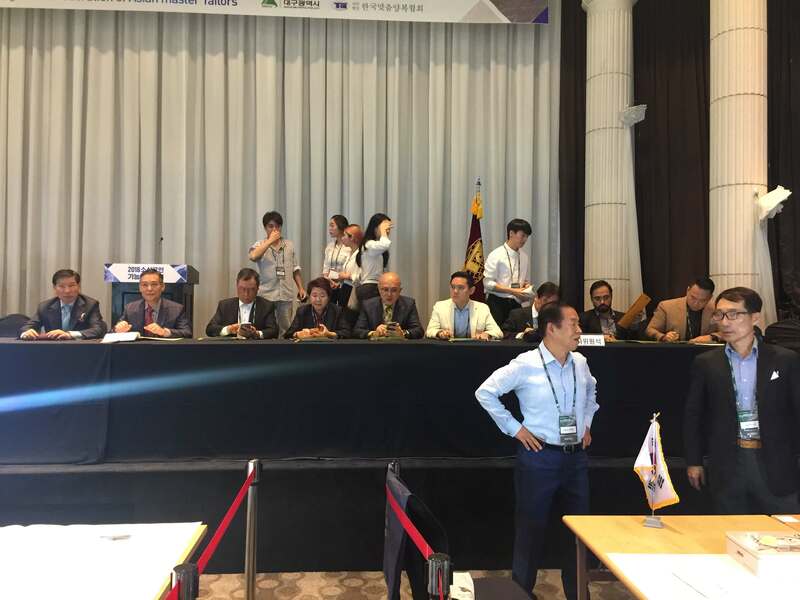 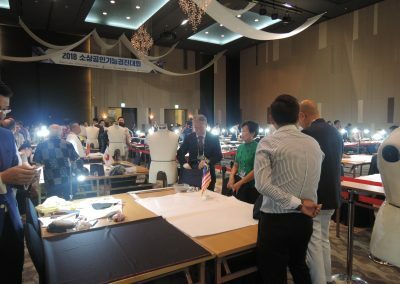 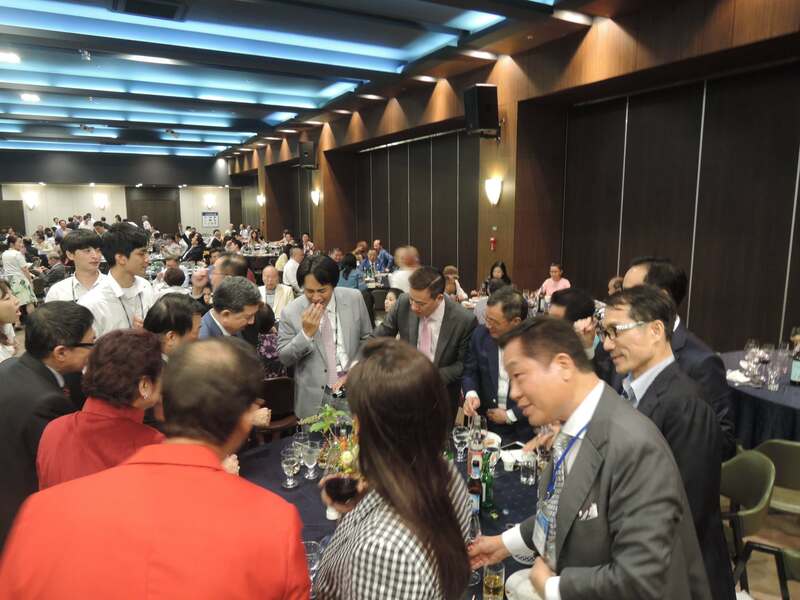 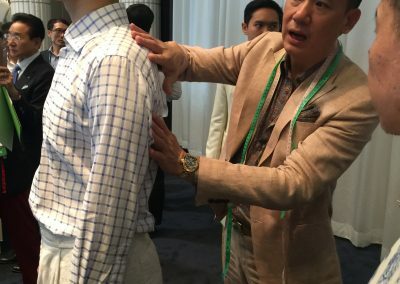 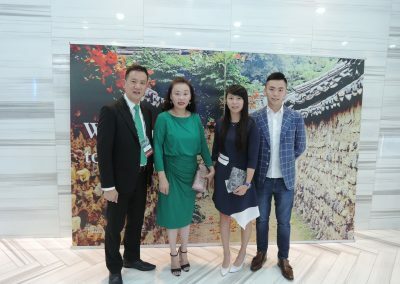 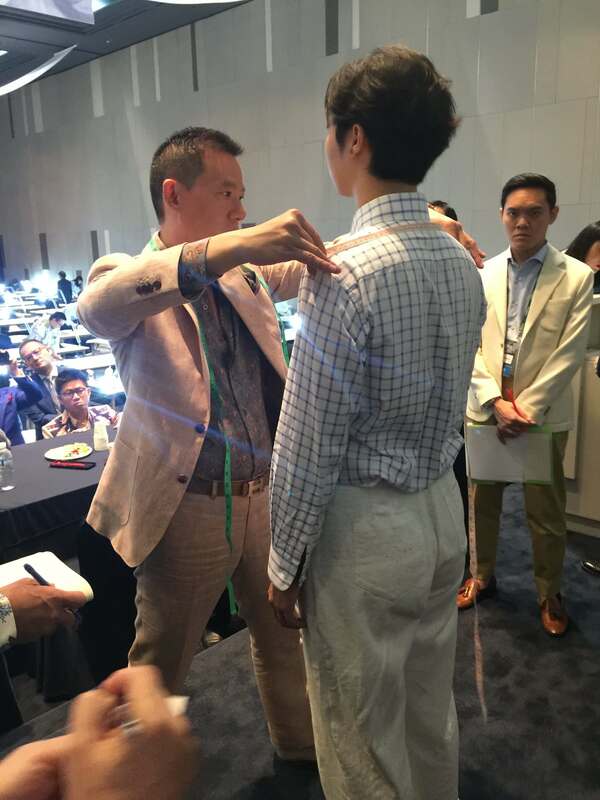 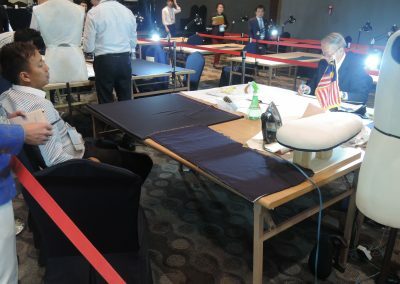 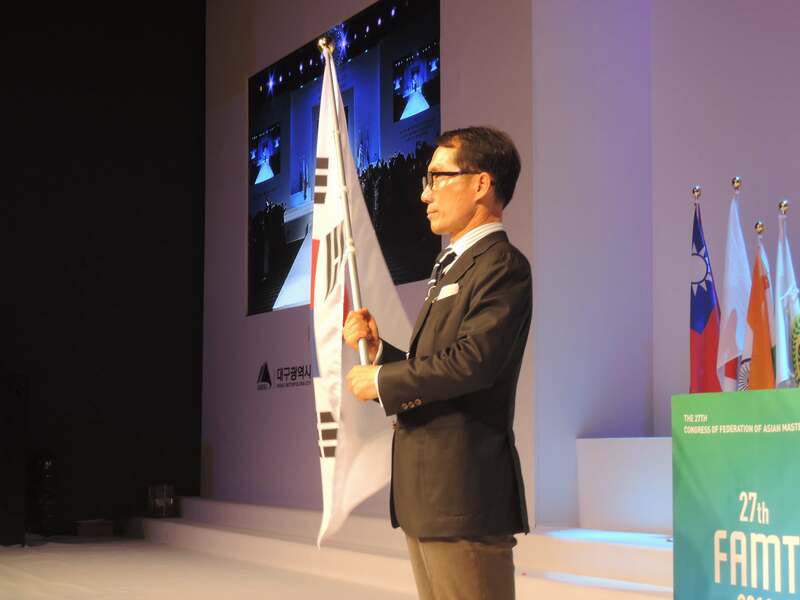 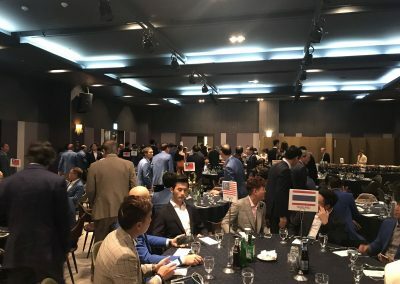 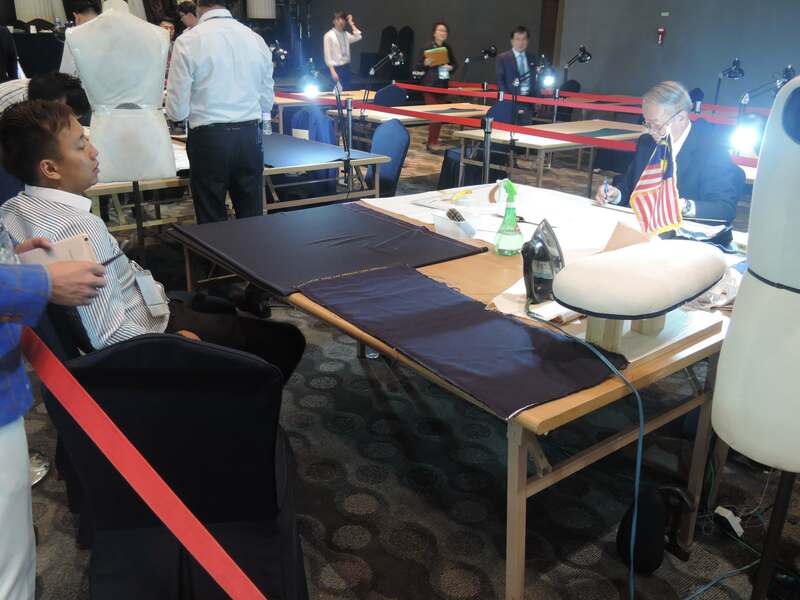 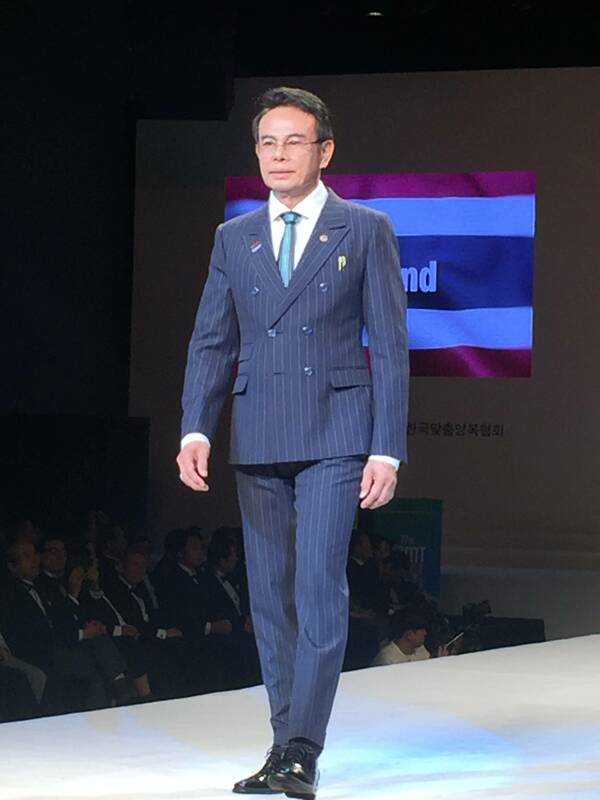 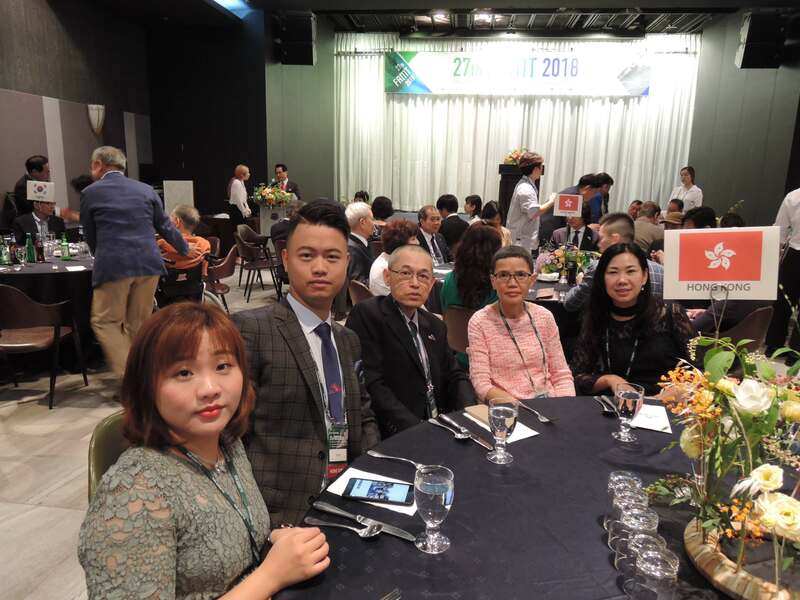 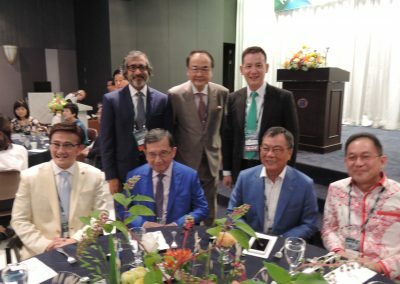 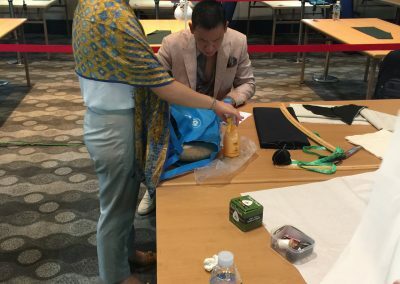 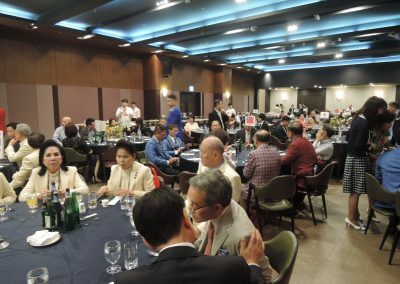 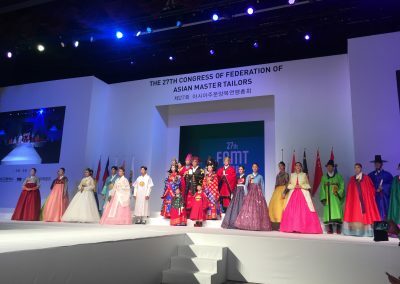 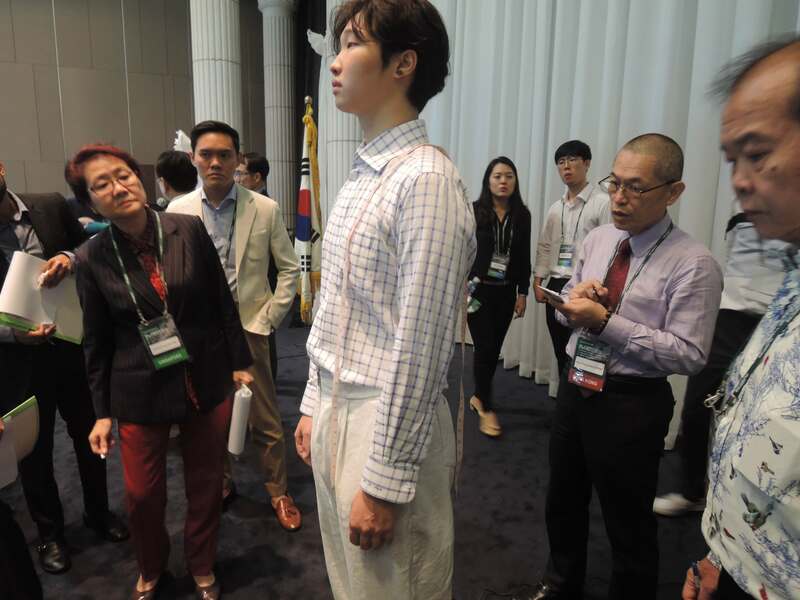 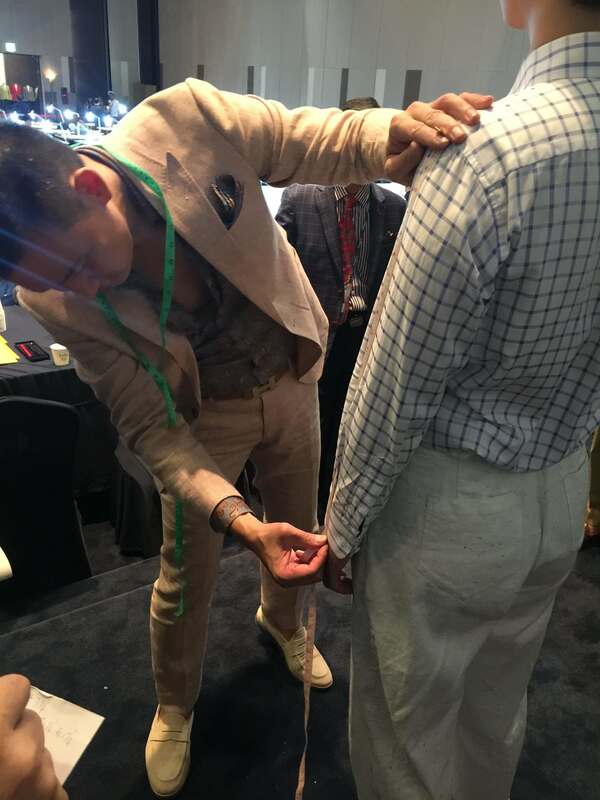 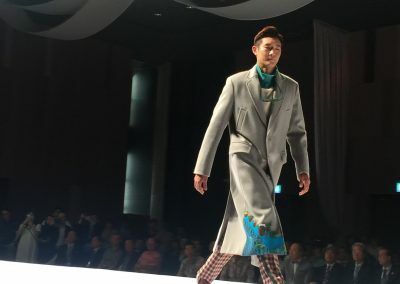 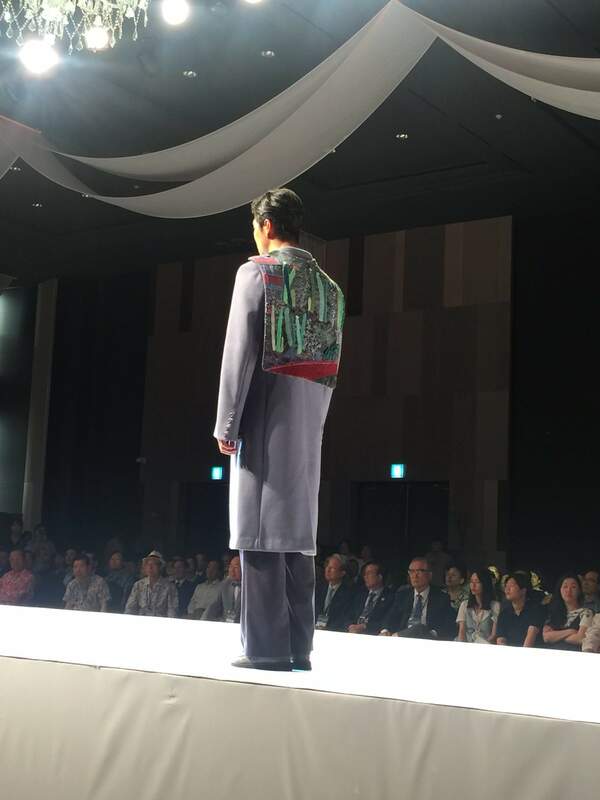 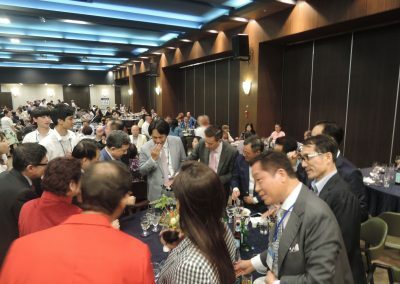 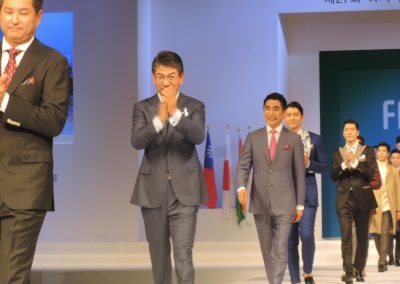 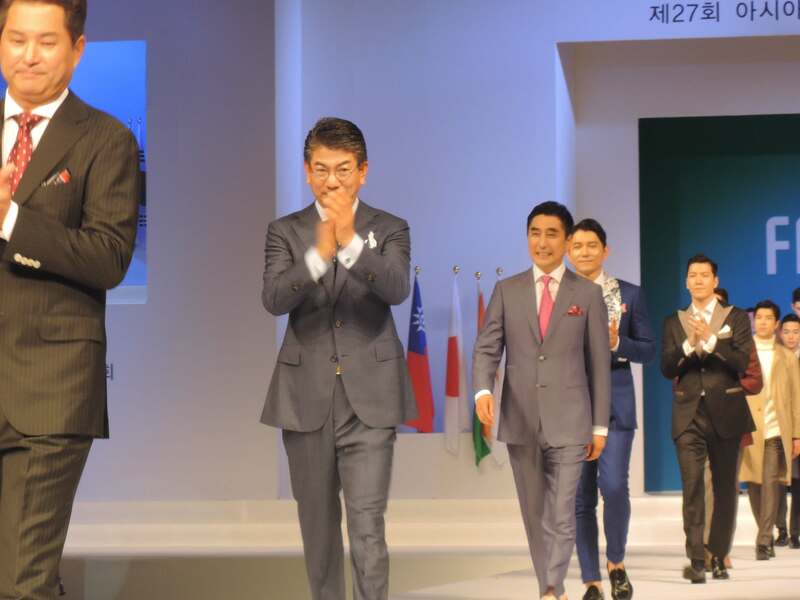 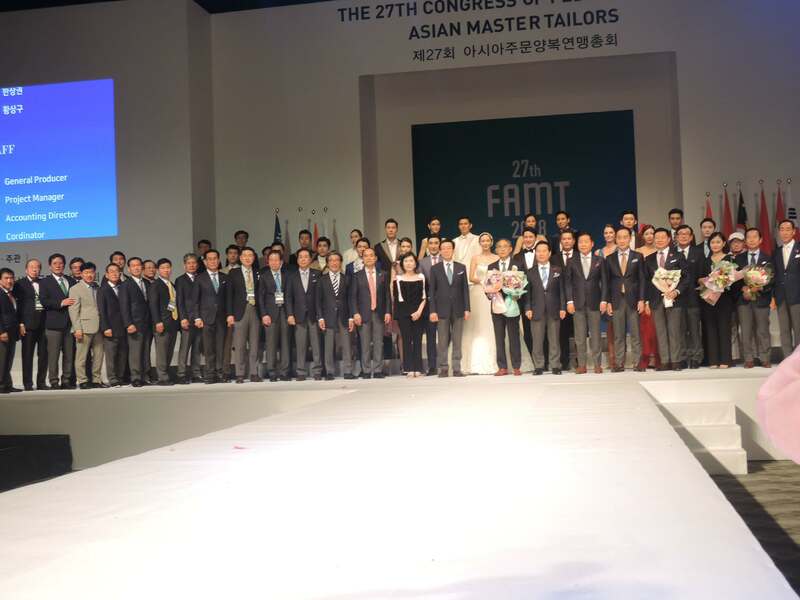 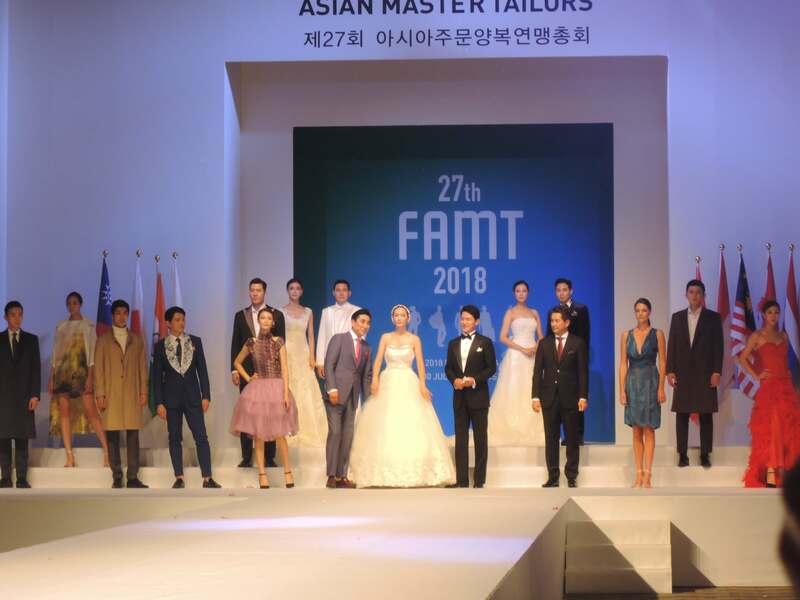 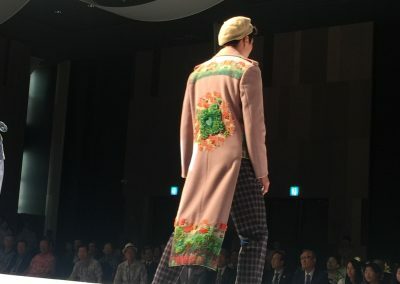 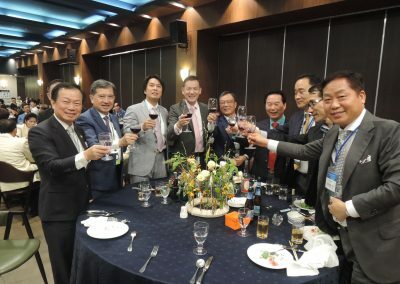 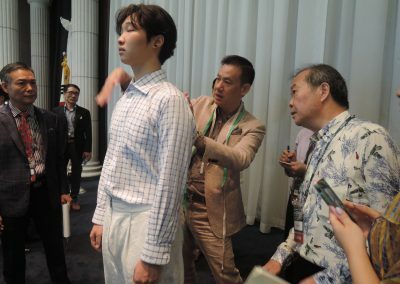 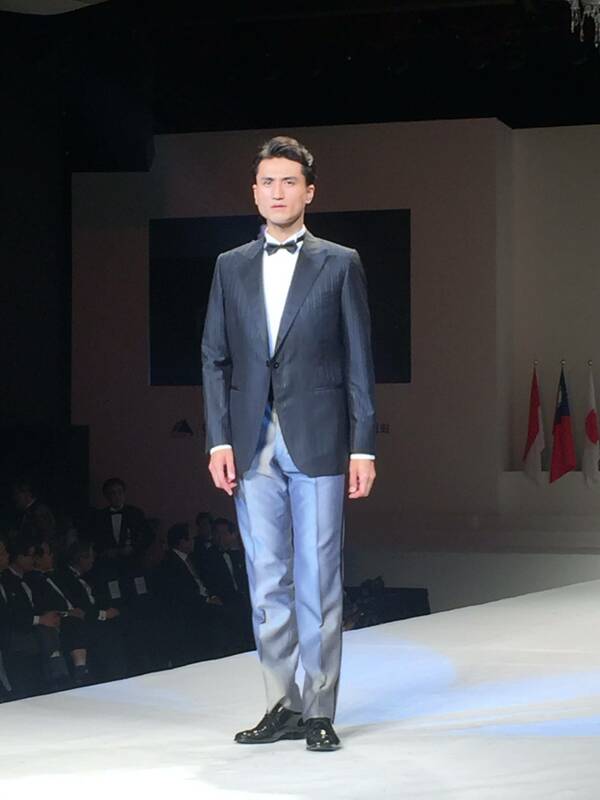 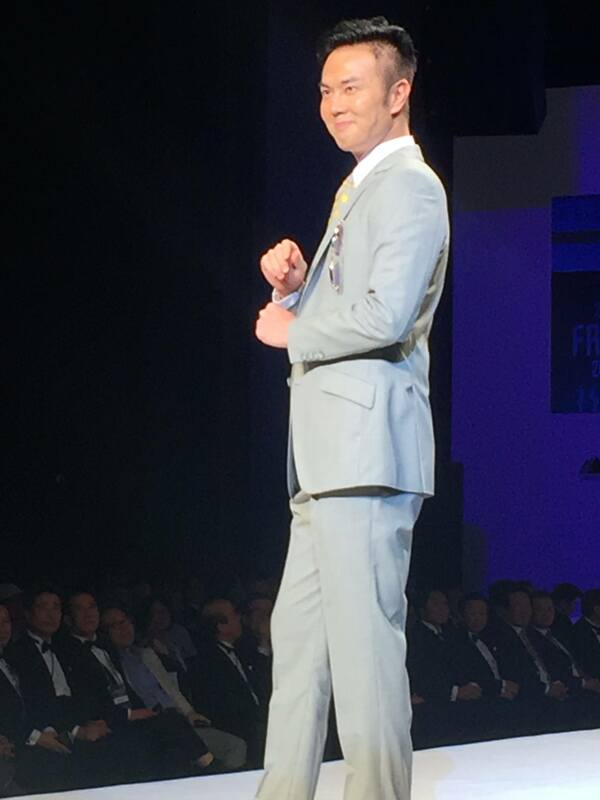 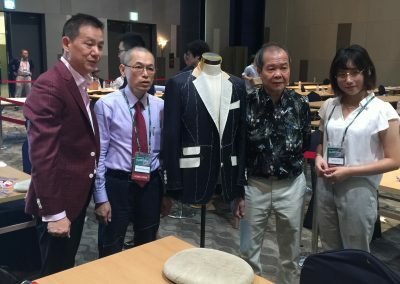 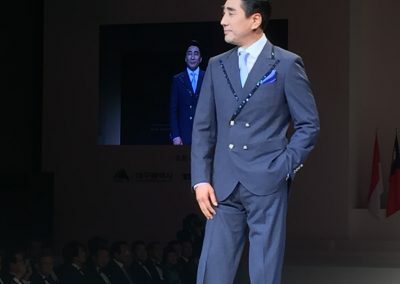 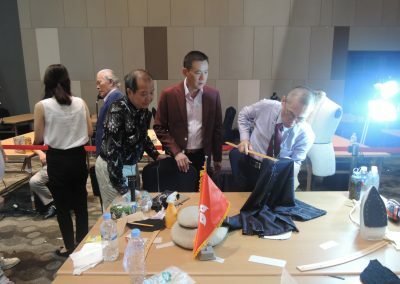 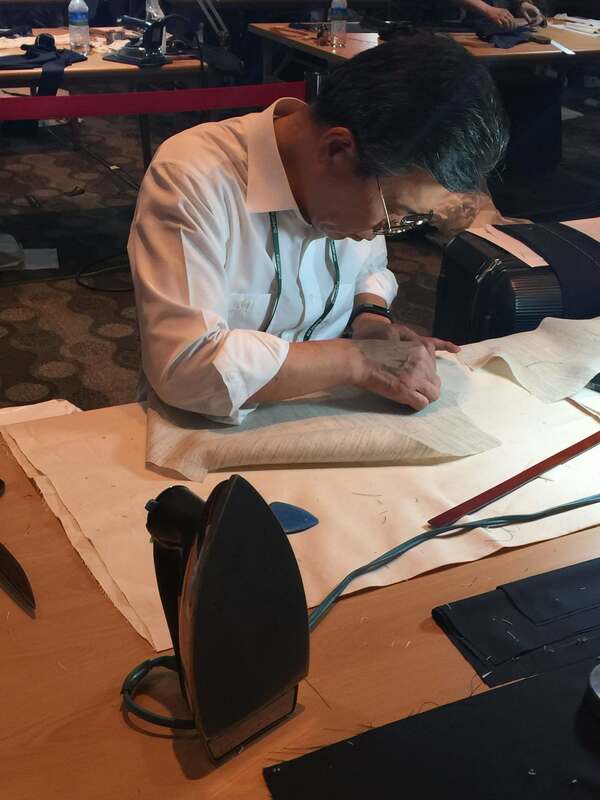 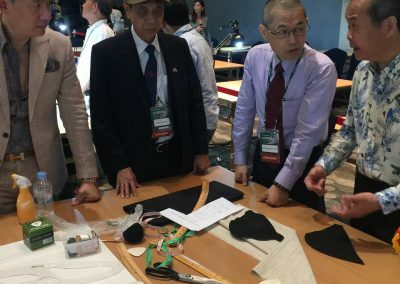 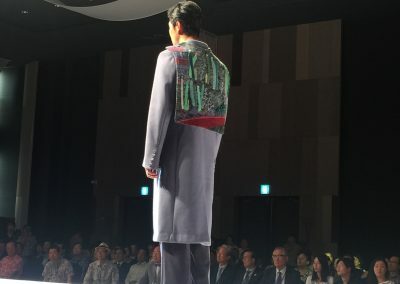 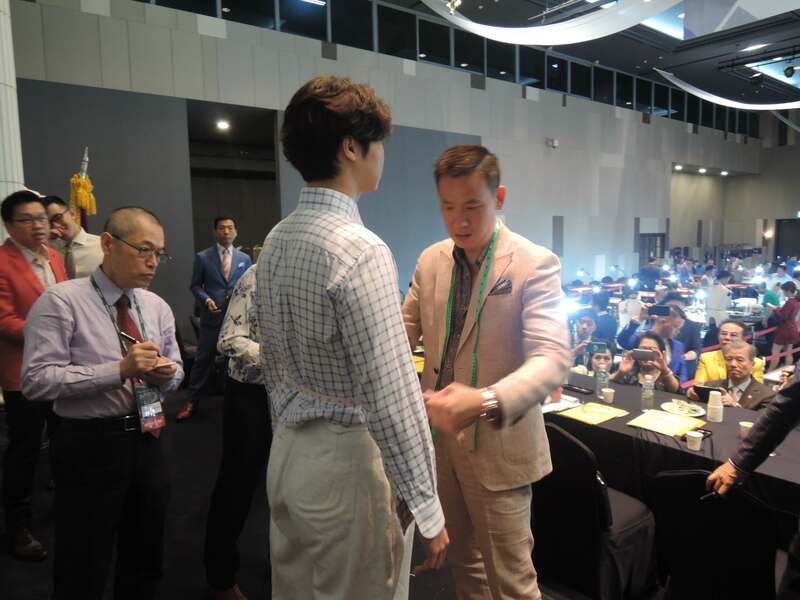 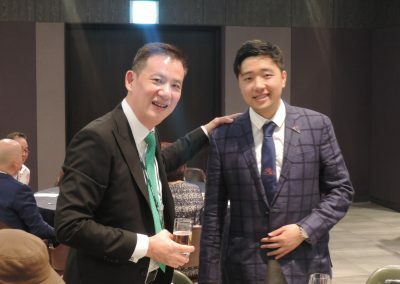 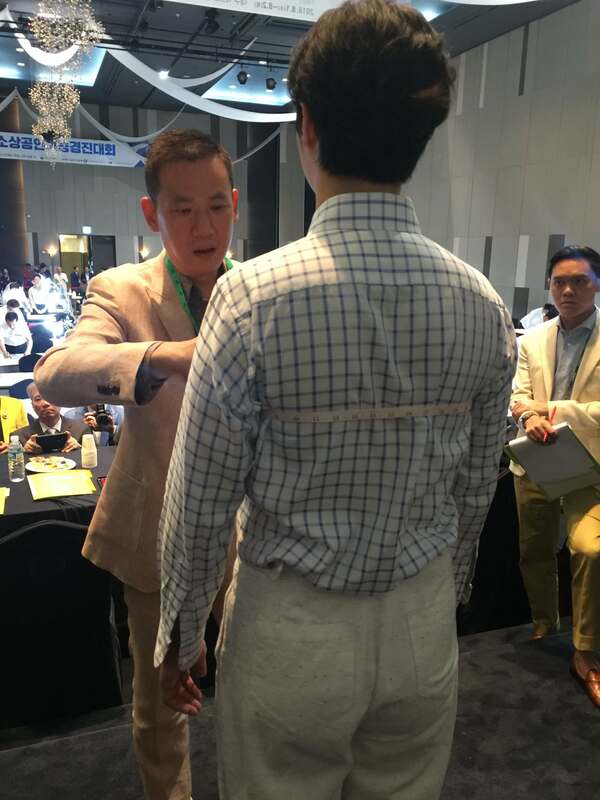 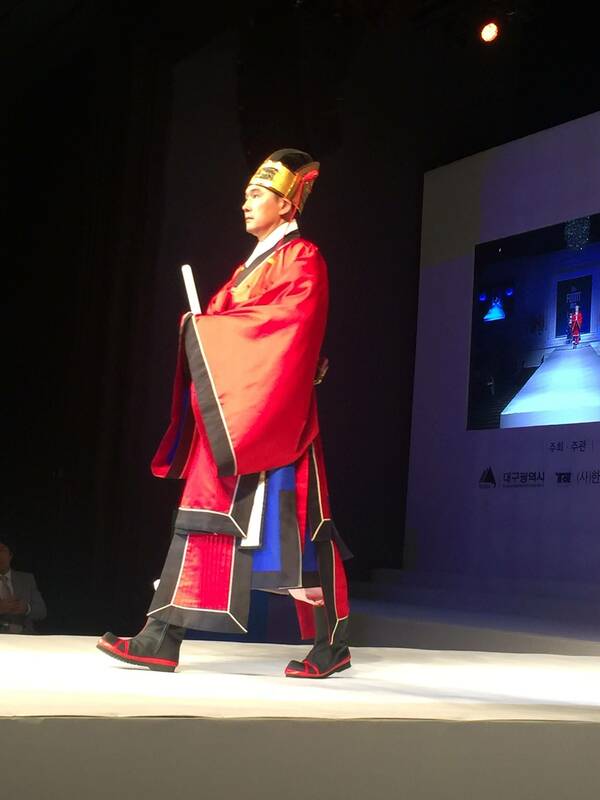 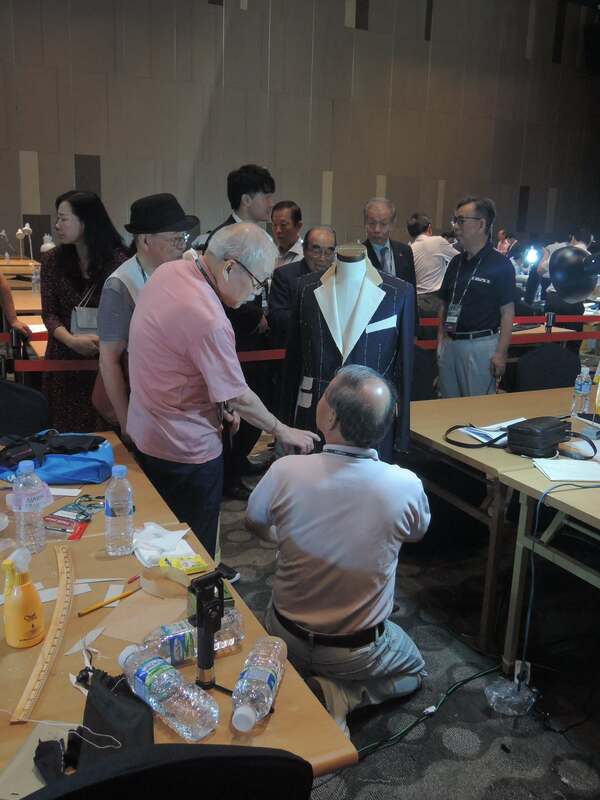 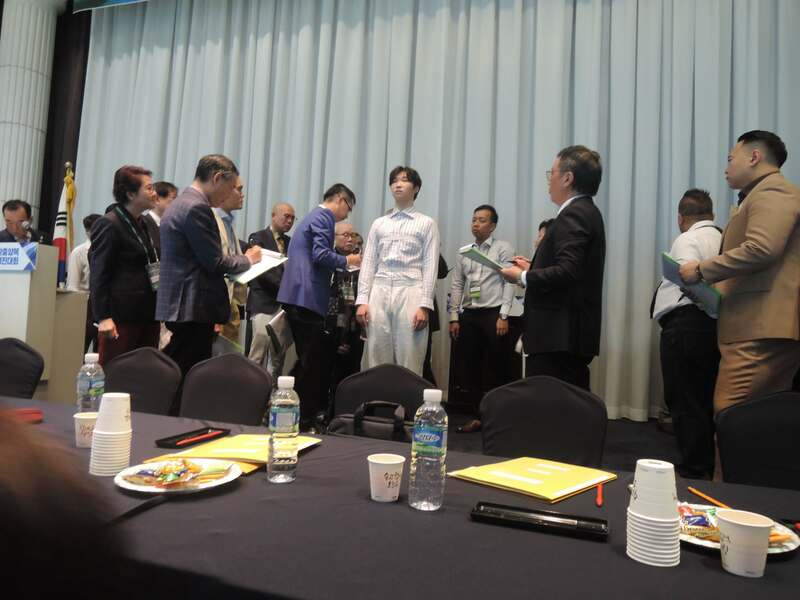 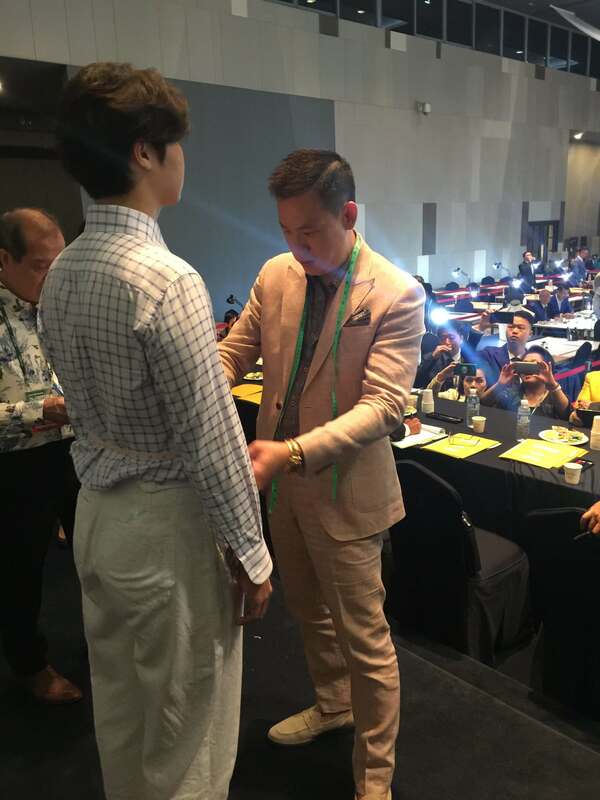 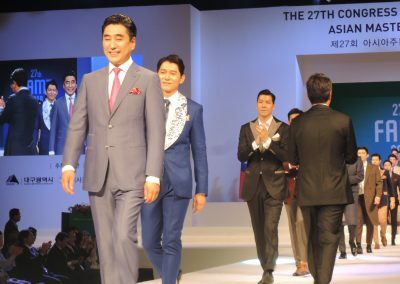 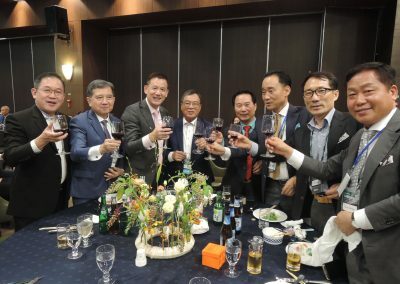 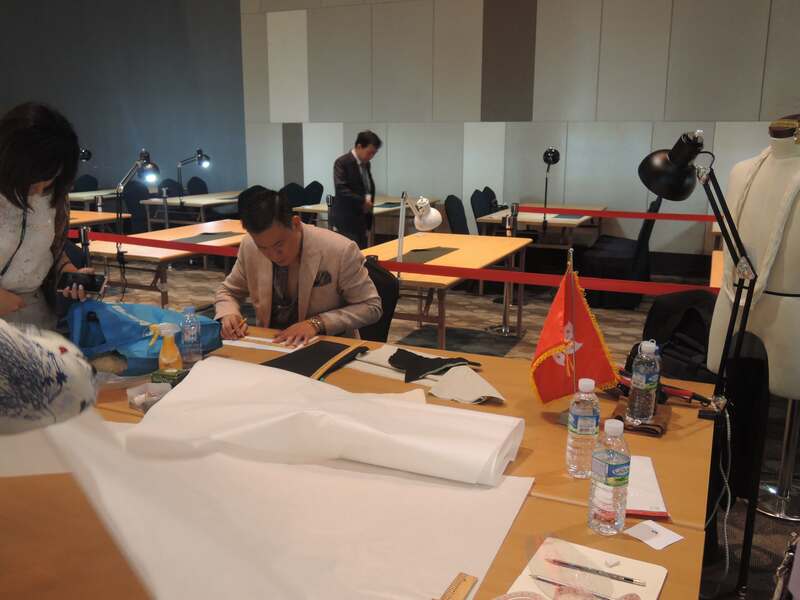 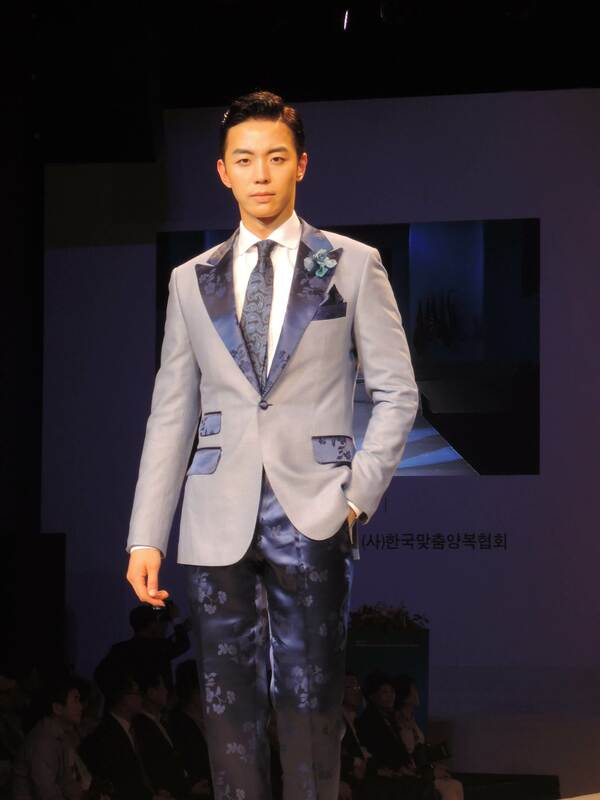 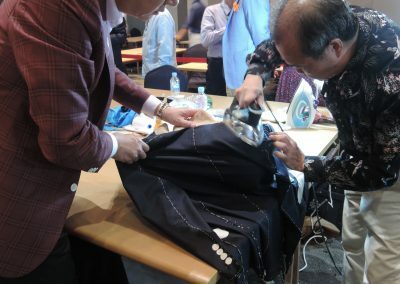 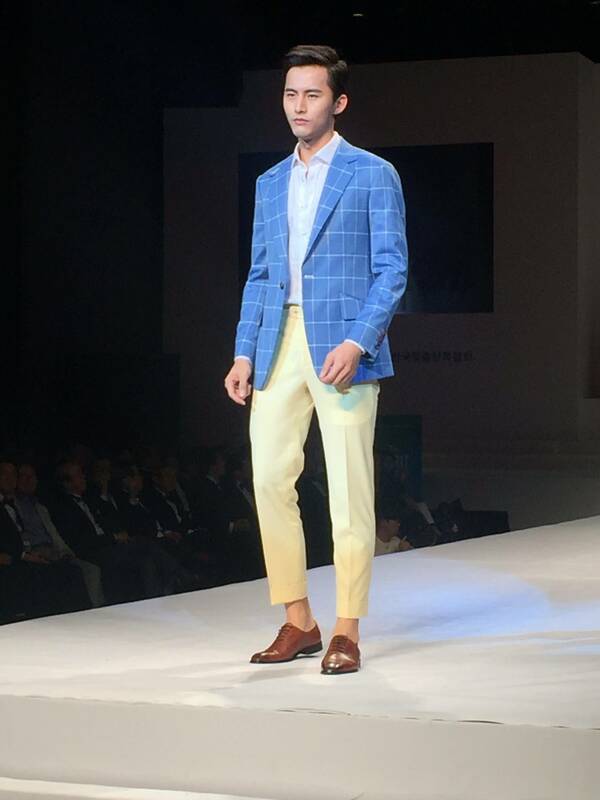 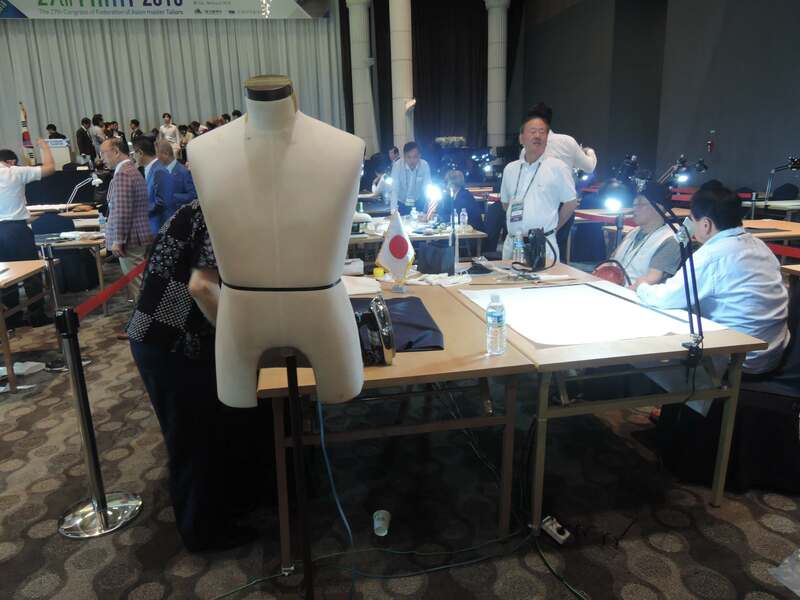 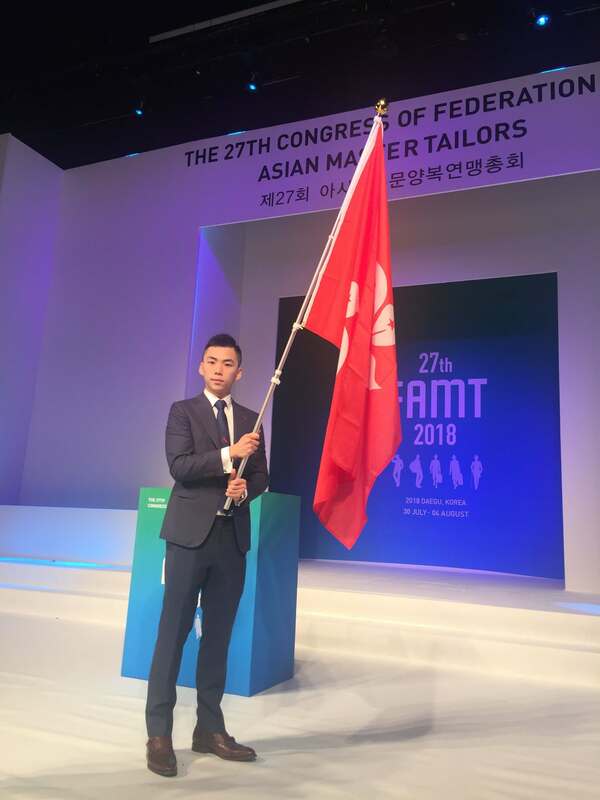 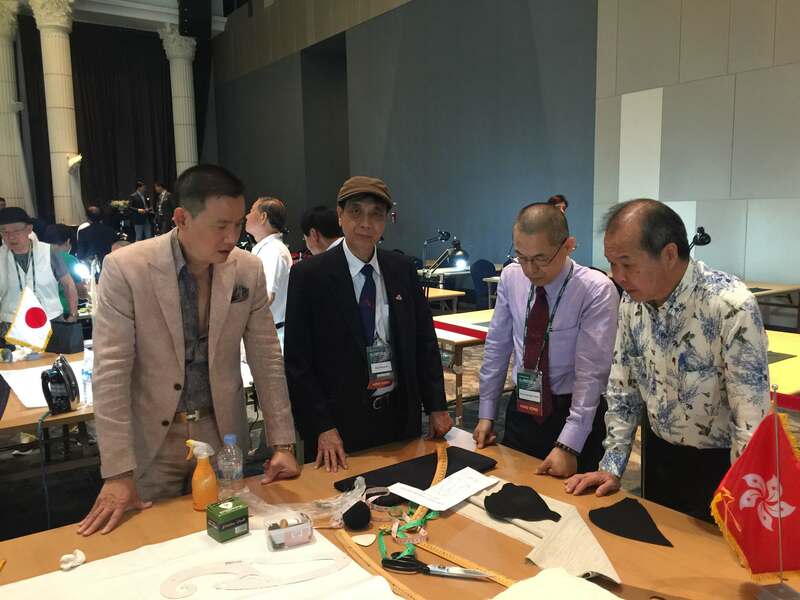 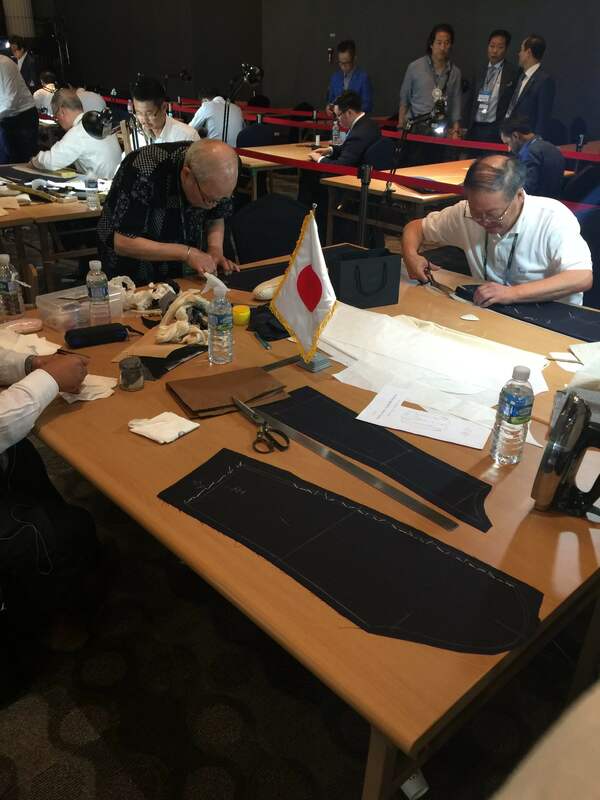 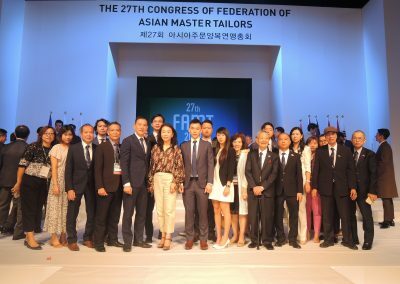 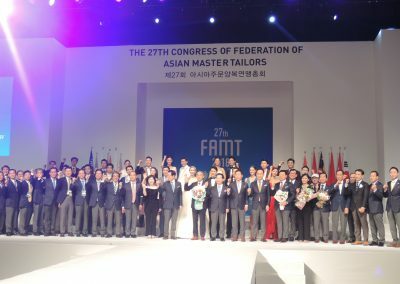 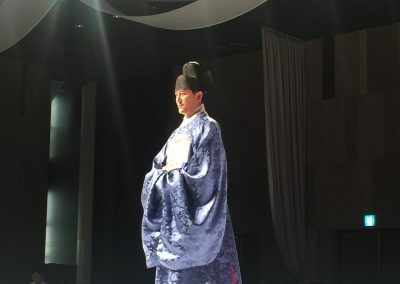 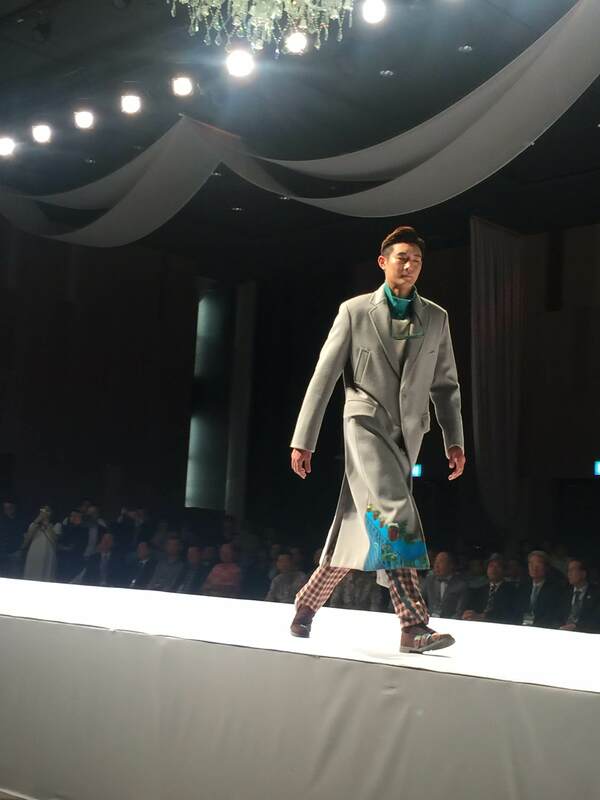 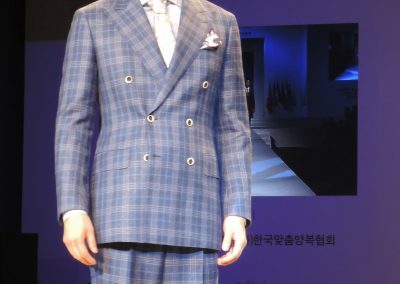 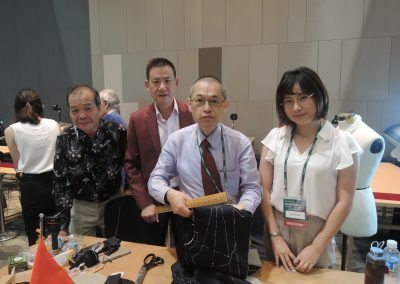 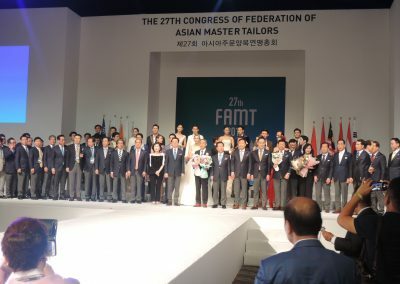 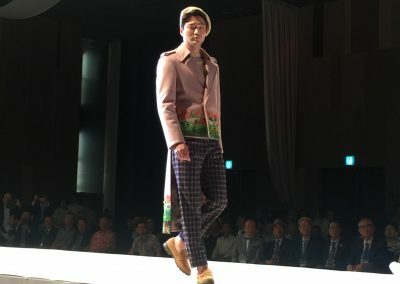 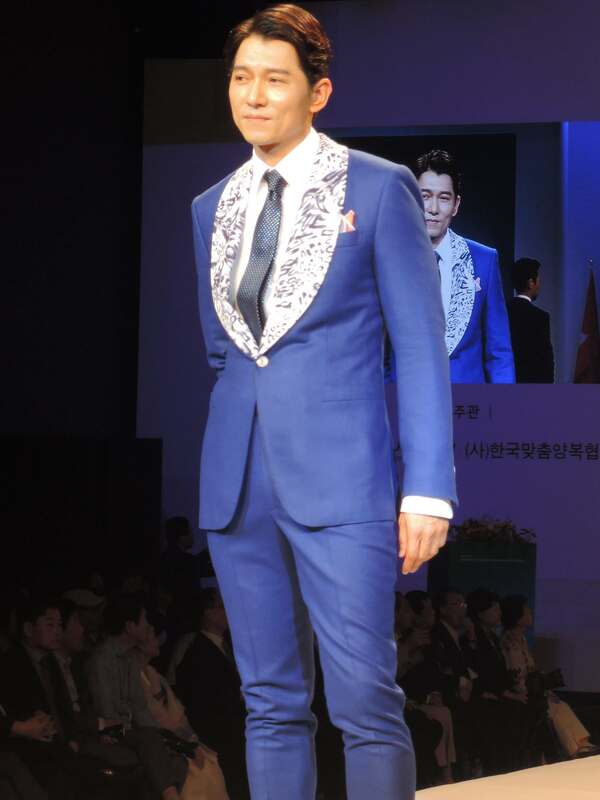 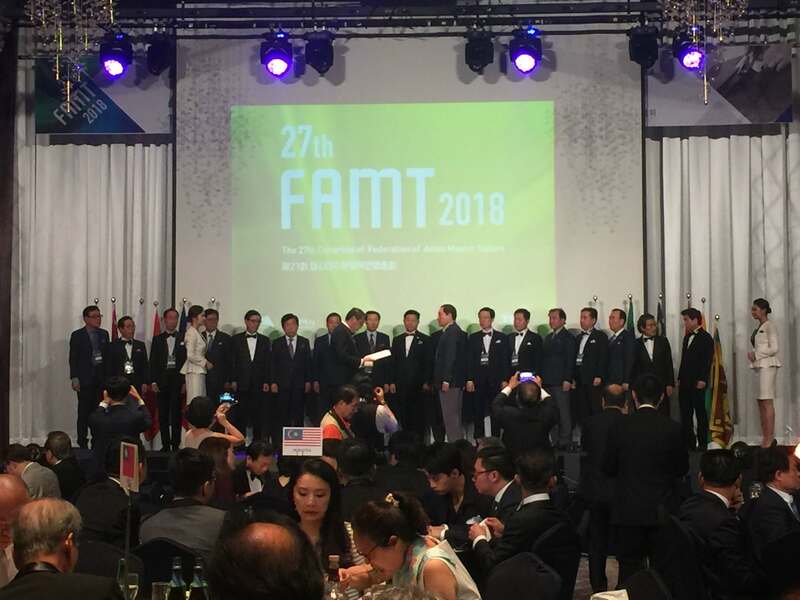 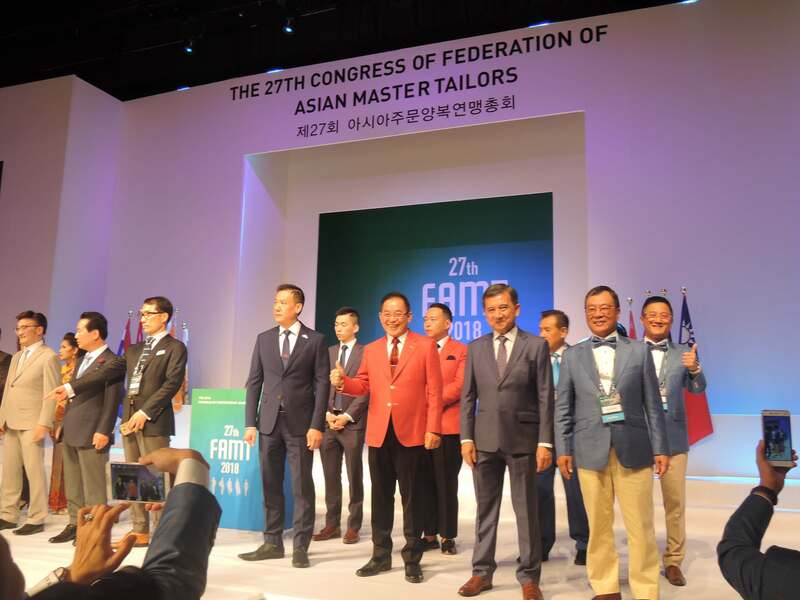 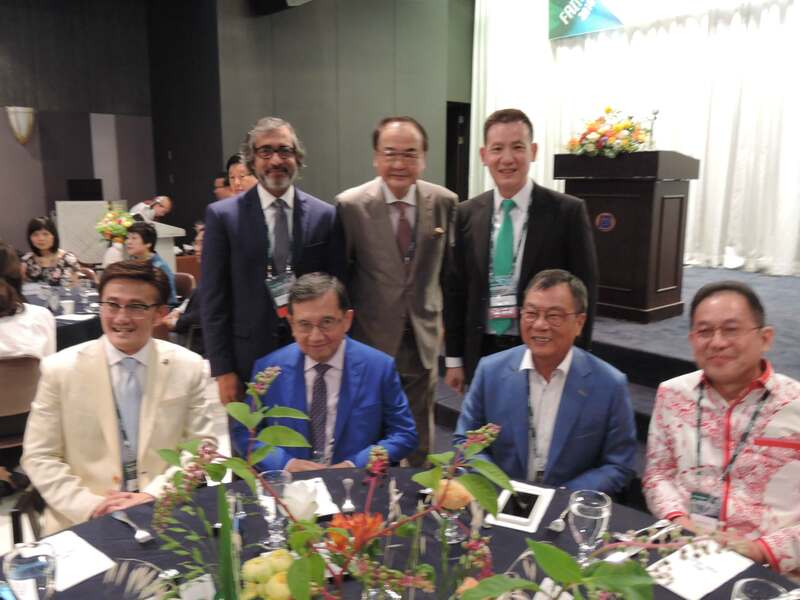 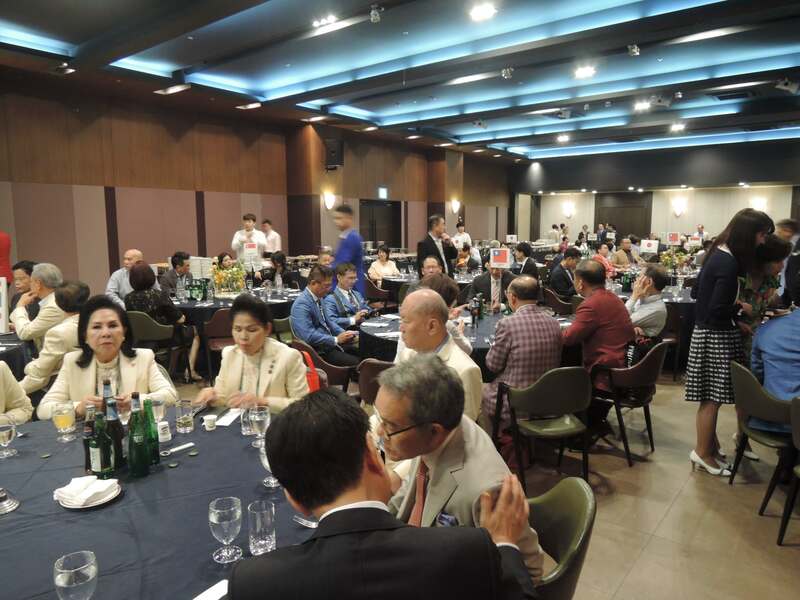 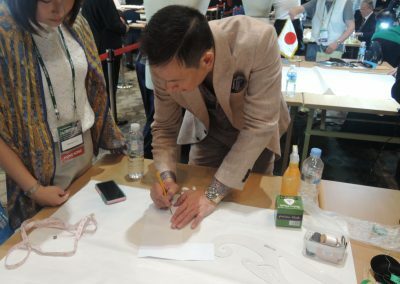 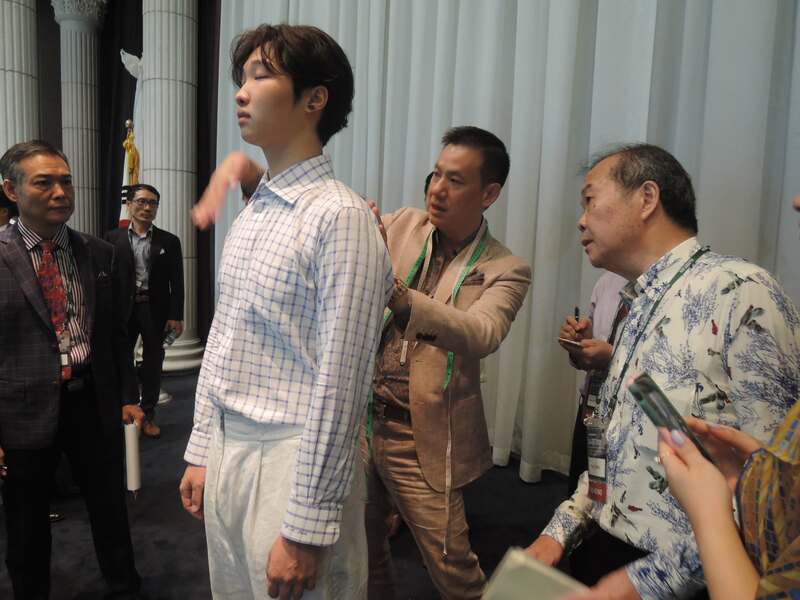 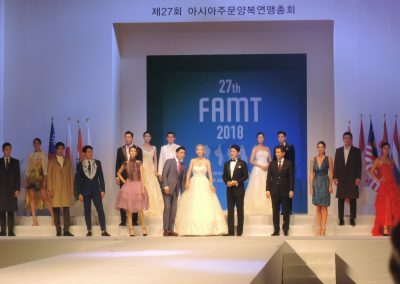 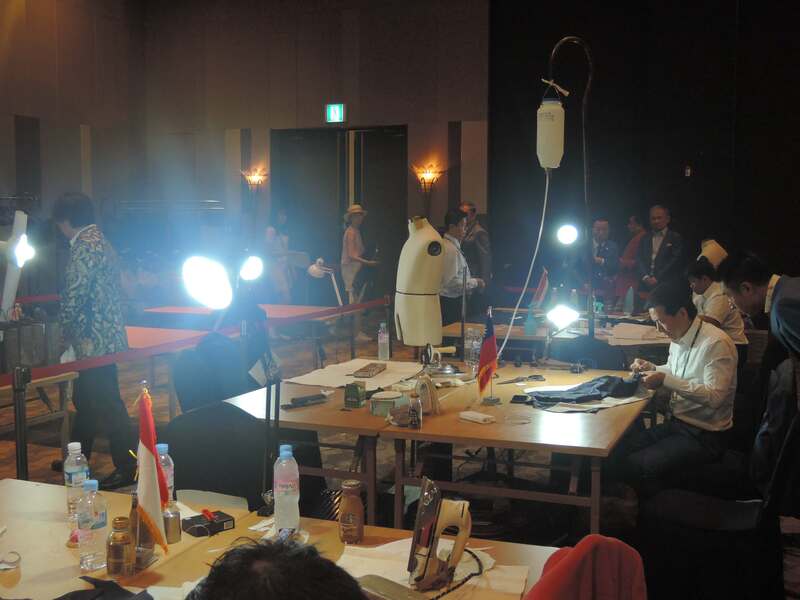 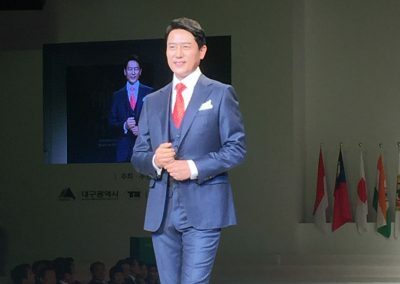 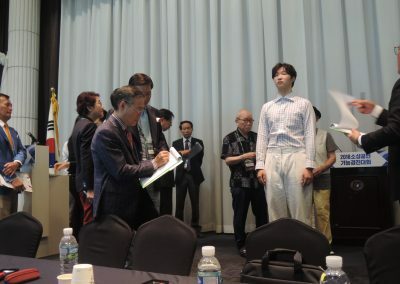 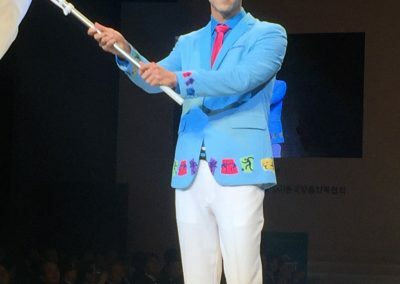 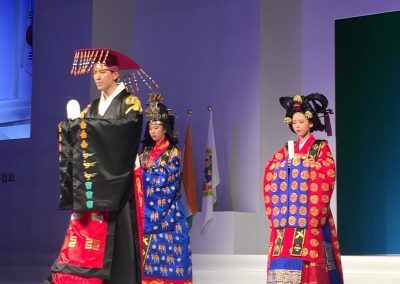 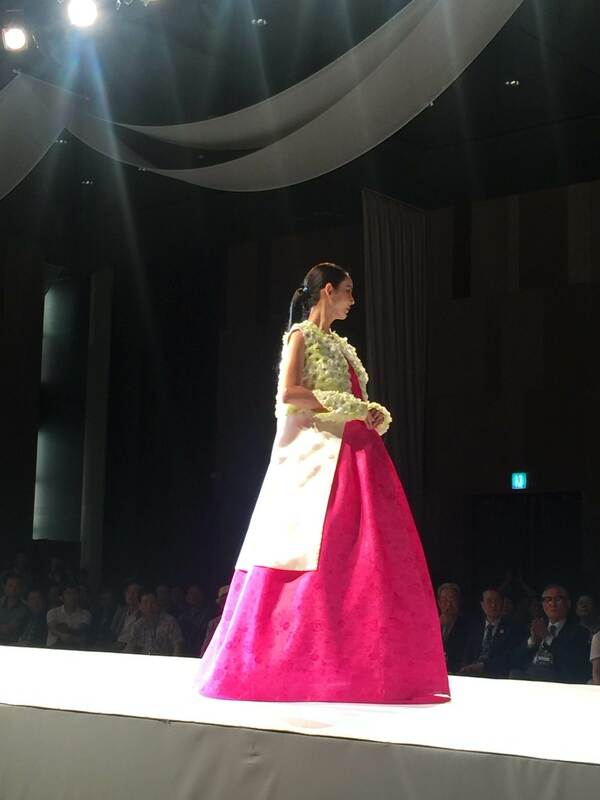 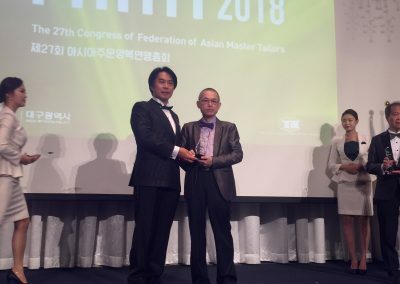 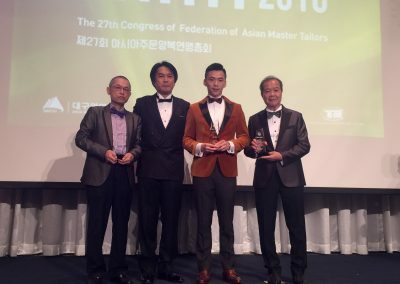 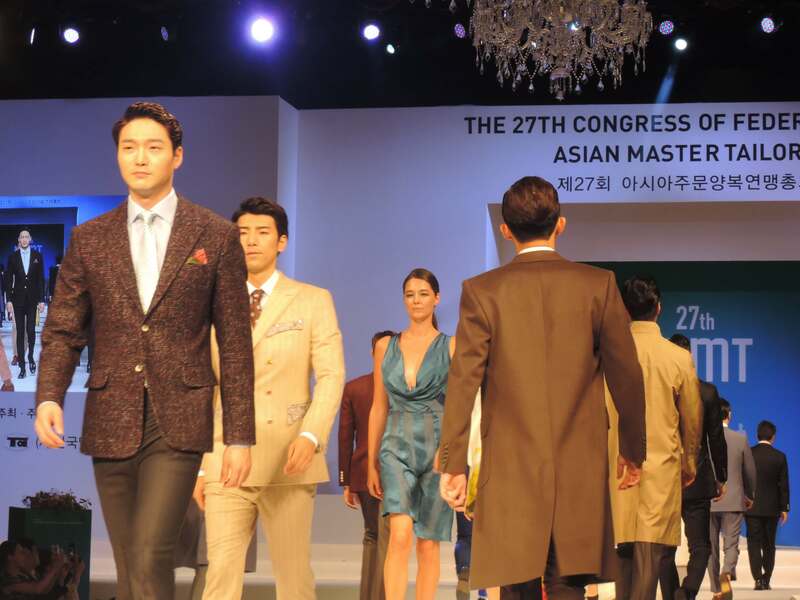 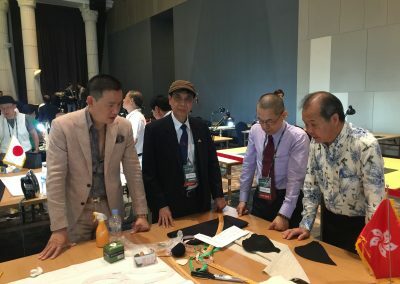 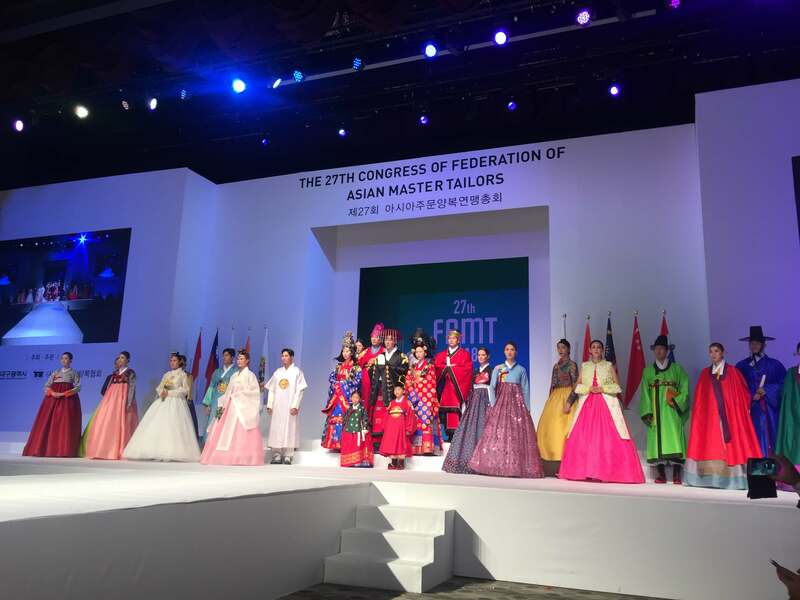 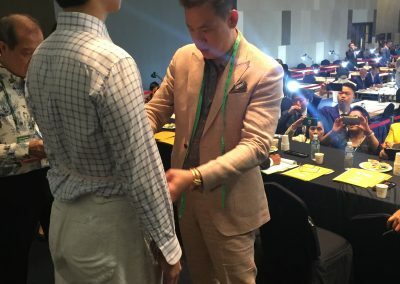 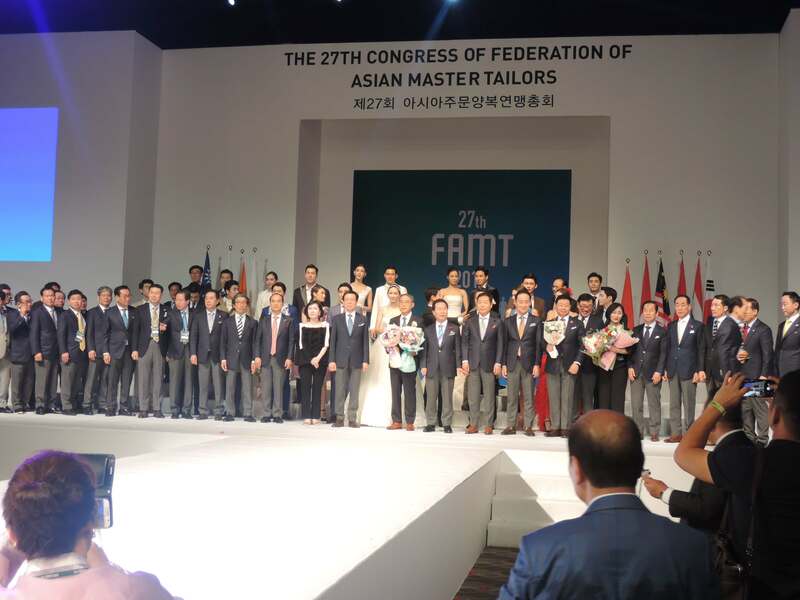 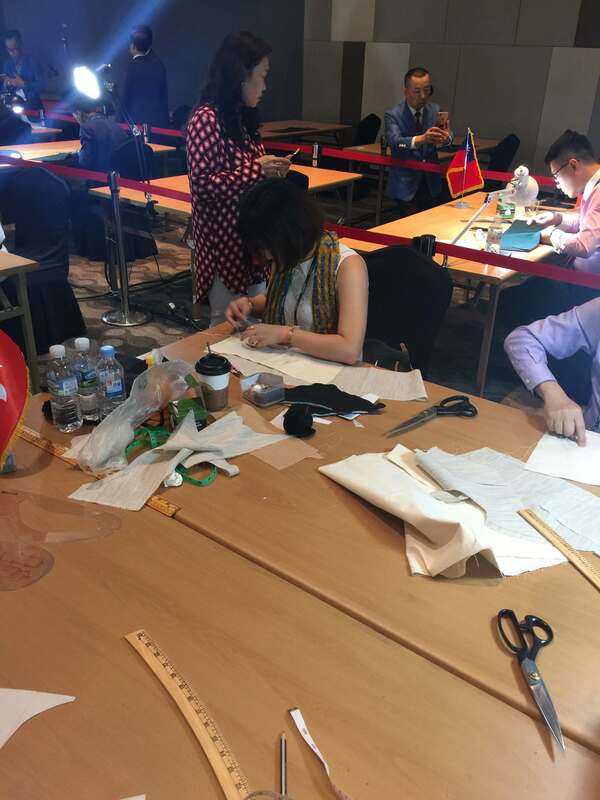 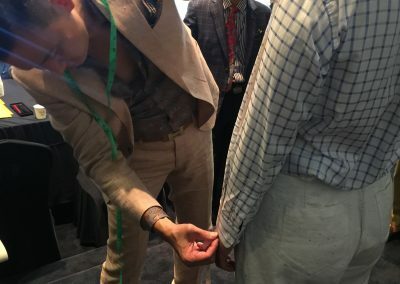 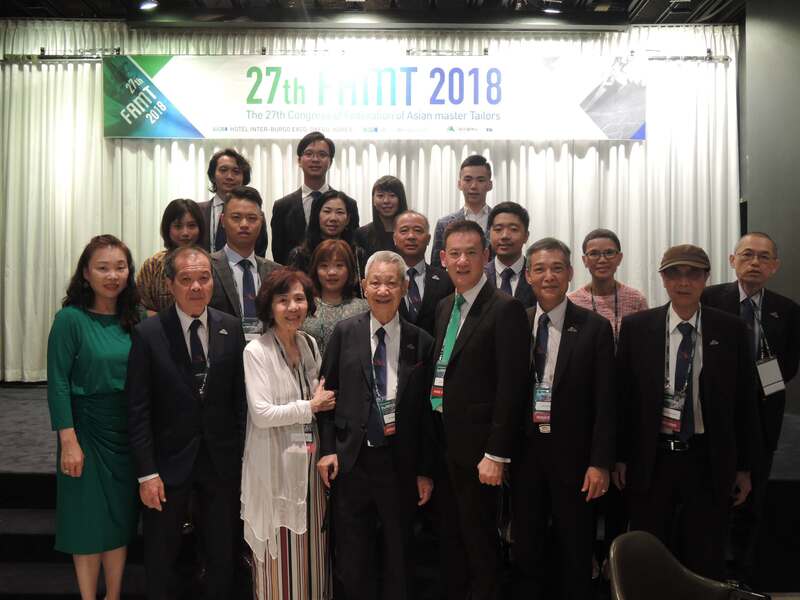 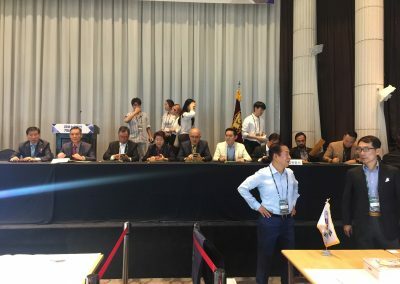 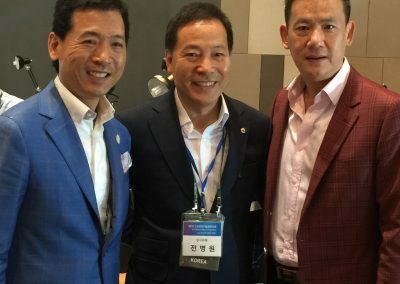 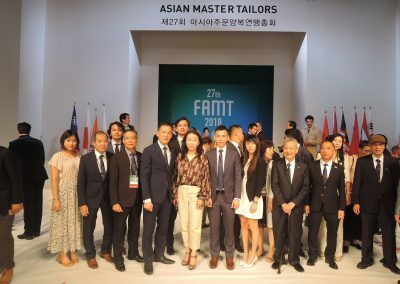 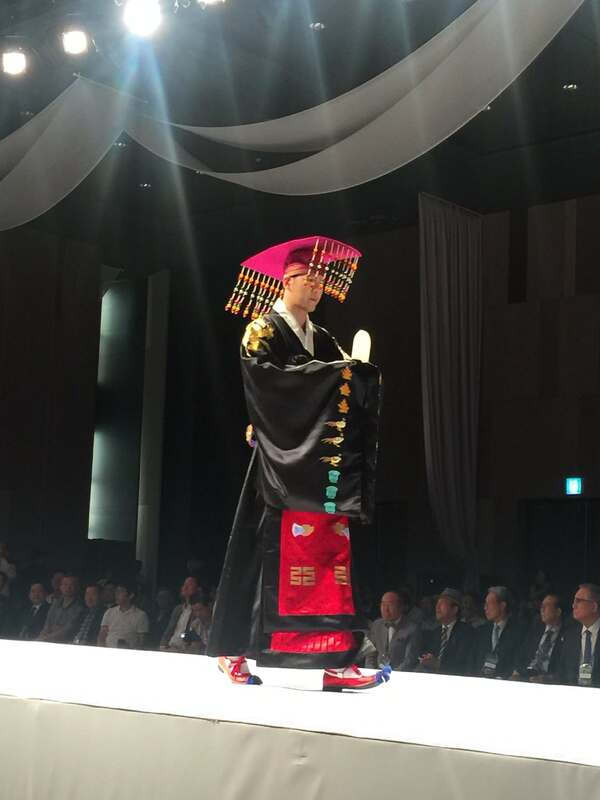 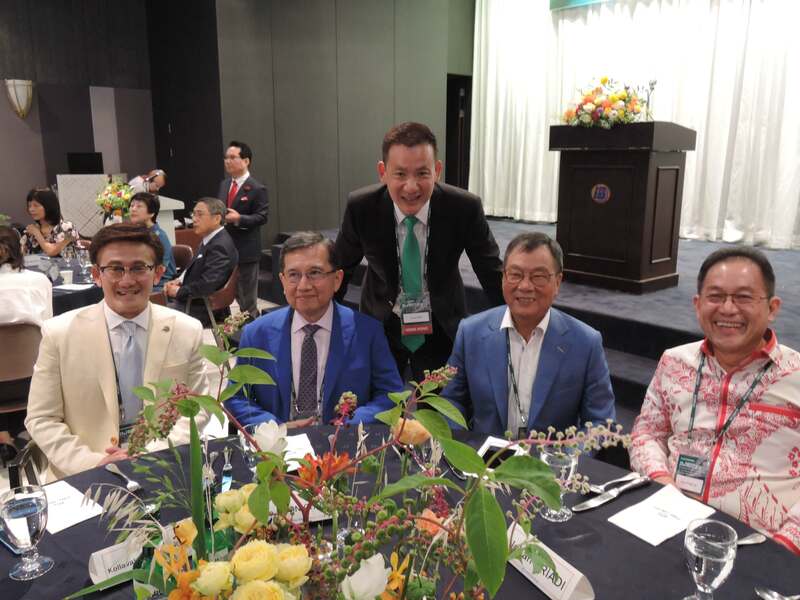 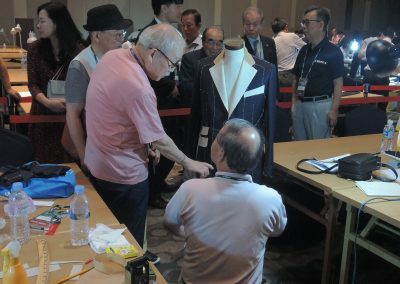 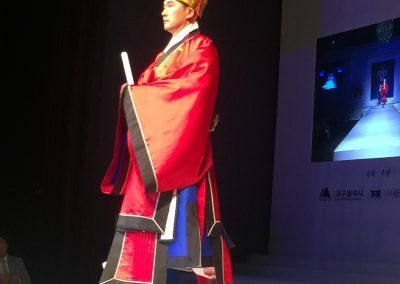 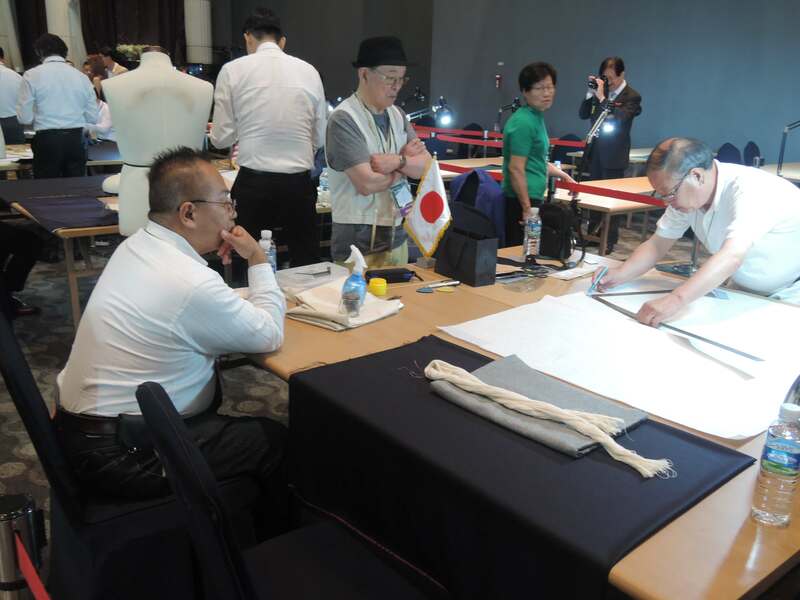 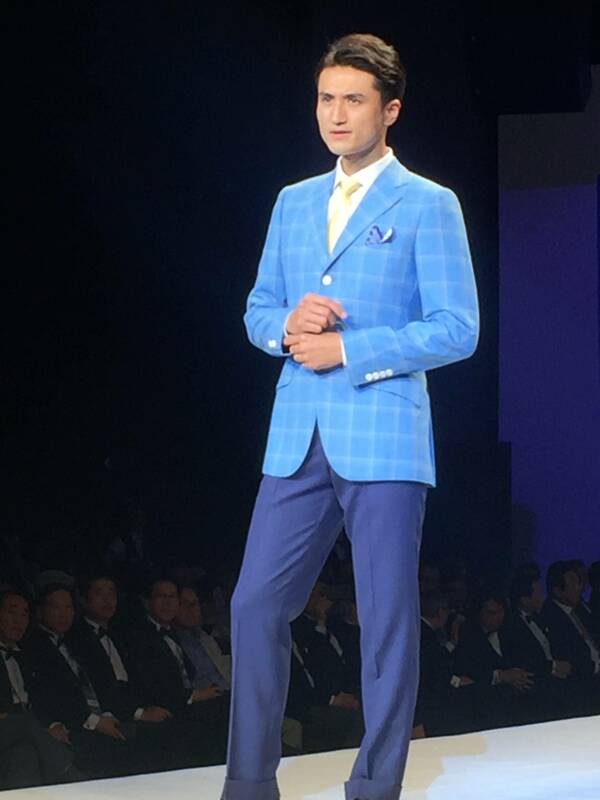 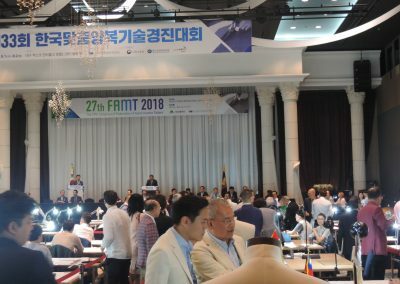 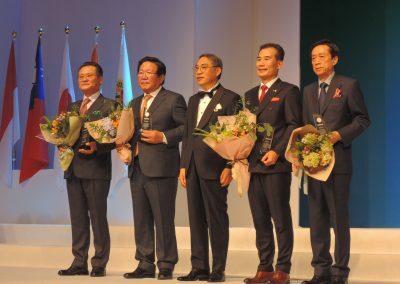 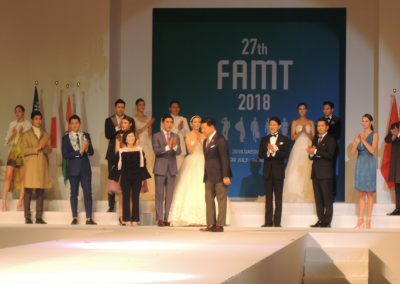 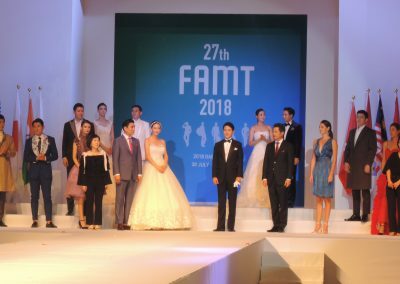 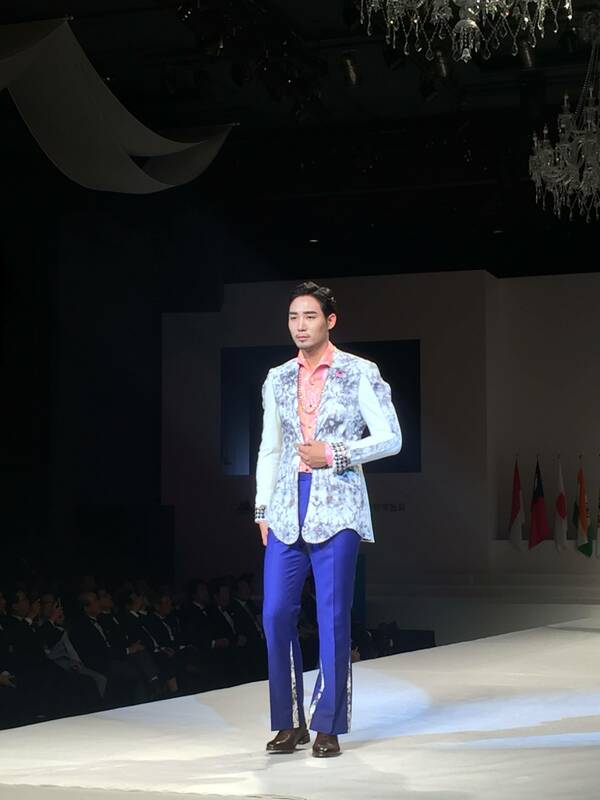 The 27th Congress of Federation of Asian Master Tailors was held in Daegu, Korea From July 30 to August 4, 2018. 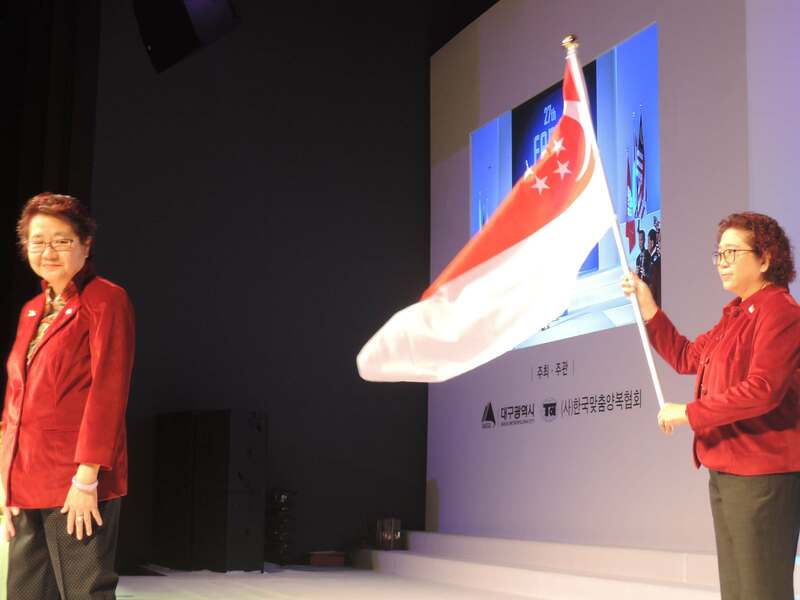 There are total 9 Asian countries attended this congress – Korea, Hong Kong, India, Indonesia, Japan, Malaysia, Singapore, Taiwan and Thailand. 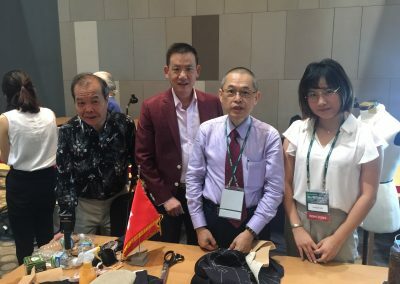 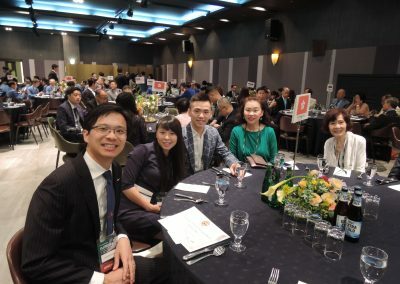 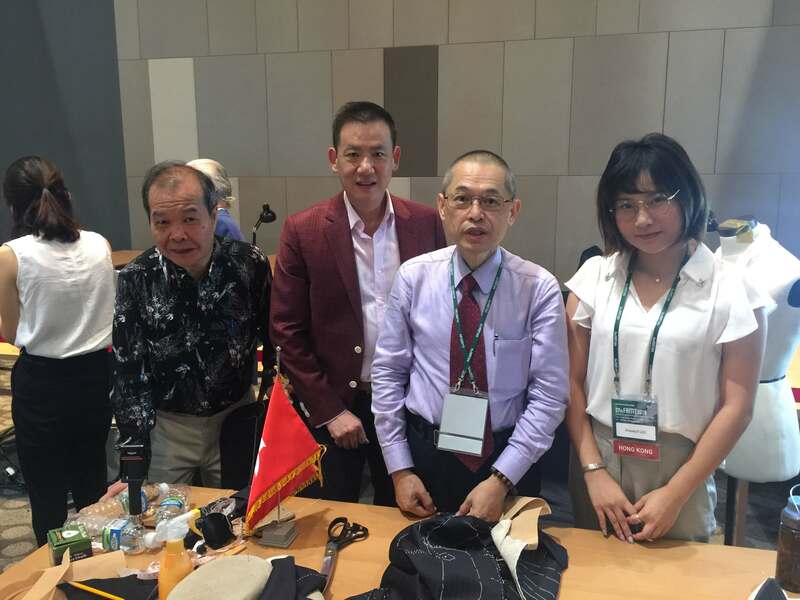 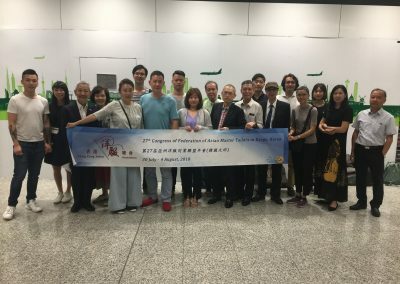 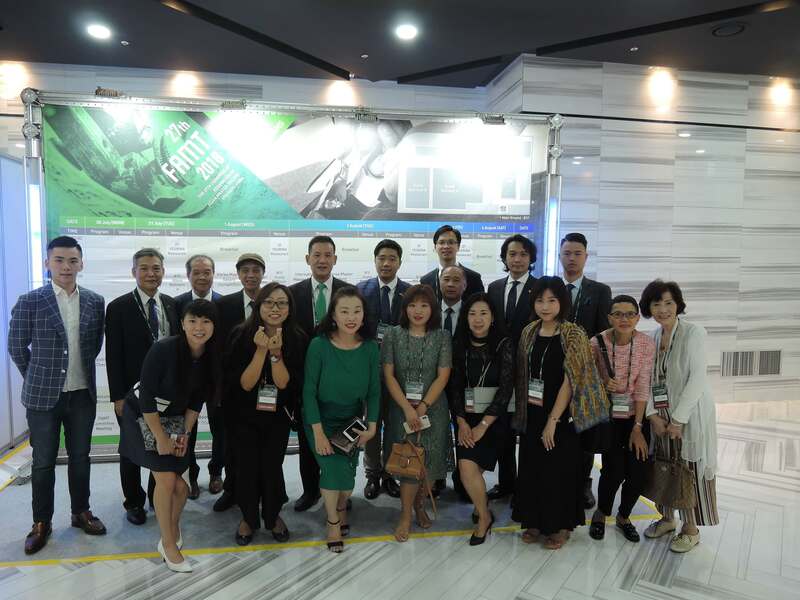 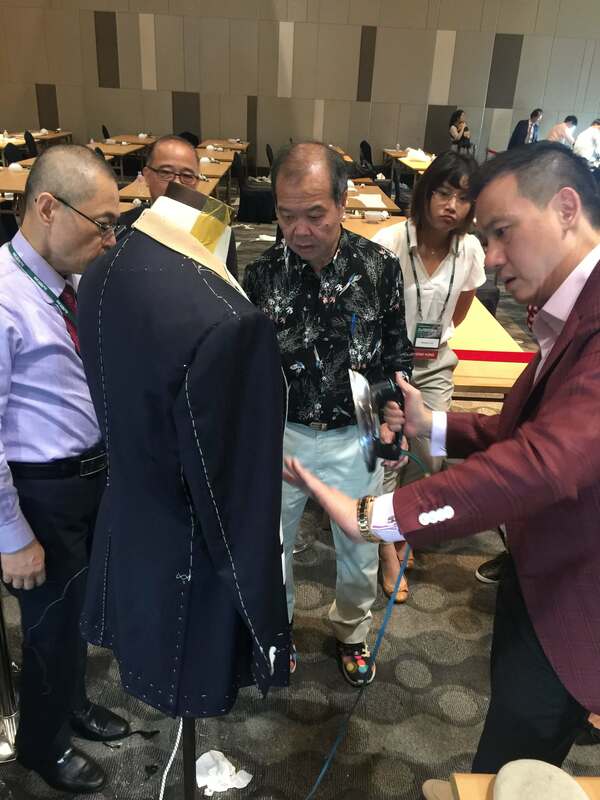 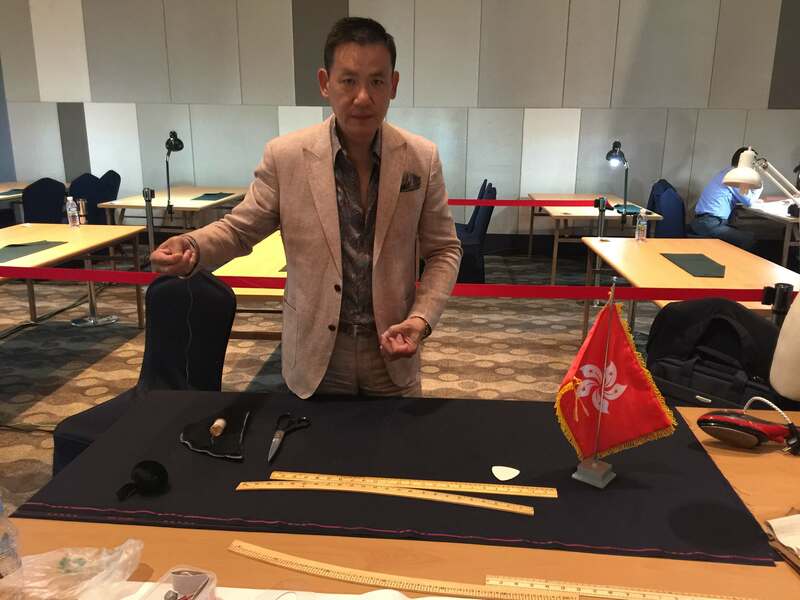 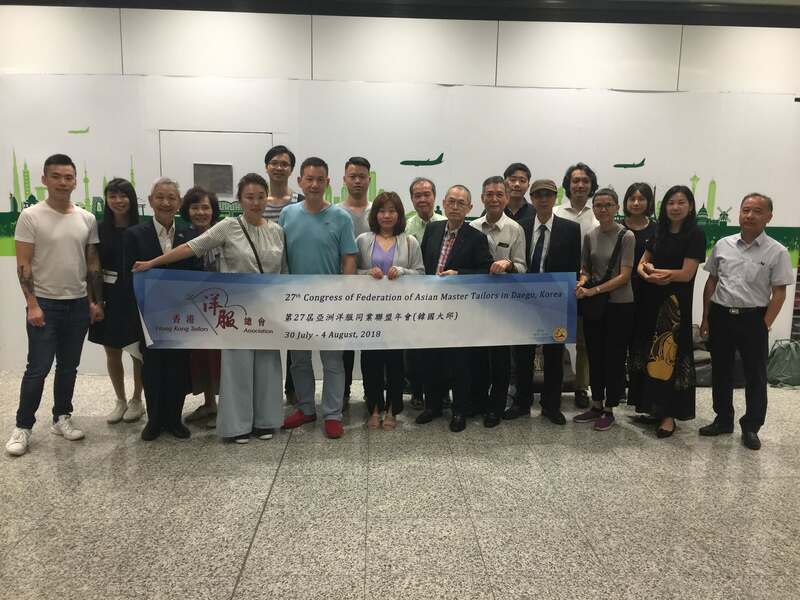 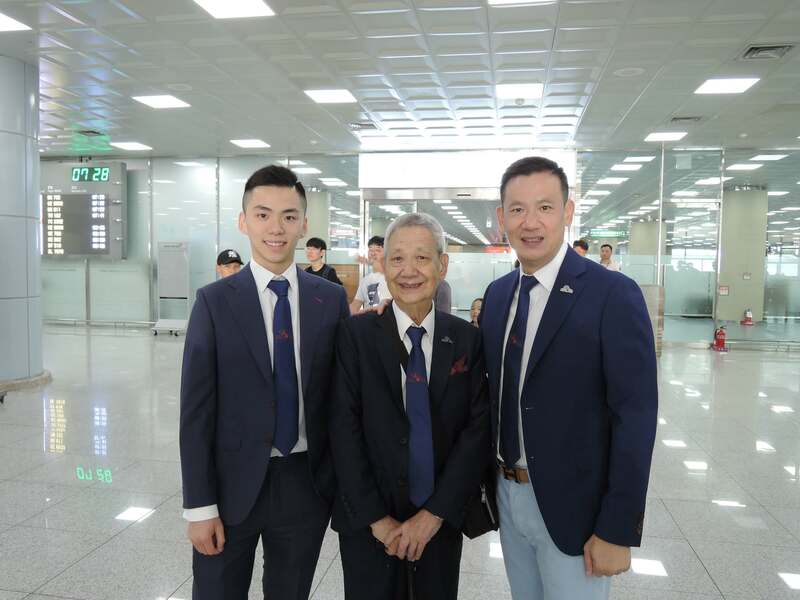 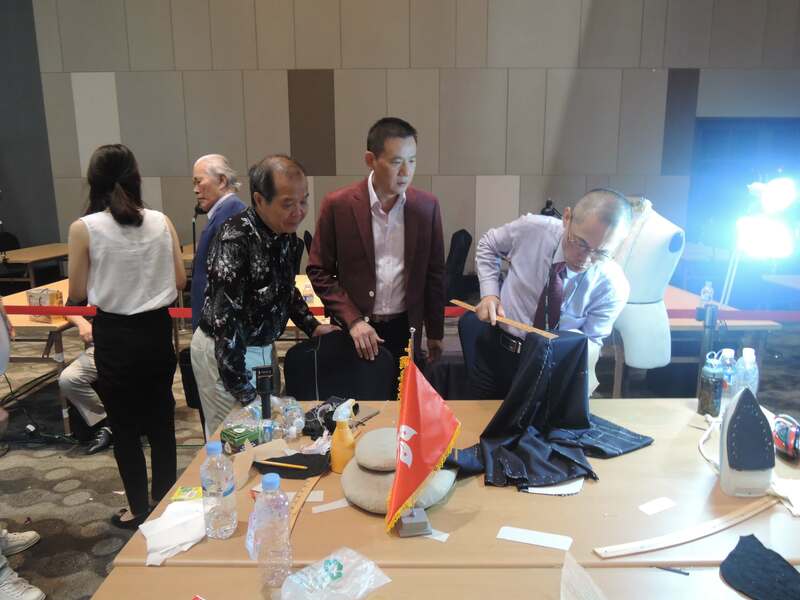 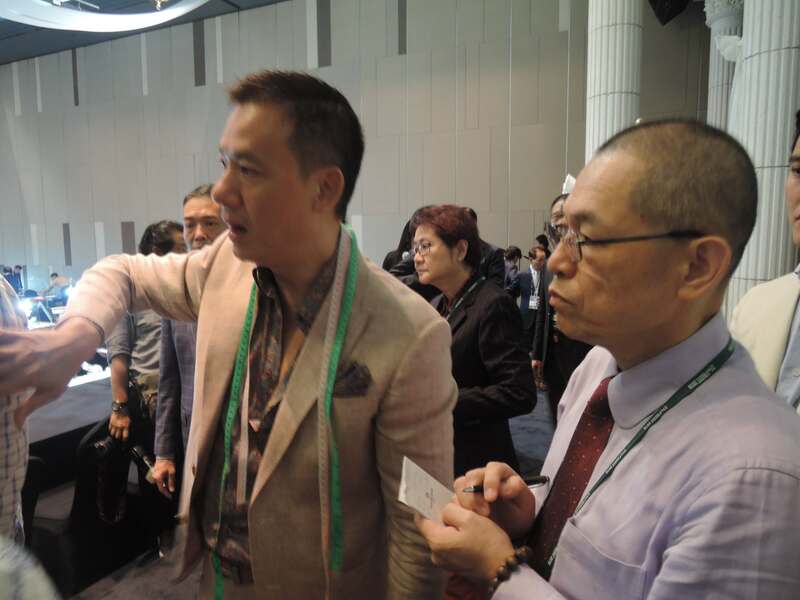 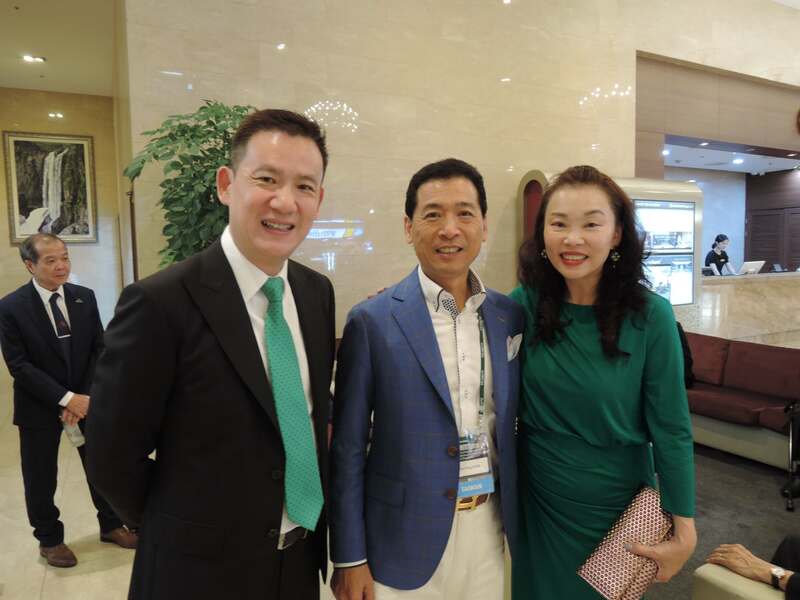 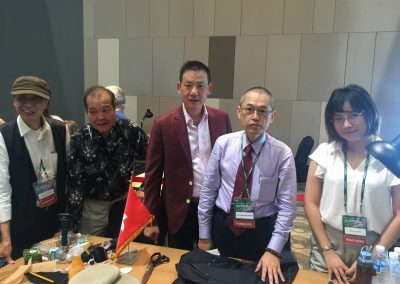 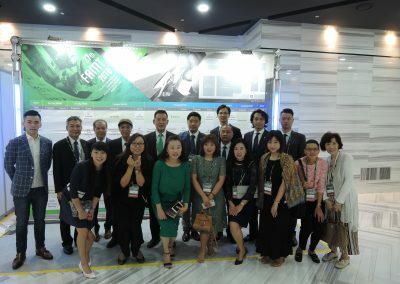 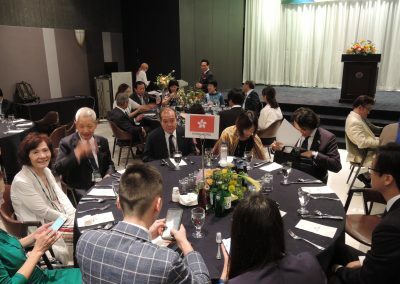 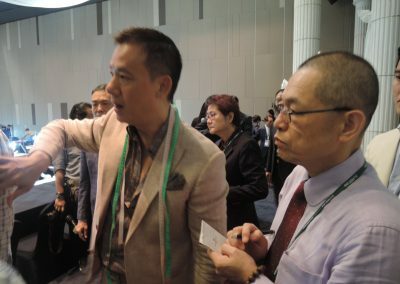 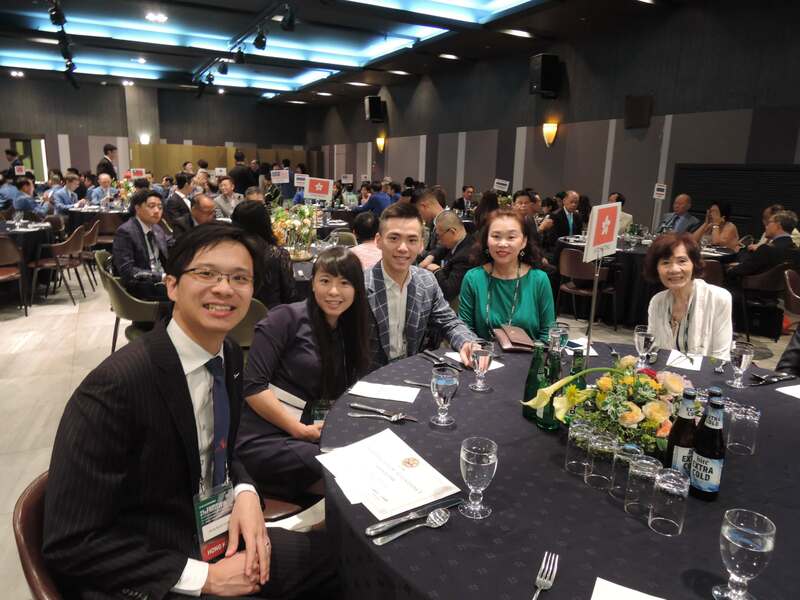 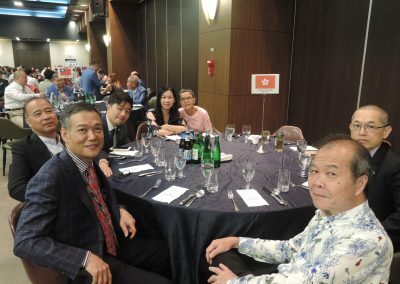 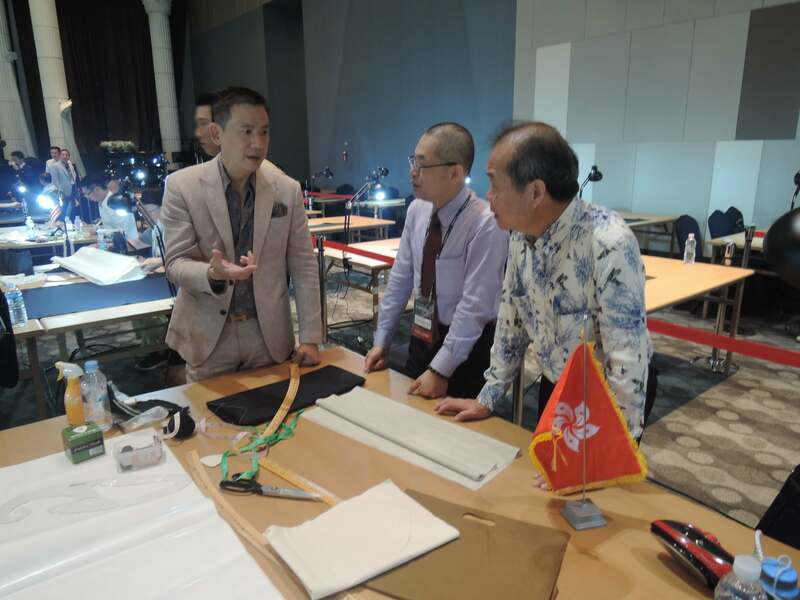 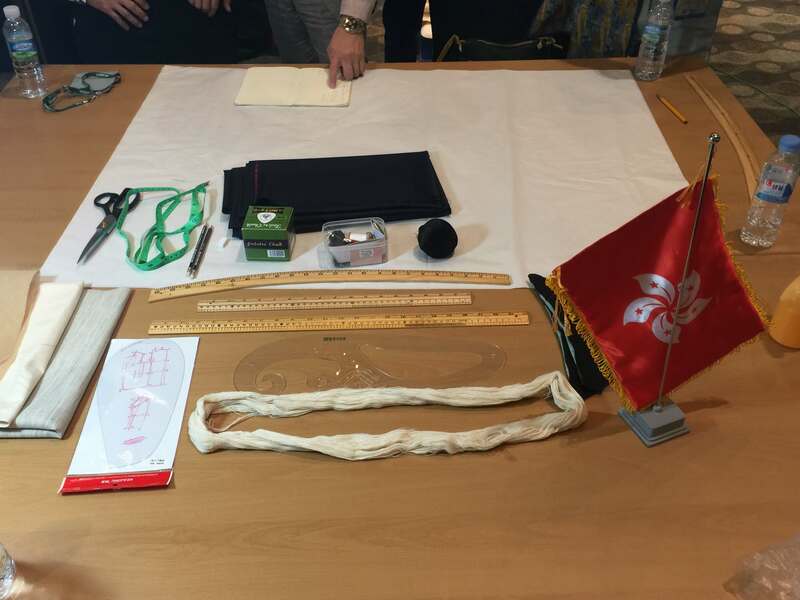 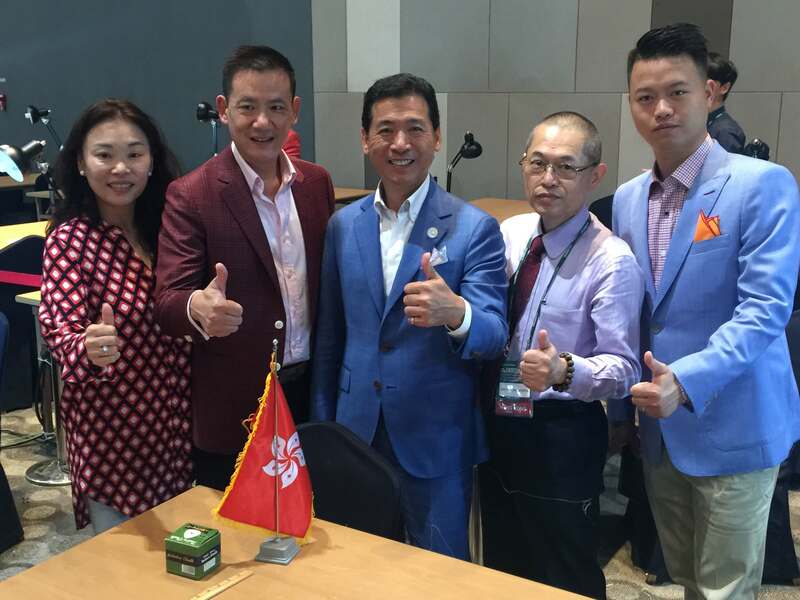 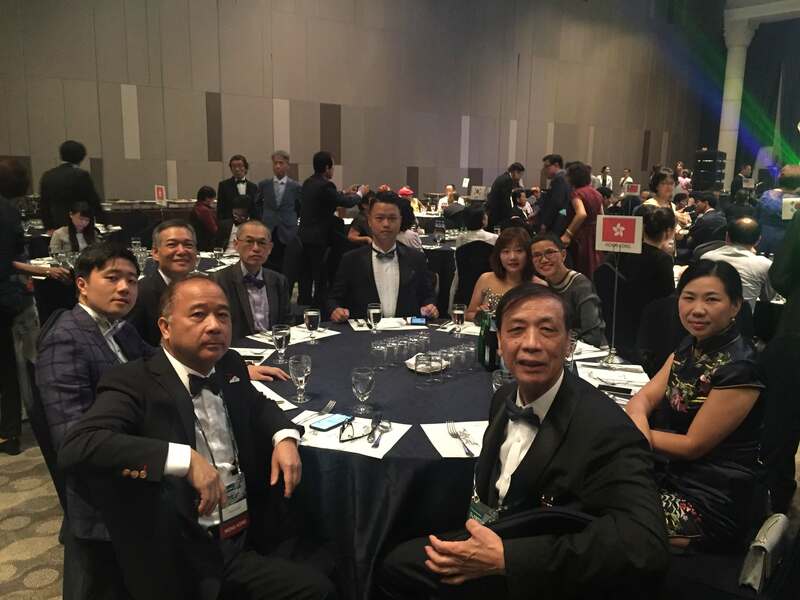 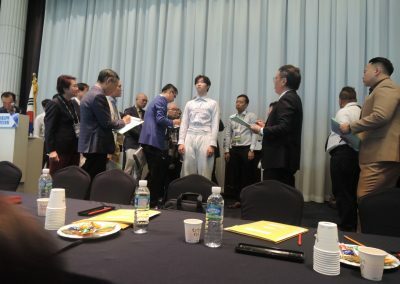 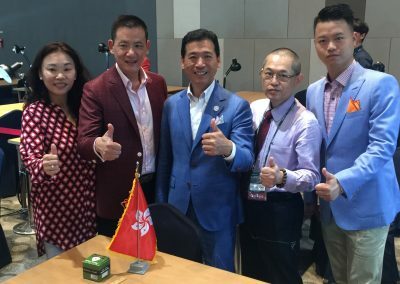 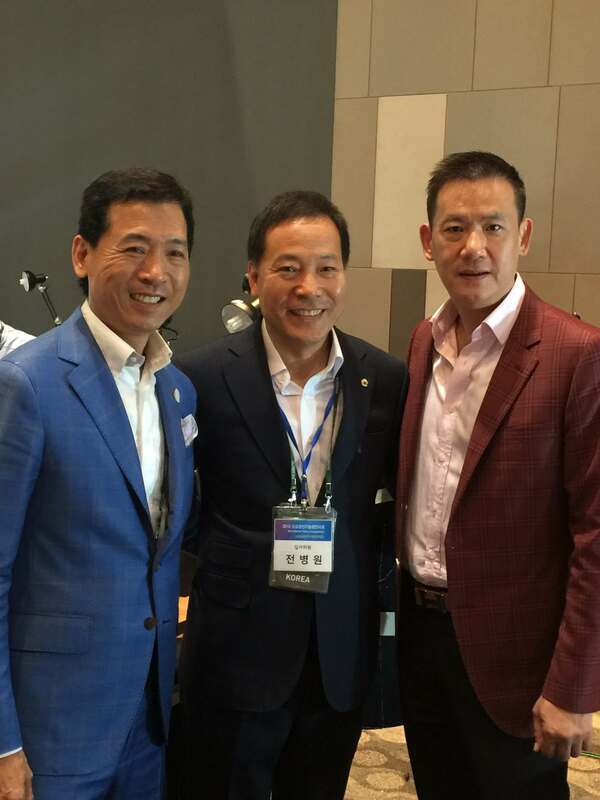 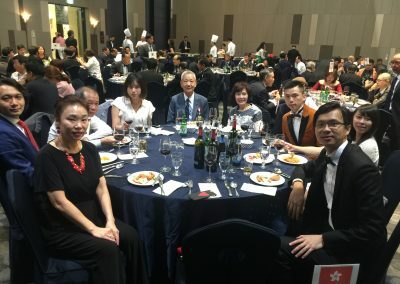 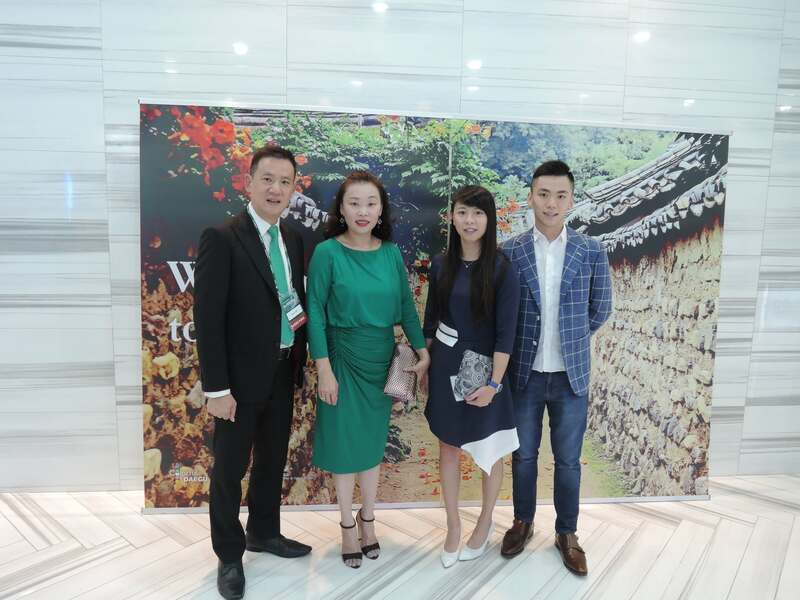 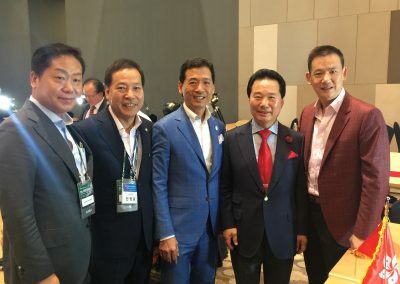 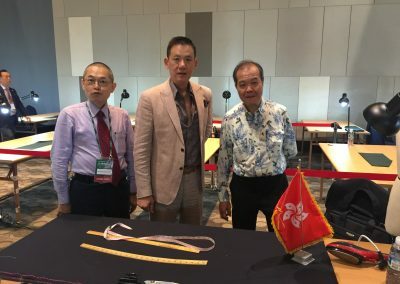 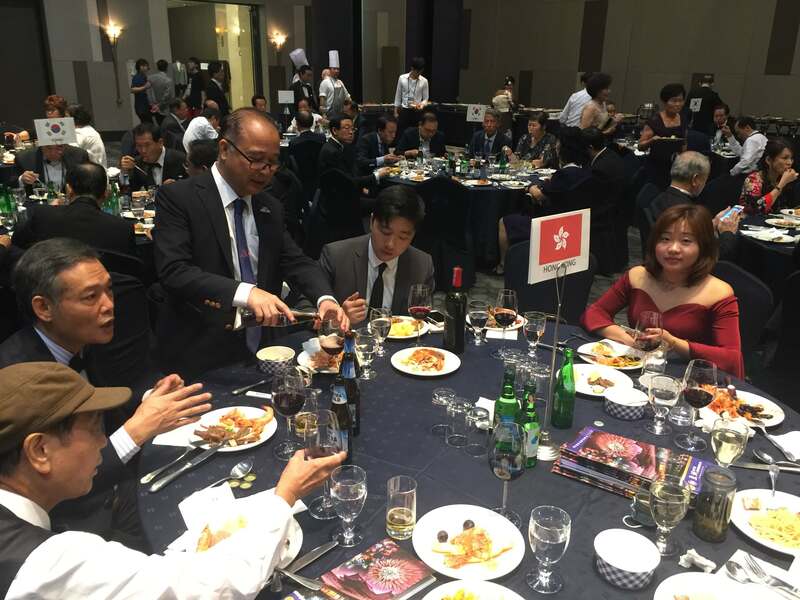 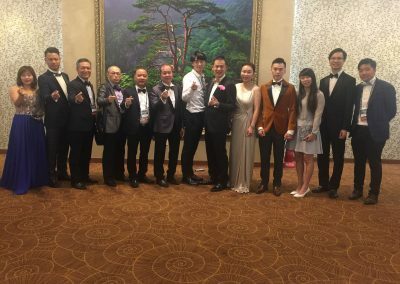 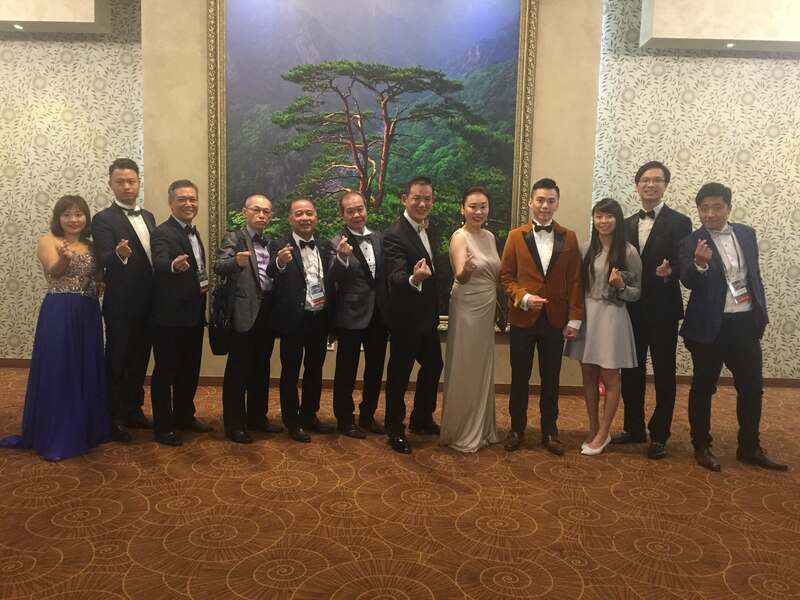 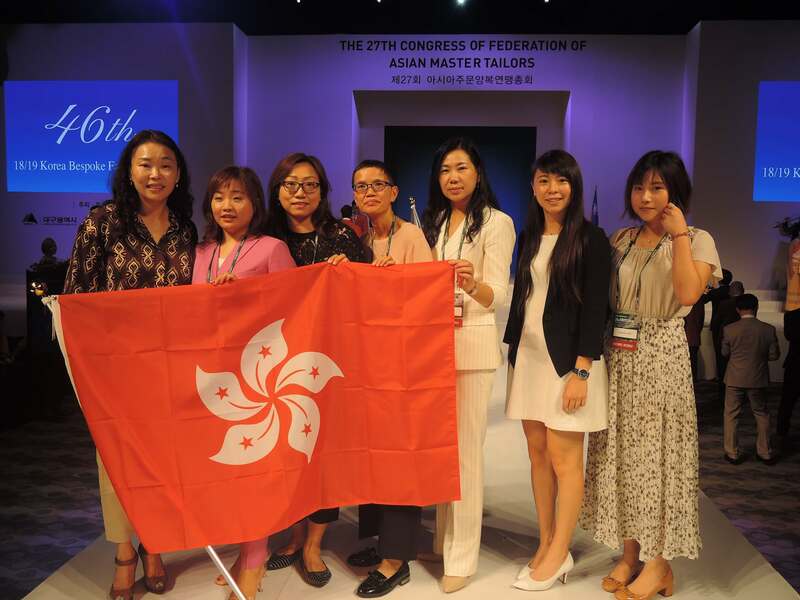 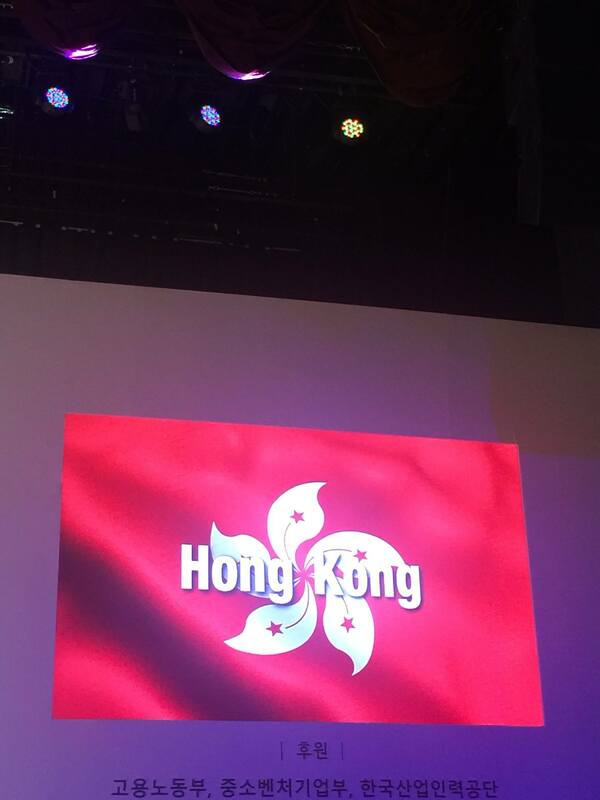 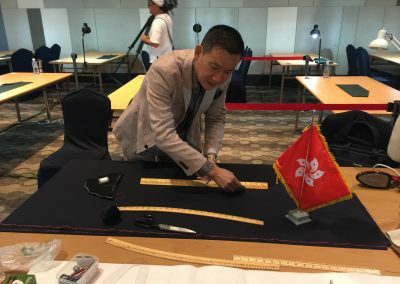 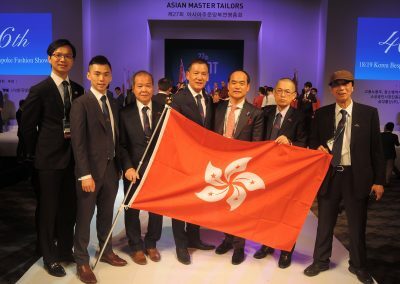 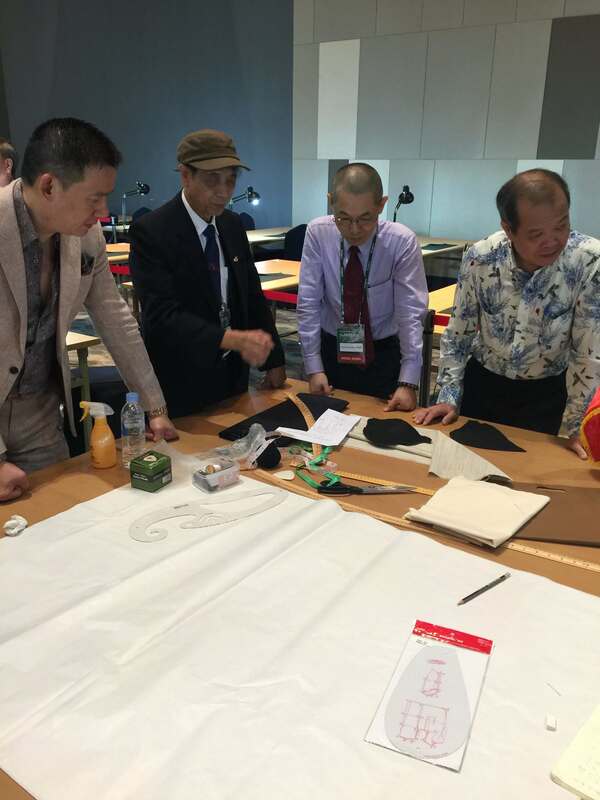 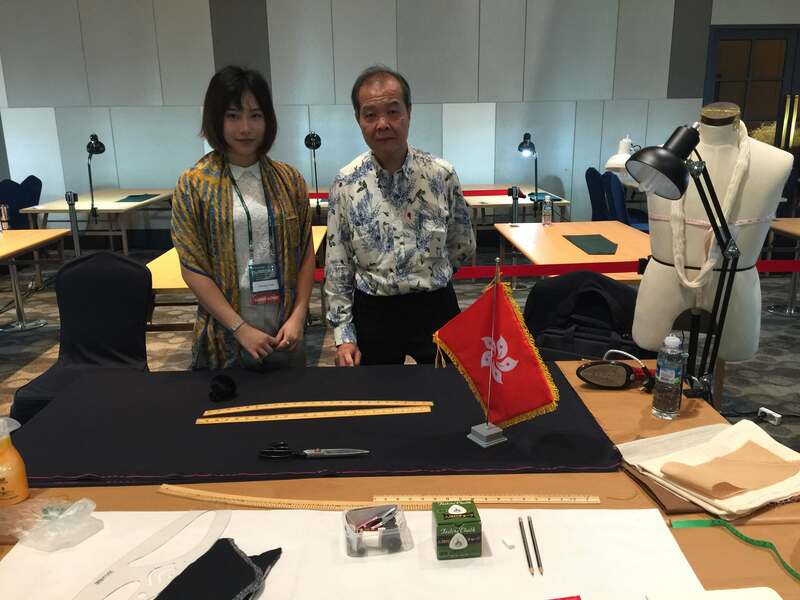 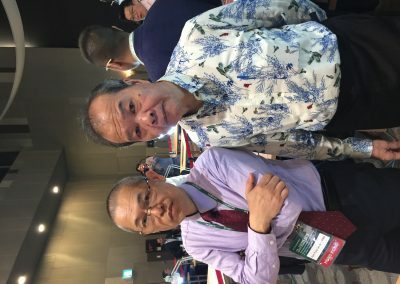 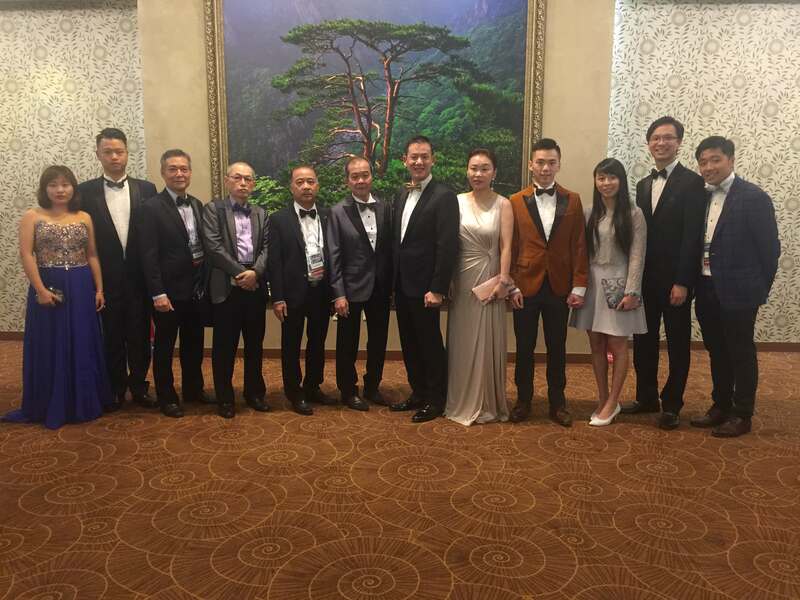 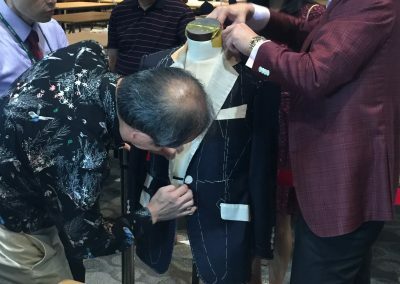 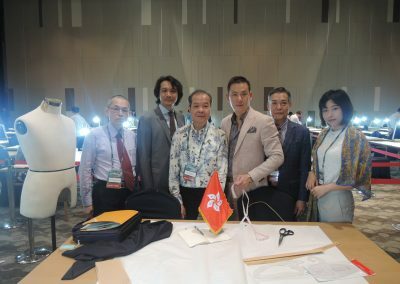 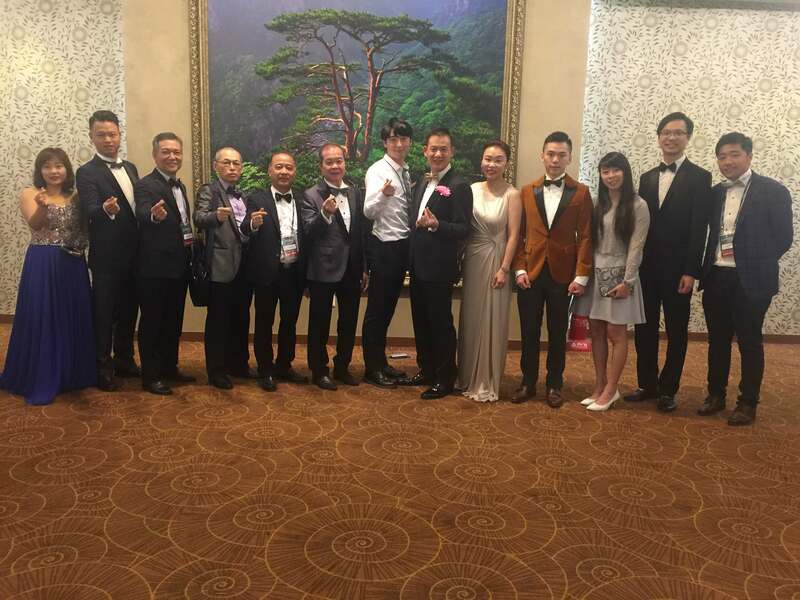 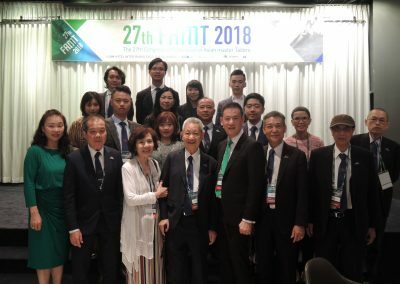 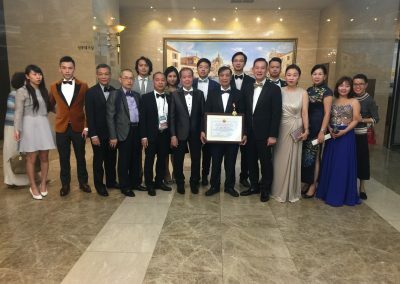 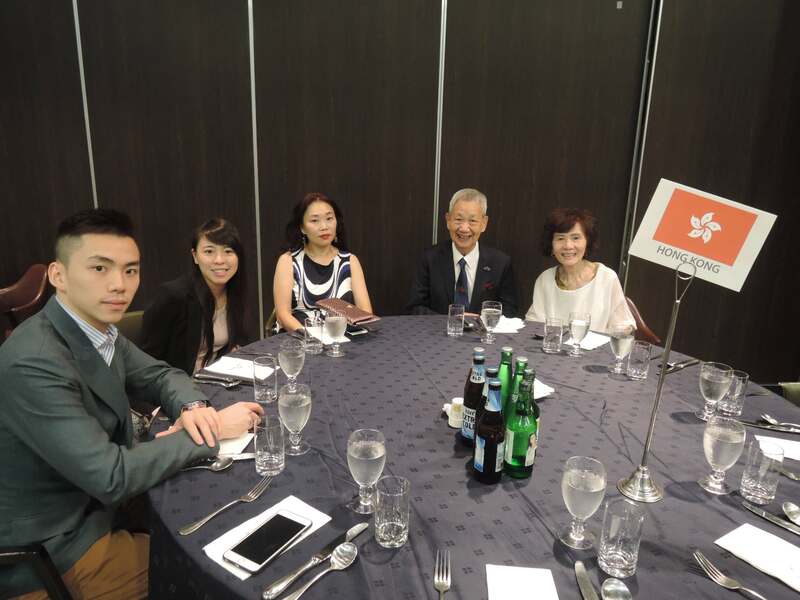 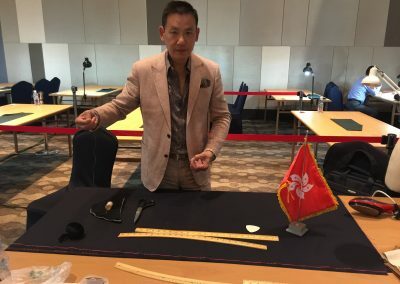 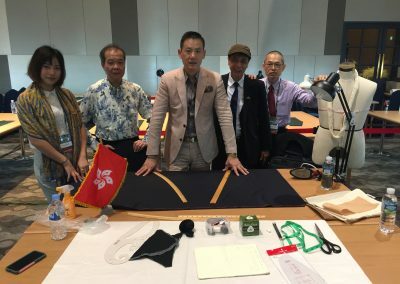 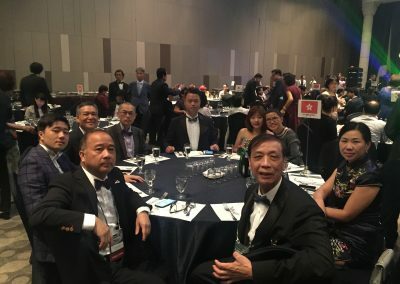 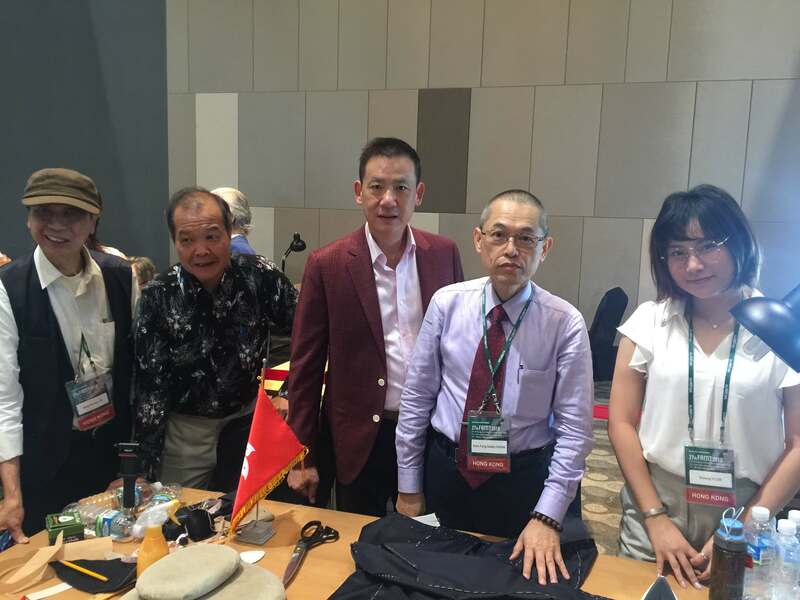 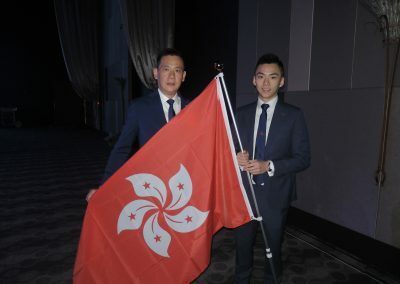 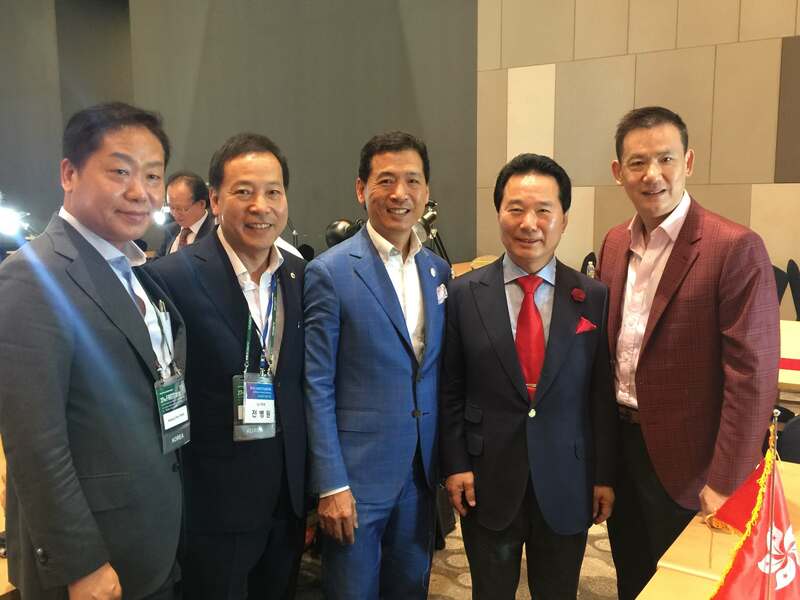 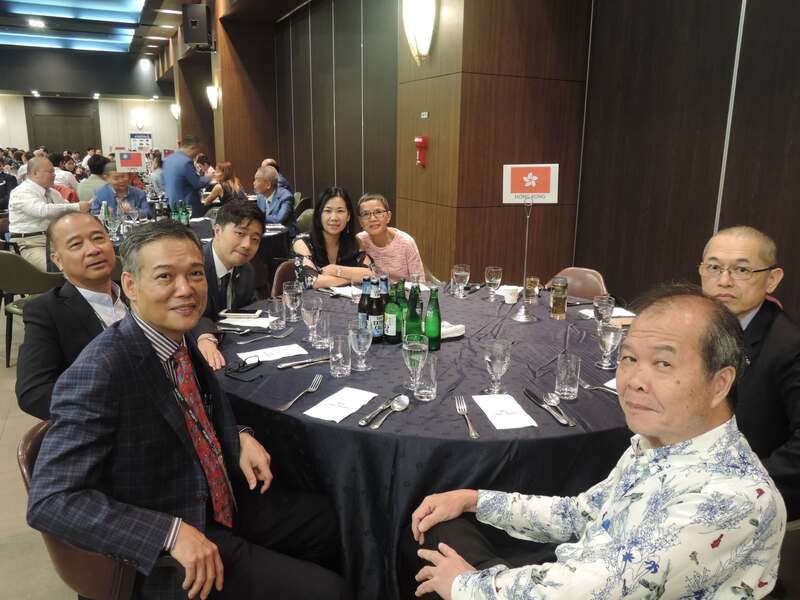 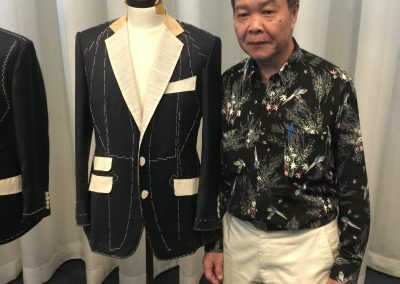 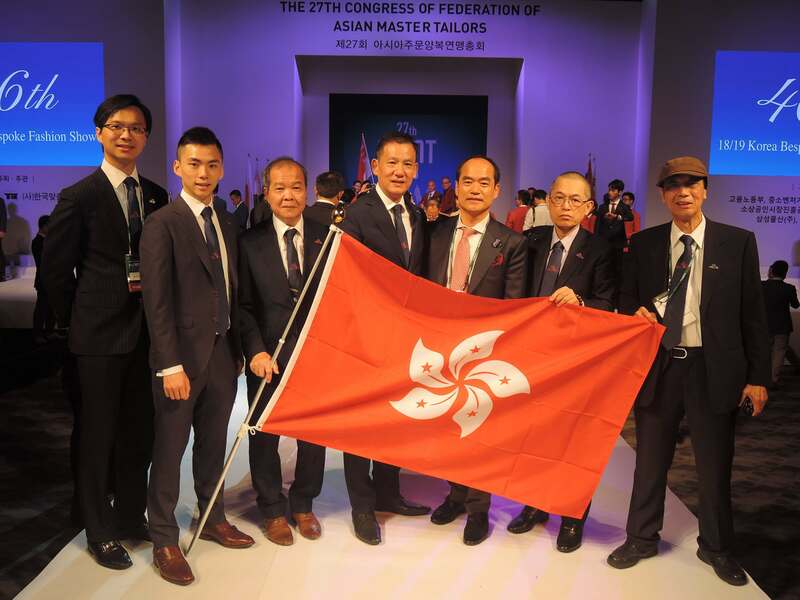 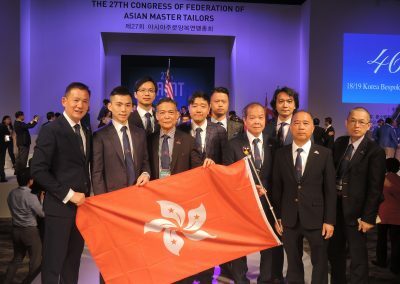 This year, Hong Kong Tailors Association organized a group of total 20 people from Hong Kong tailors to attend this congress. 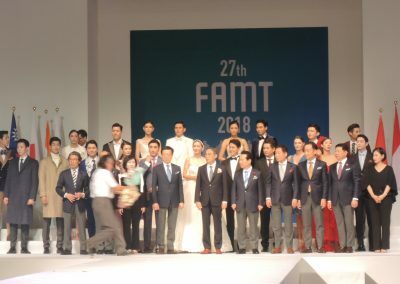 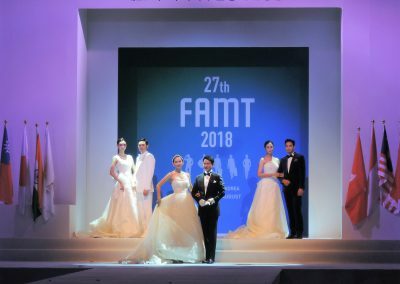 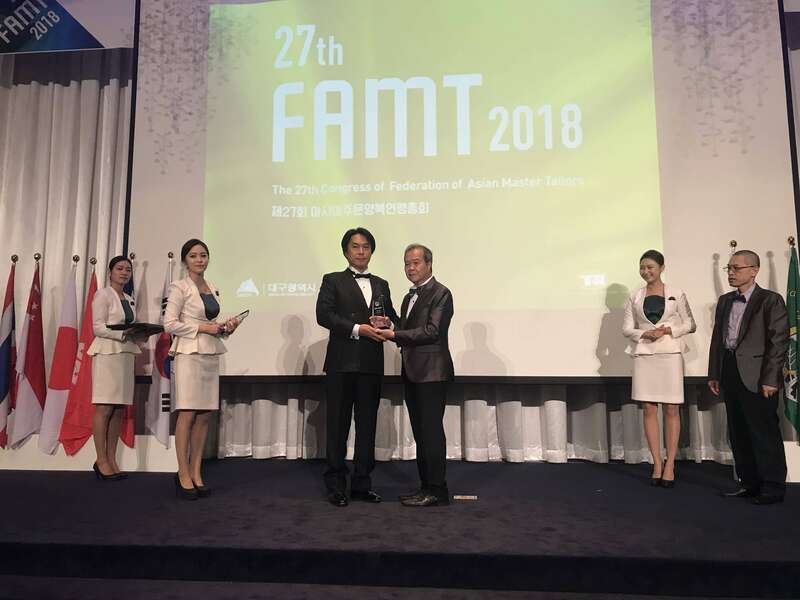 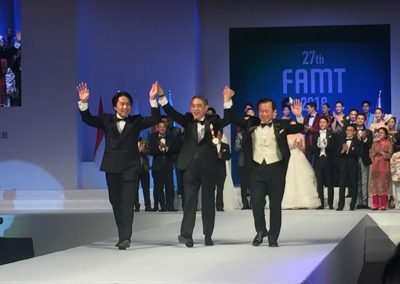 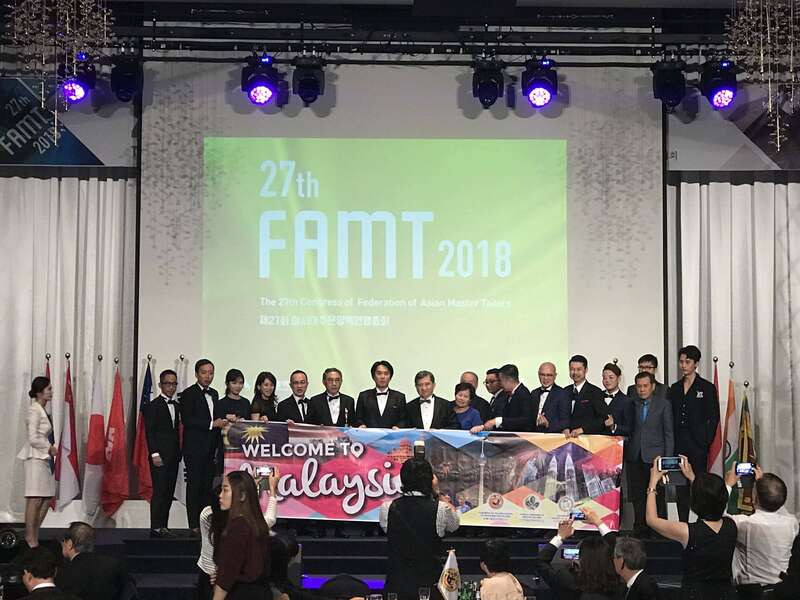 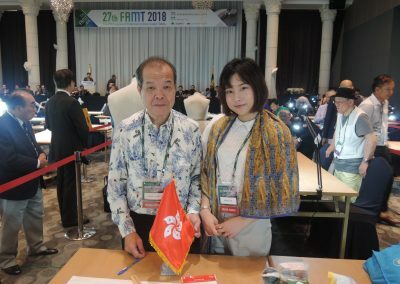 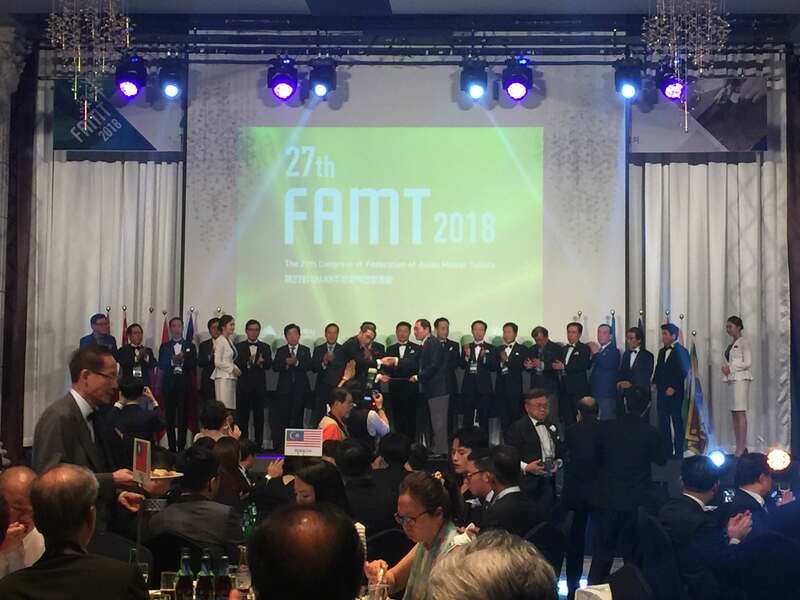 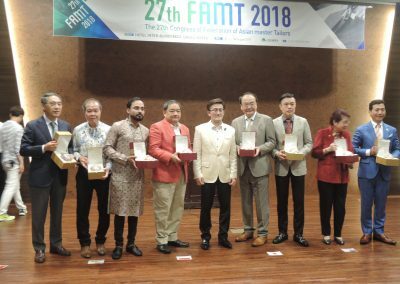 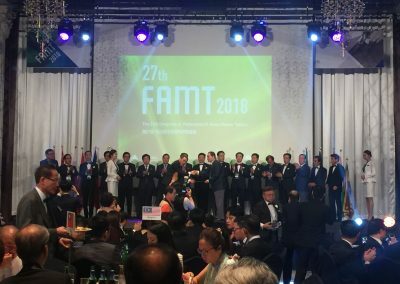 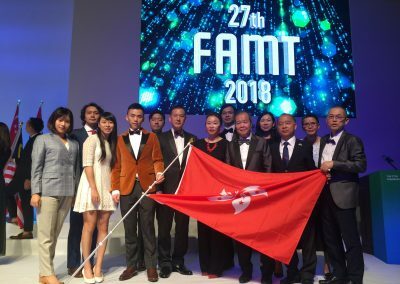 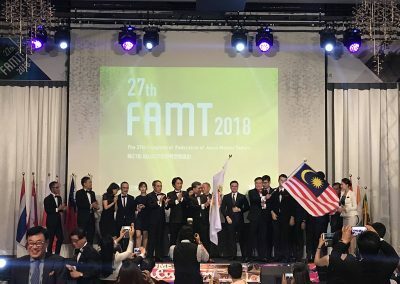 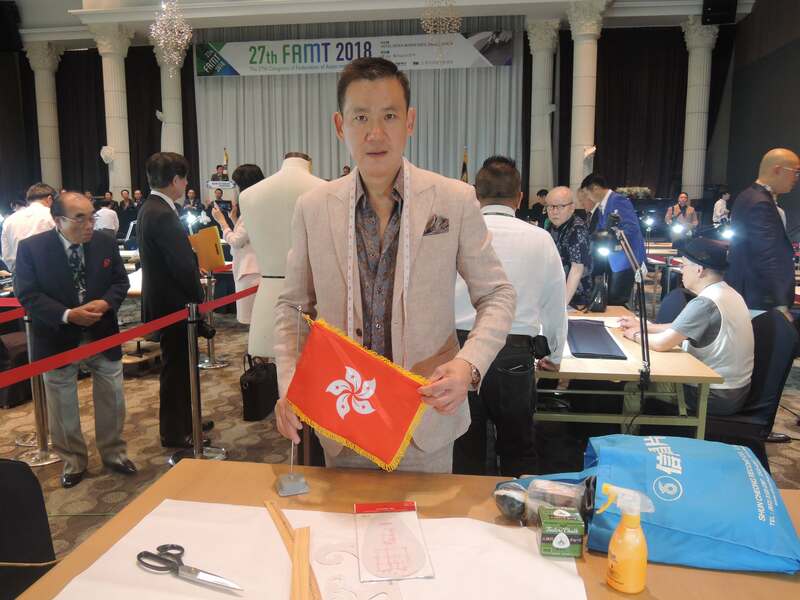 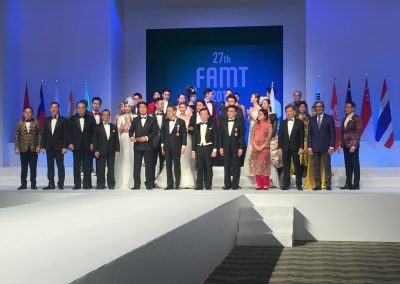 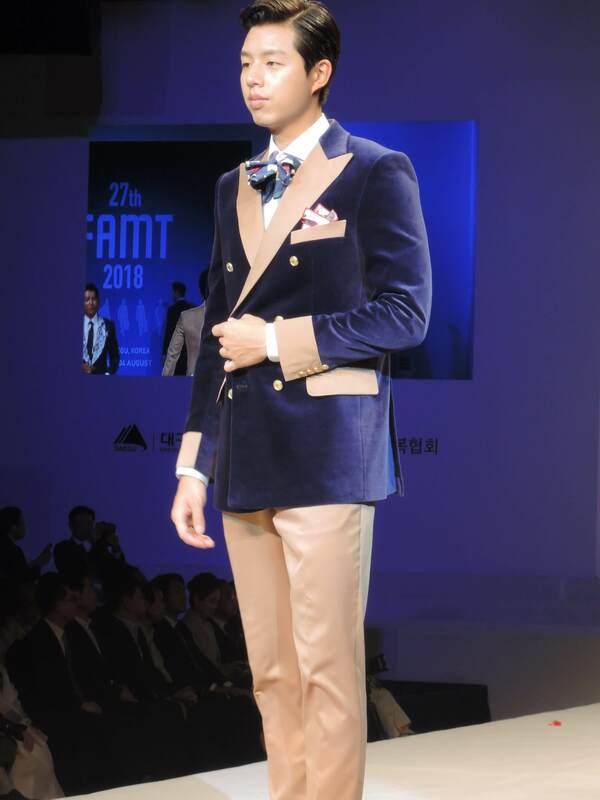 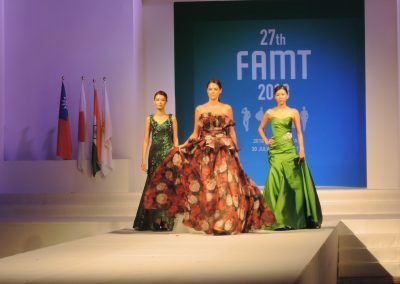 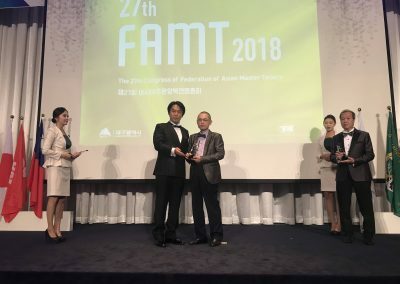 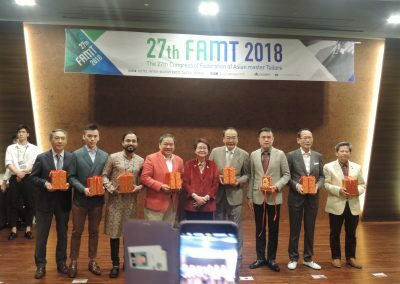 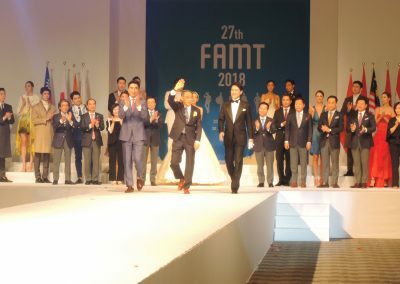 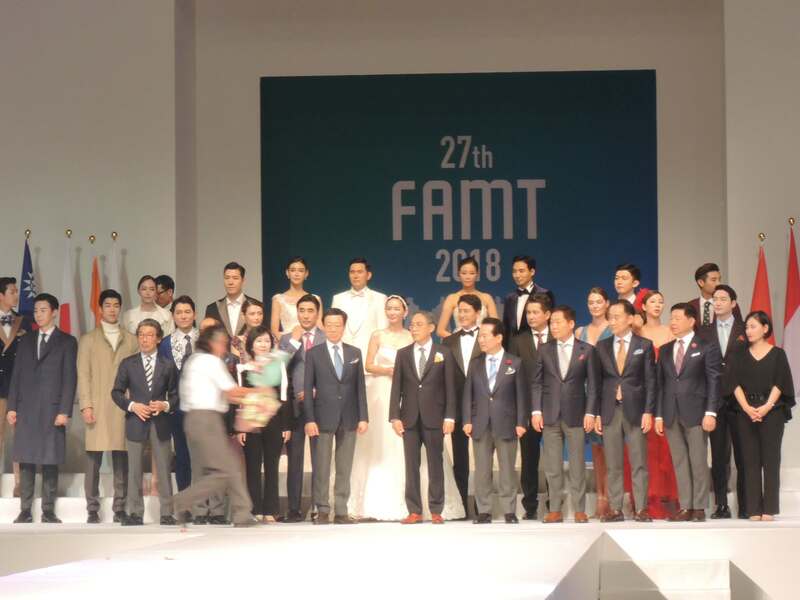 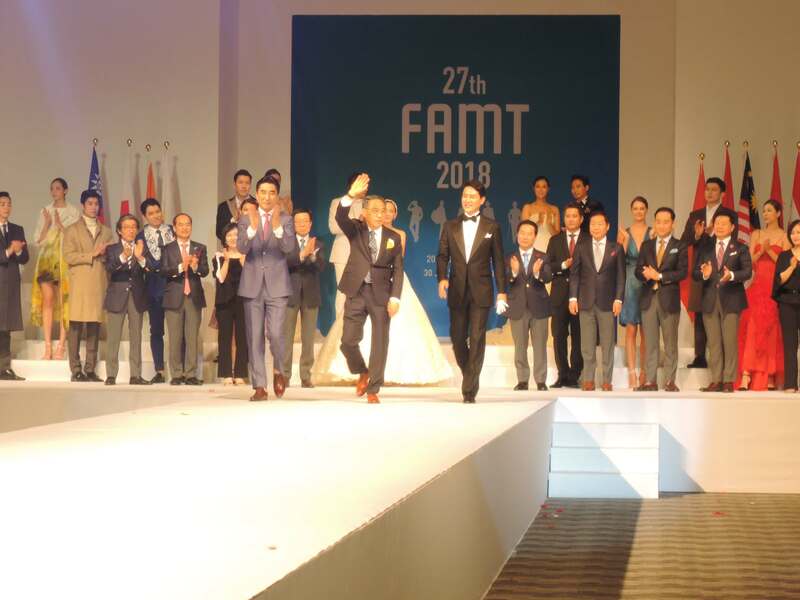 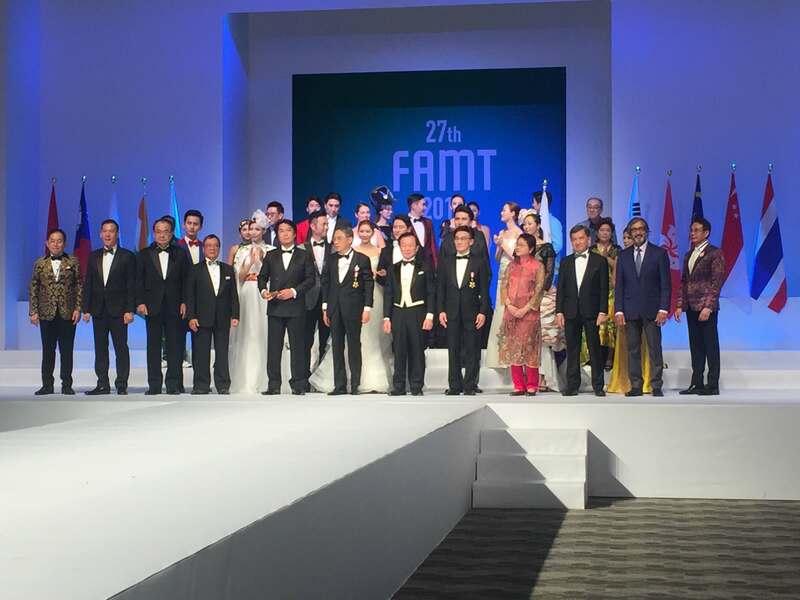 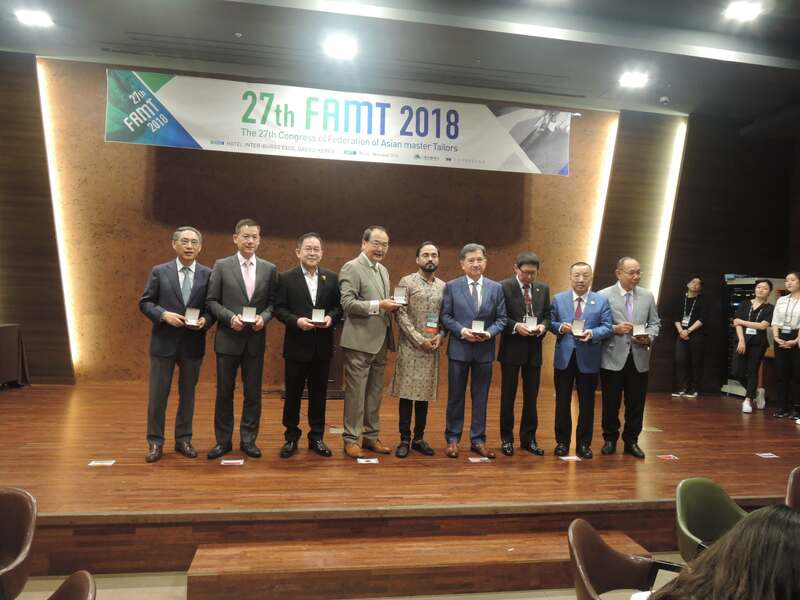 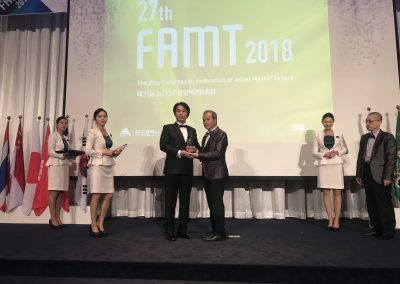 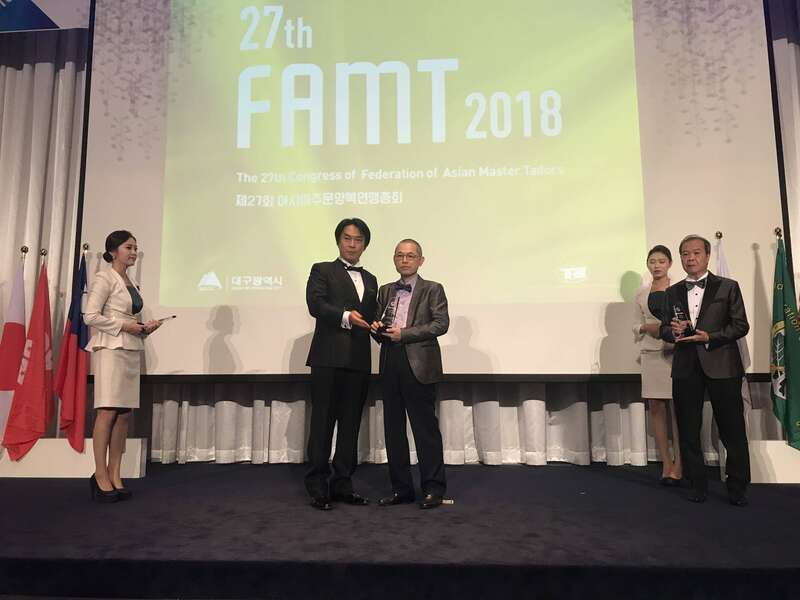 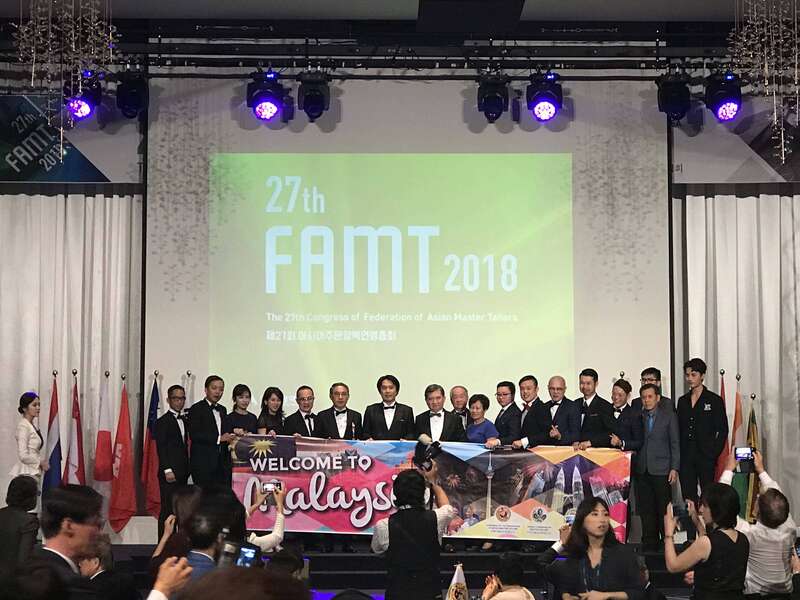 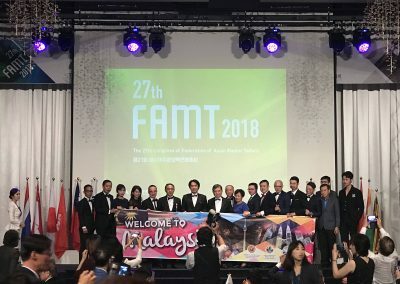 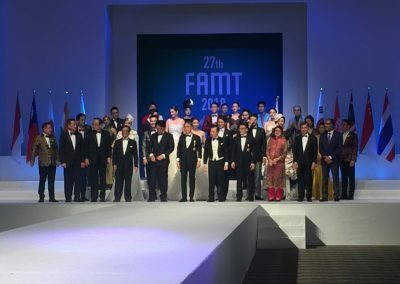 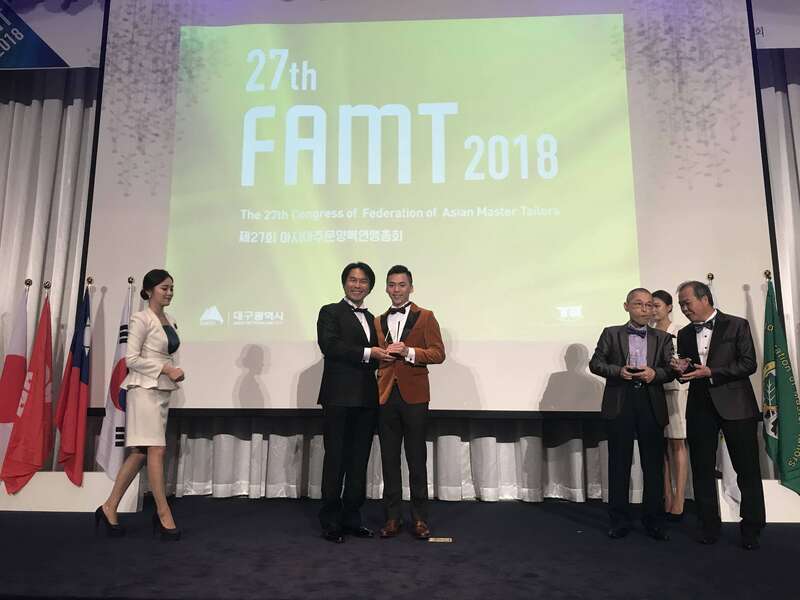 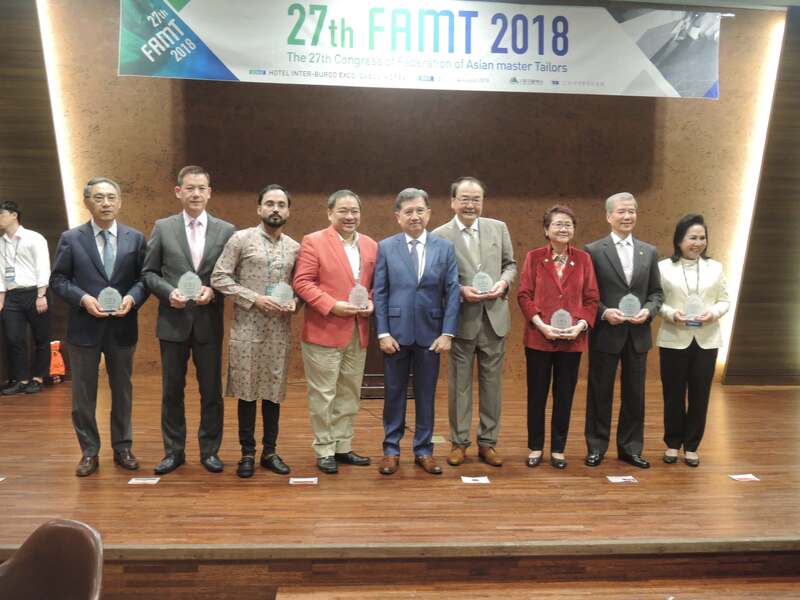 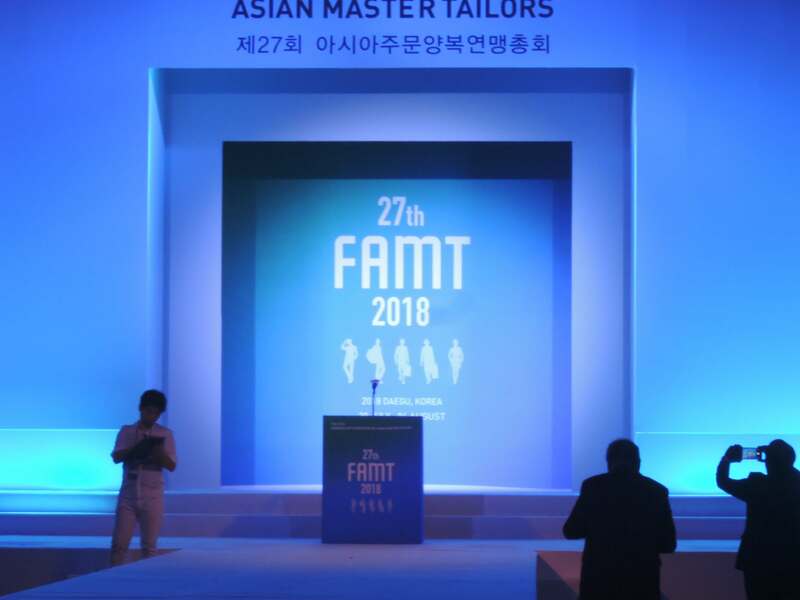 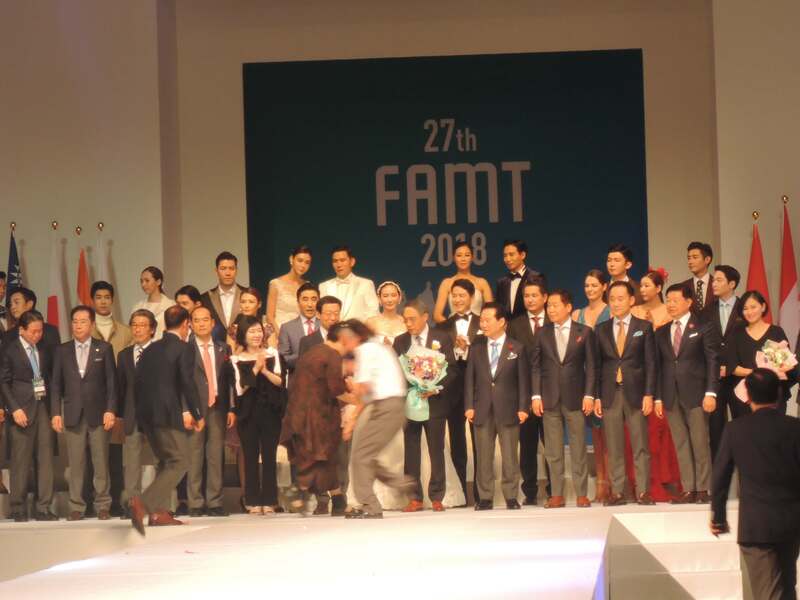 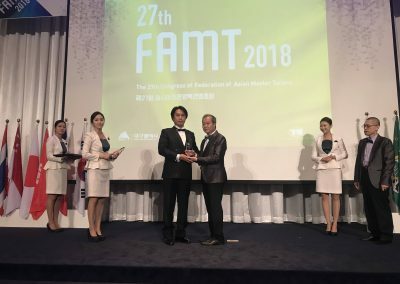 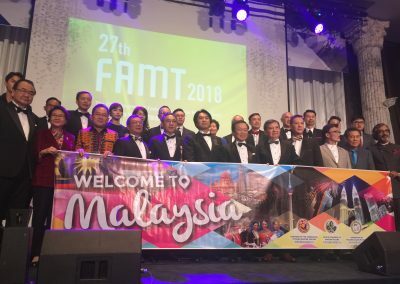 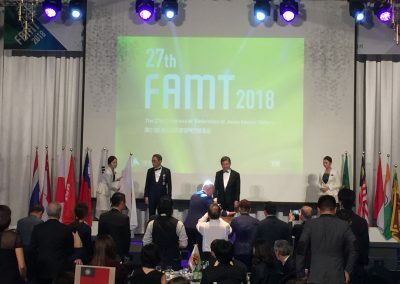 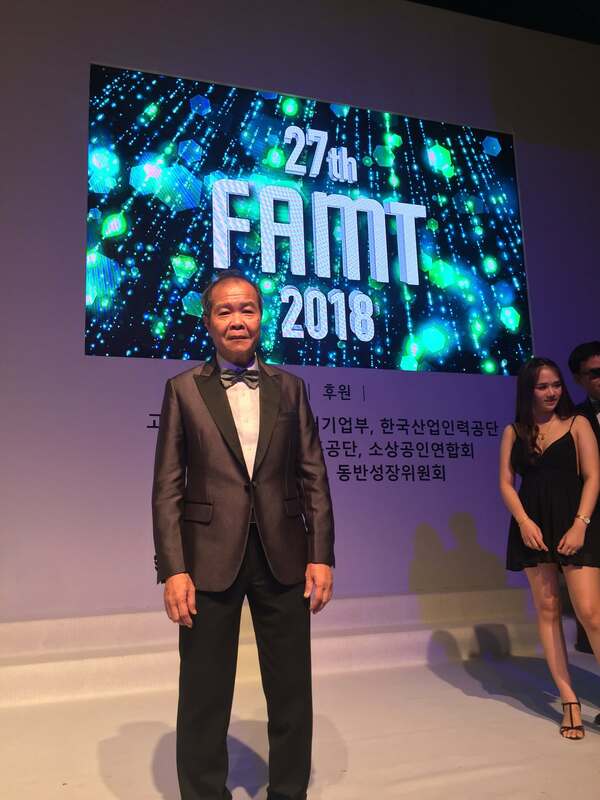 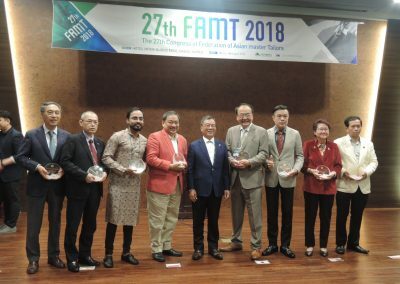 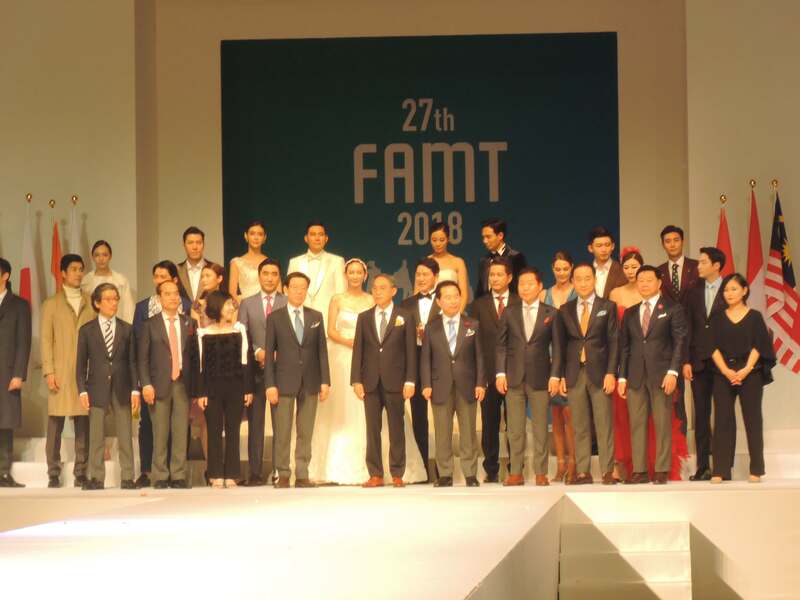 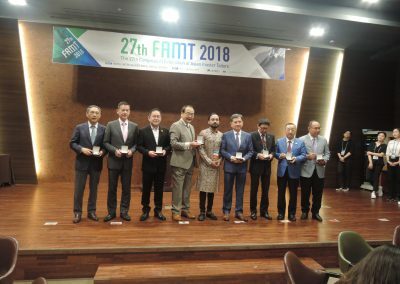 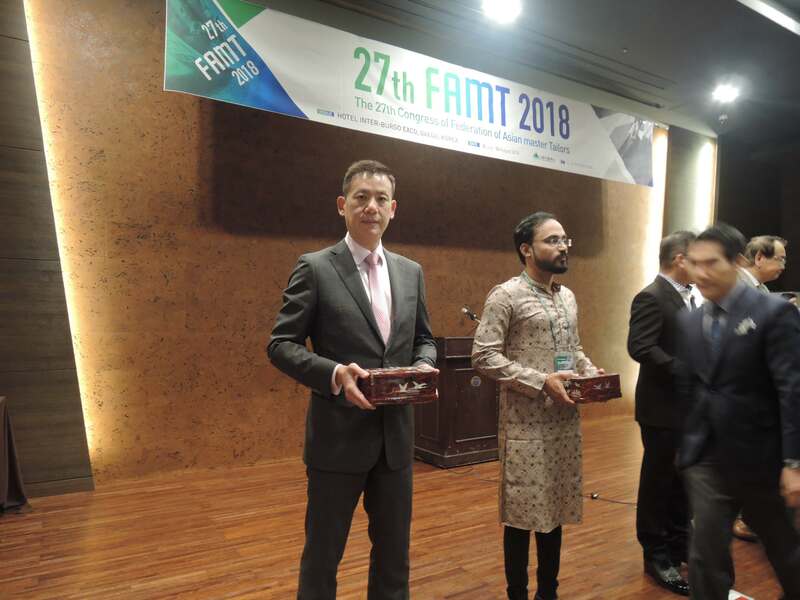 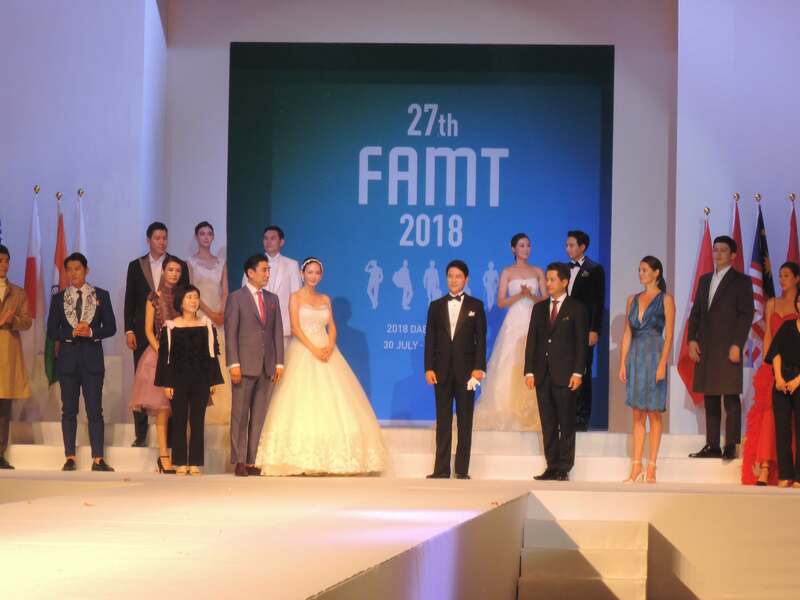 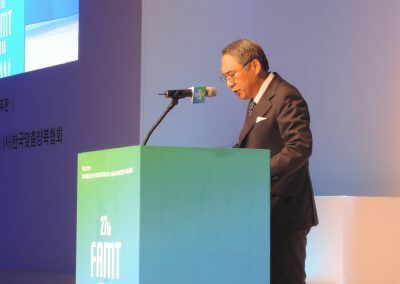 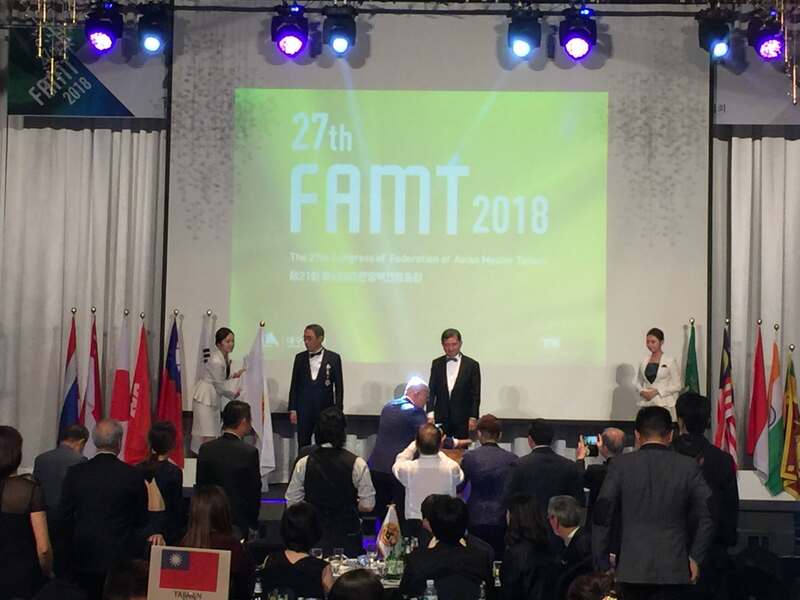 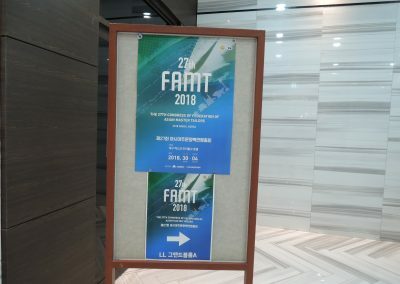 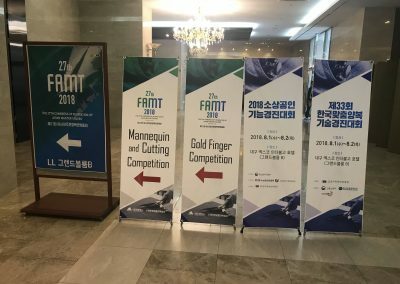 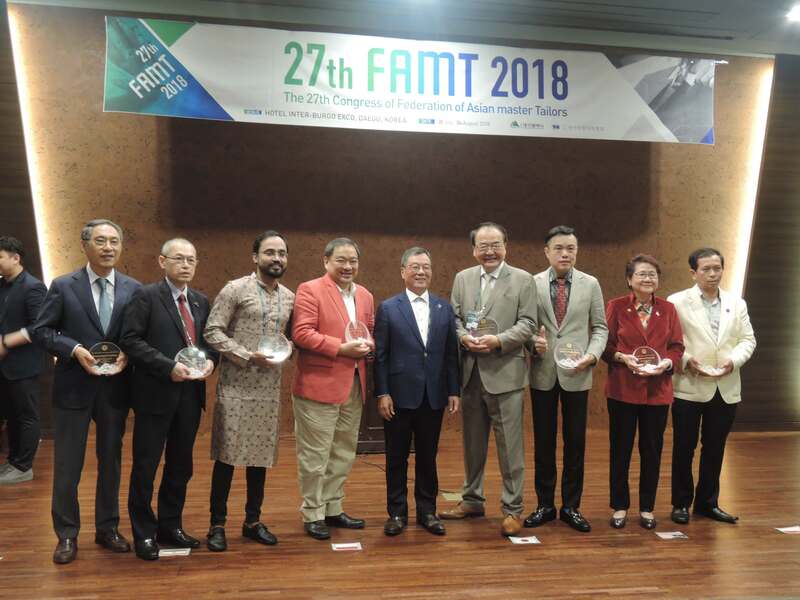 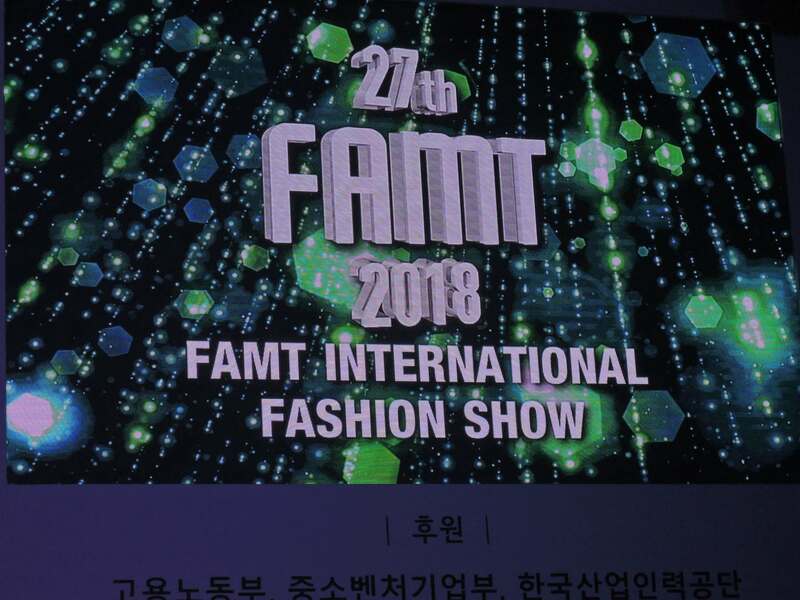 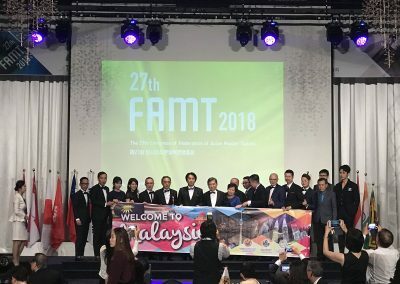 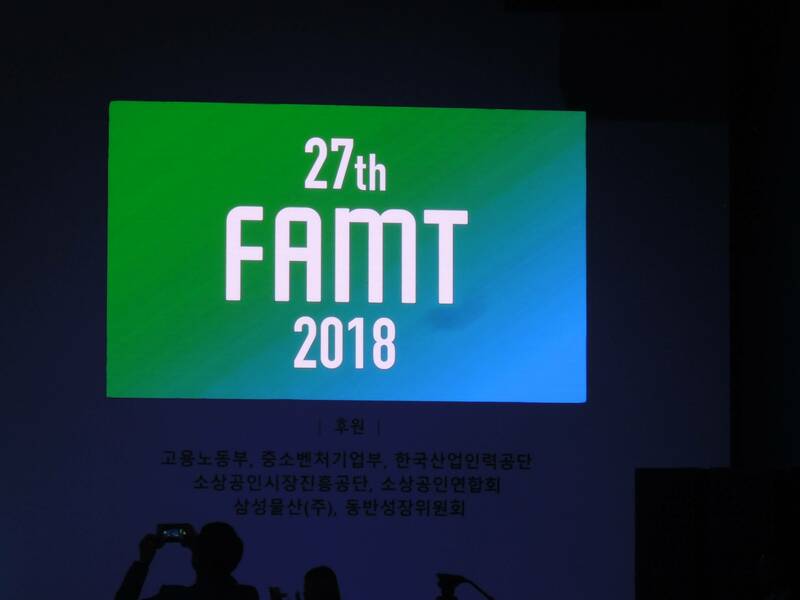 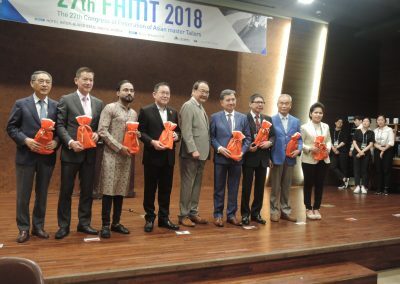 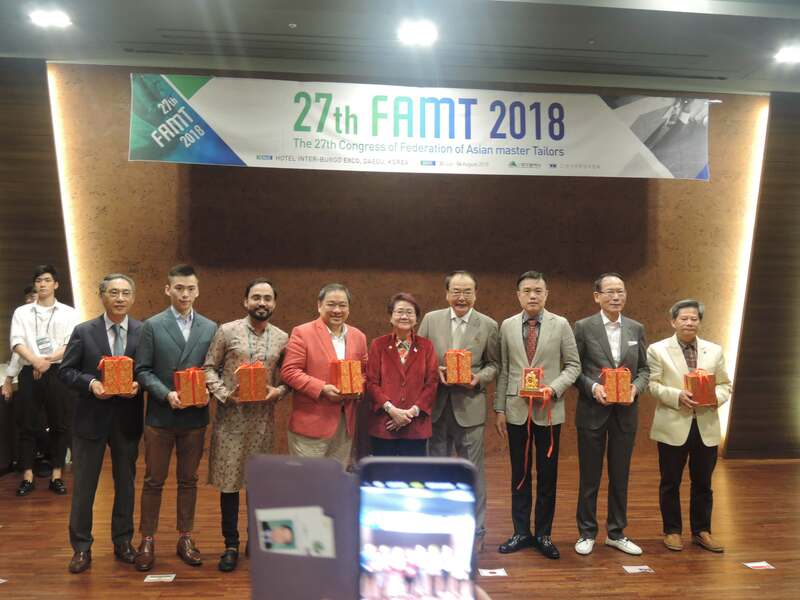 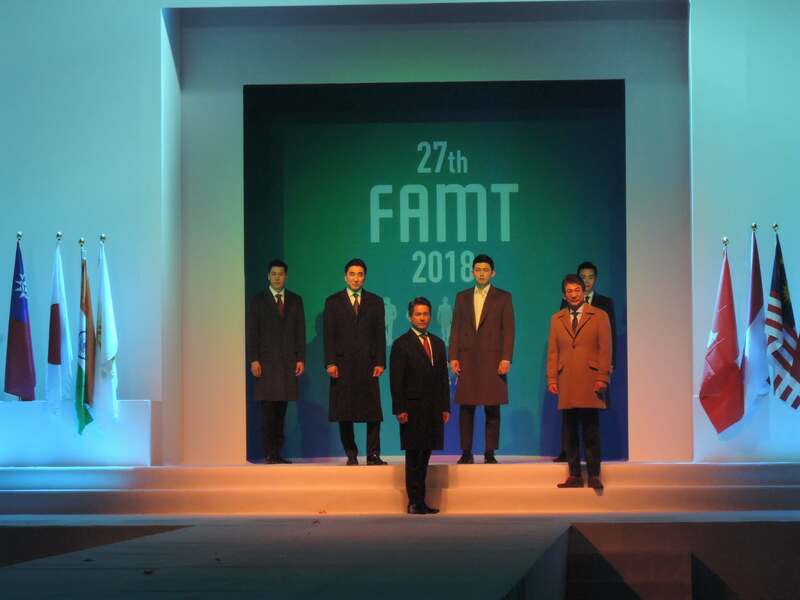 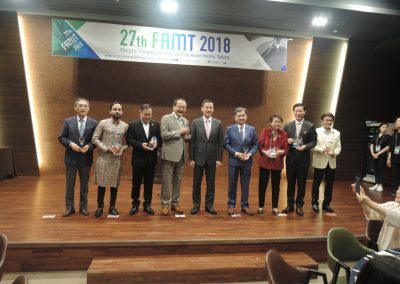 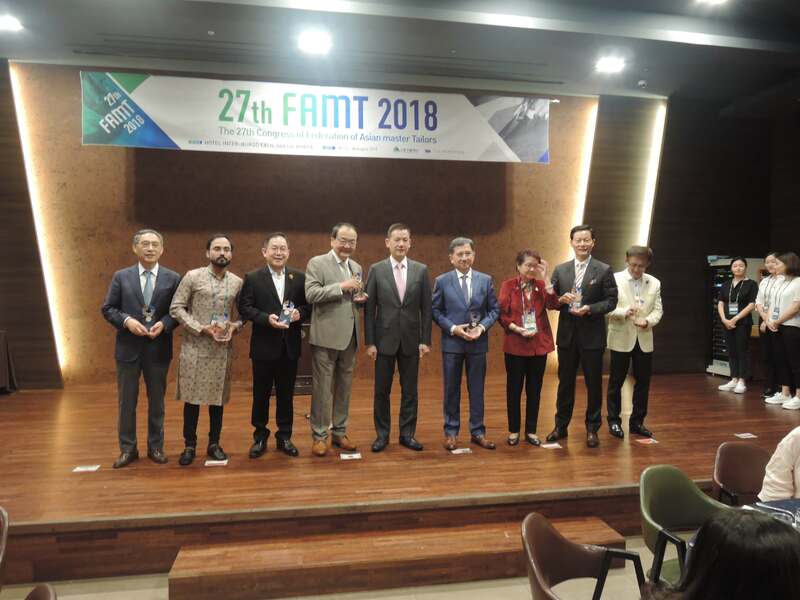 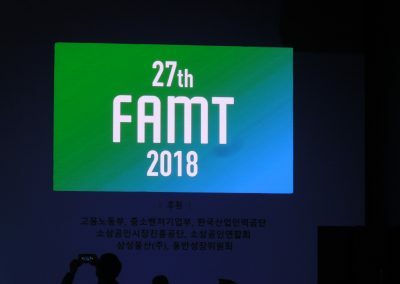 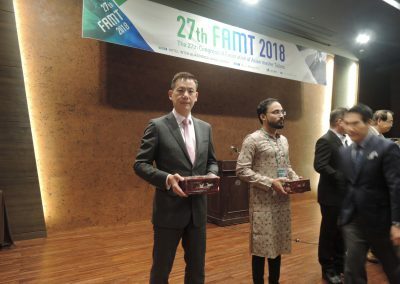 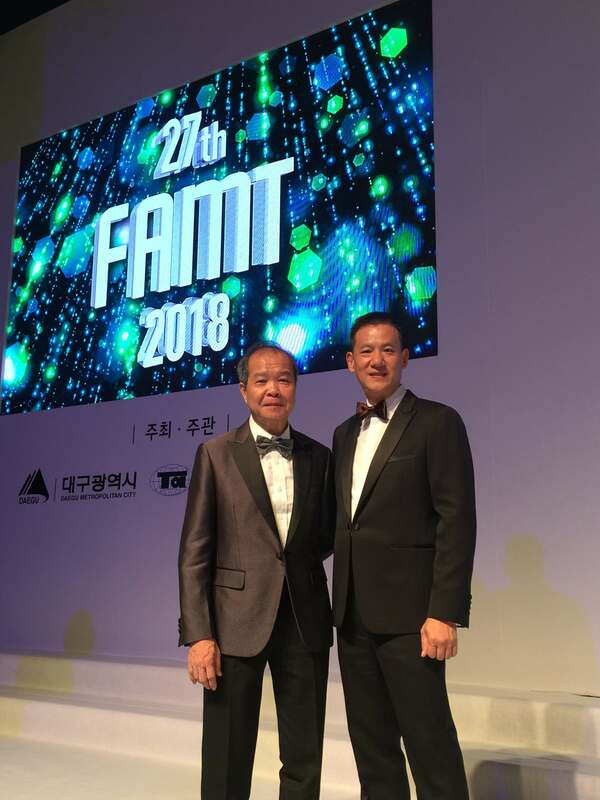 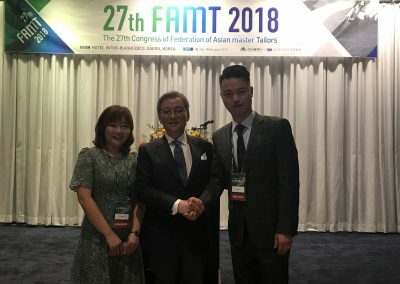 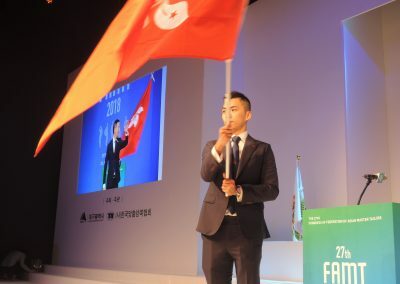 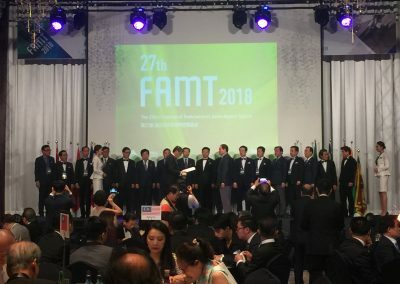 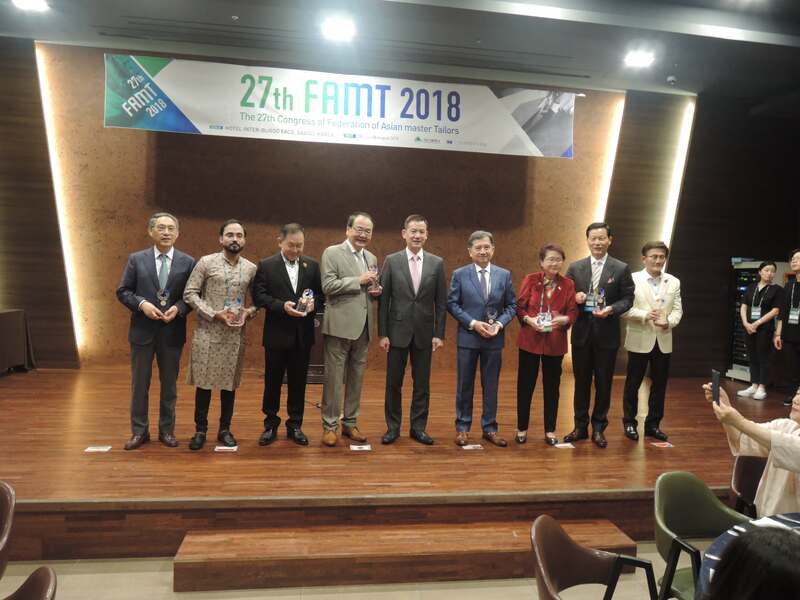 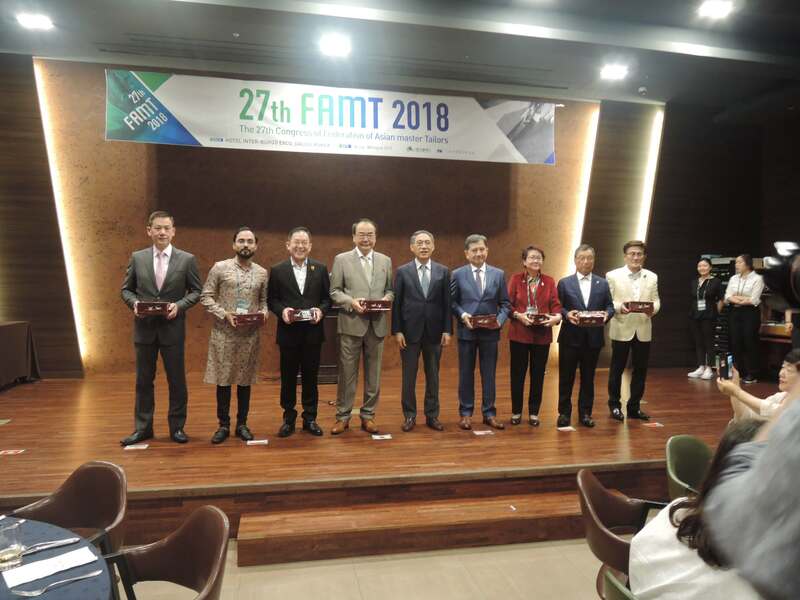 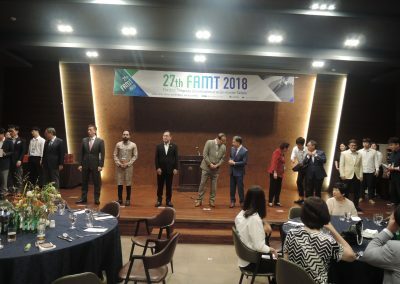 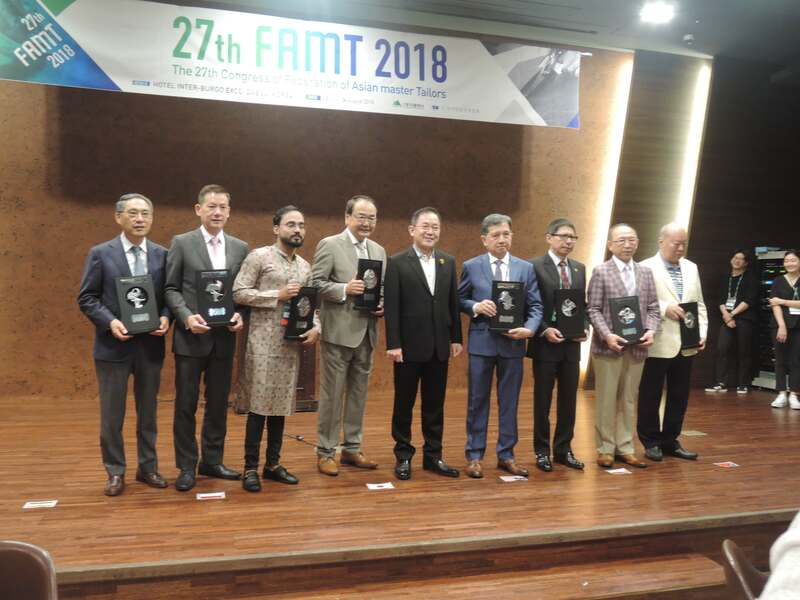 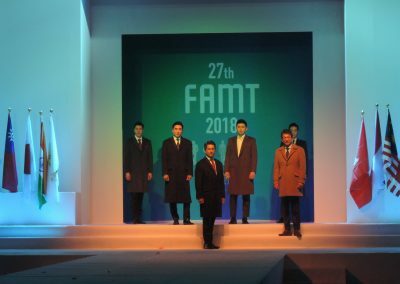 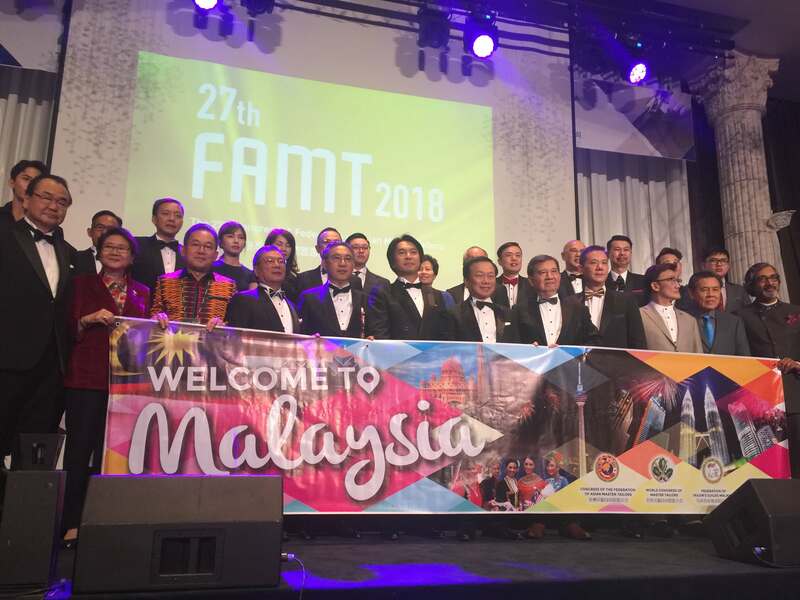 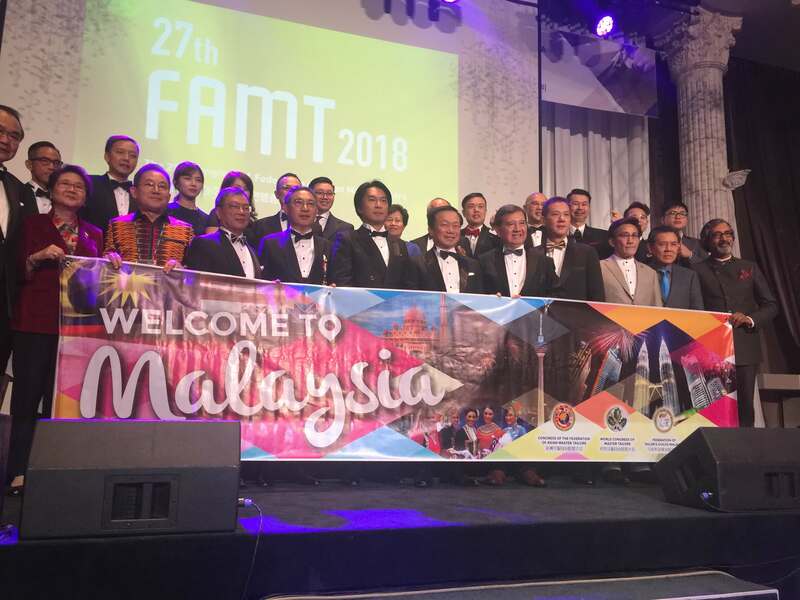 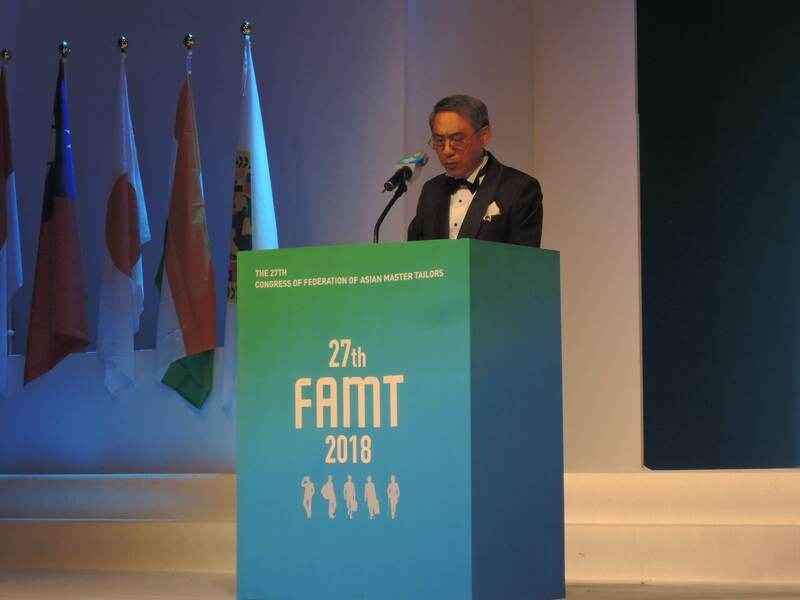 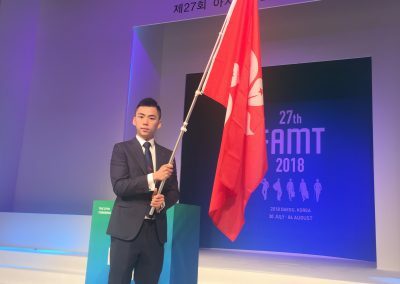 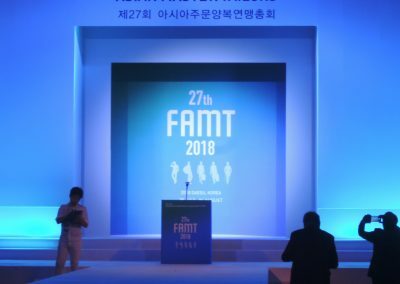 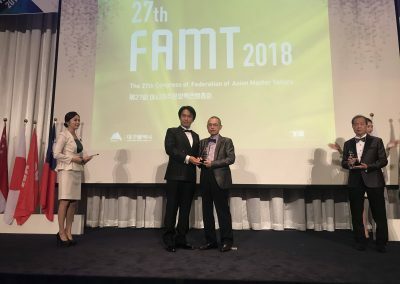 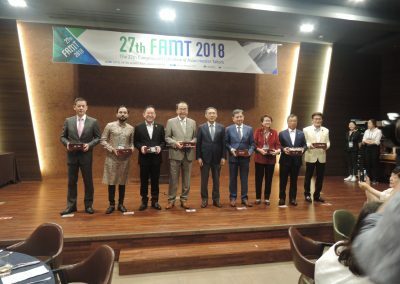 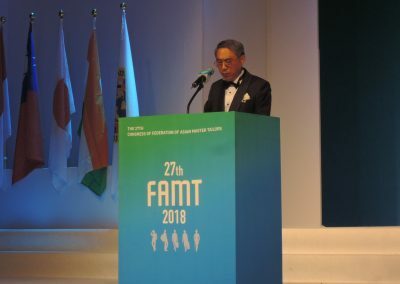 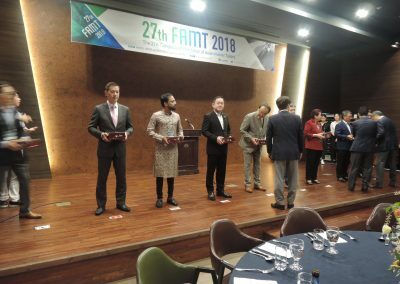 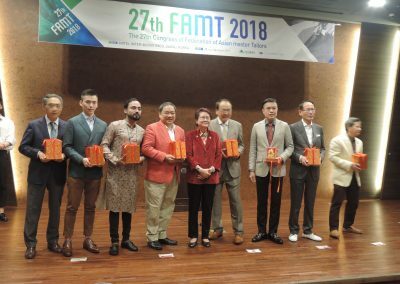 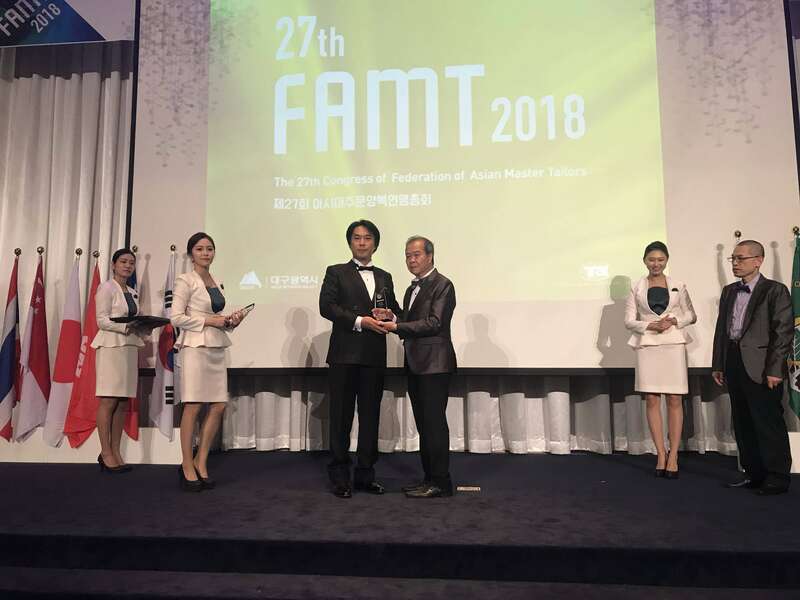 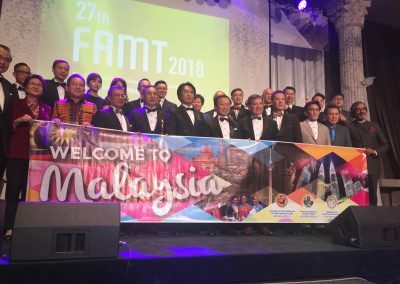 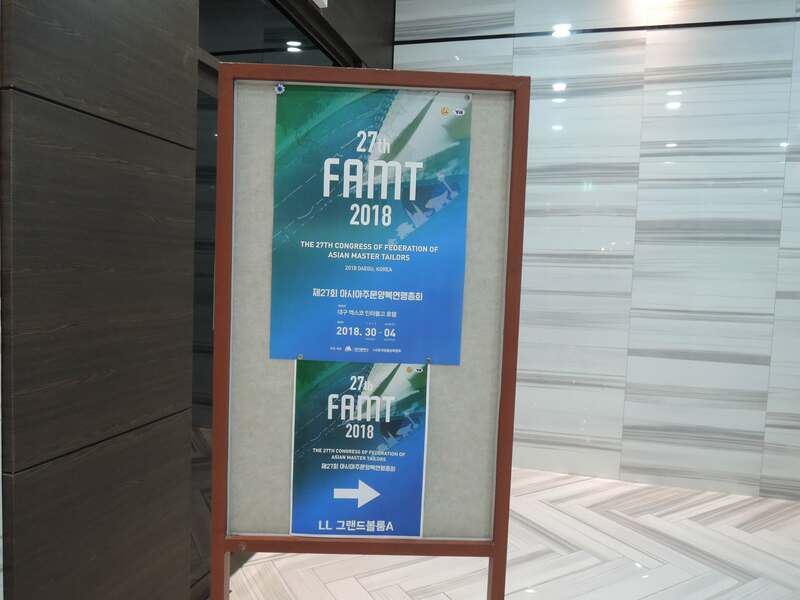 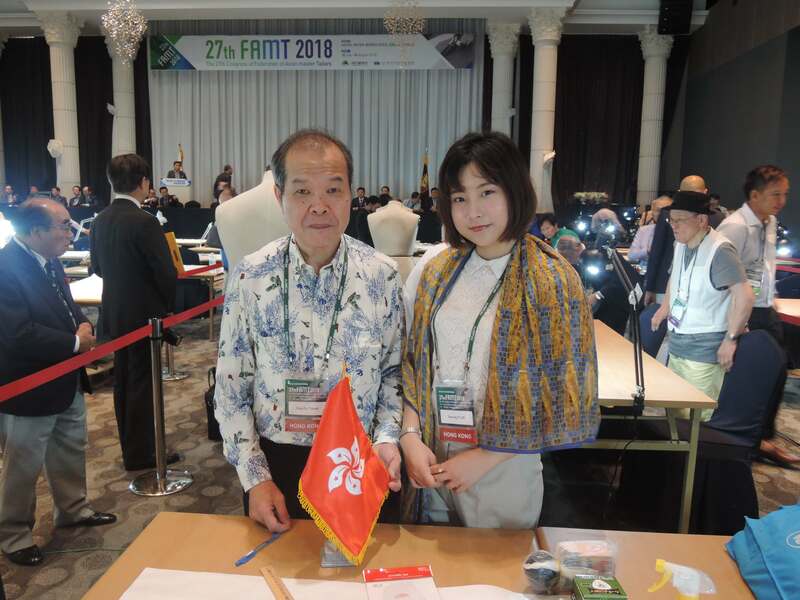 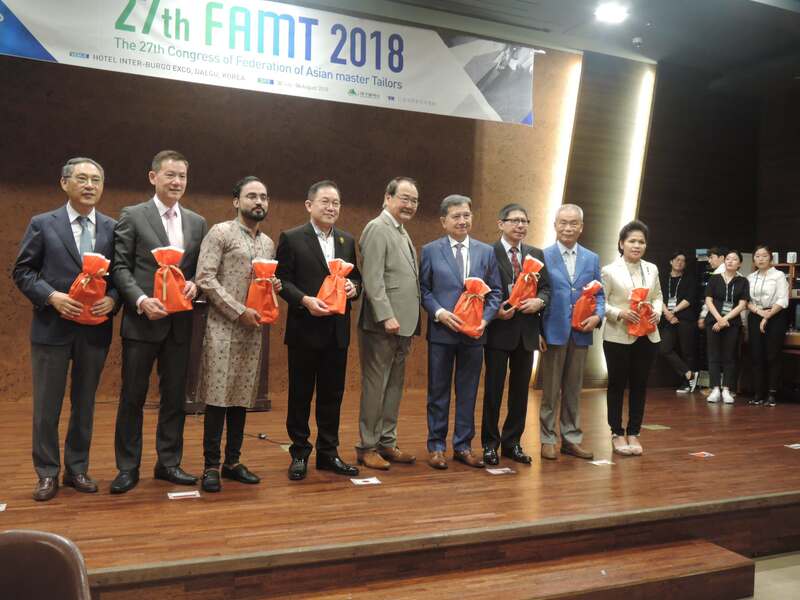 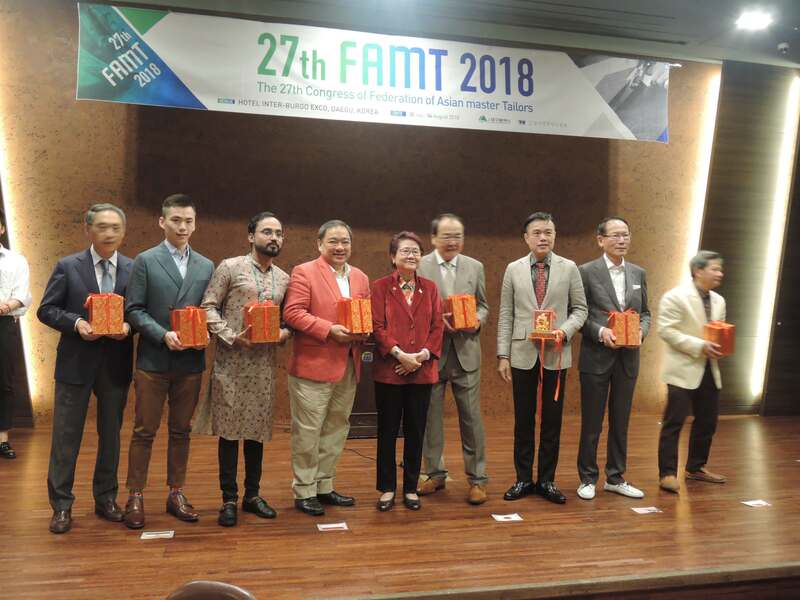 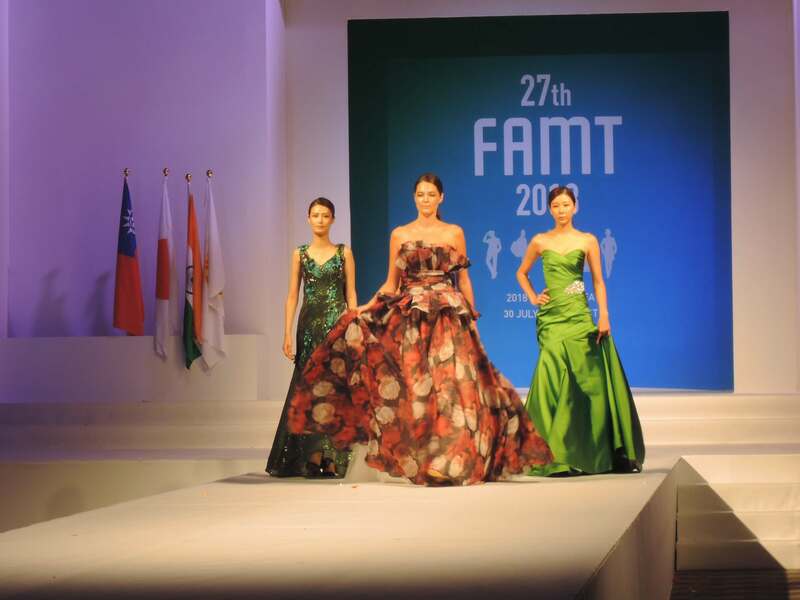 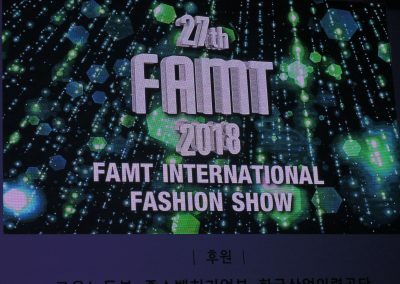 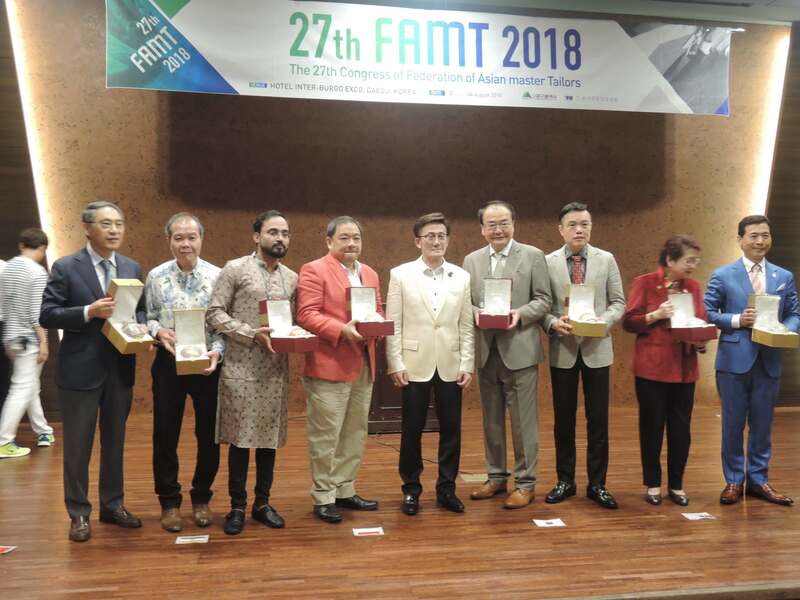 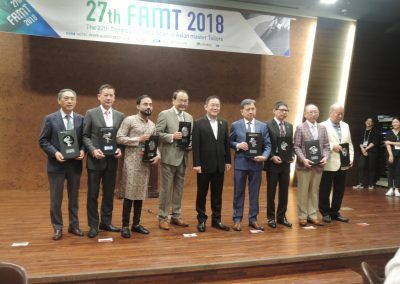 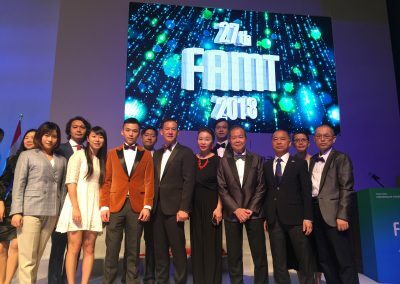 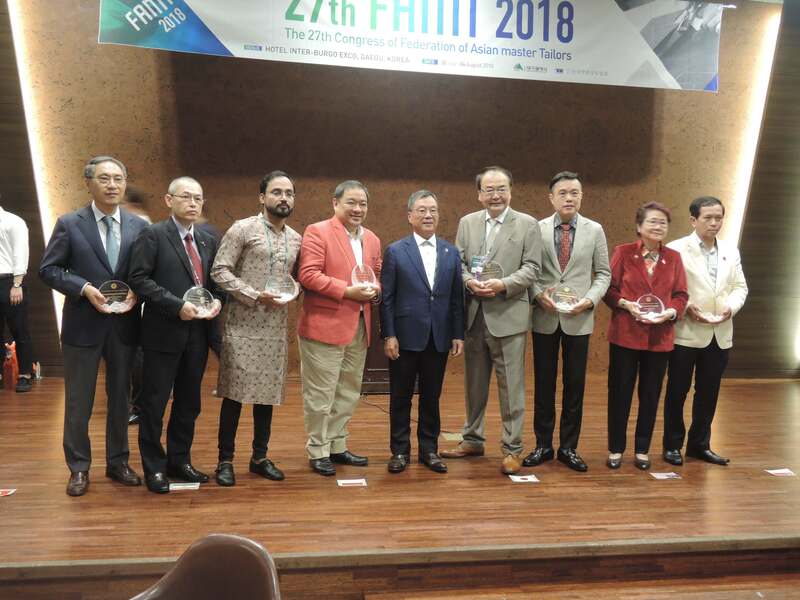 The 27th FAMT is a platform for the Asian Master Tailors gathering and exchange their ideas, skills and workmanship and technique of the tailoring industry. 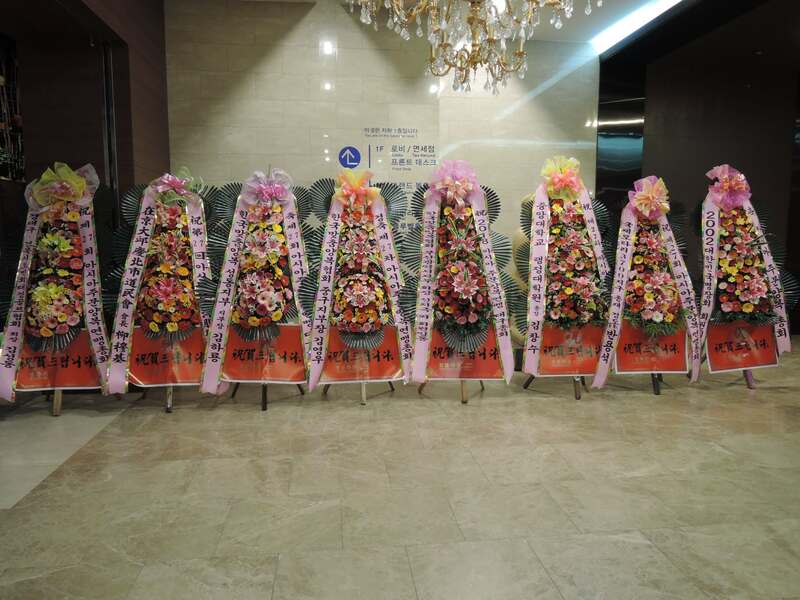 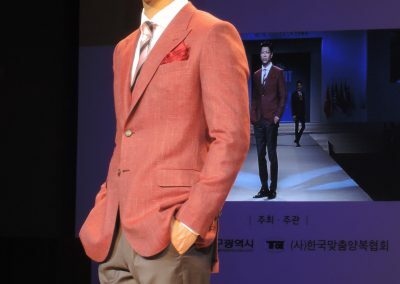 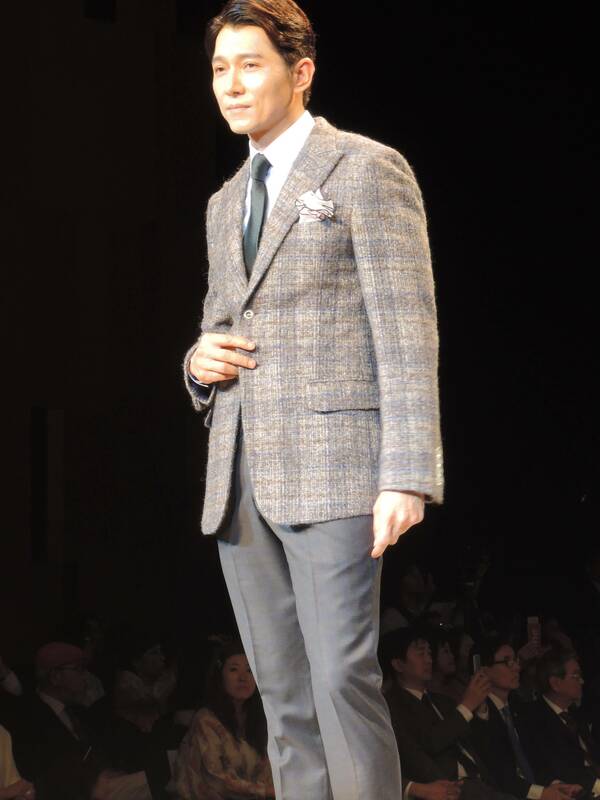 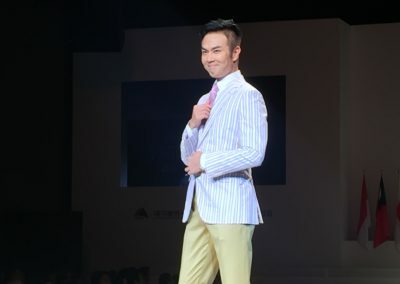 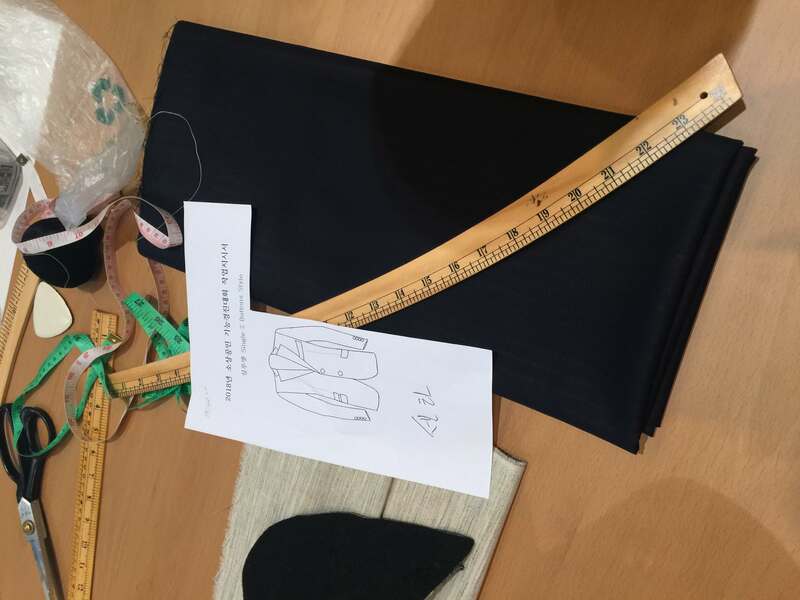 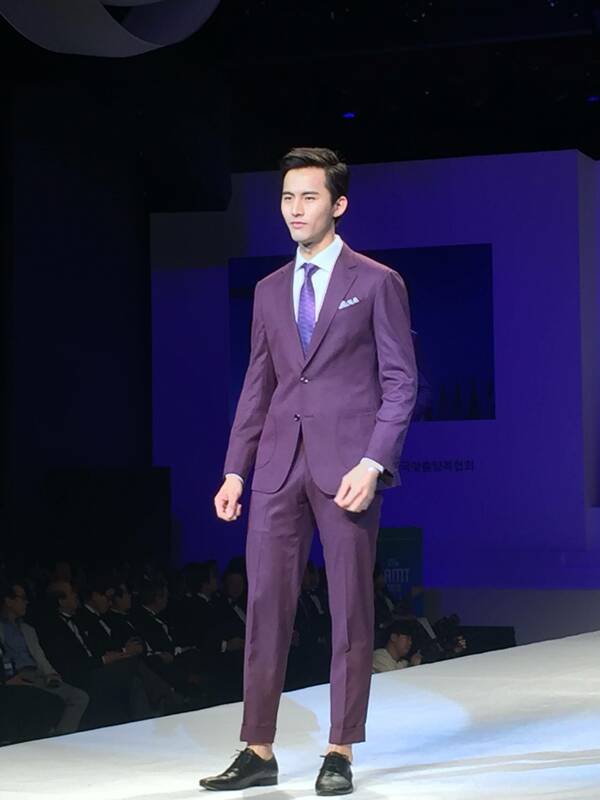 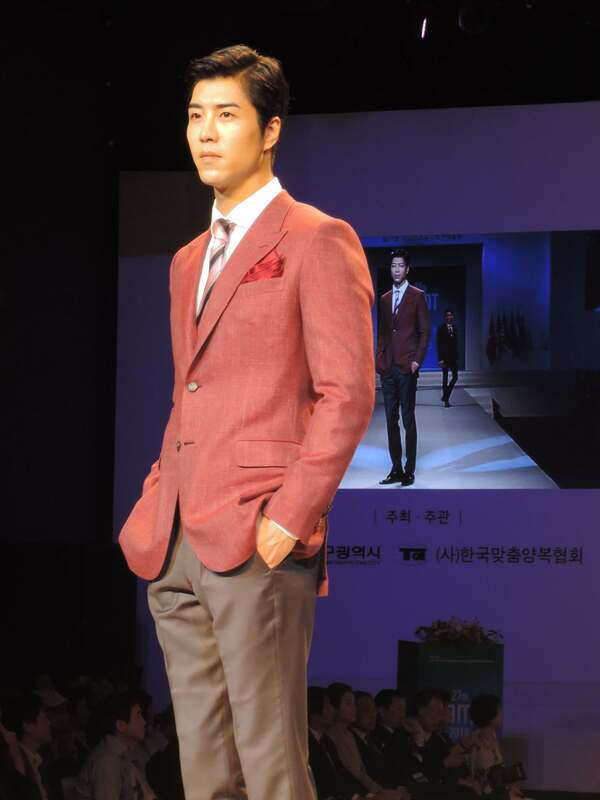 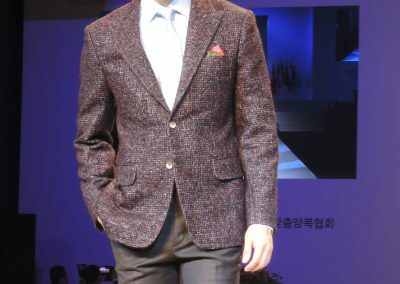 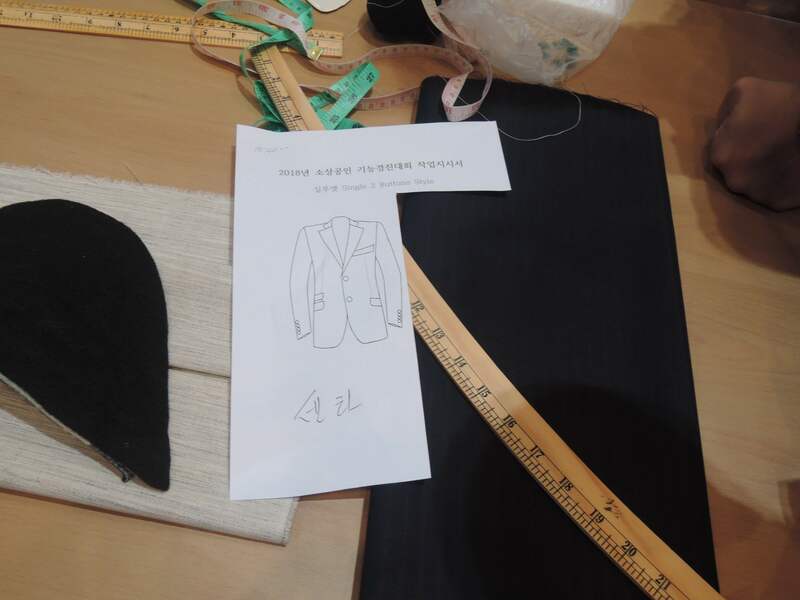 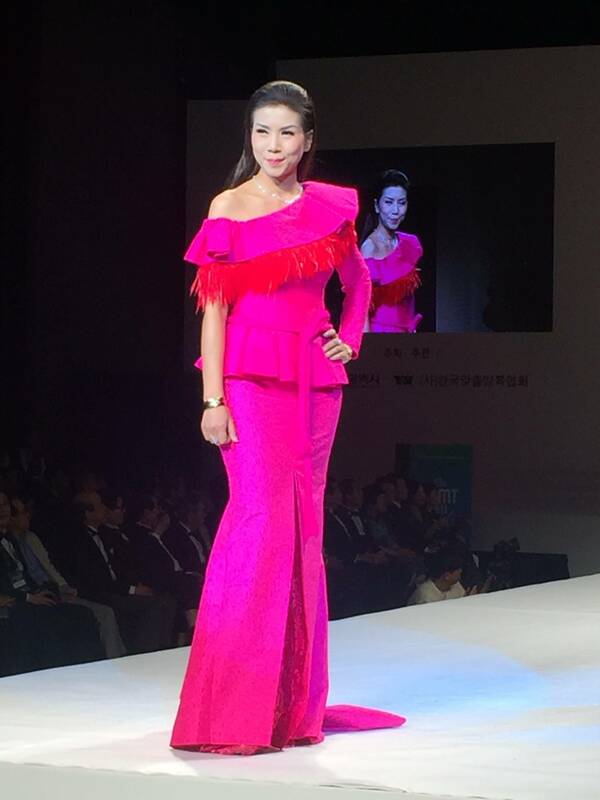 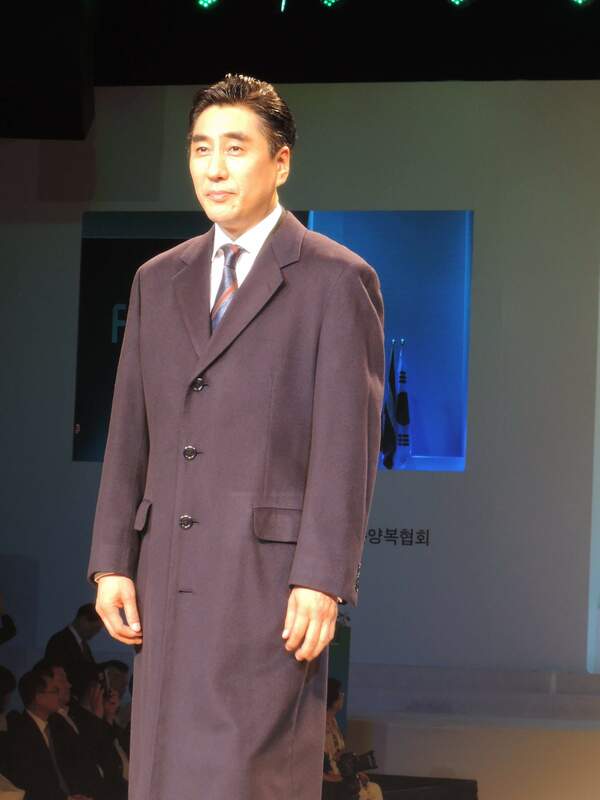 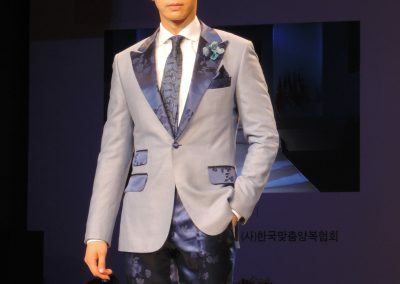 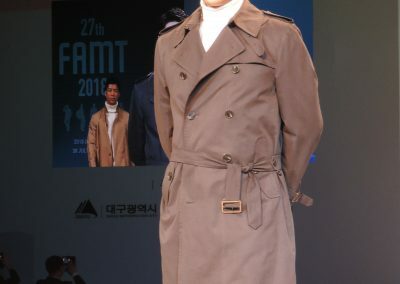 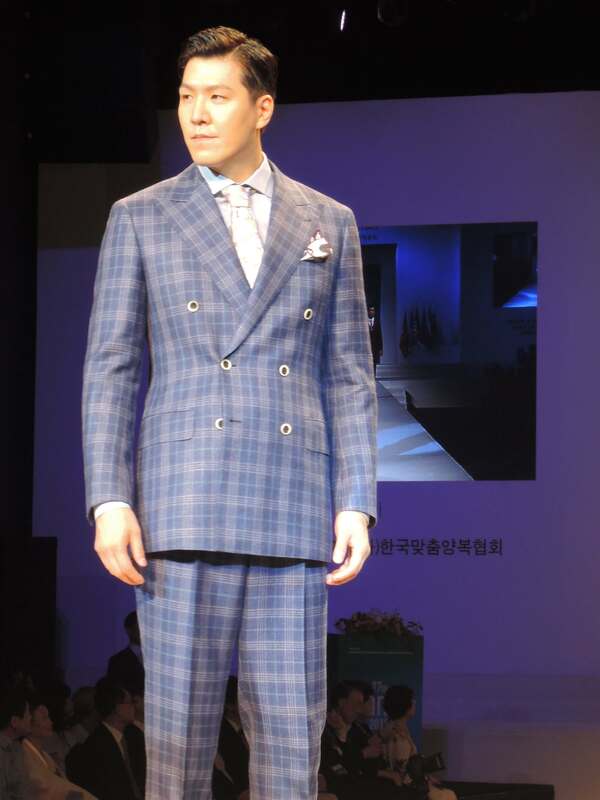 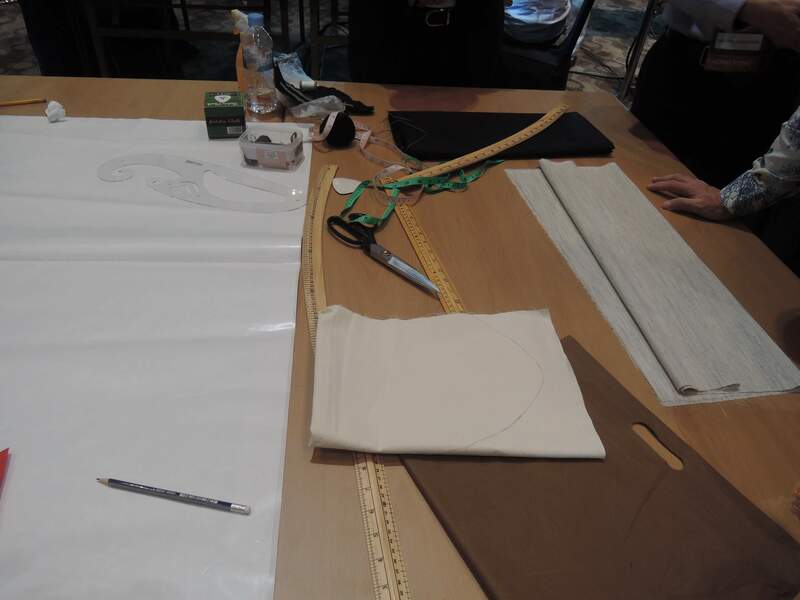 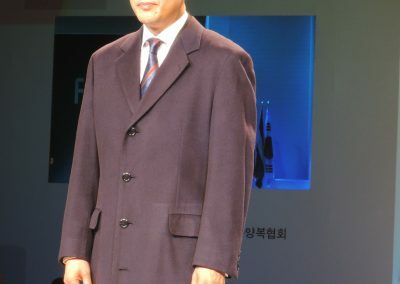 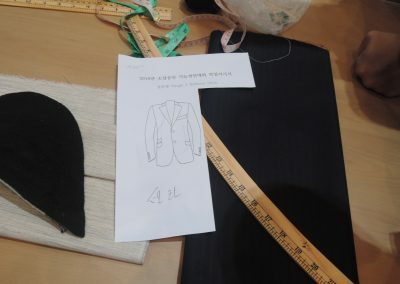 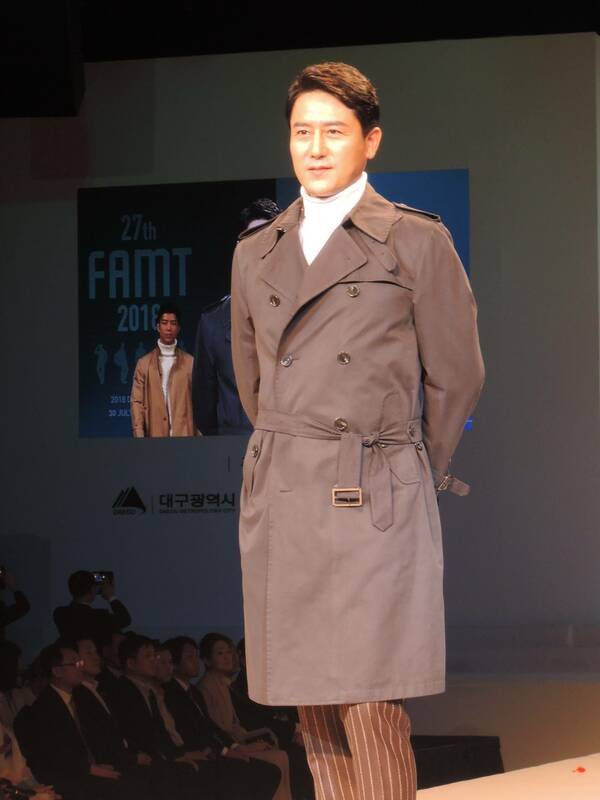 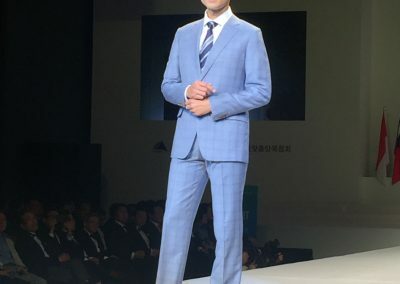 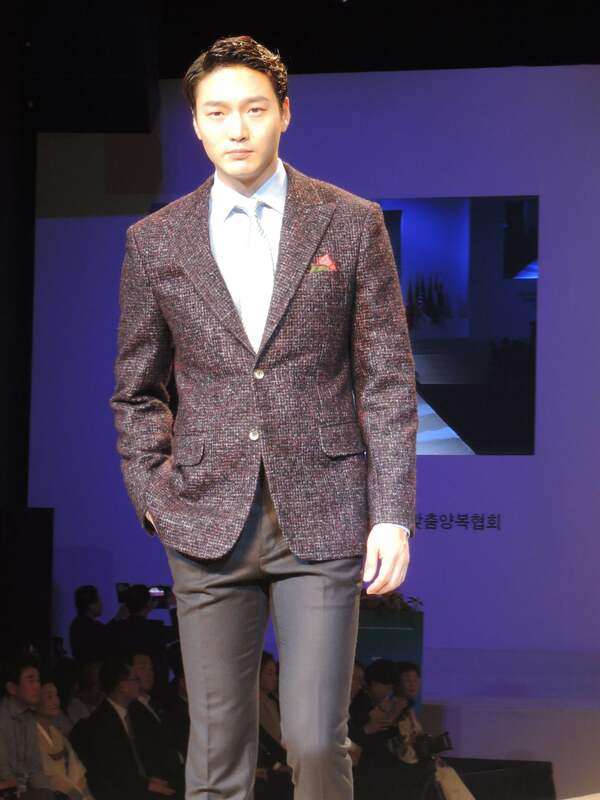 Besides, it provided an excellent opportunity to bring the new design concepts and elements to the tailoring industry. 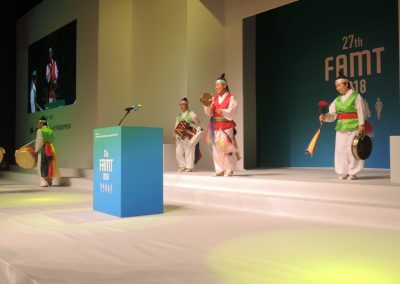 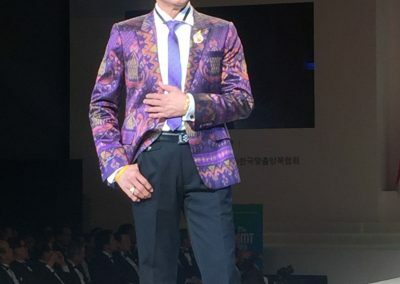 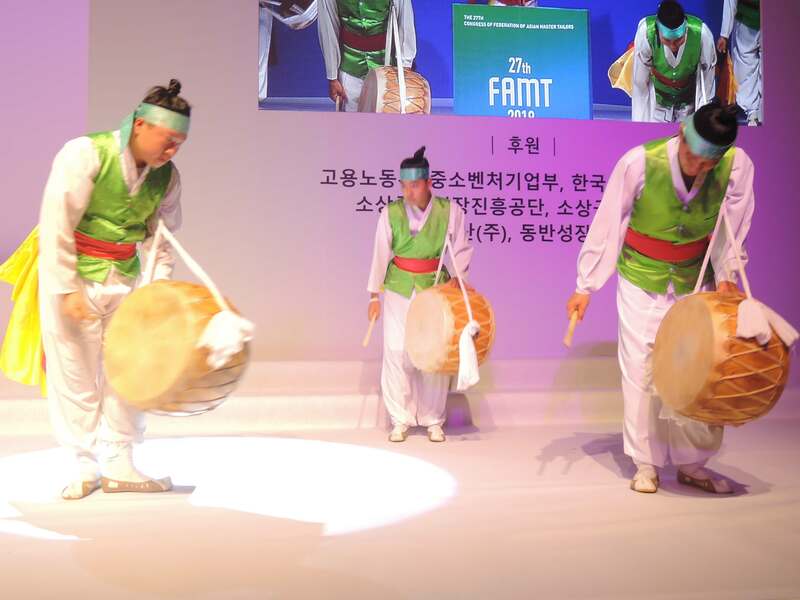 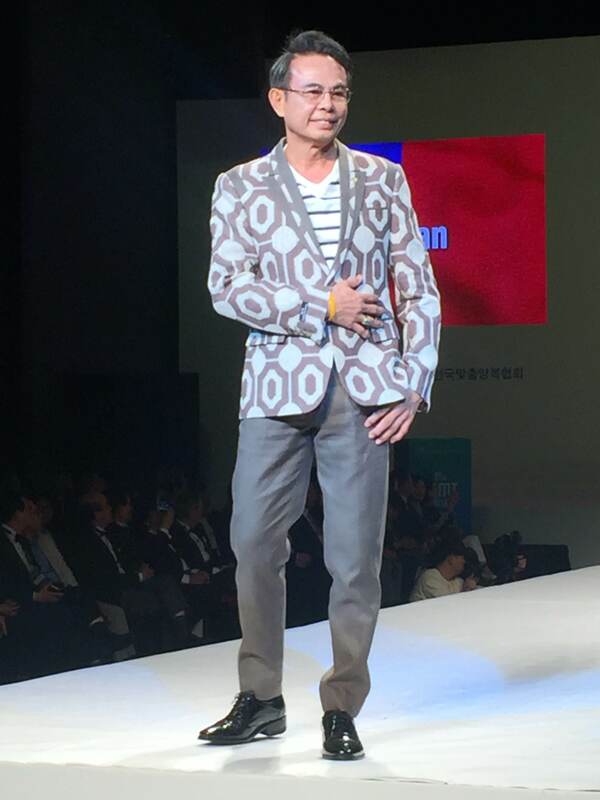 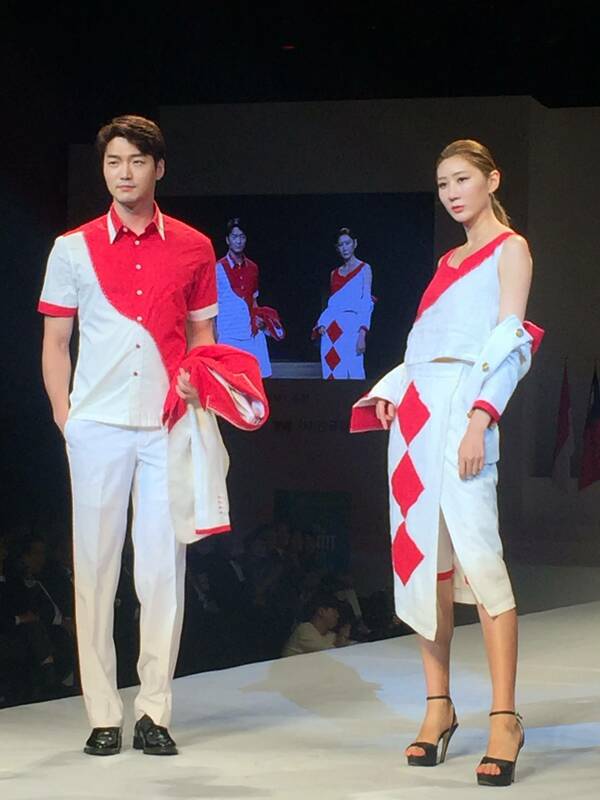 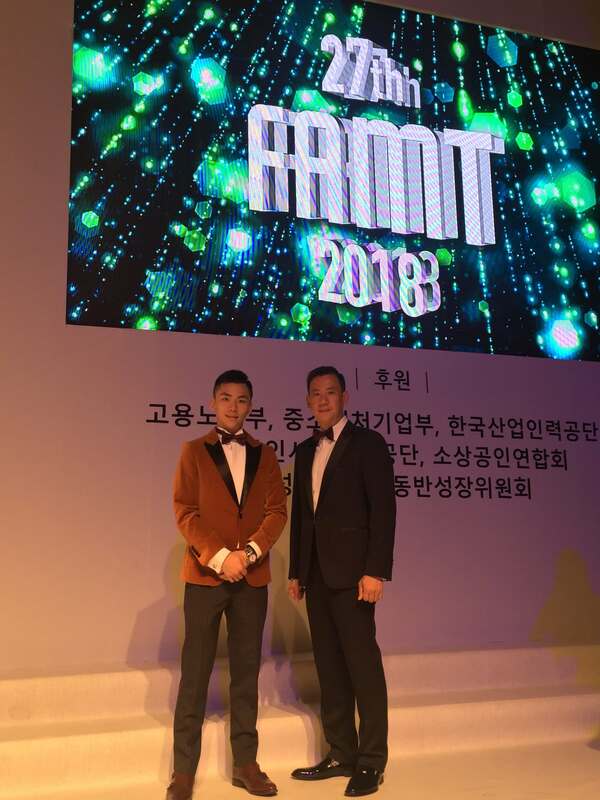 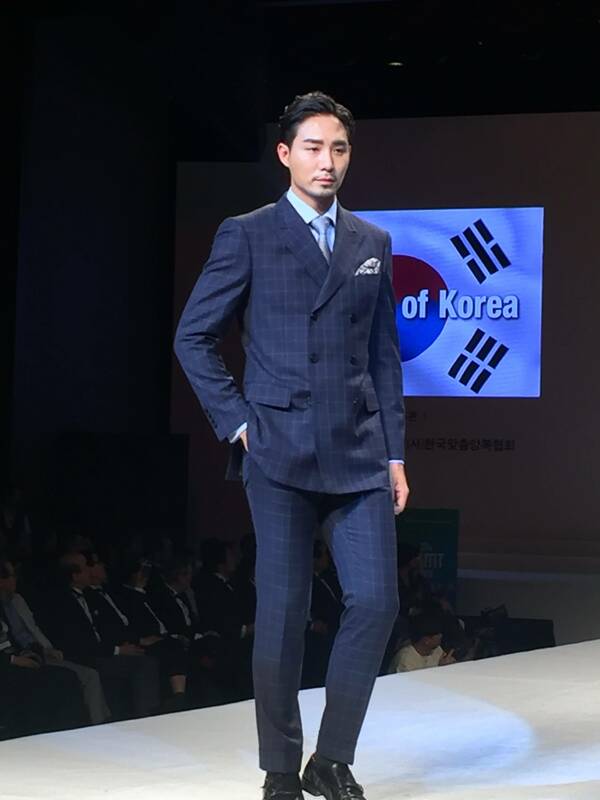 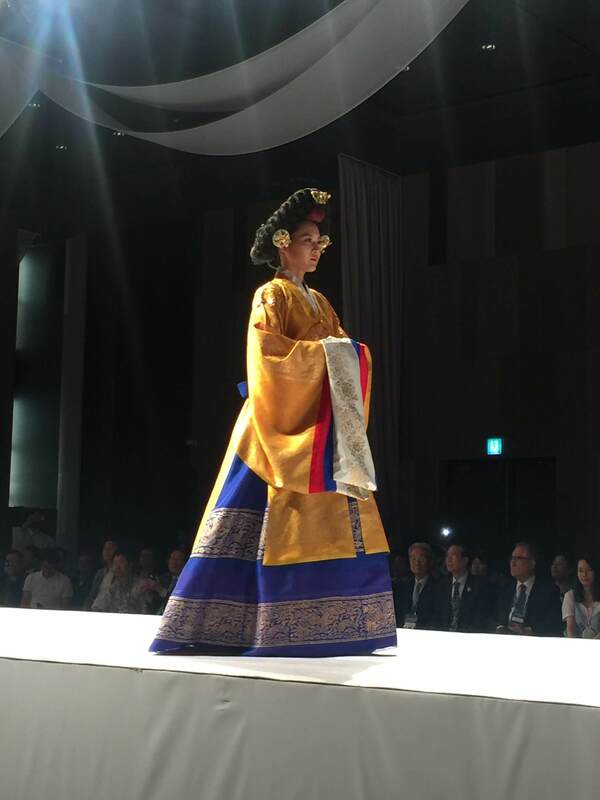 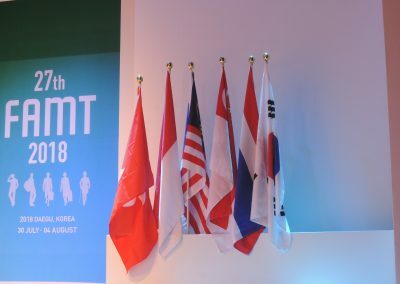 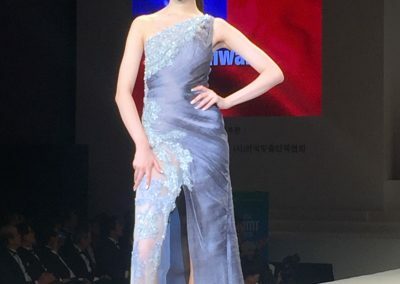 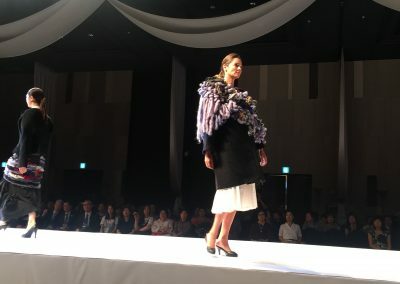 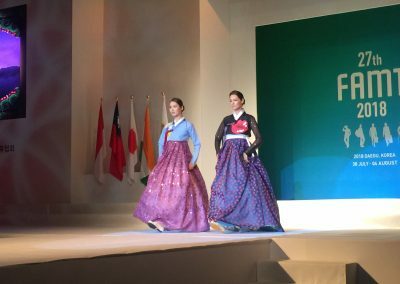 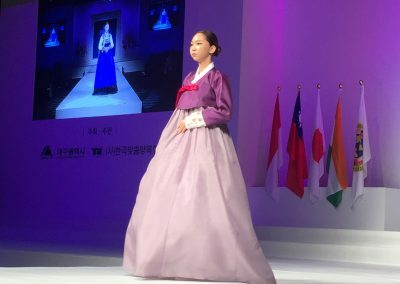 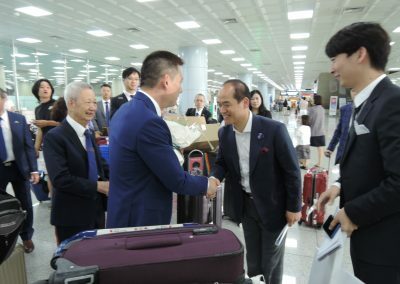 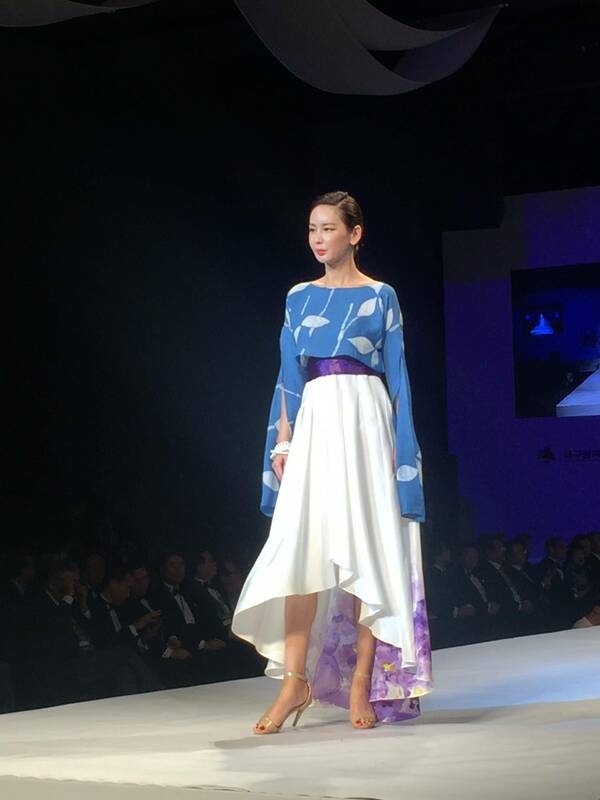 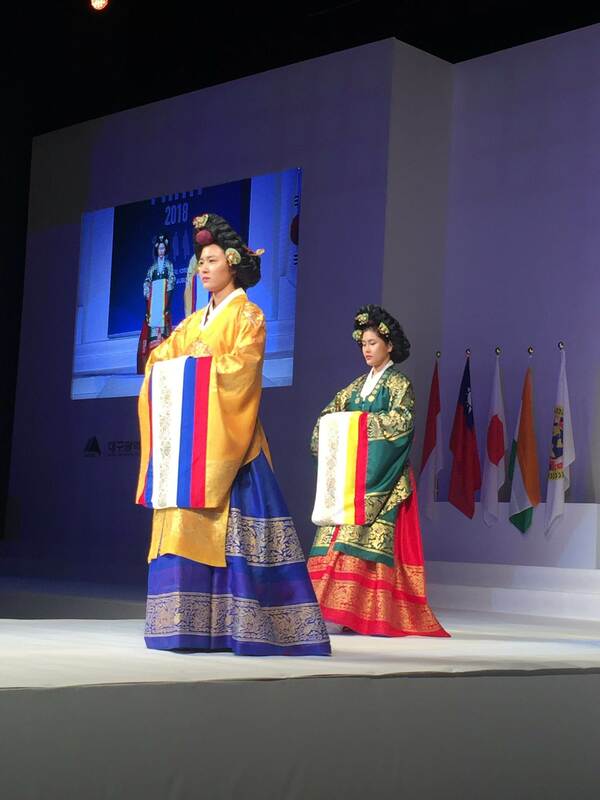 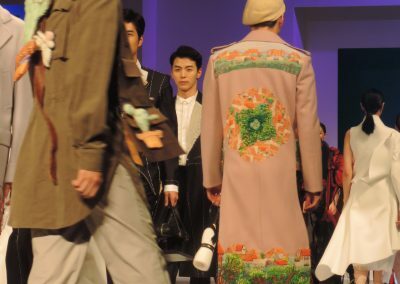 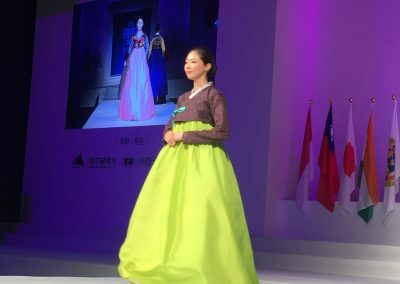 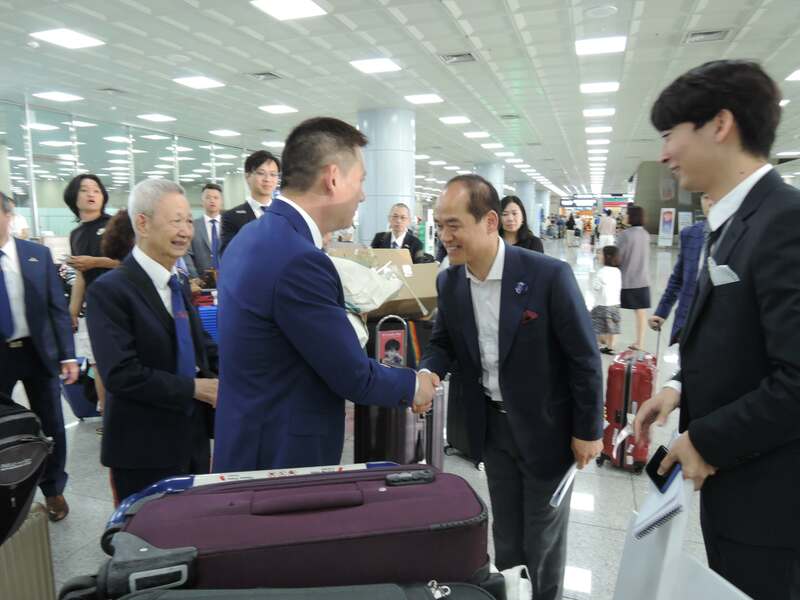 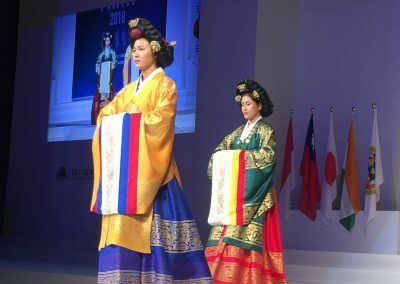 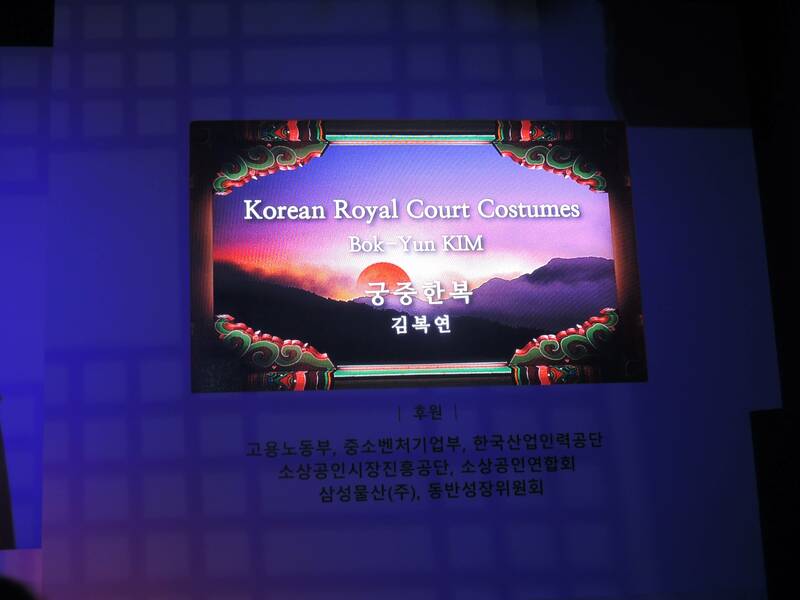 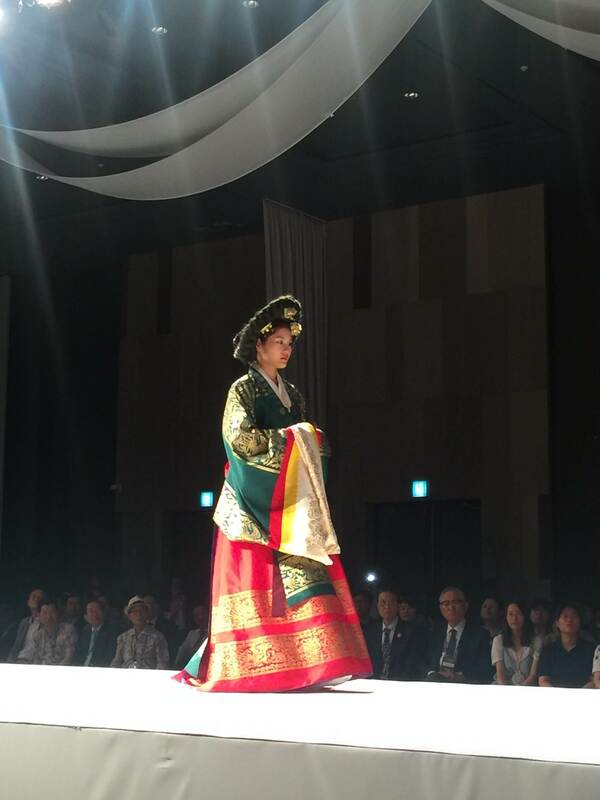 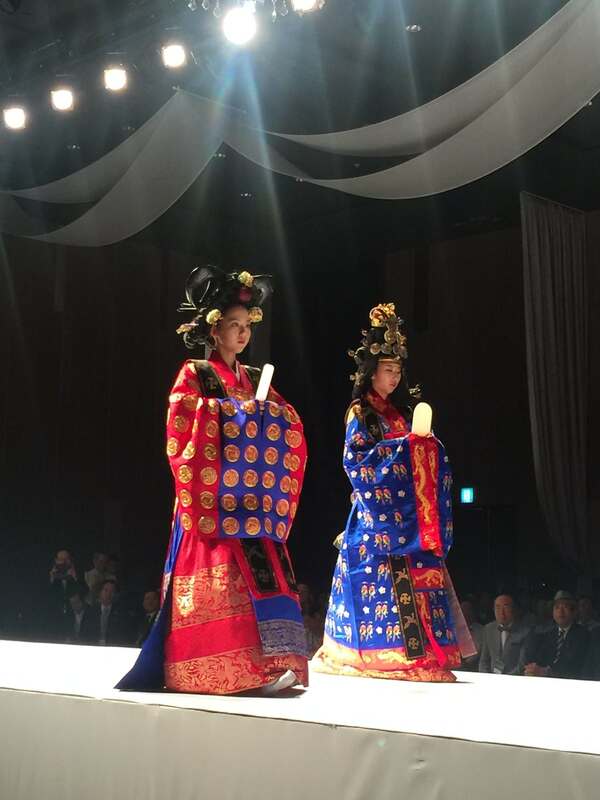 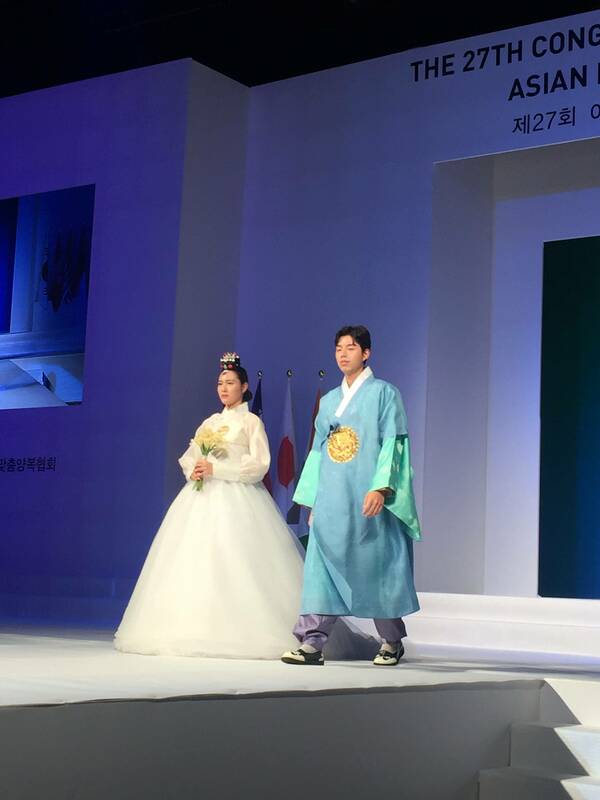 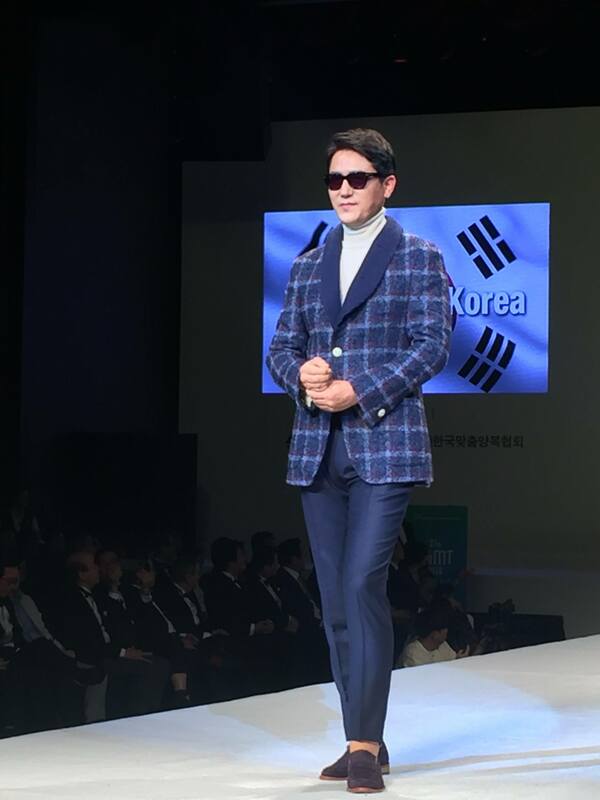 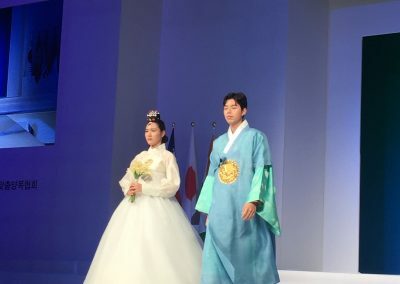 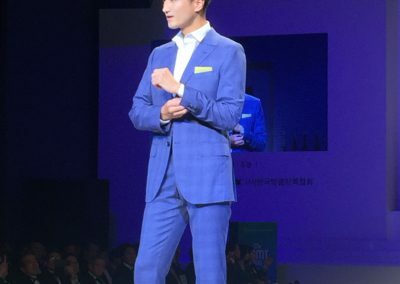 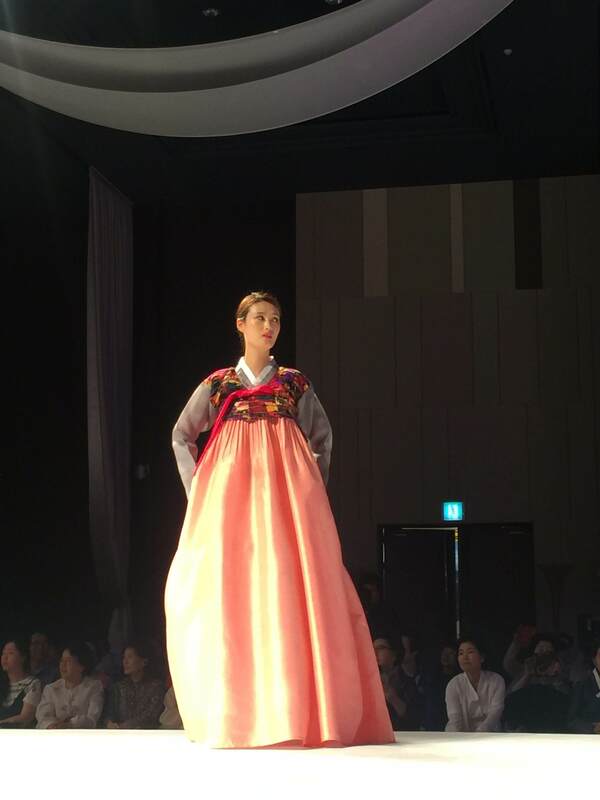 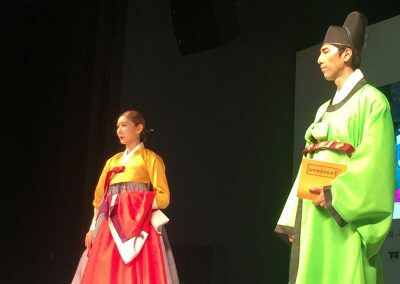 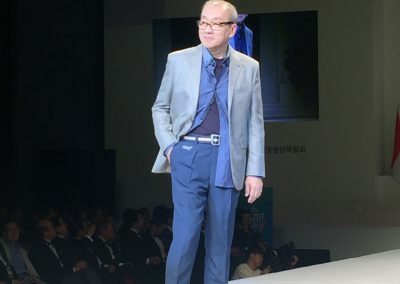 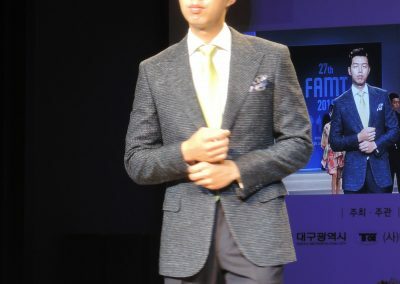 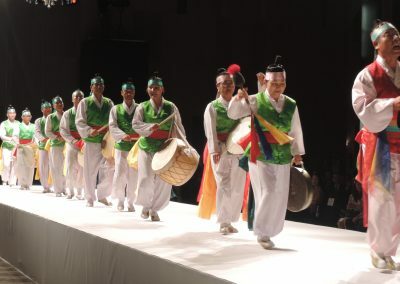 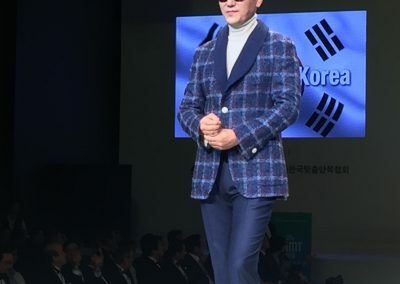 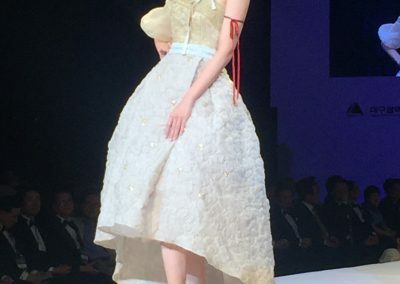 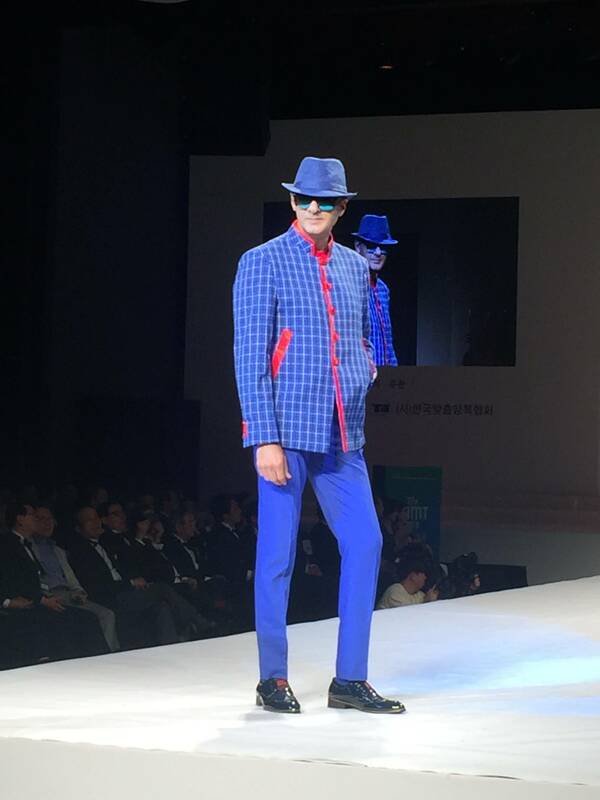 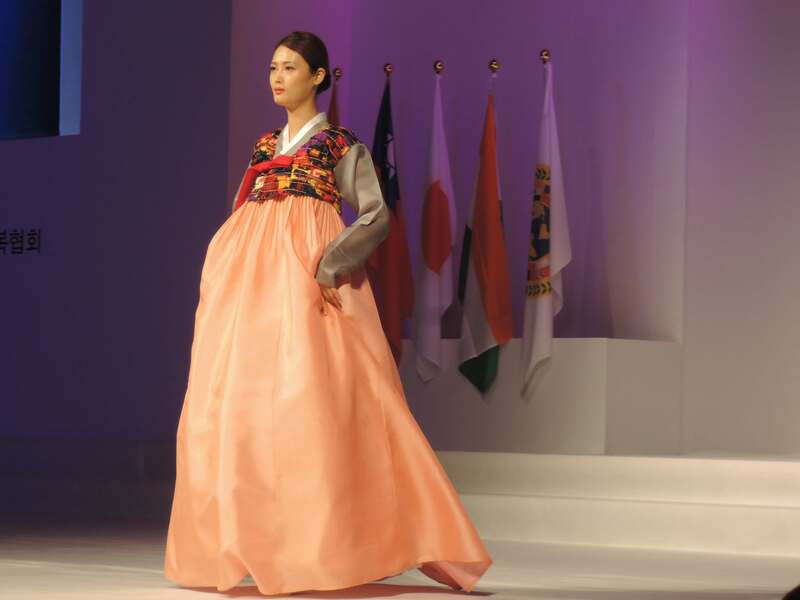 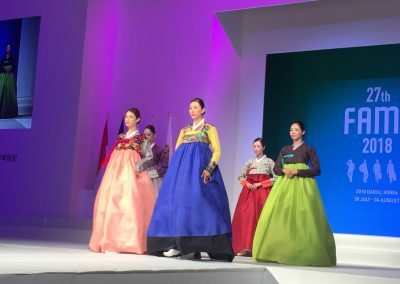 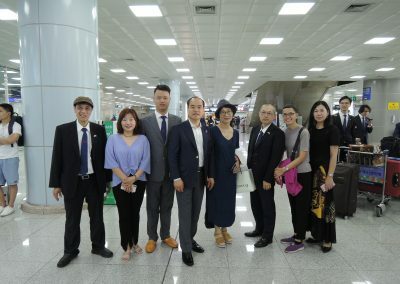 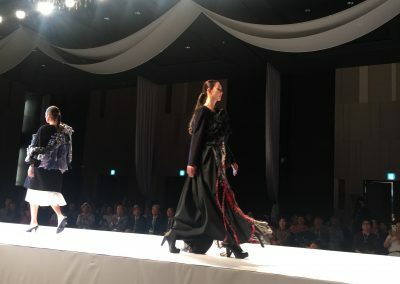 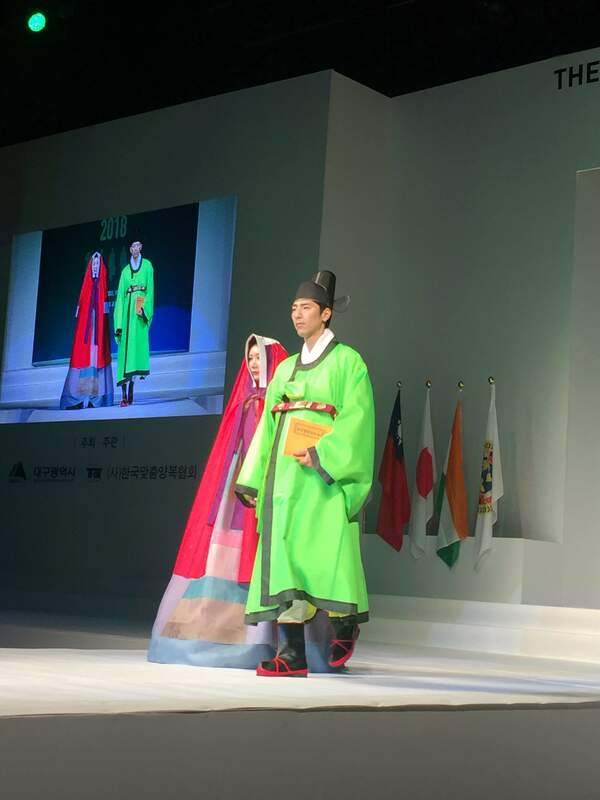 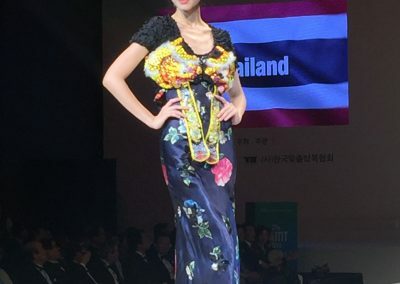 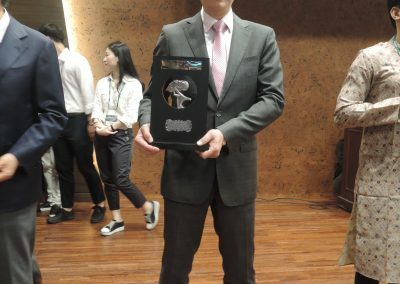 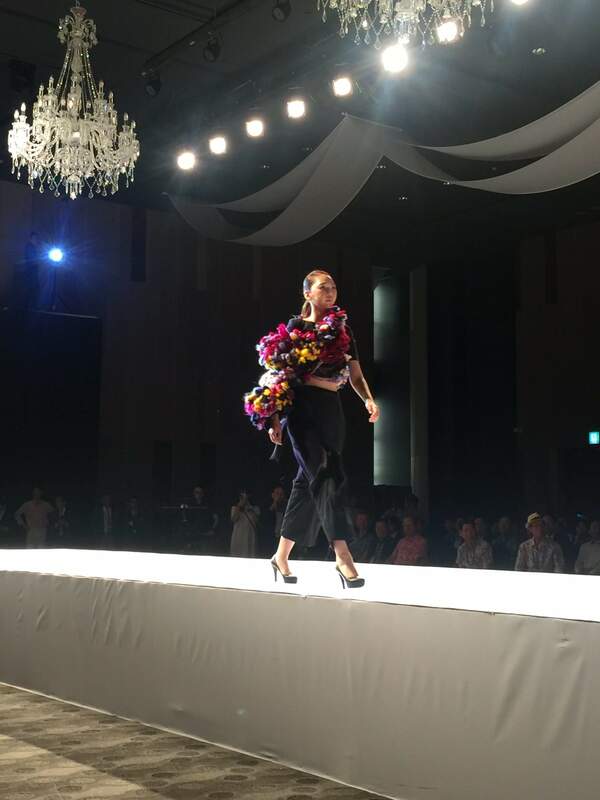 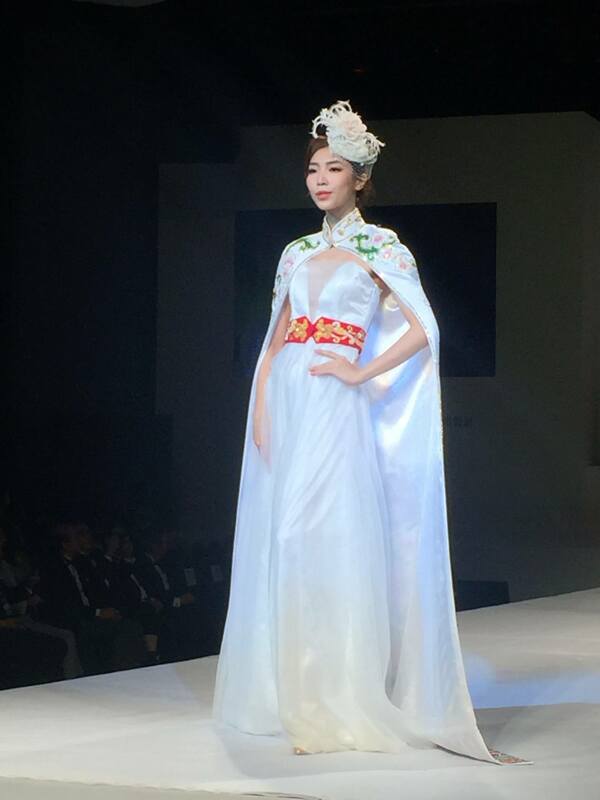 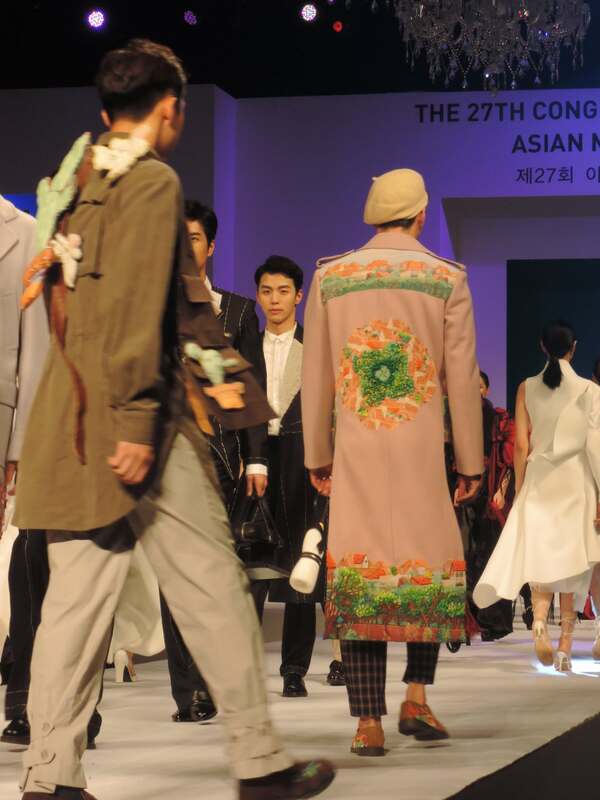 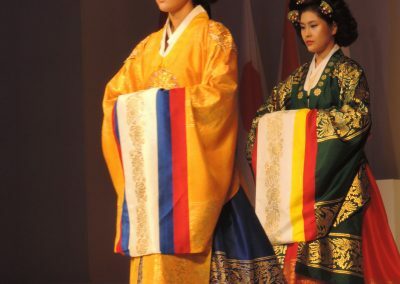 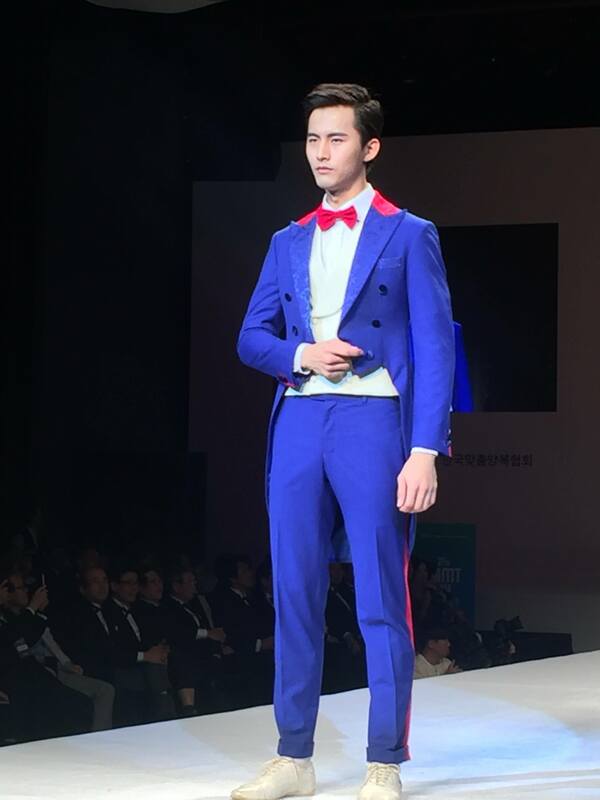 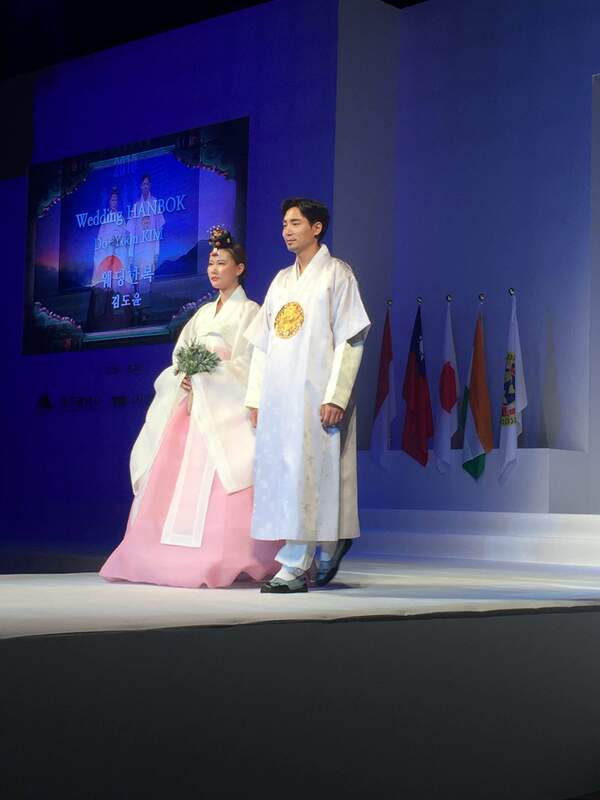 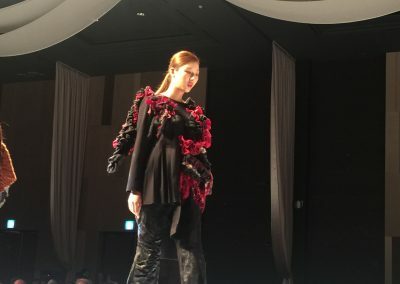 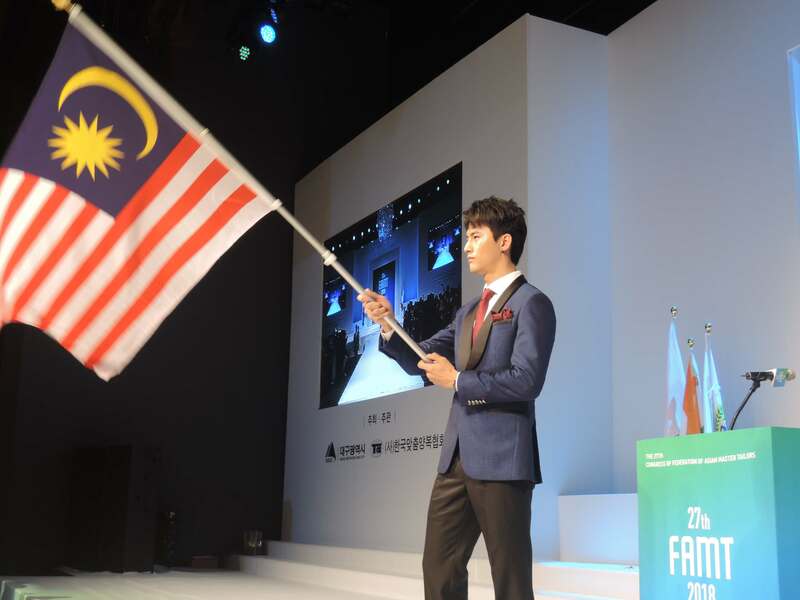 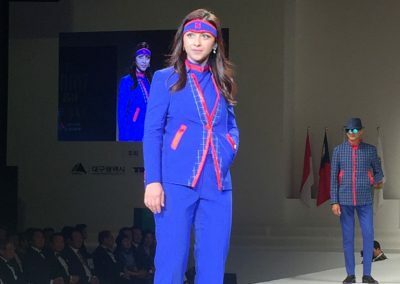 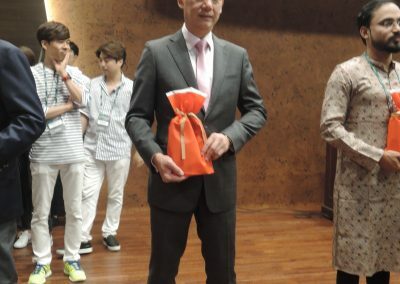 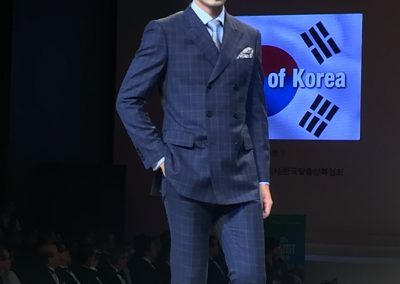 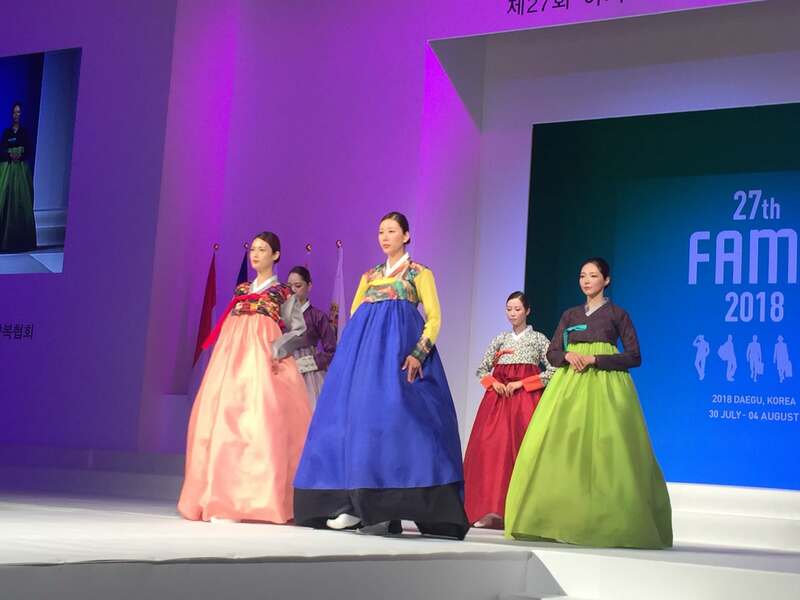 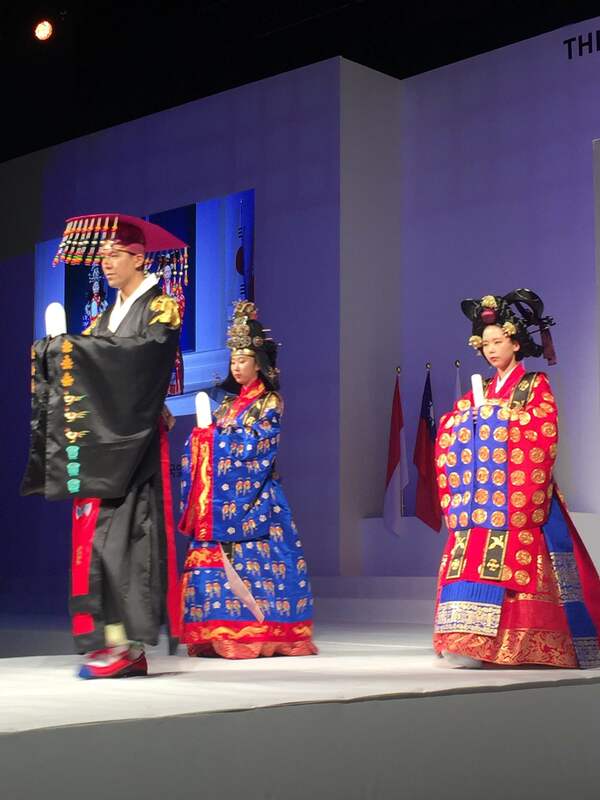 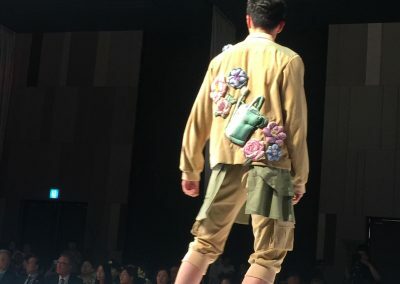 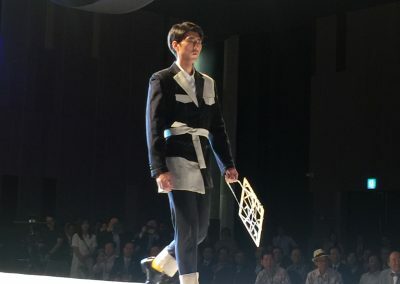 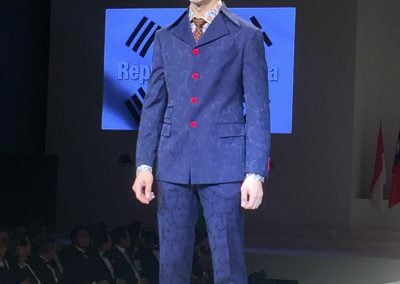 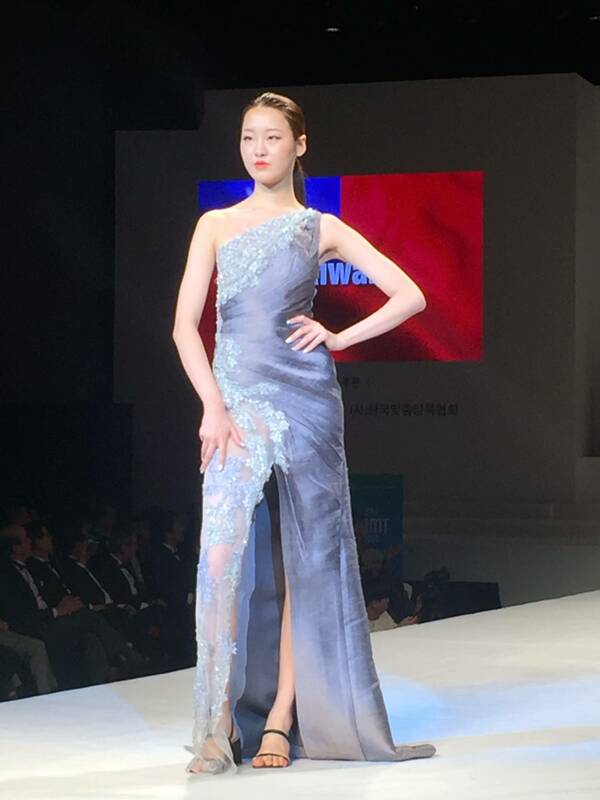 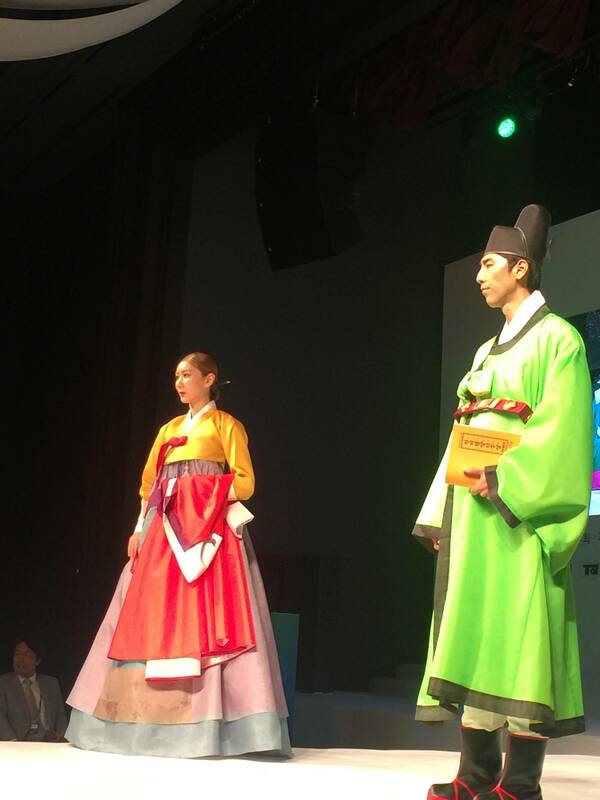 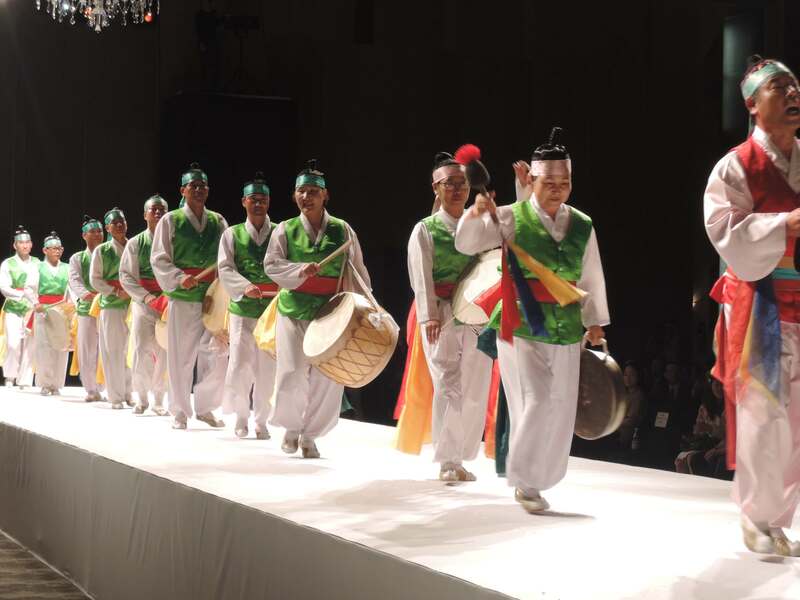 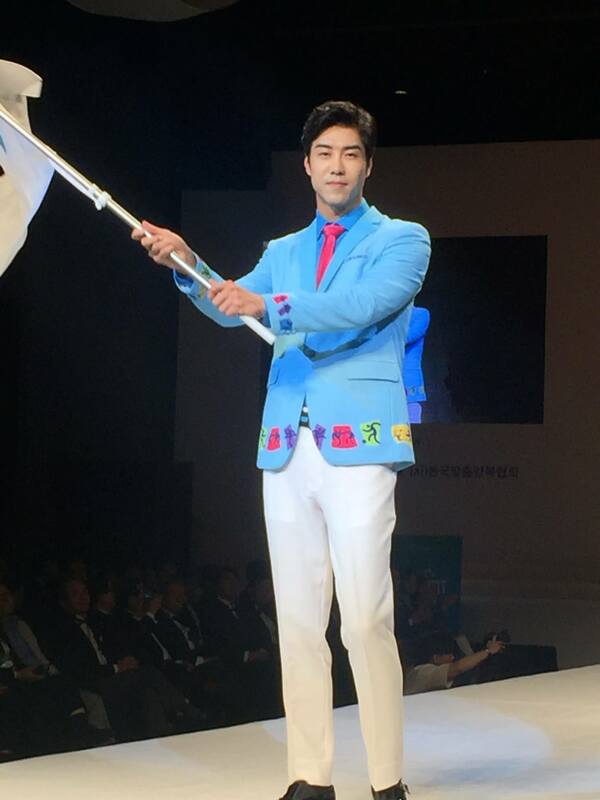 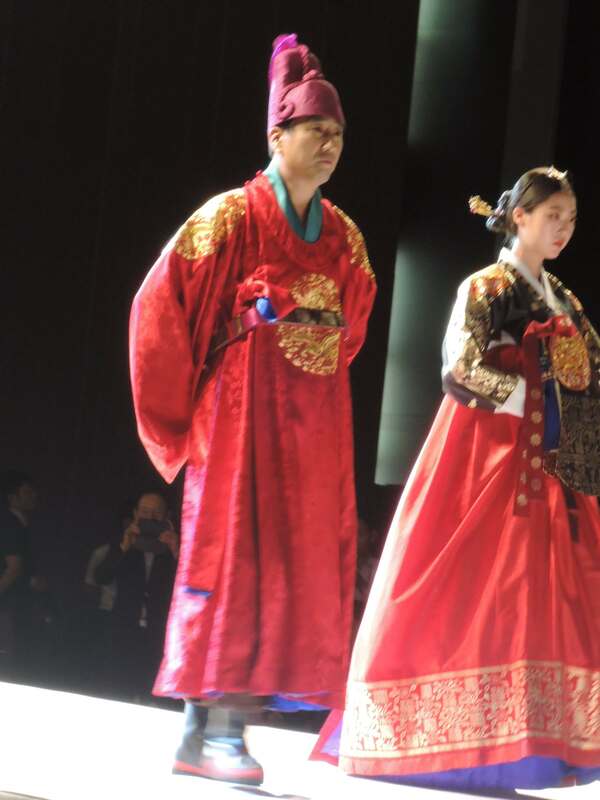 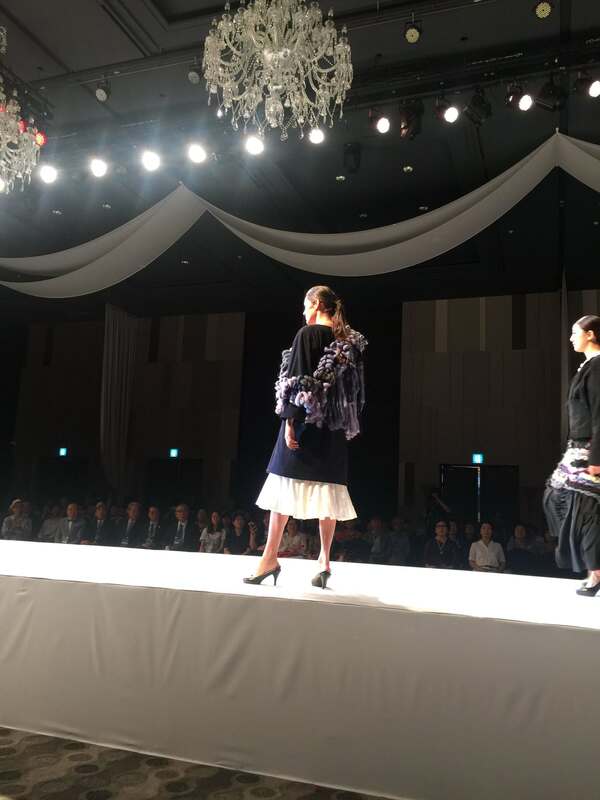 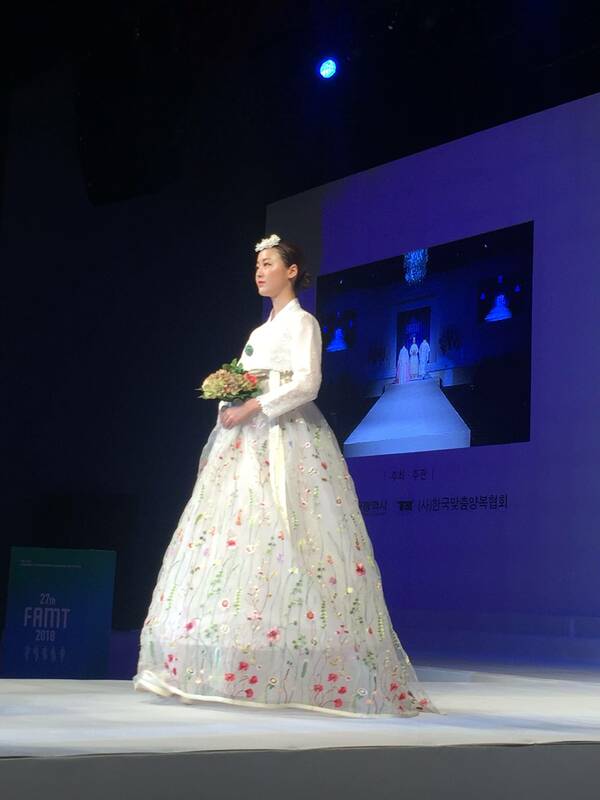 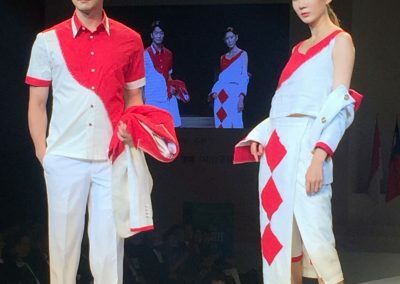 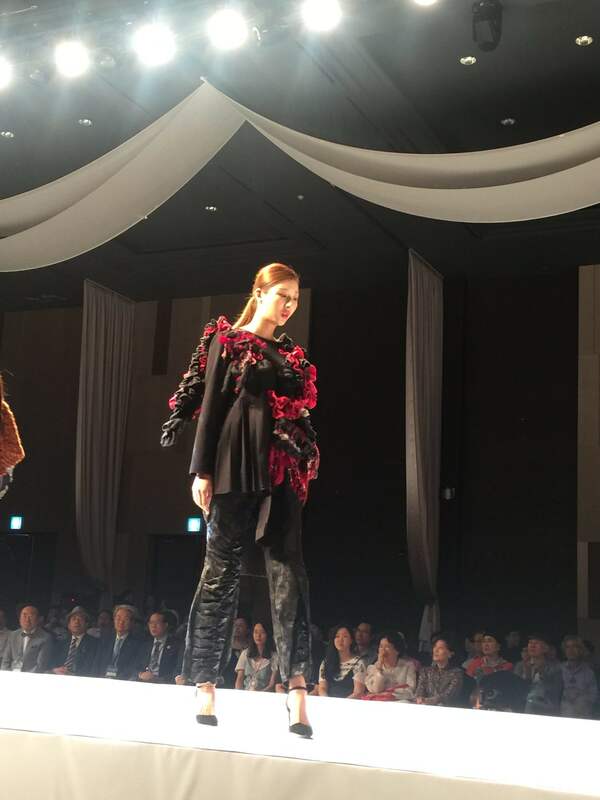 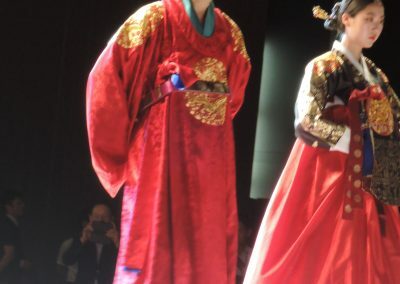 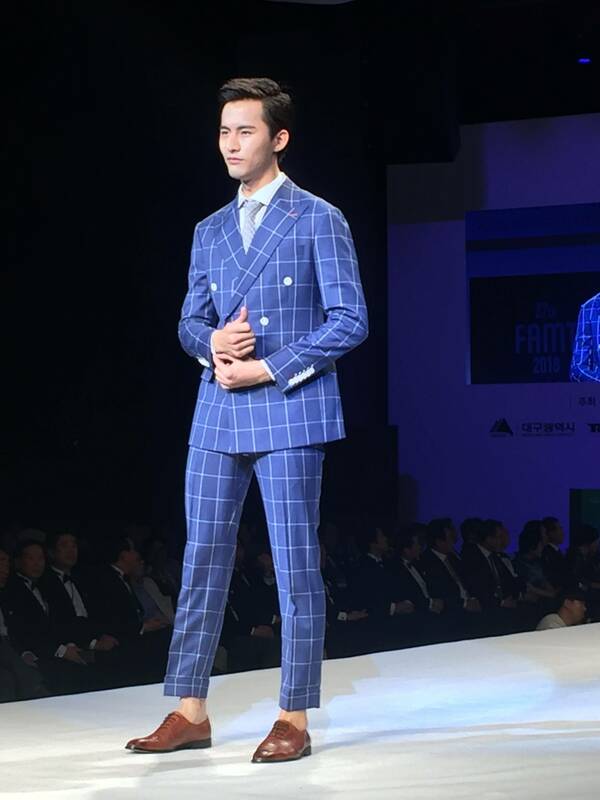 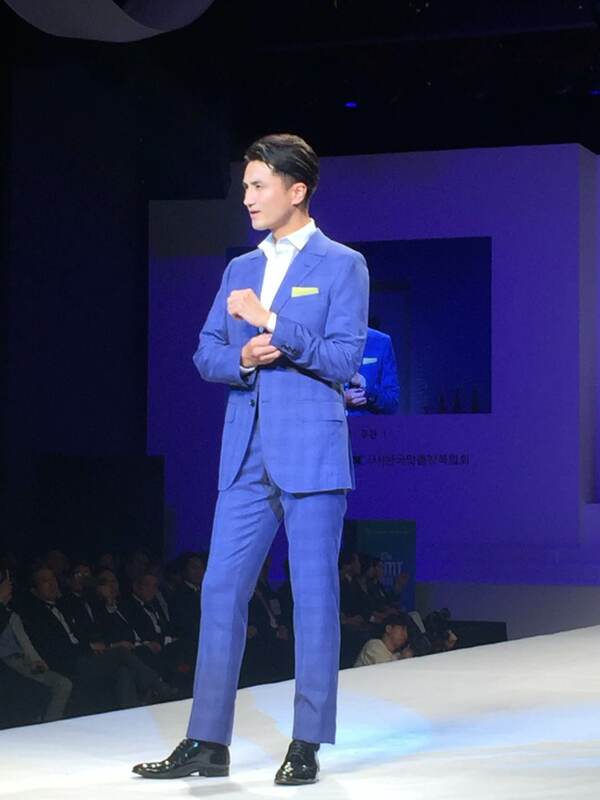 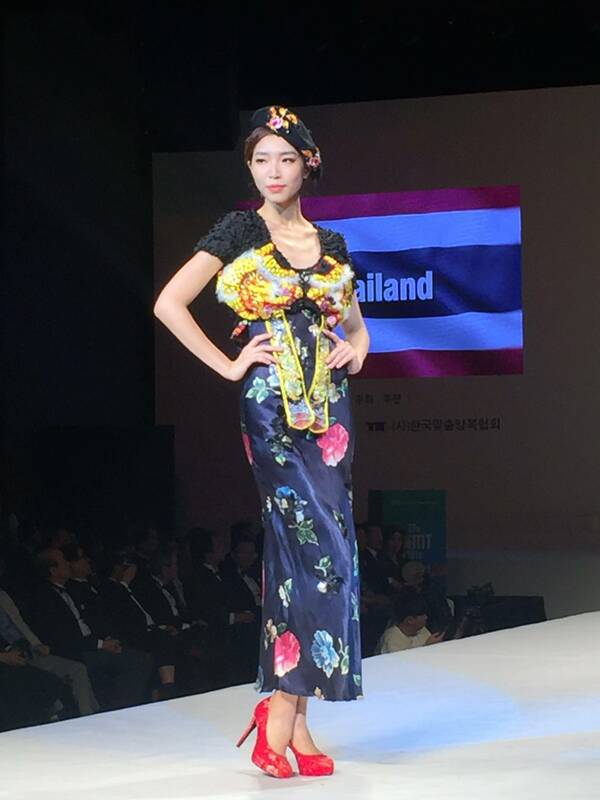 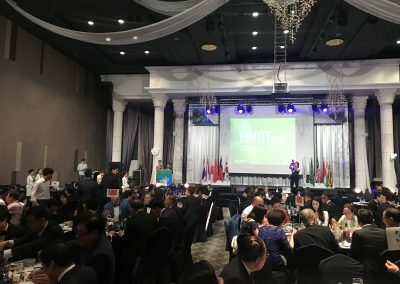 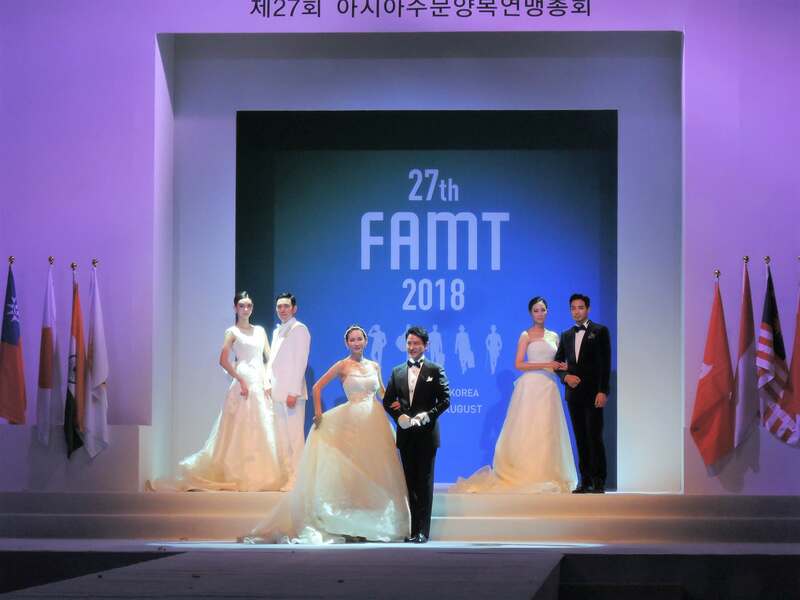 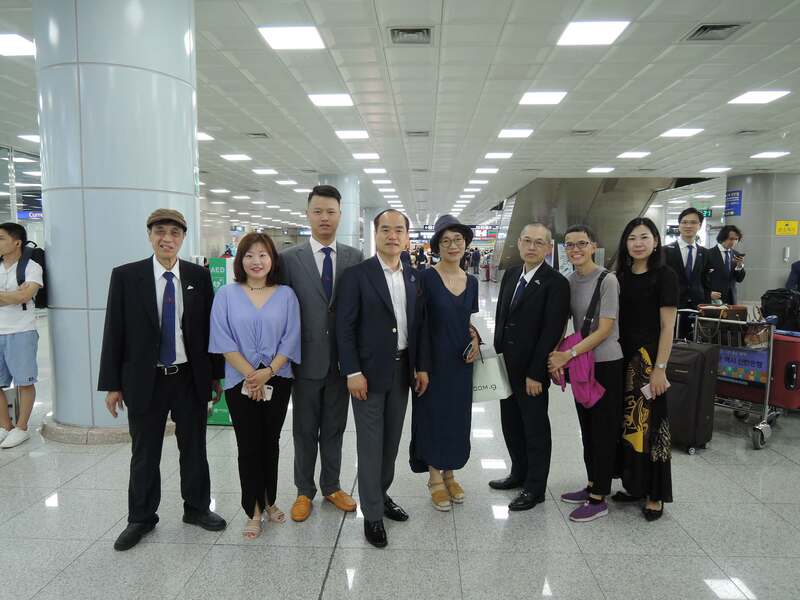 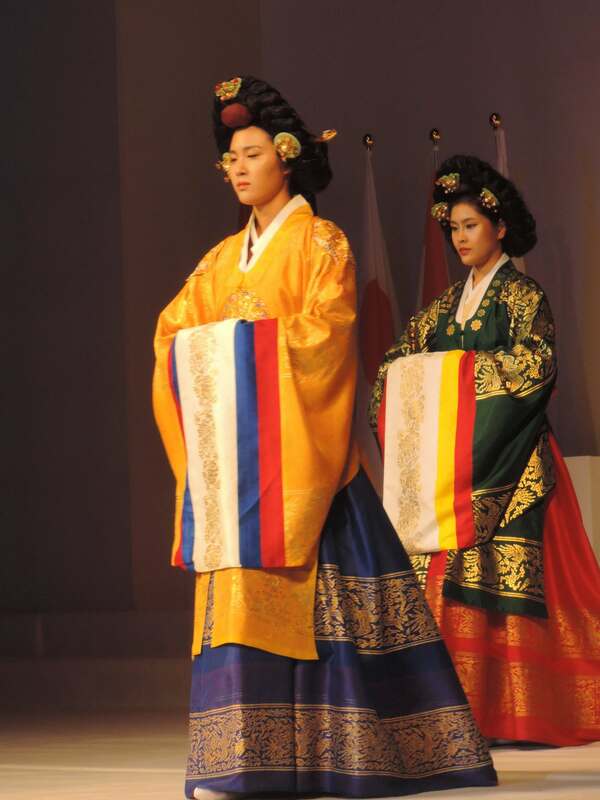 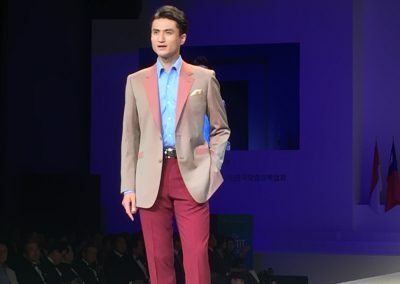 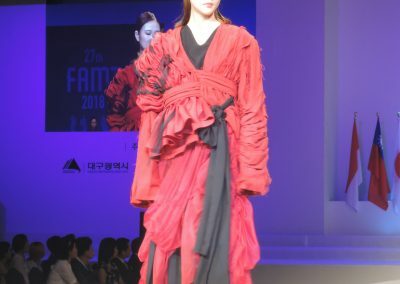 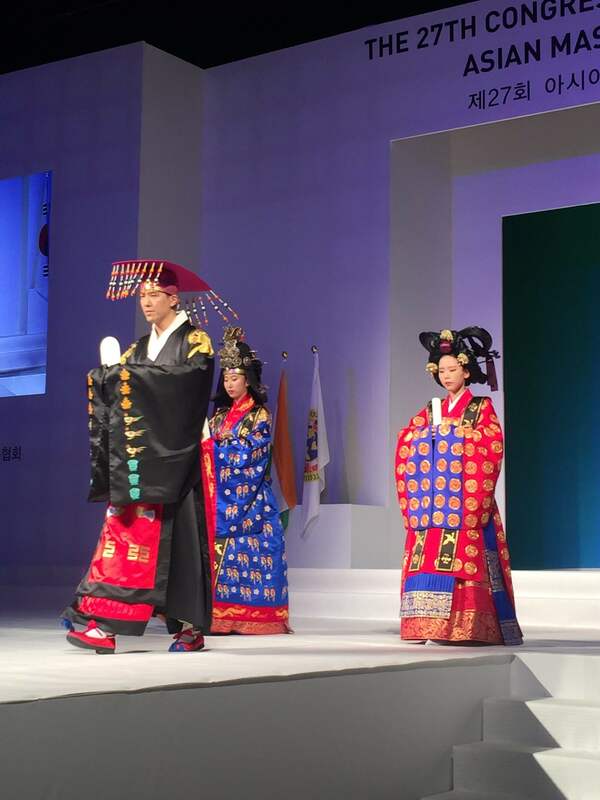 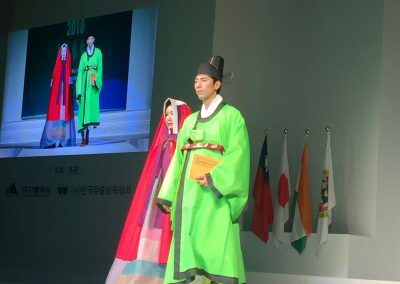 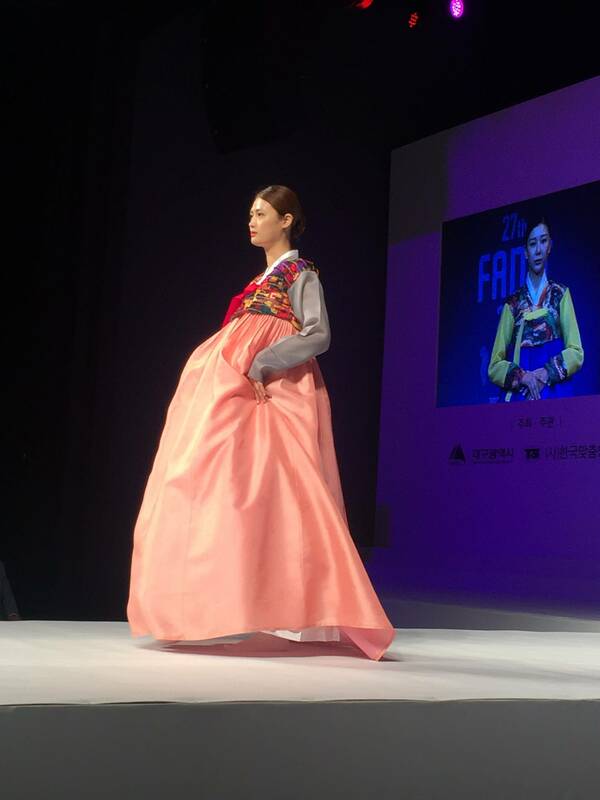 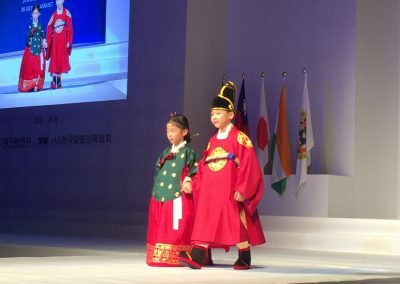 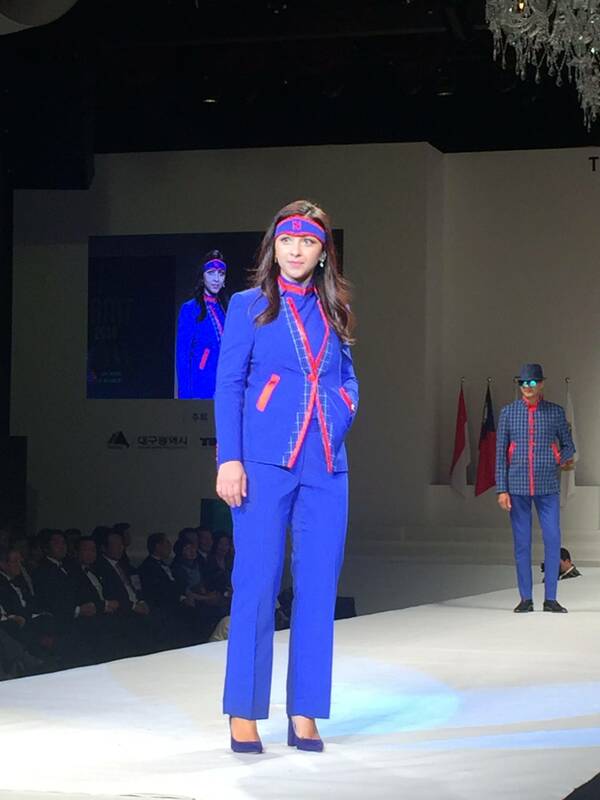 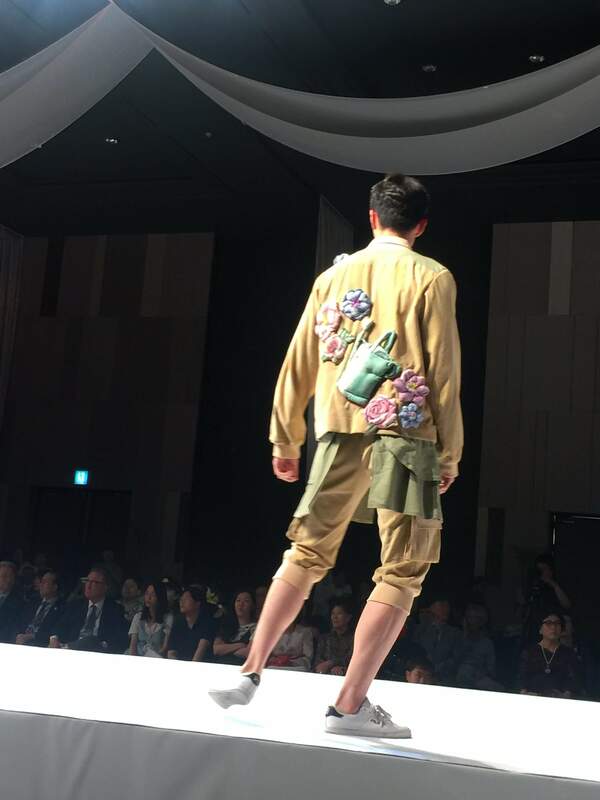 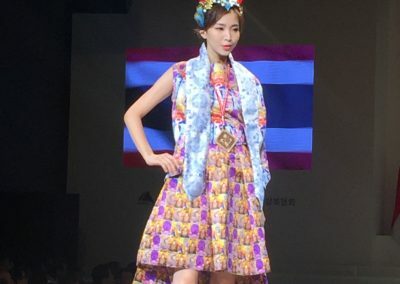 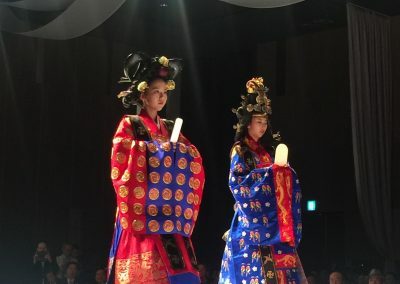 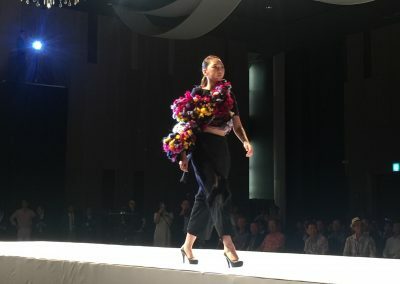 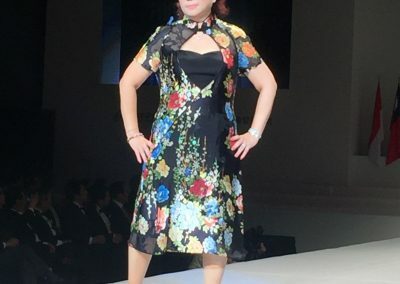 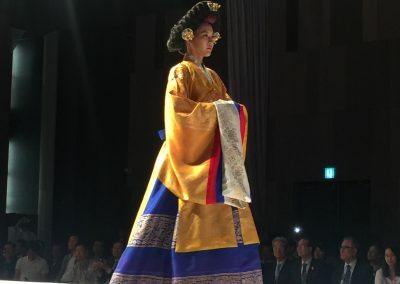 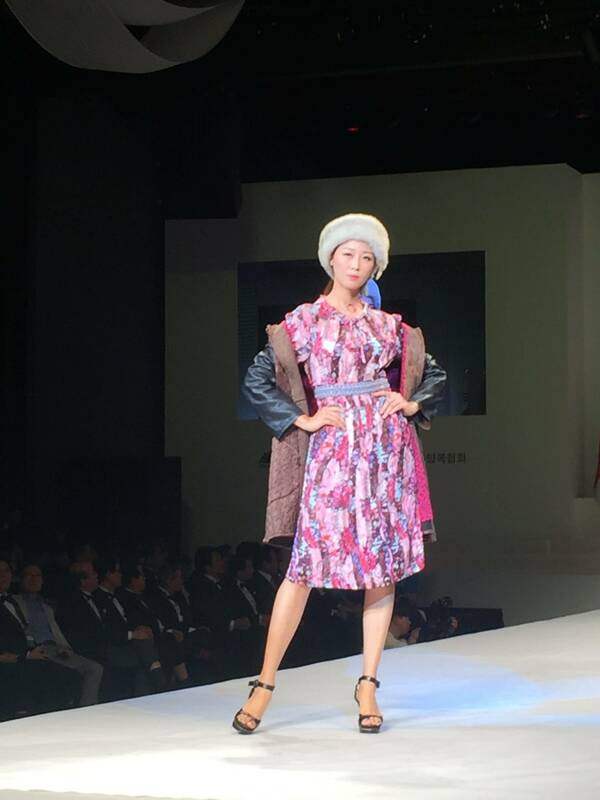 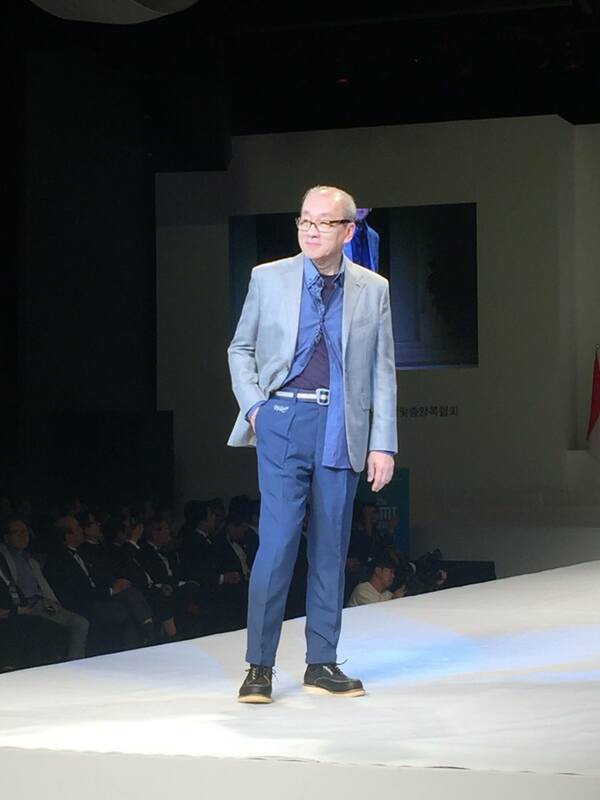 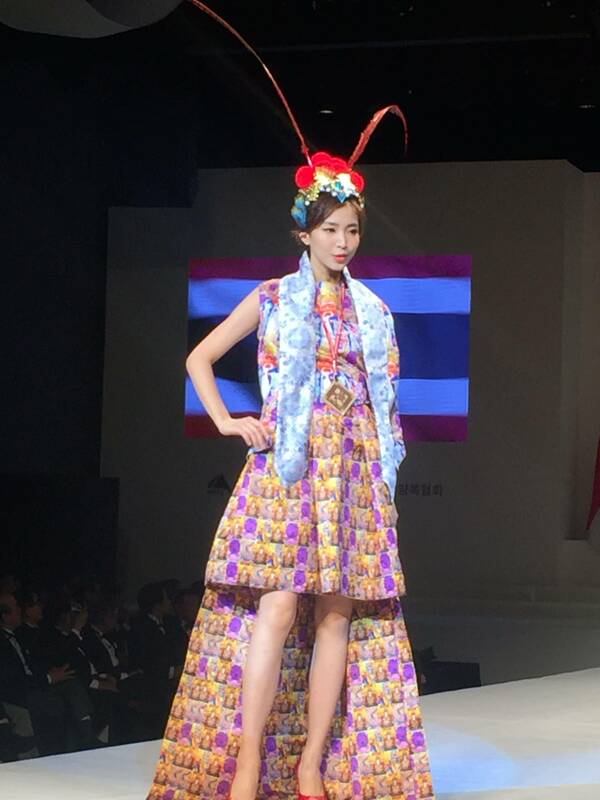 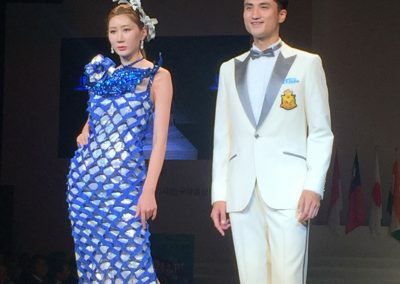 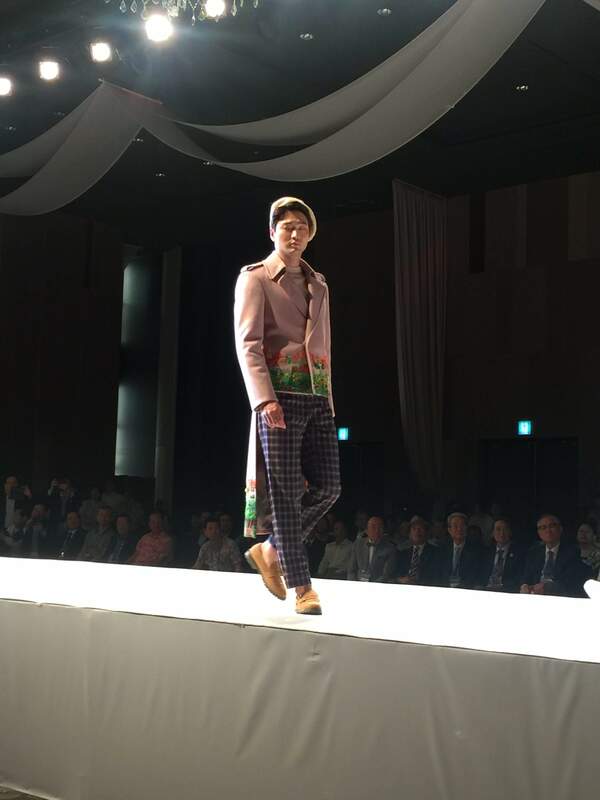 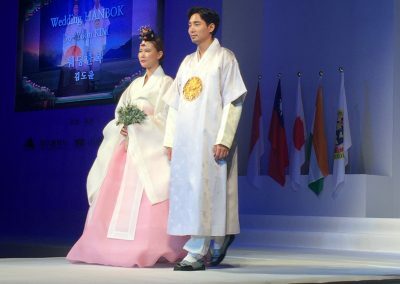 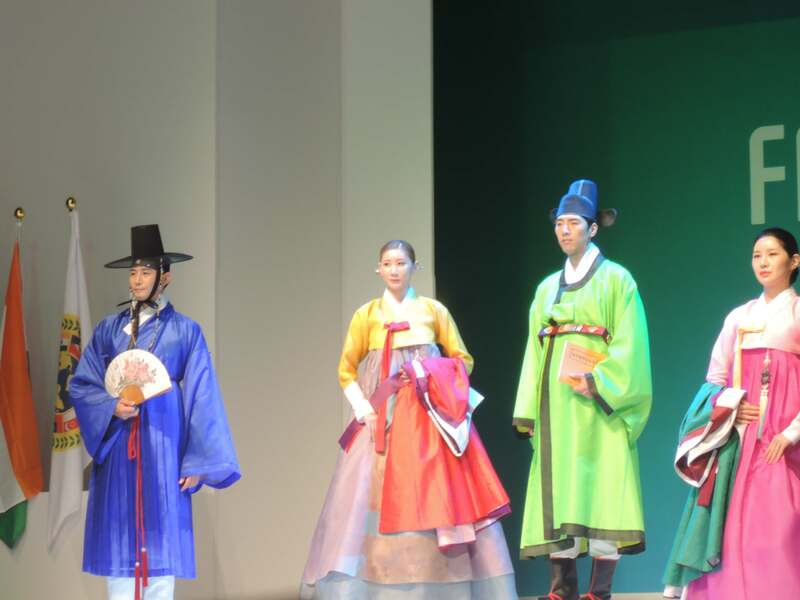 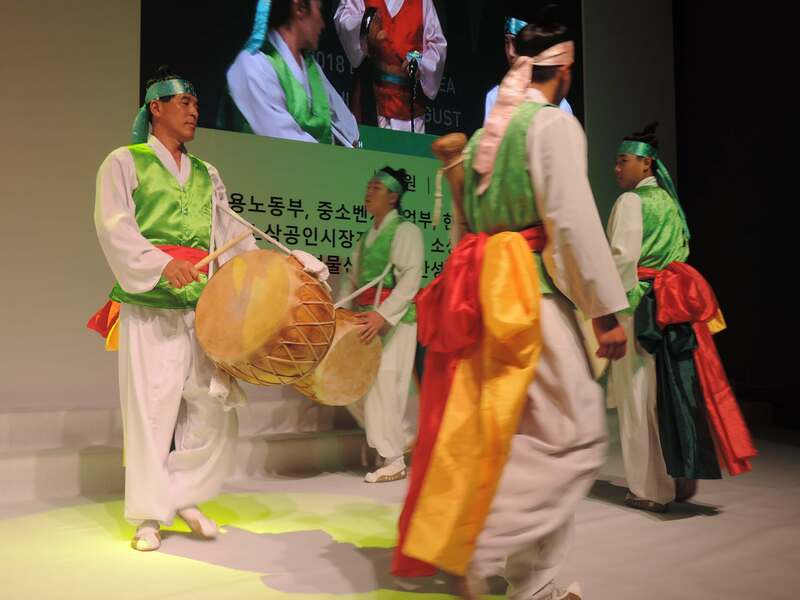 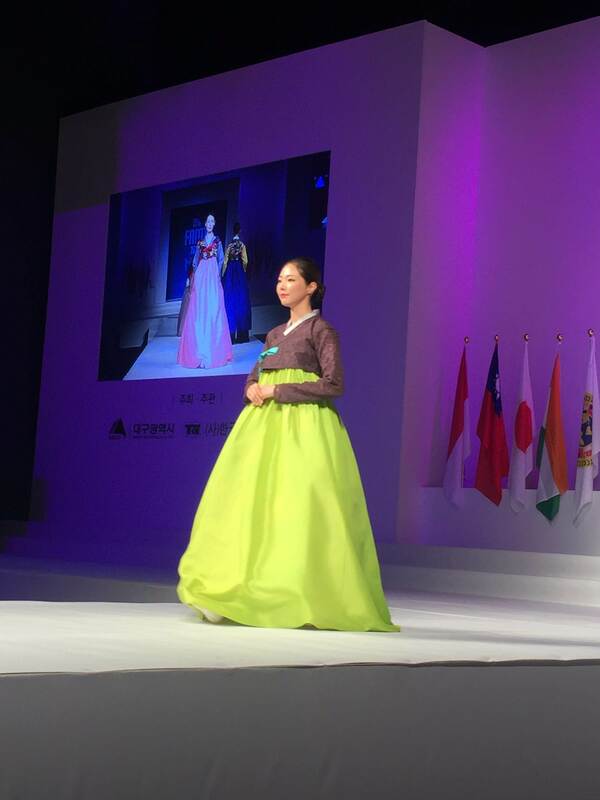 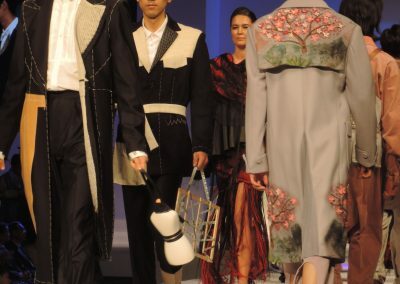 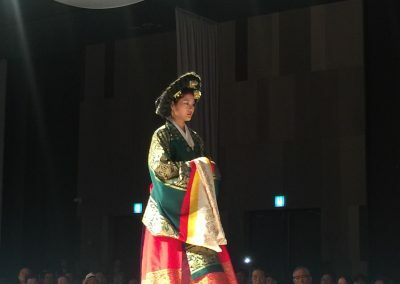 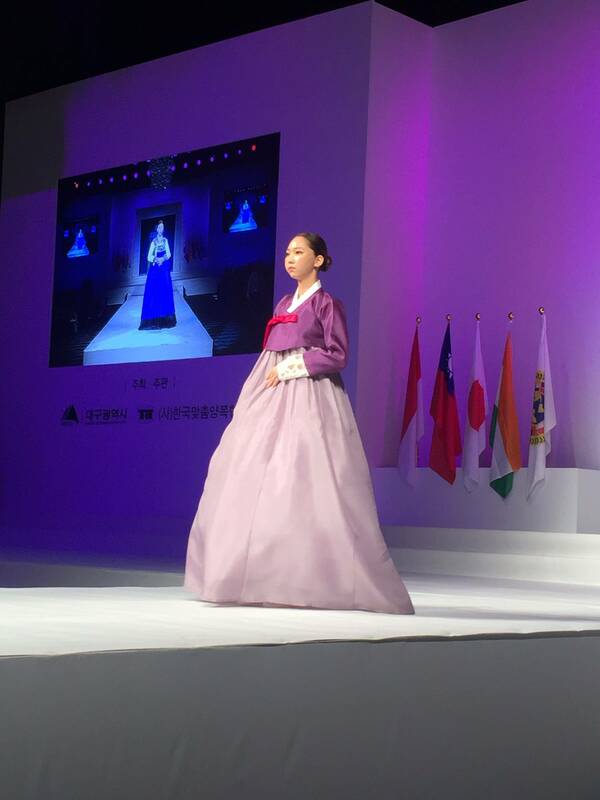 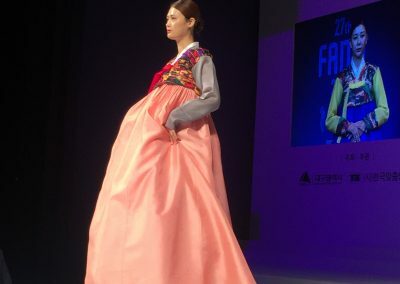 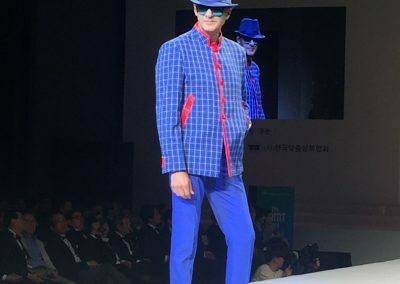 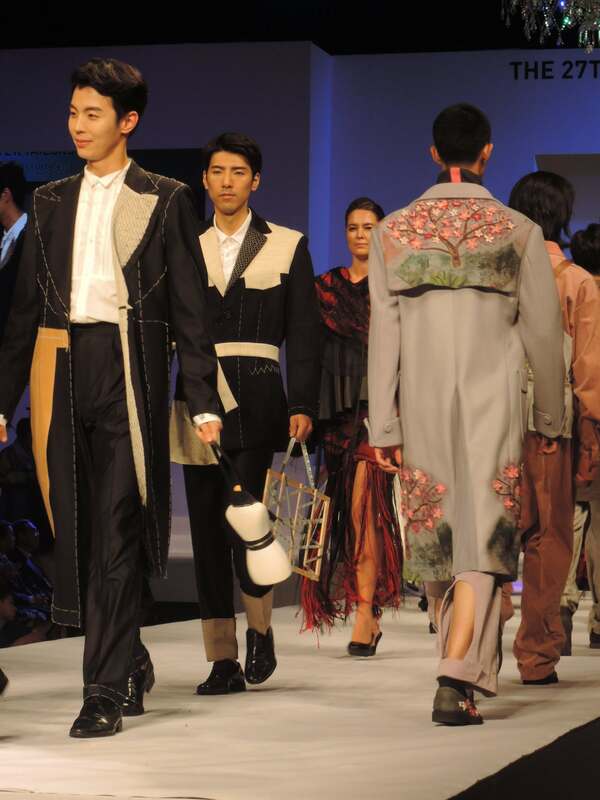 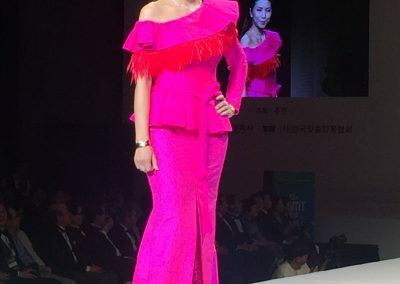 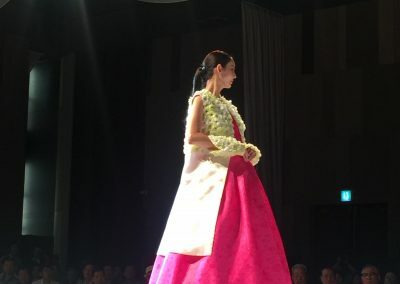 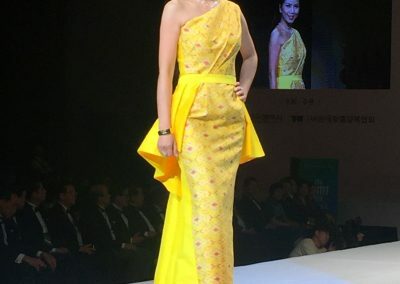 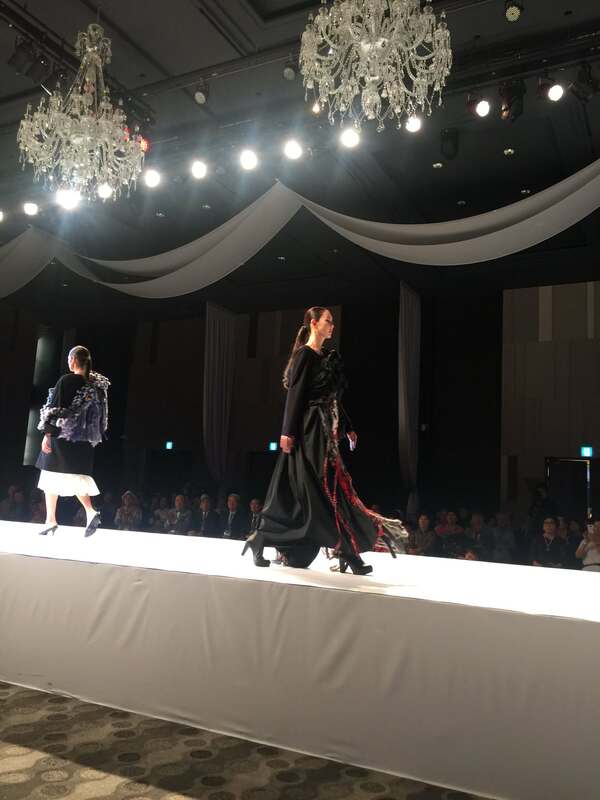 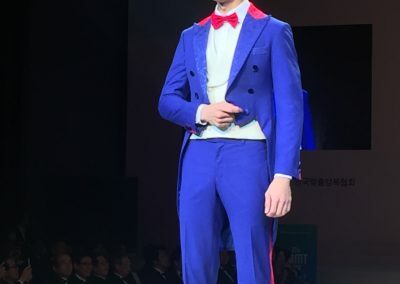 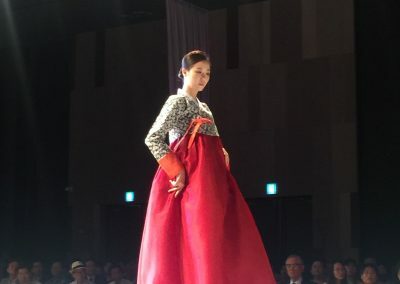 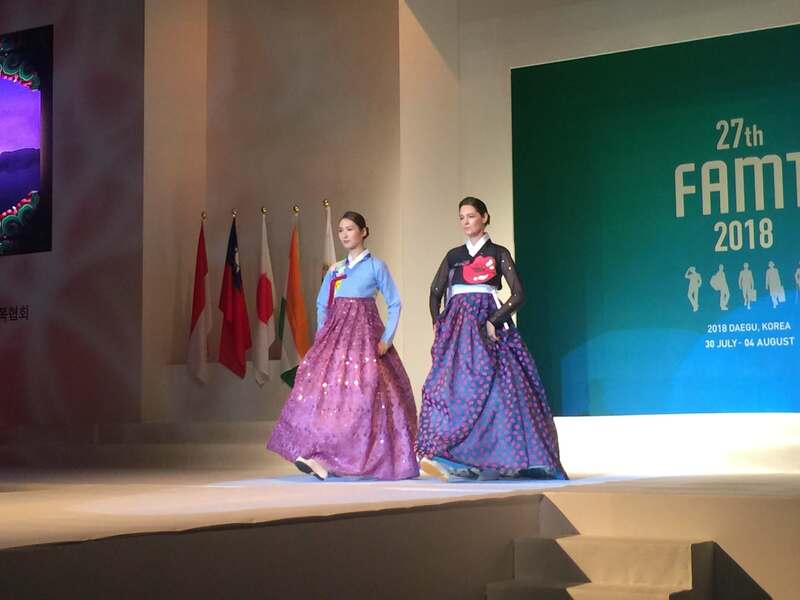 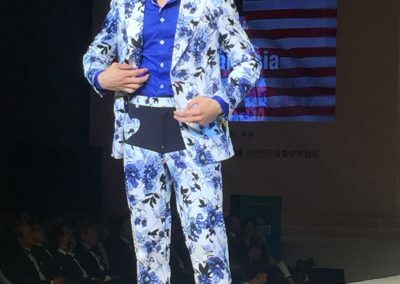 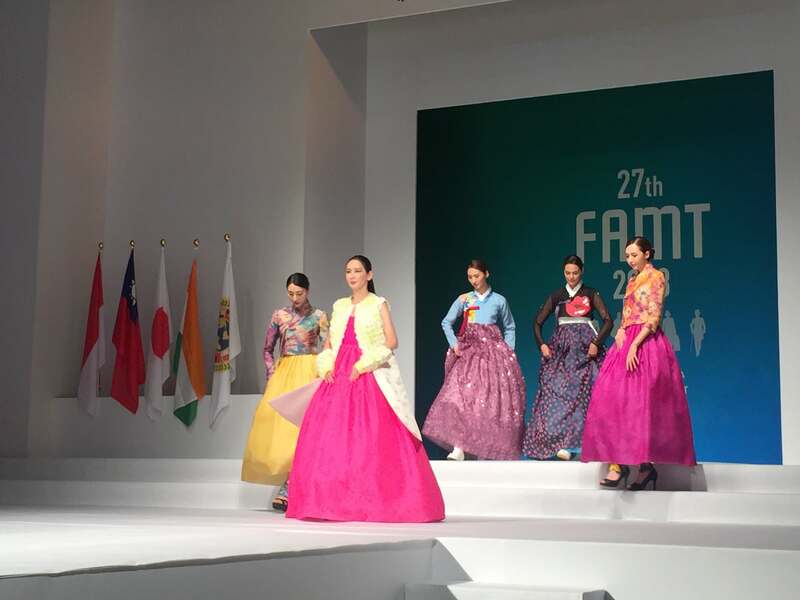 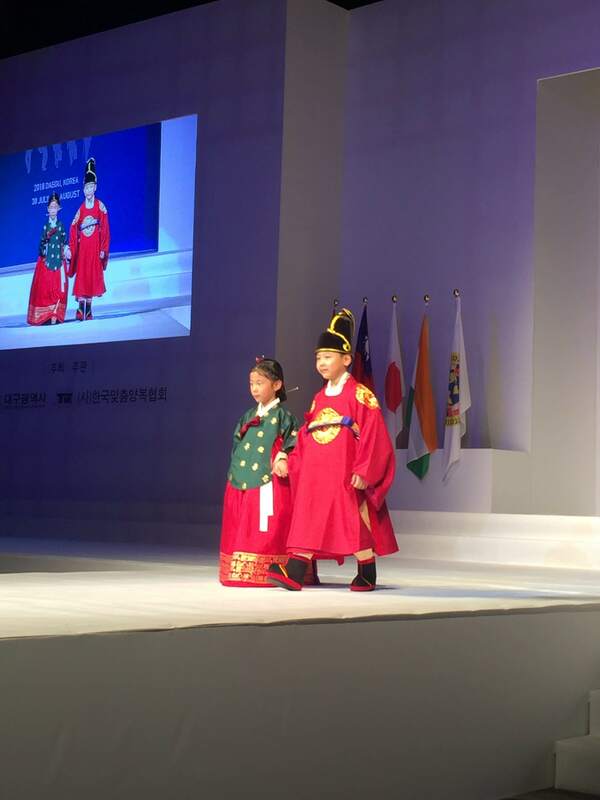 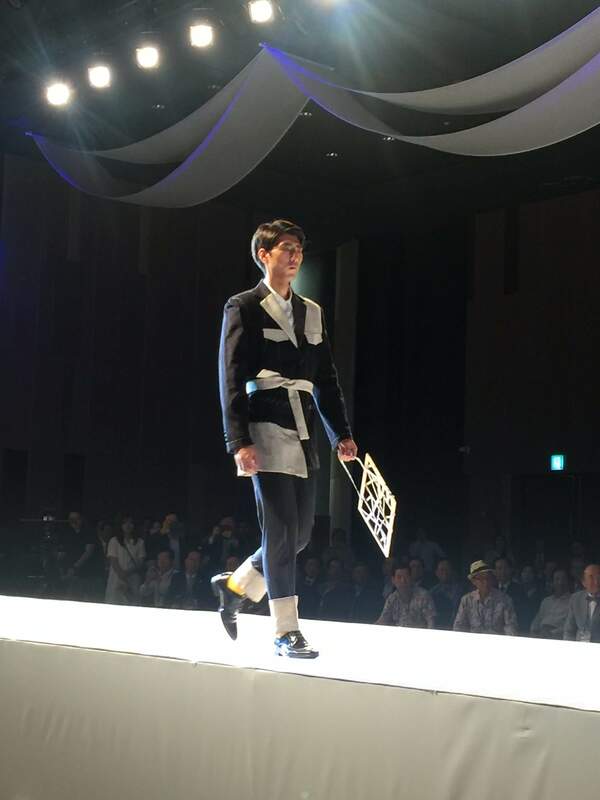 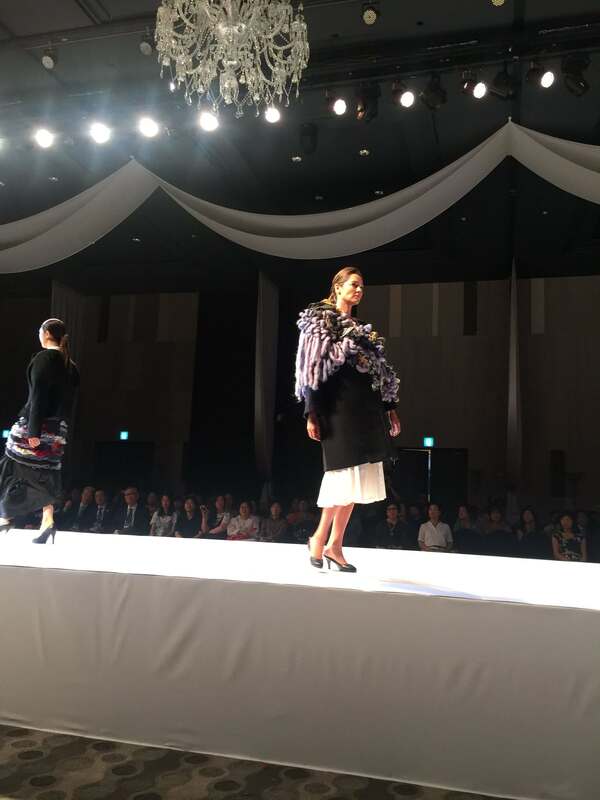 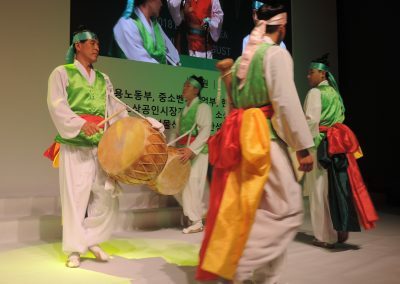 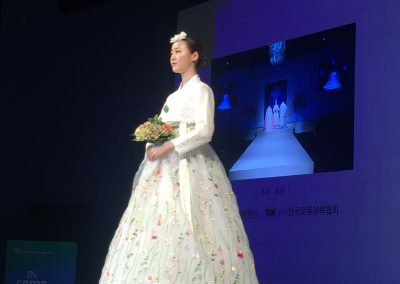 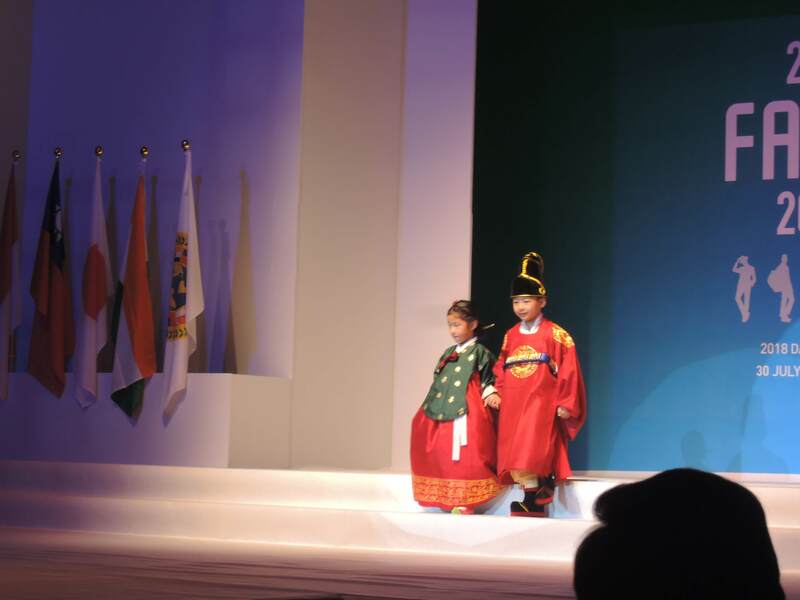 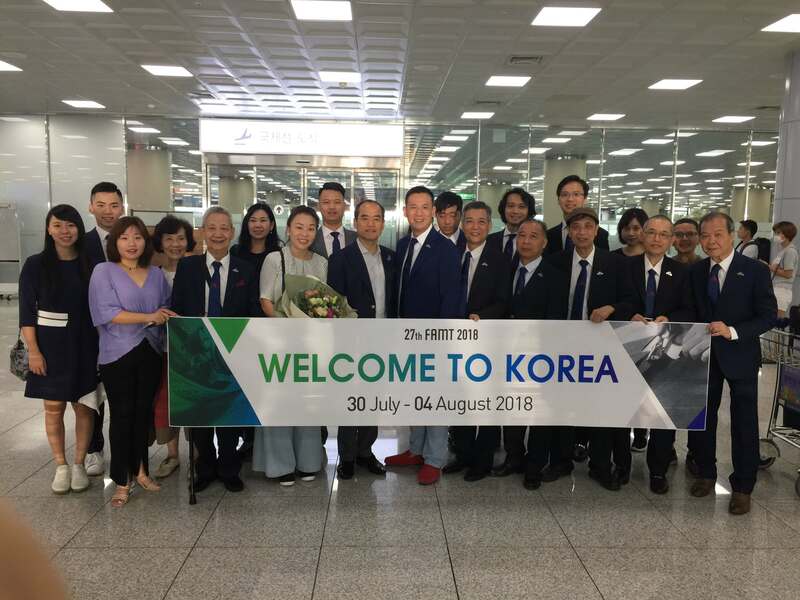 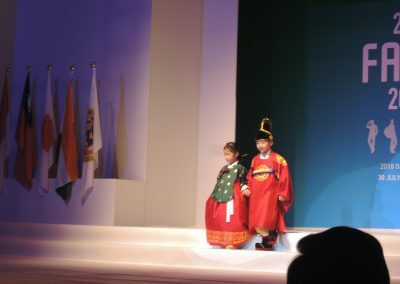 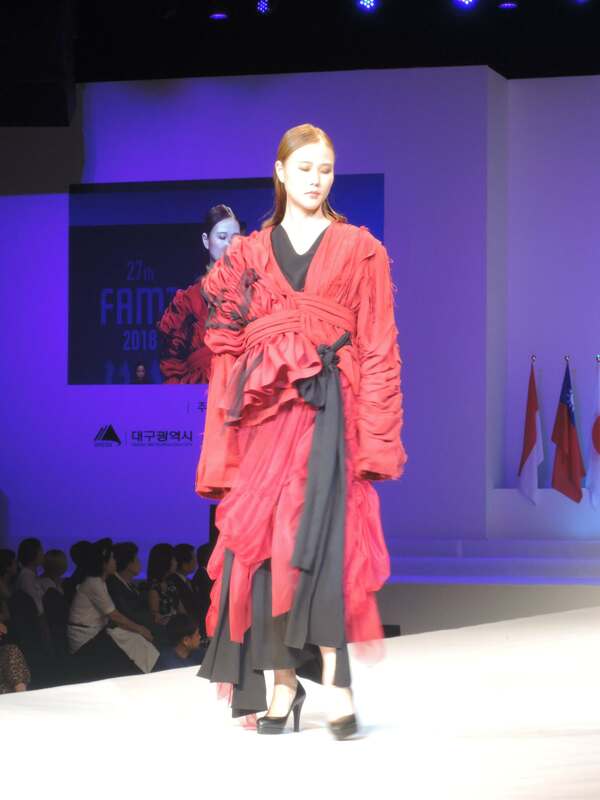 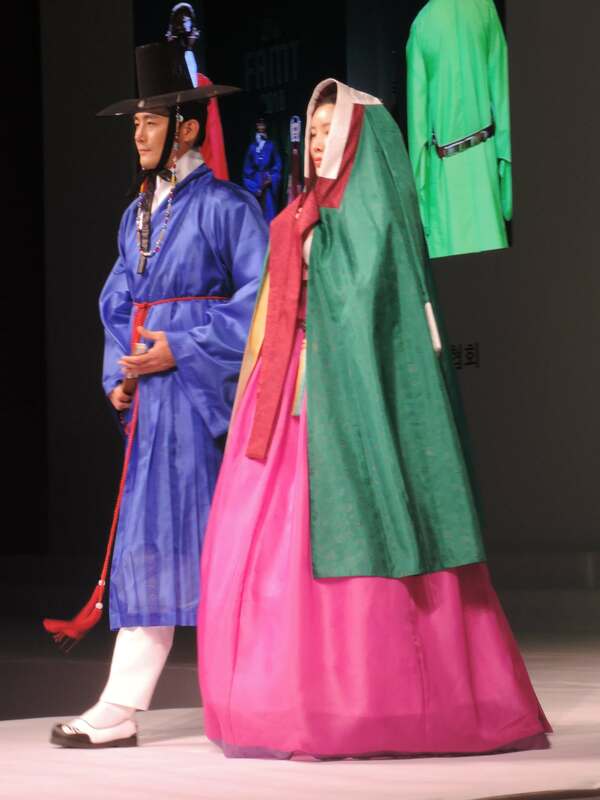 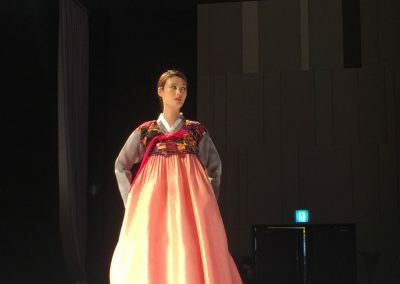 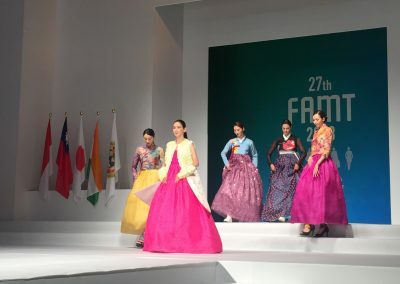 The hosted country – Korea has arranged three professional fashion shows – Korean Bespoke Fashion Show, Korean Hanbok and Student Fashion Show and International Fashion Show. 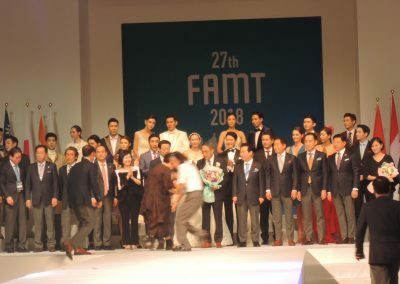 The visitors mostly focused on the International Fashion Show. 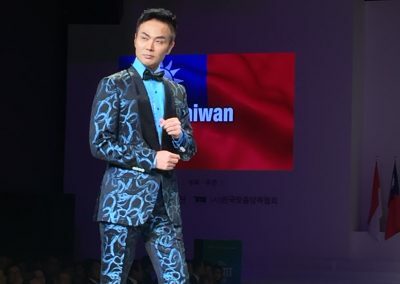 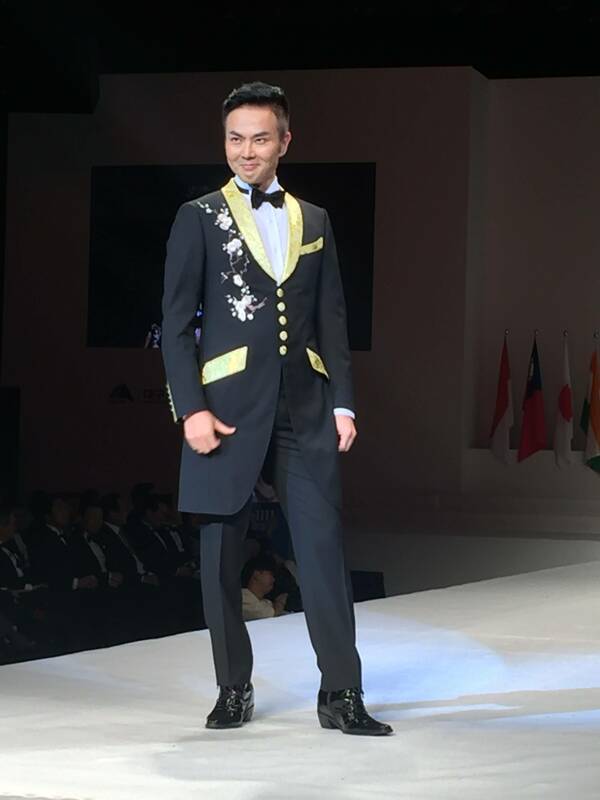 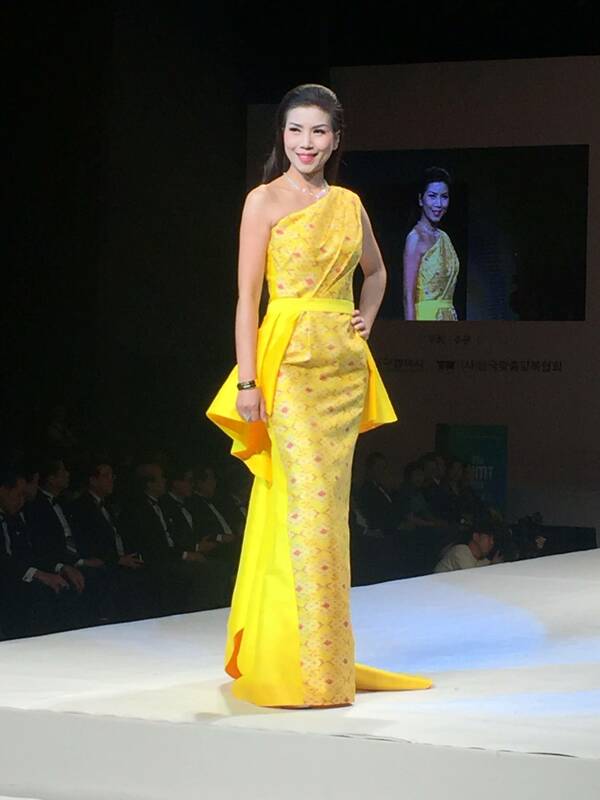 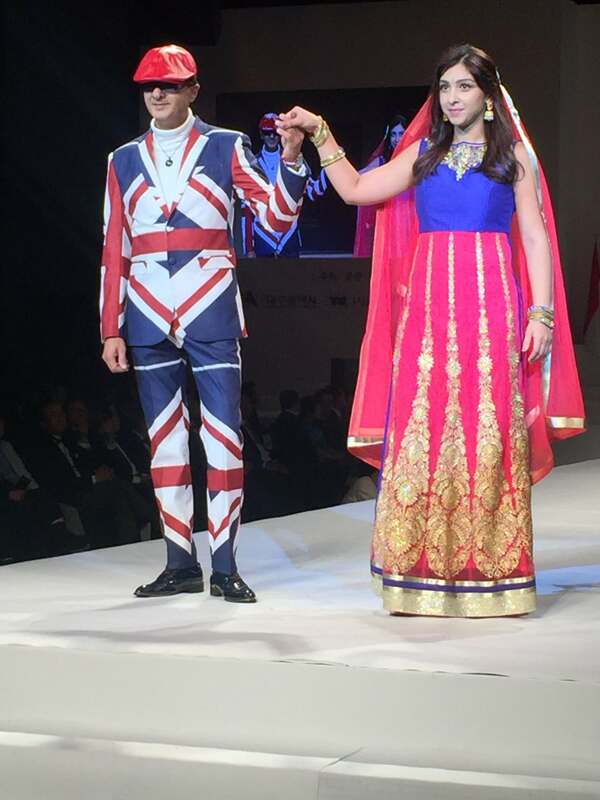 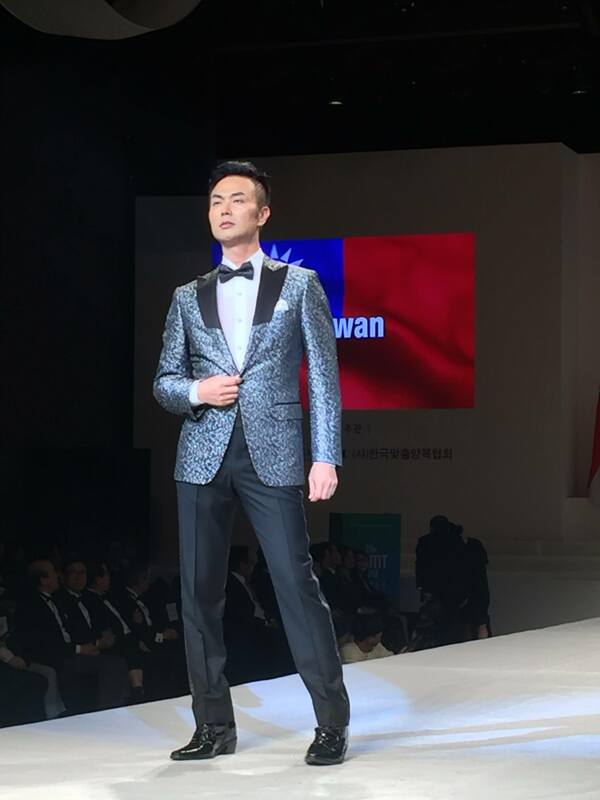 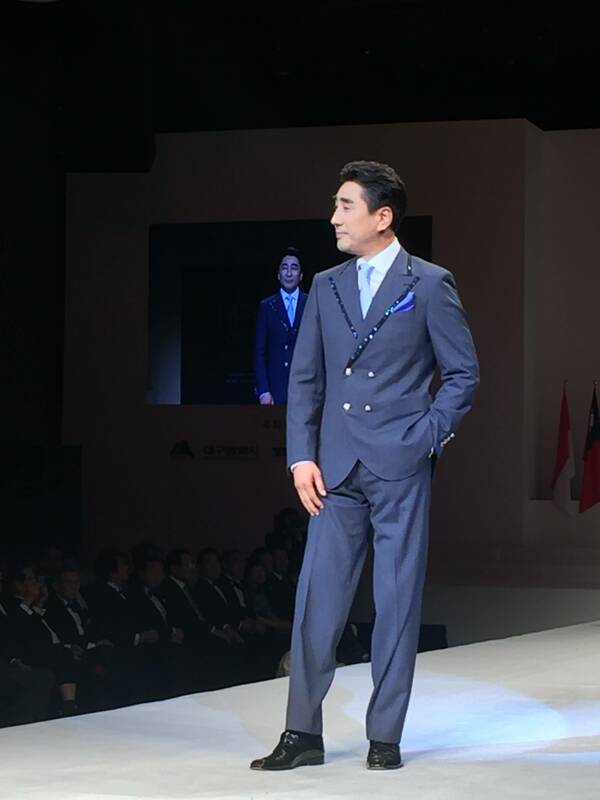 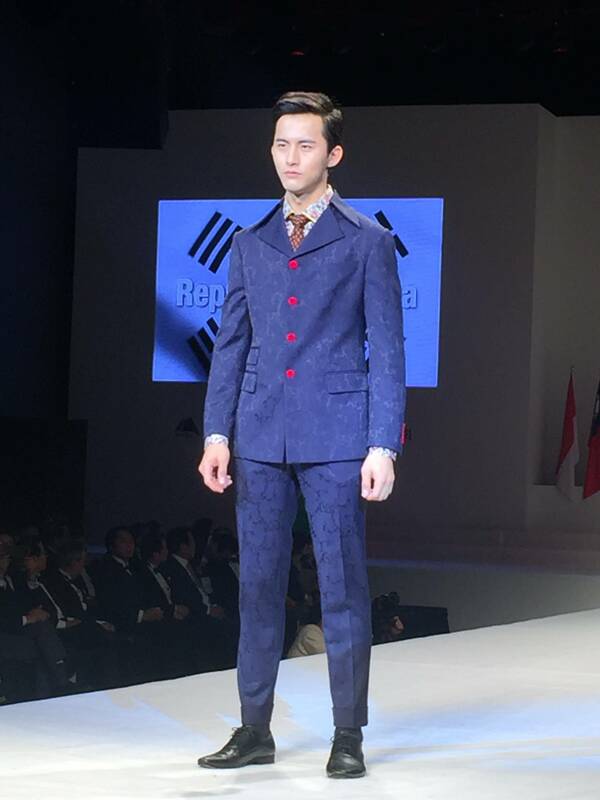 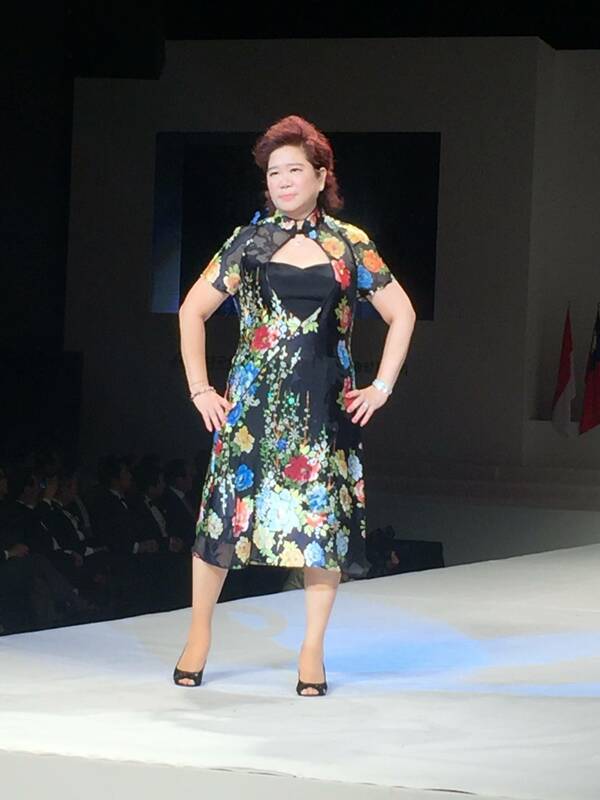 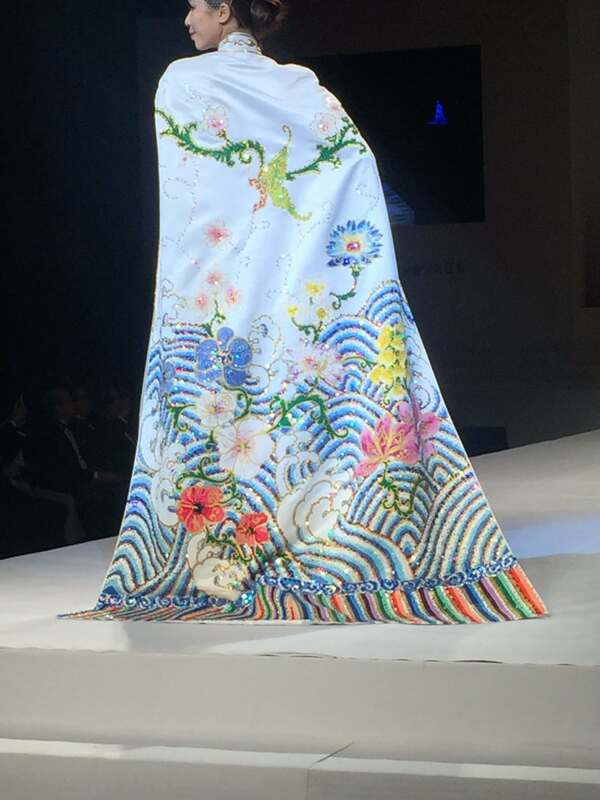 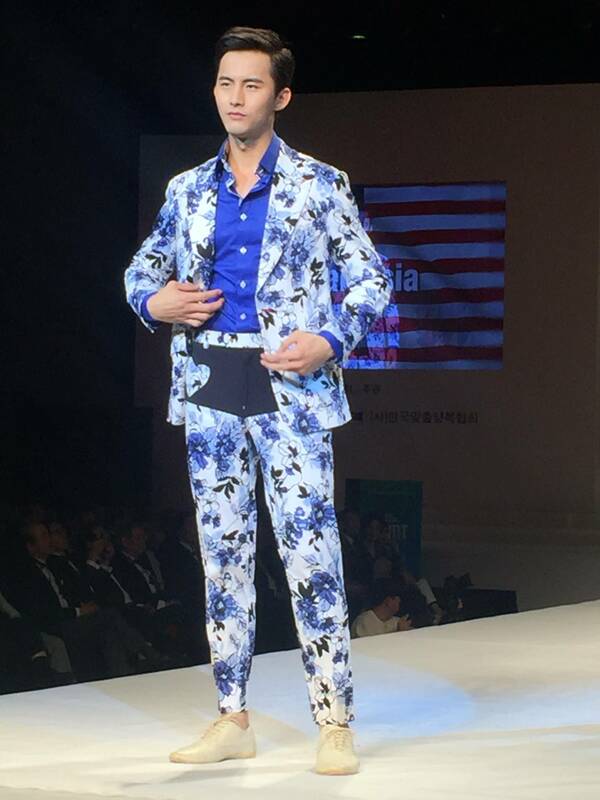 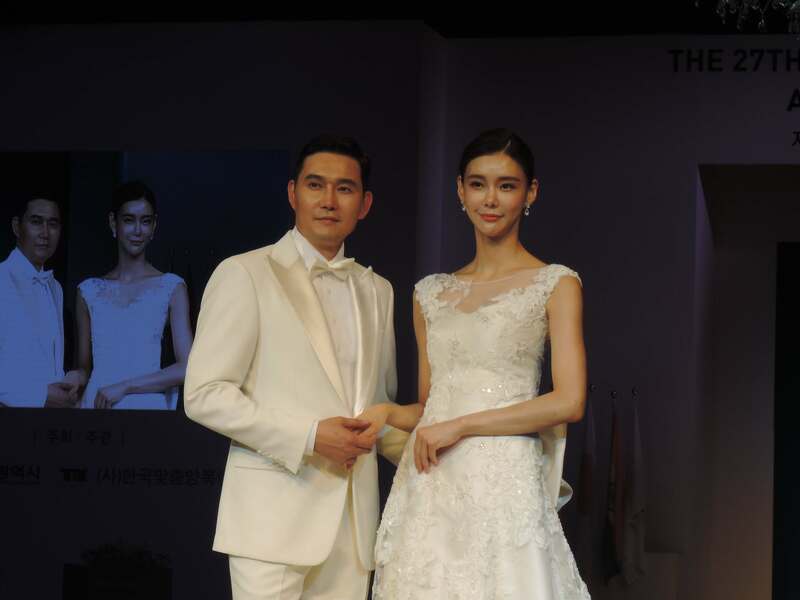 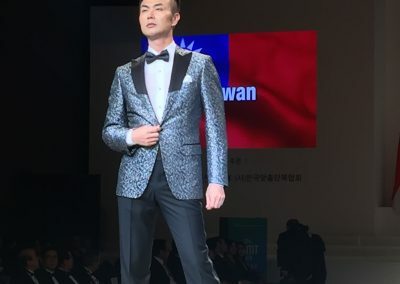 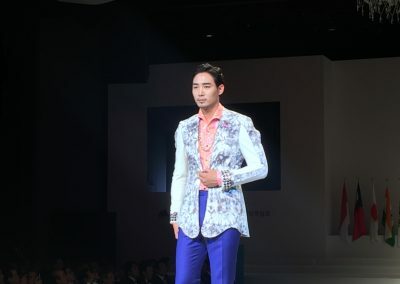 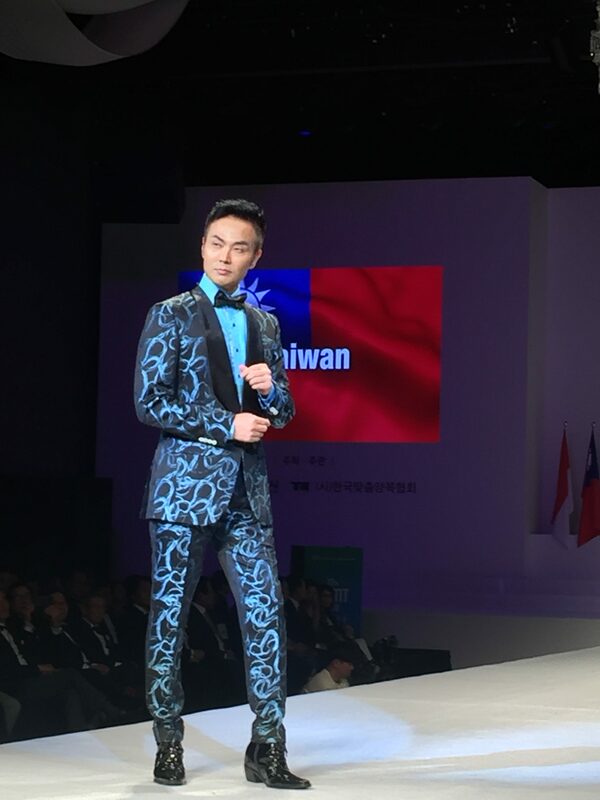 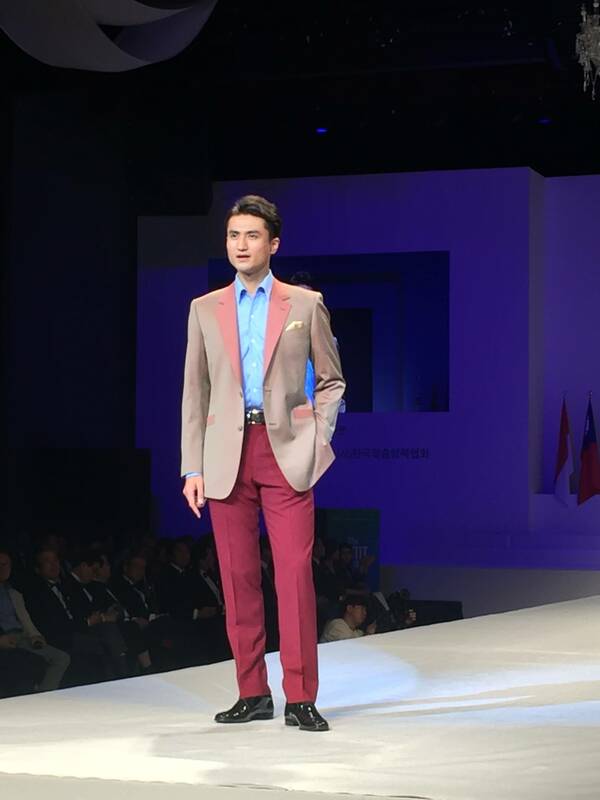 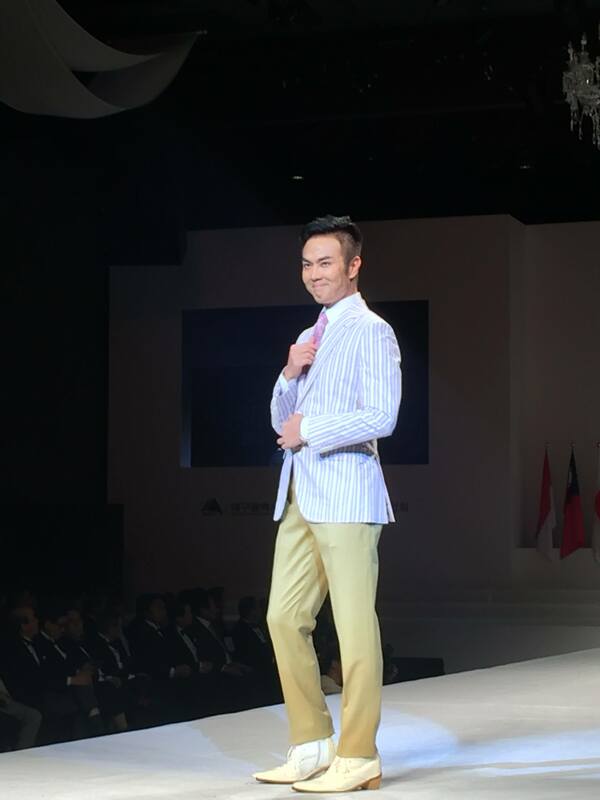 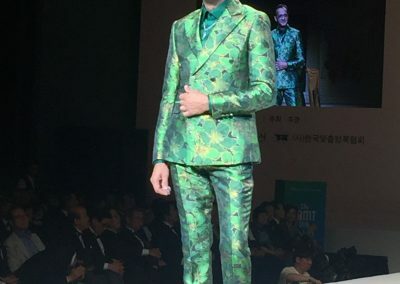 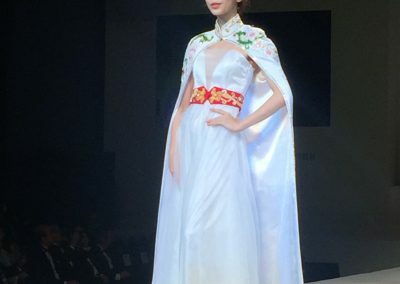 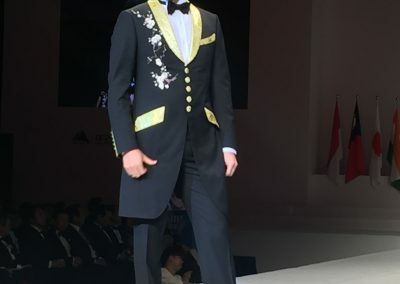 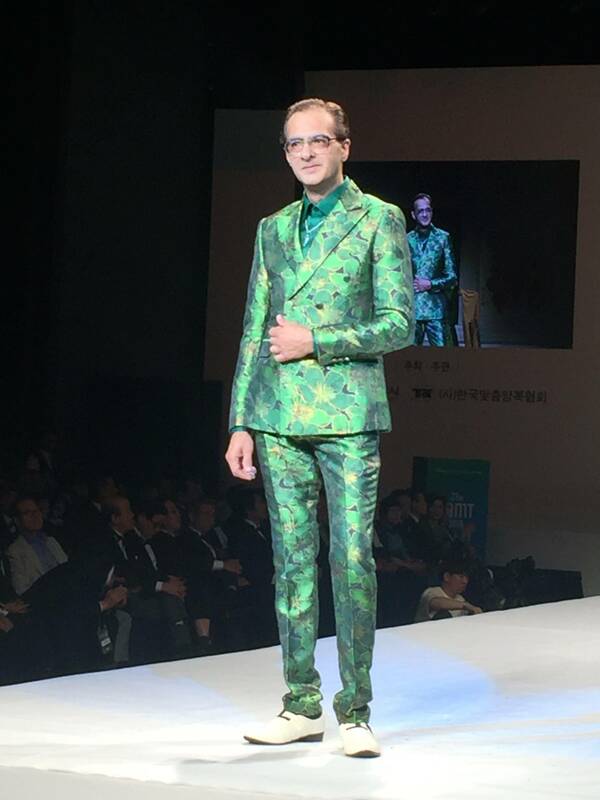 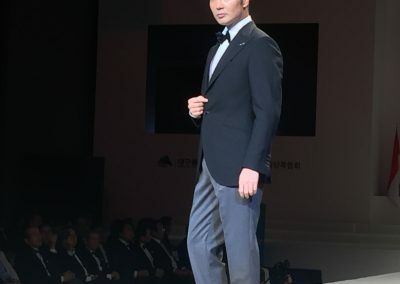 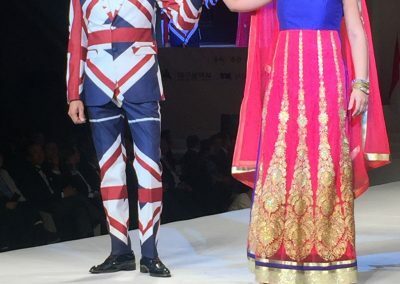 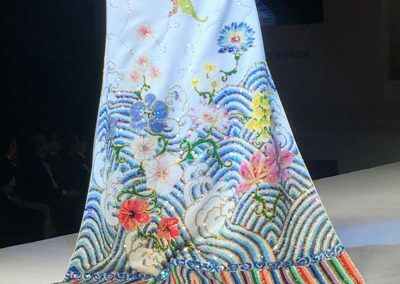 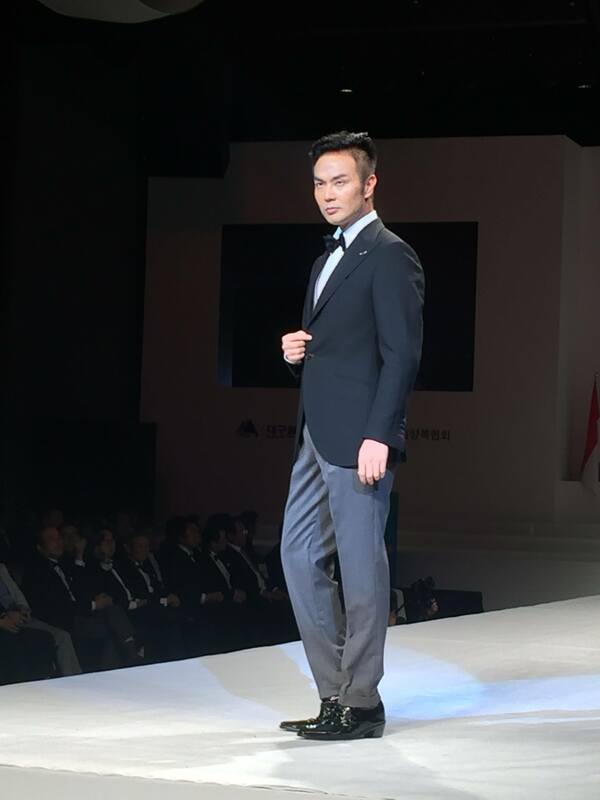 The display clothes represented the unique design, exquisite workmanship and technique of each participated country and showed the superiority and beauty of the Asian tailoring industry. 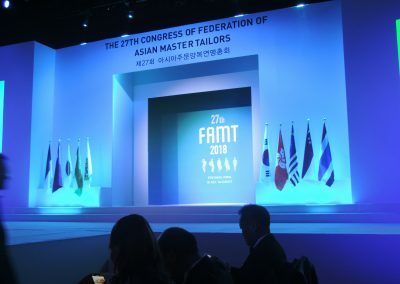 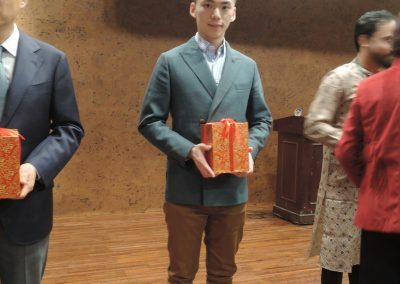 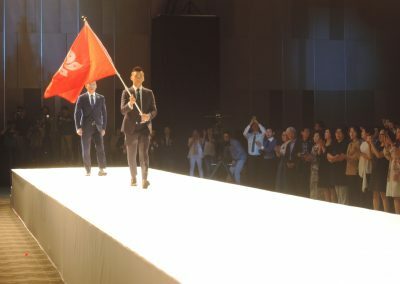 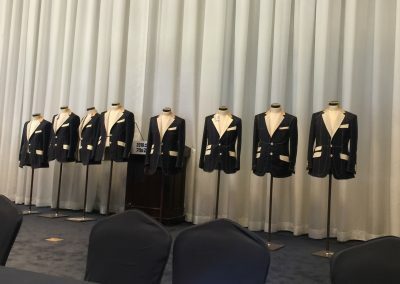 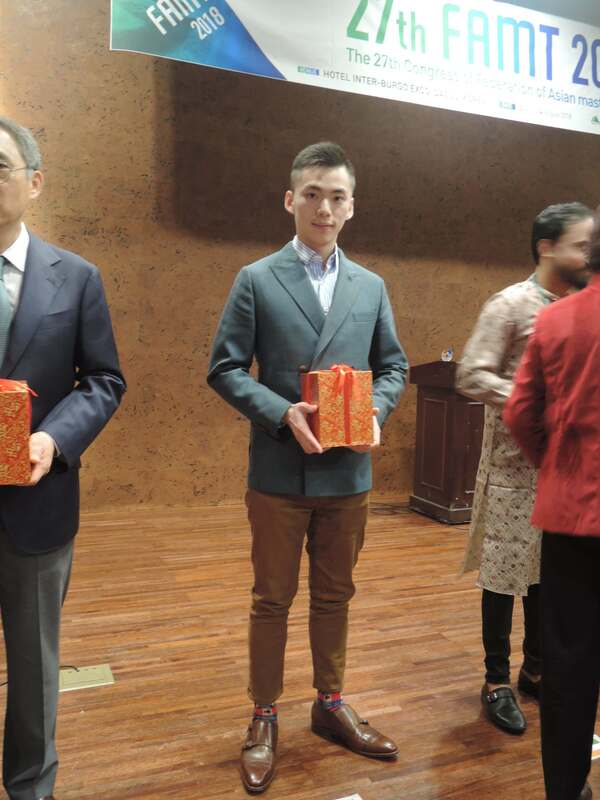 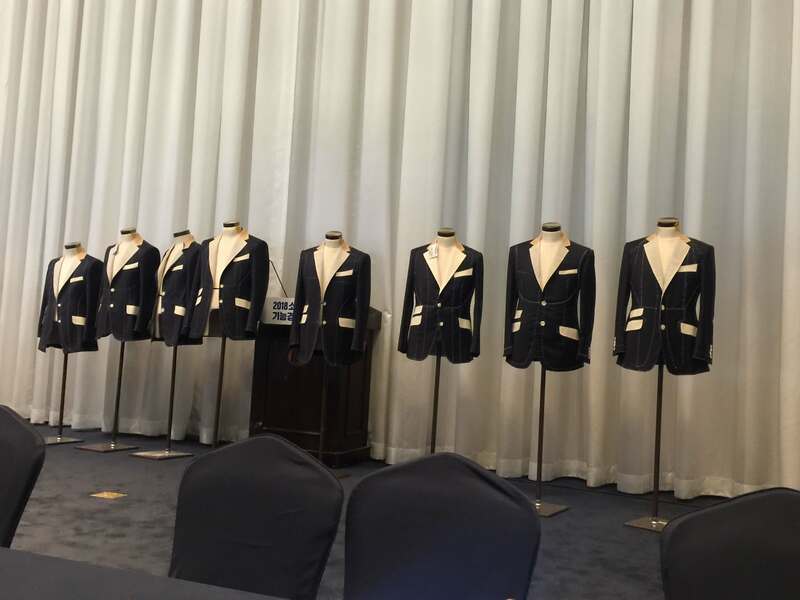 In addition to fashion shows, the congress also arranged three competitions – International Master Tailor’s Competition, Gold Finger Competition and Mannequin Contest. 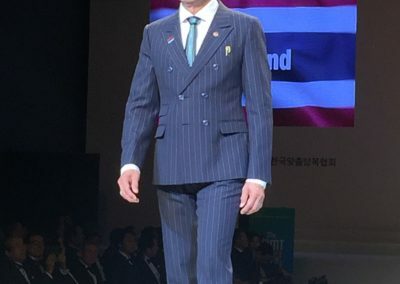 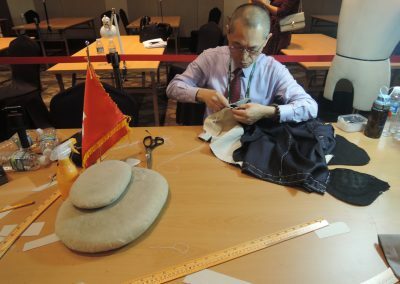 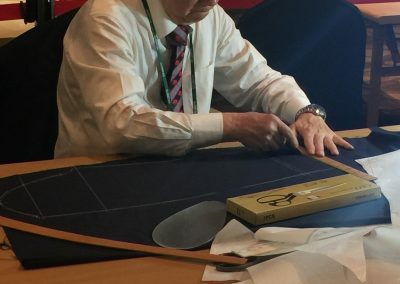 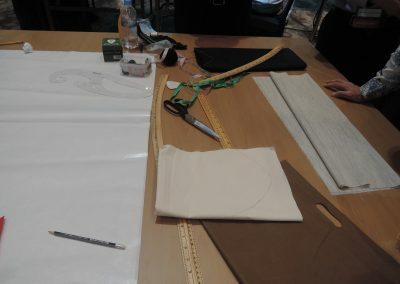 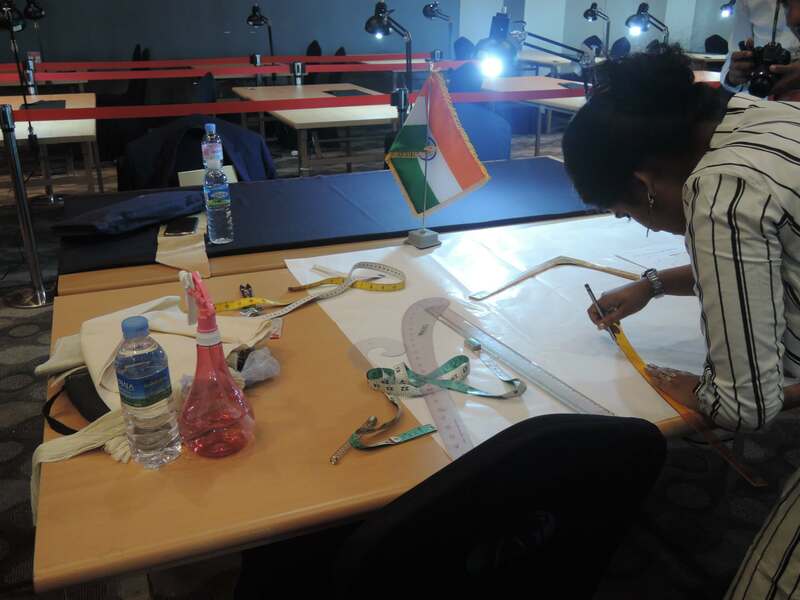 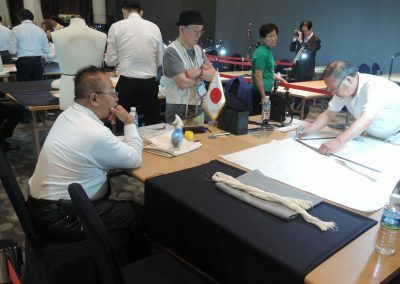 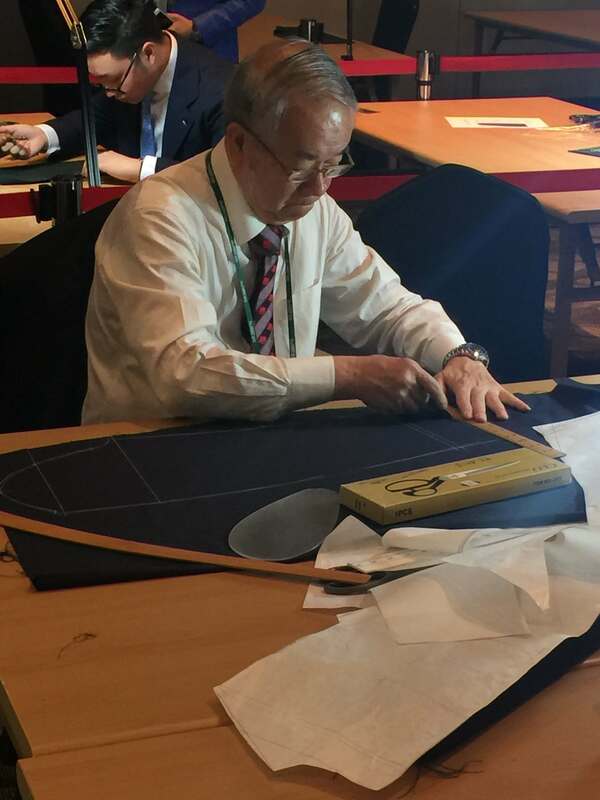 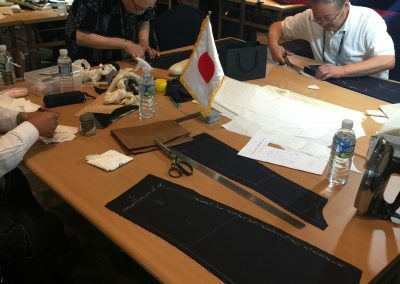 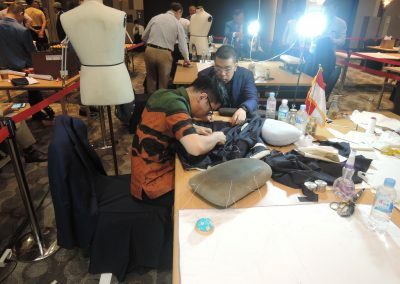 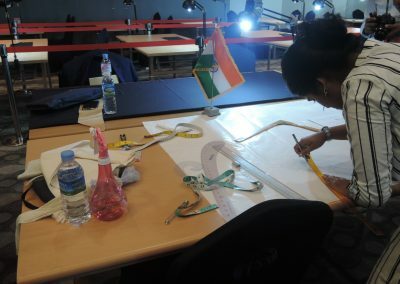 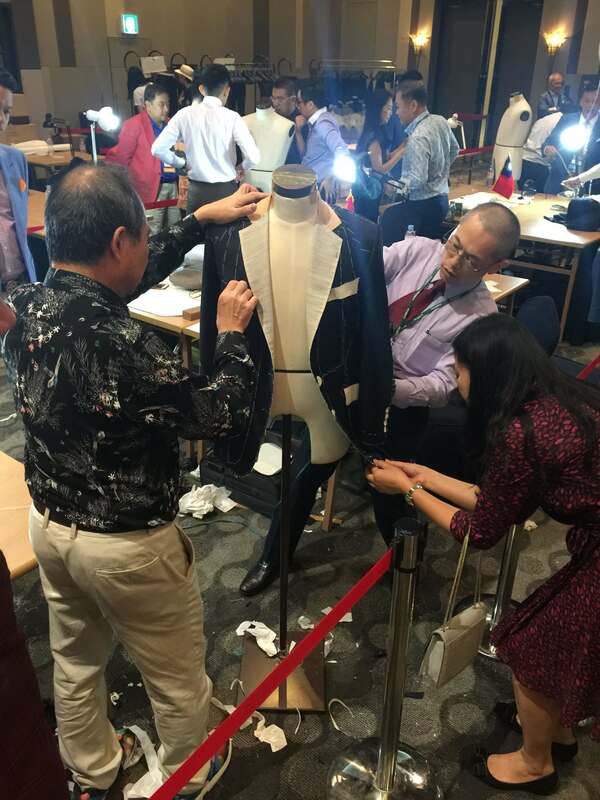 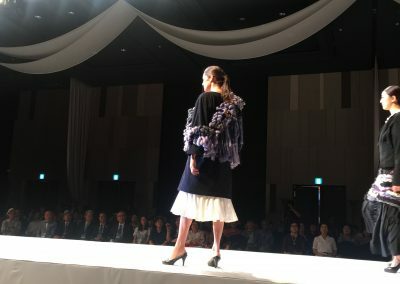 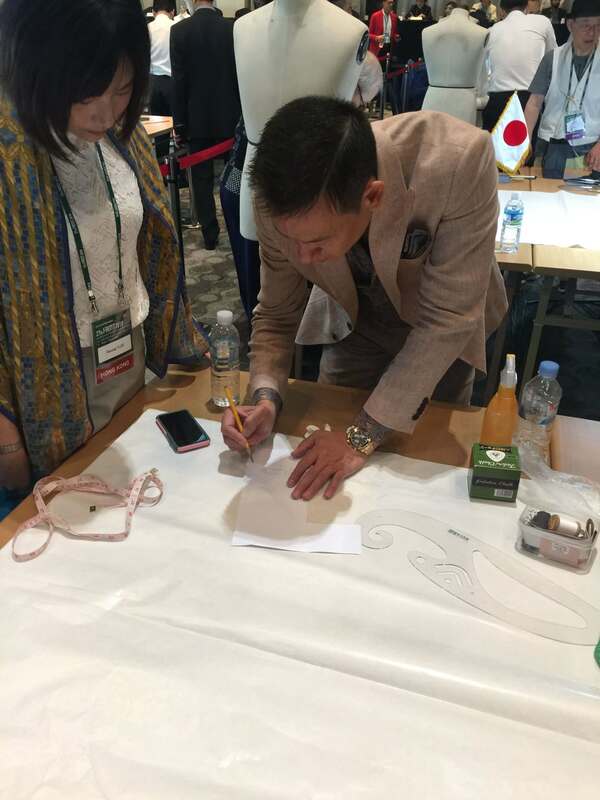 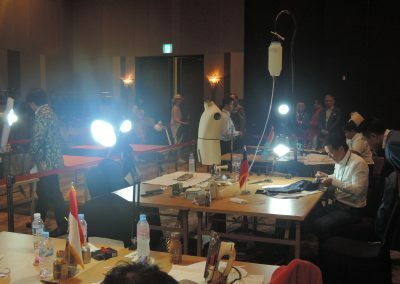 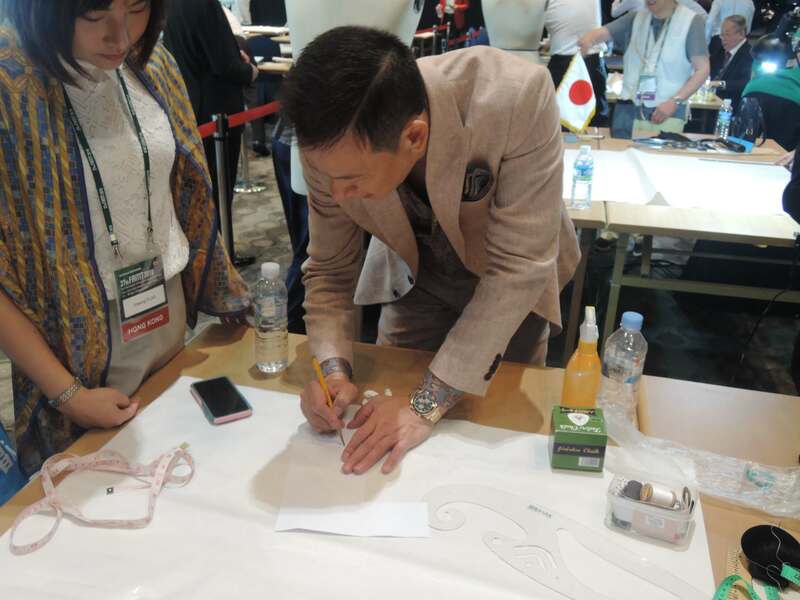 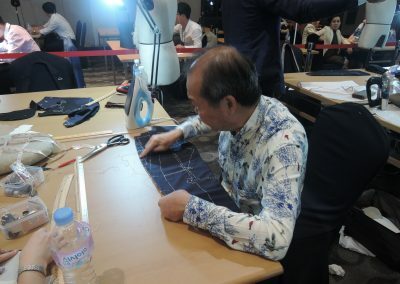 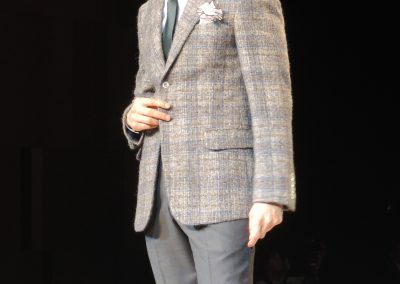 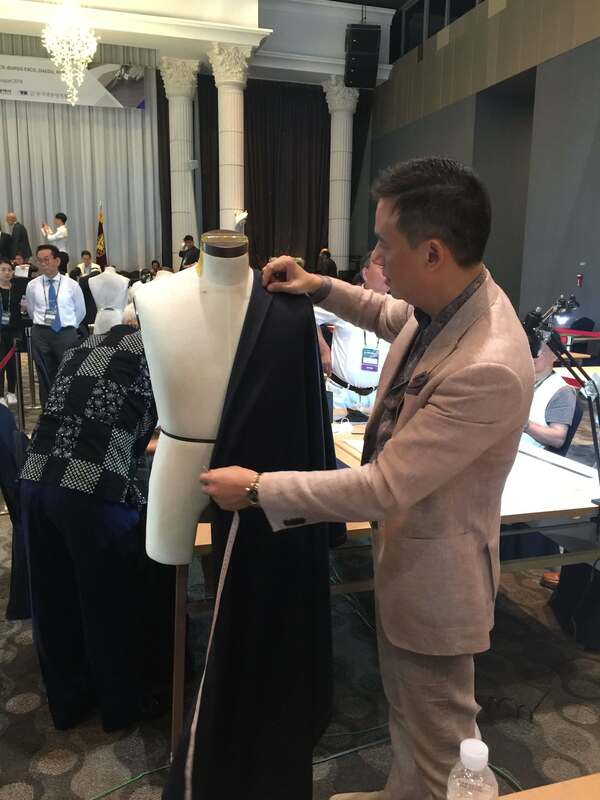 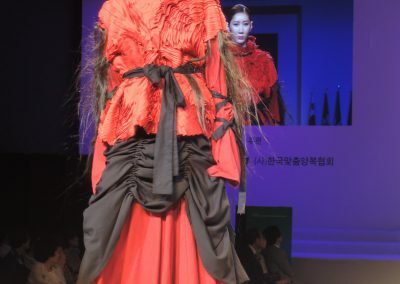 The representatives of each participated country have shown their perfect craftsmanship and tailoring techniques in their works, enhance the level of the competition. 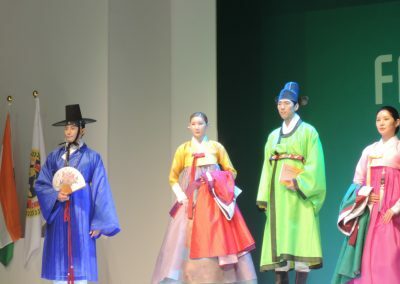 The visitors were amazing of their performance. 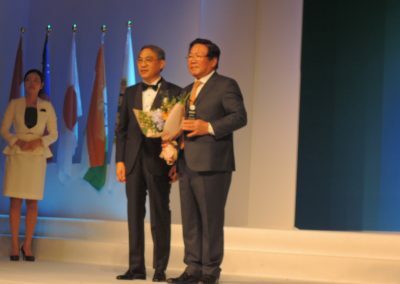 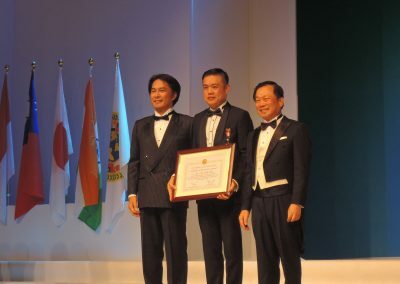 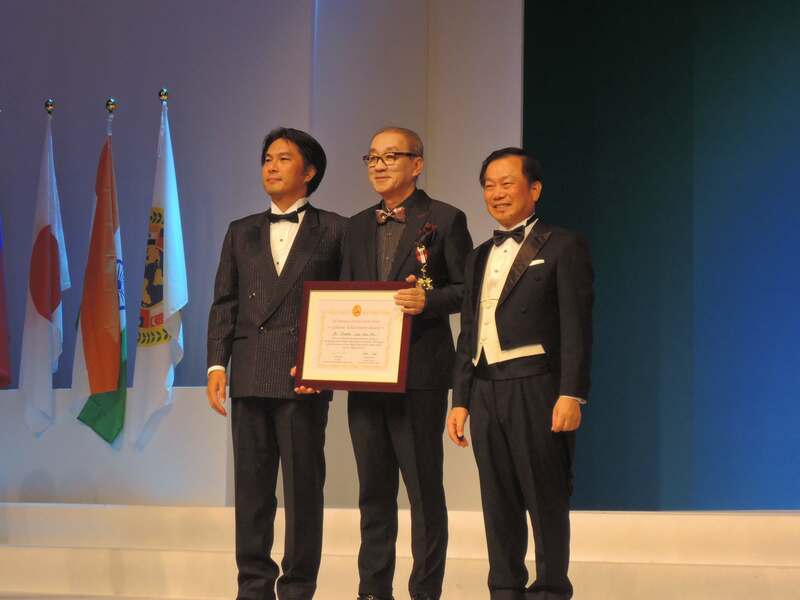 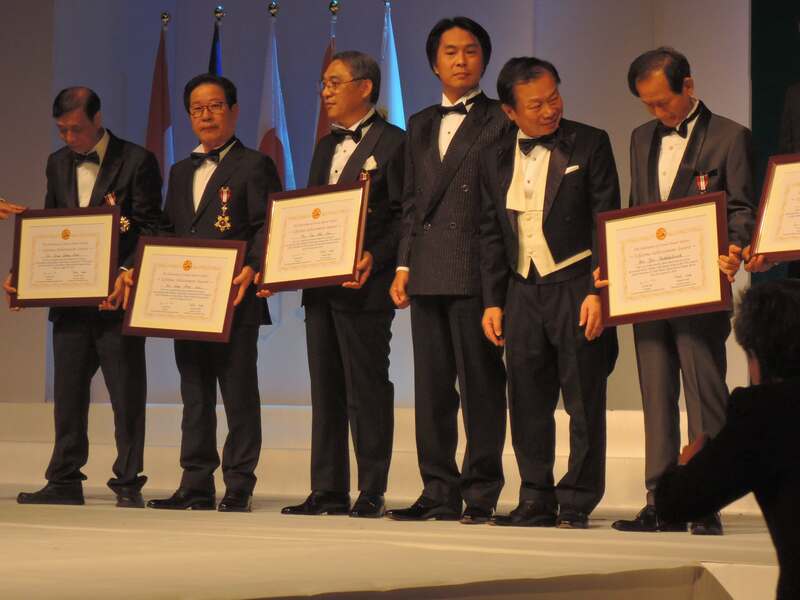 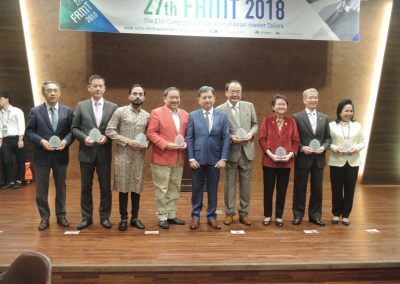 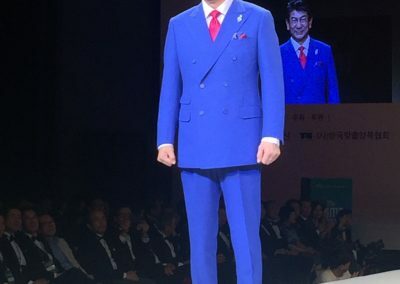 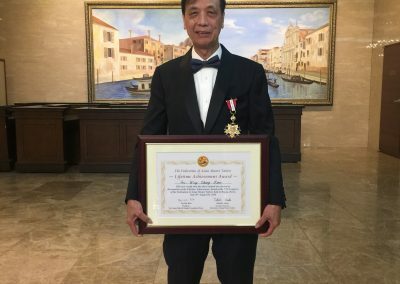 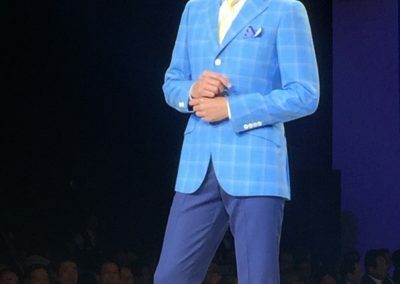 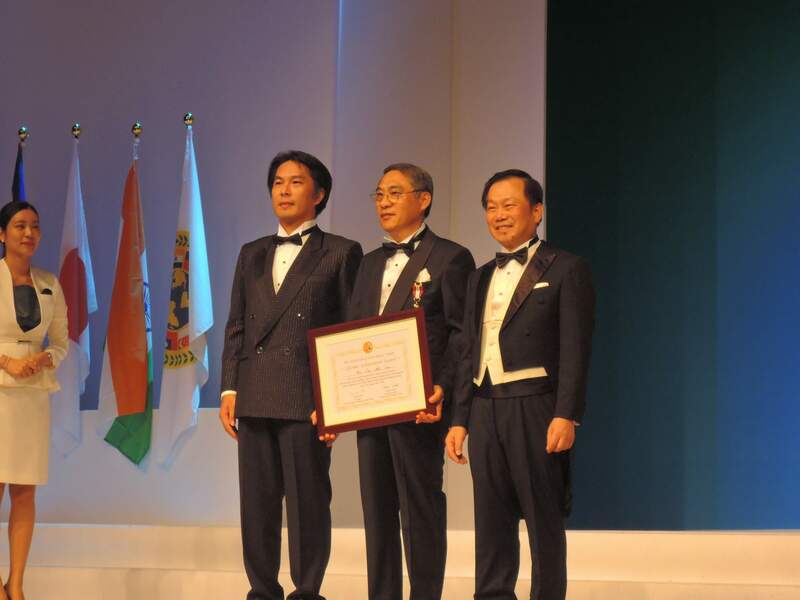 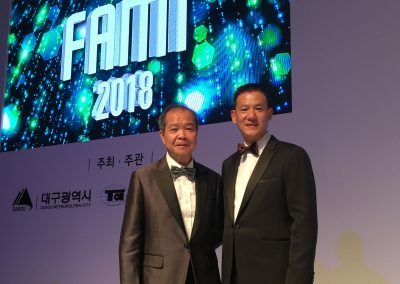 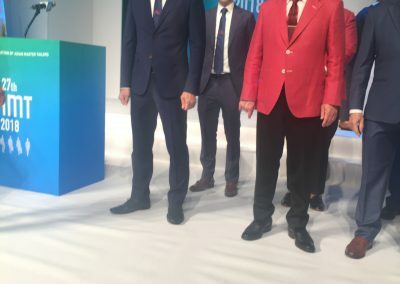 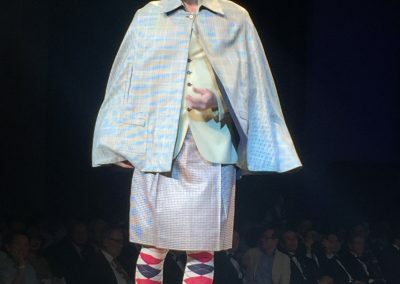 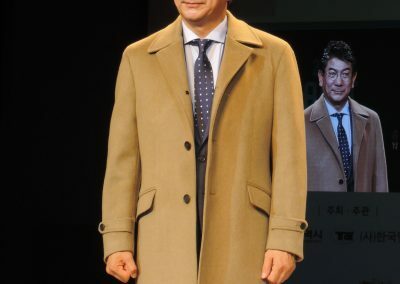 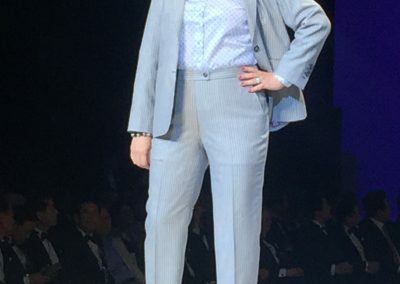 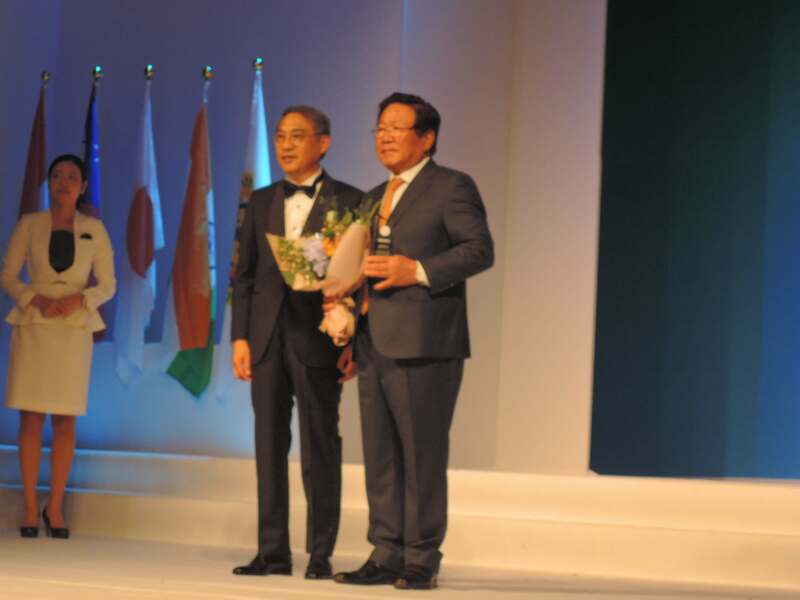 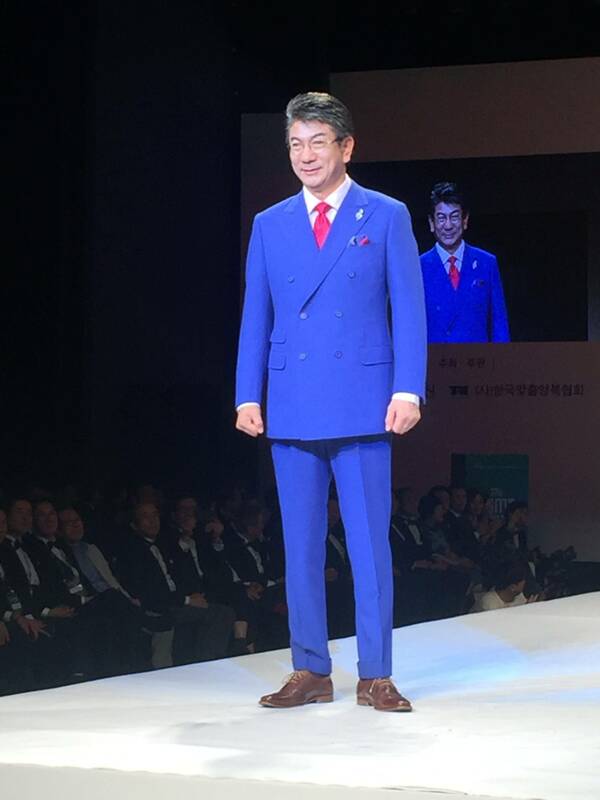 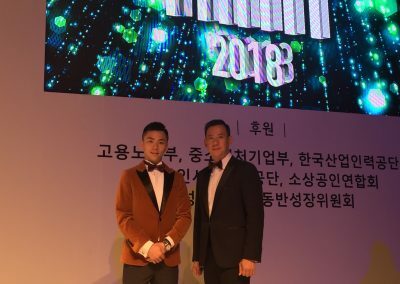 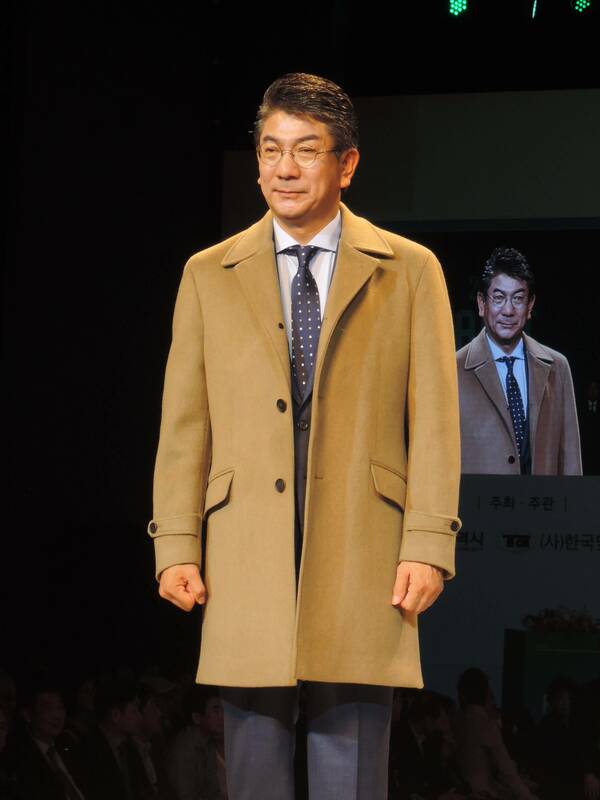 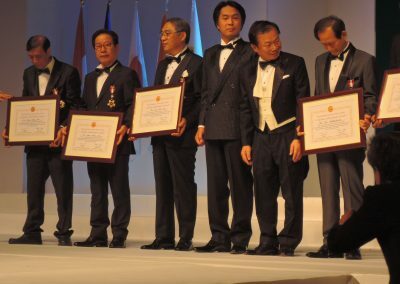 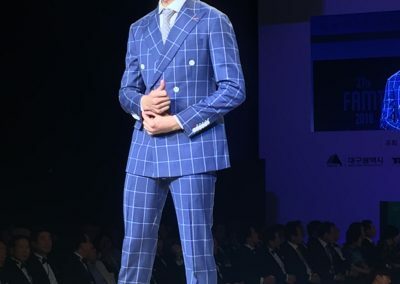 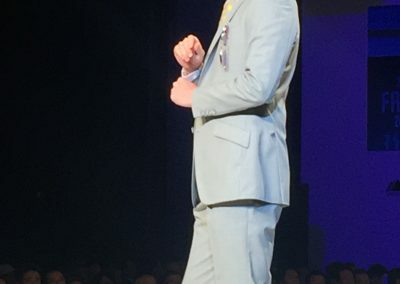 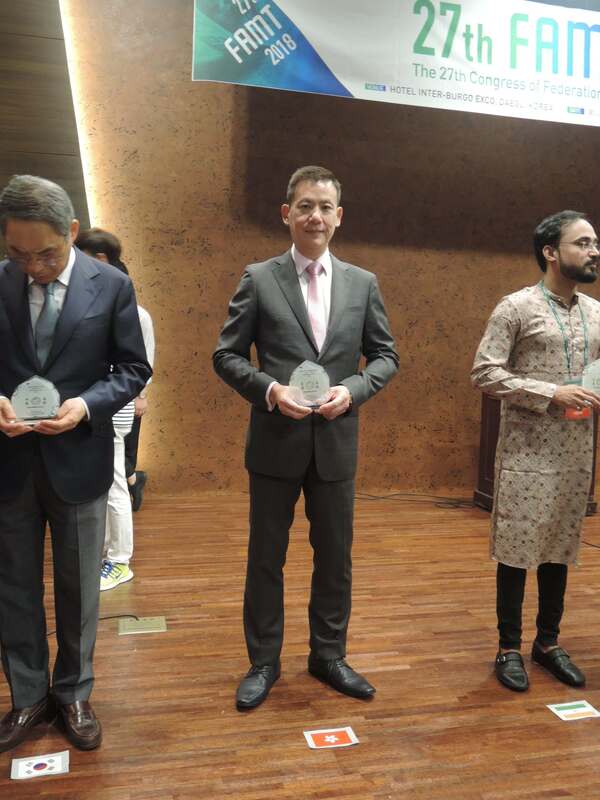 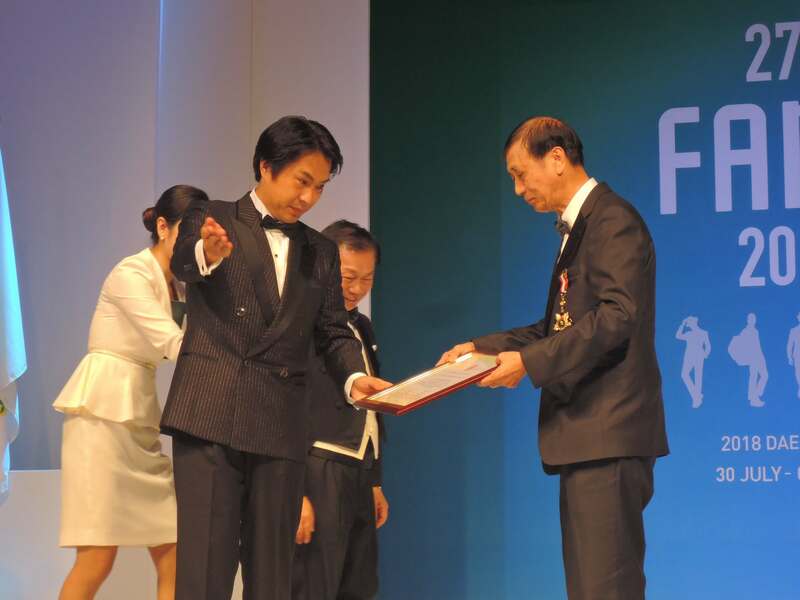 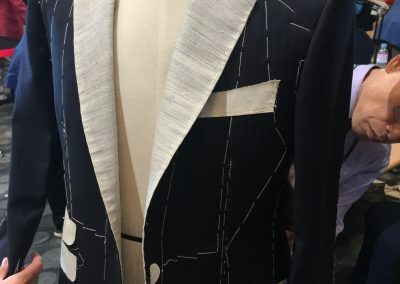 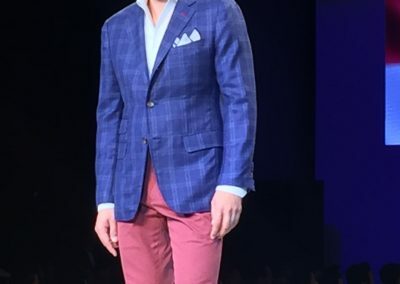 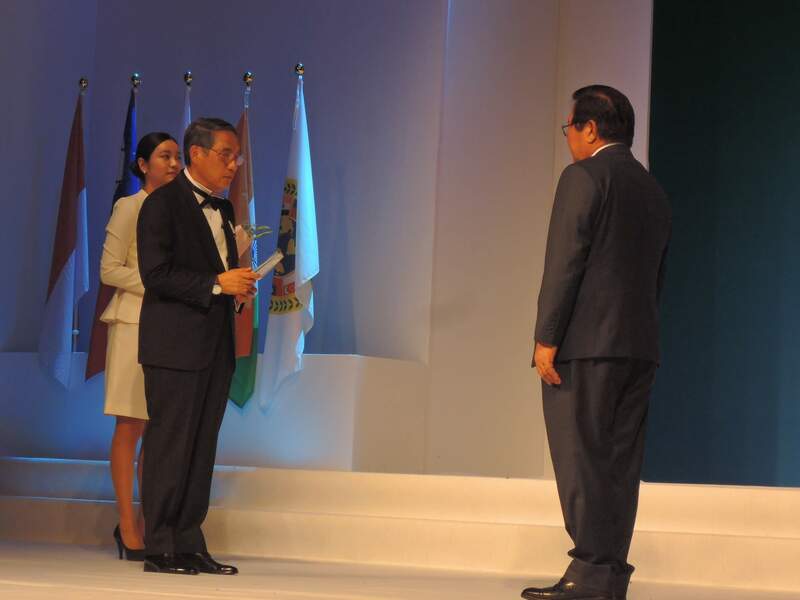 The Congress awarded the Lifetime Achievement Award to a respected tailor of each country to recognize their contribution to tailoring industry. 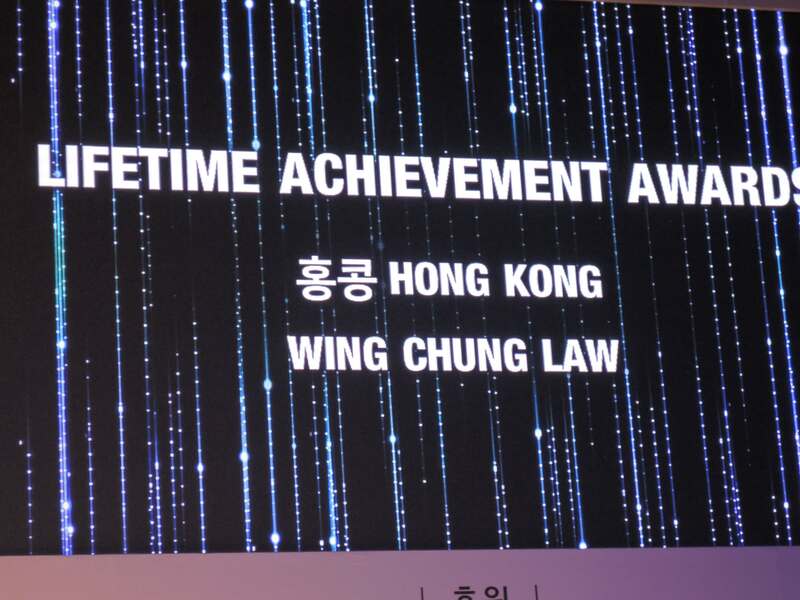 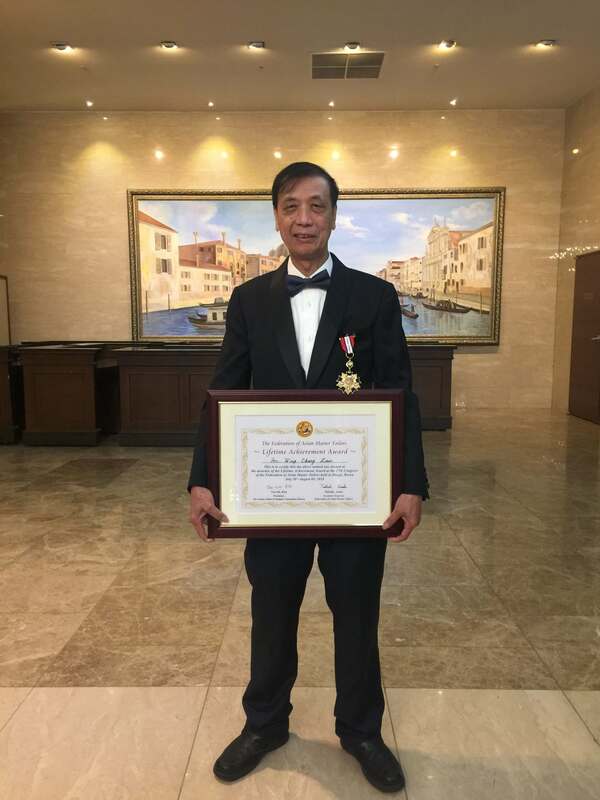 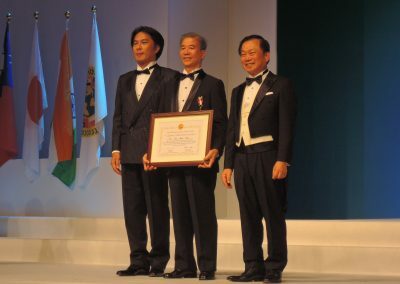 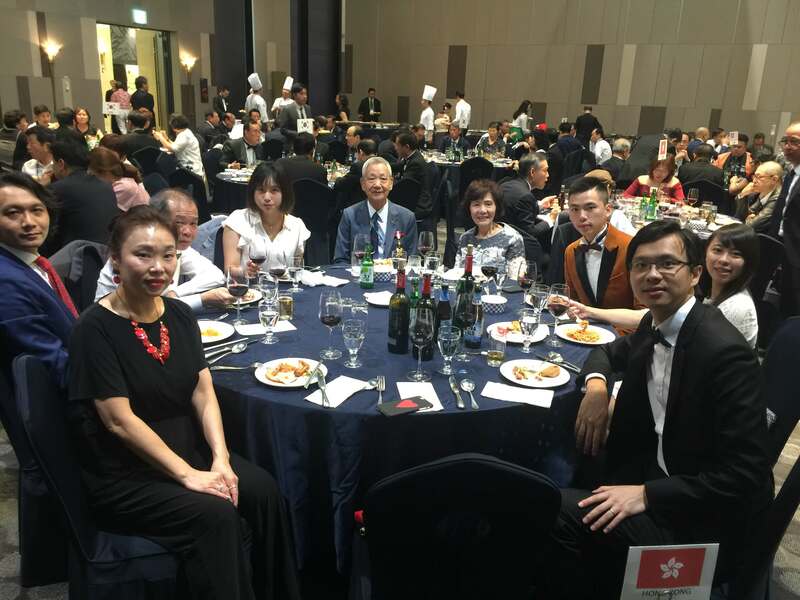 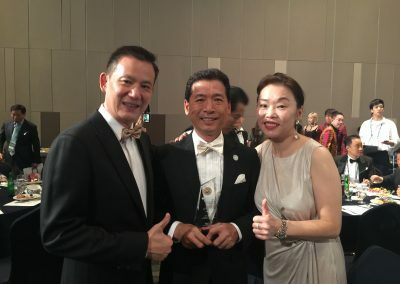 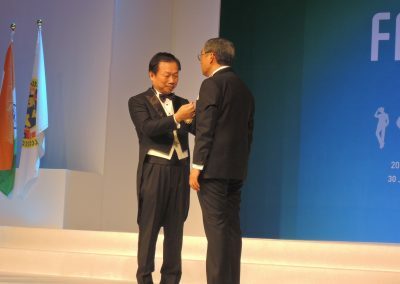 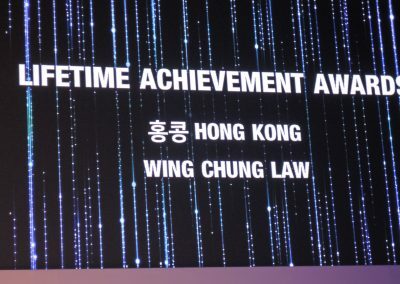 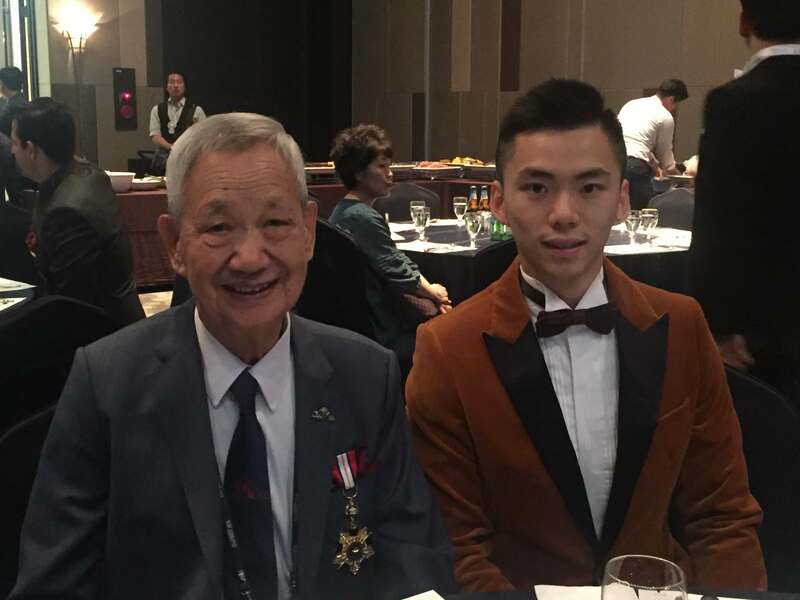 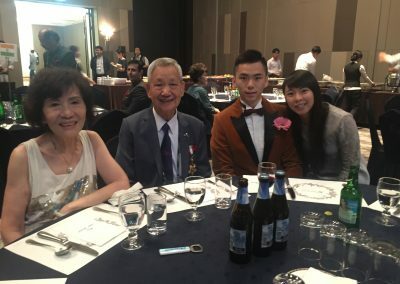 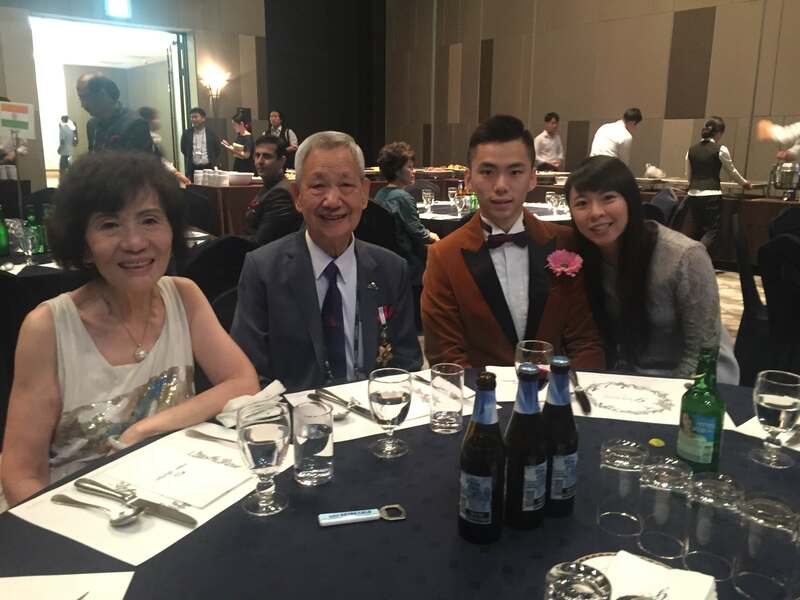 Mr. Lau Wing Cheong , Treasurer of Hong Kong Tailors Association was honored to be awarded the Lifetime Achievement Award. 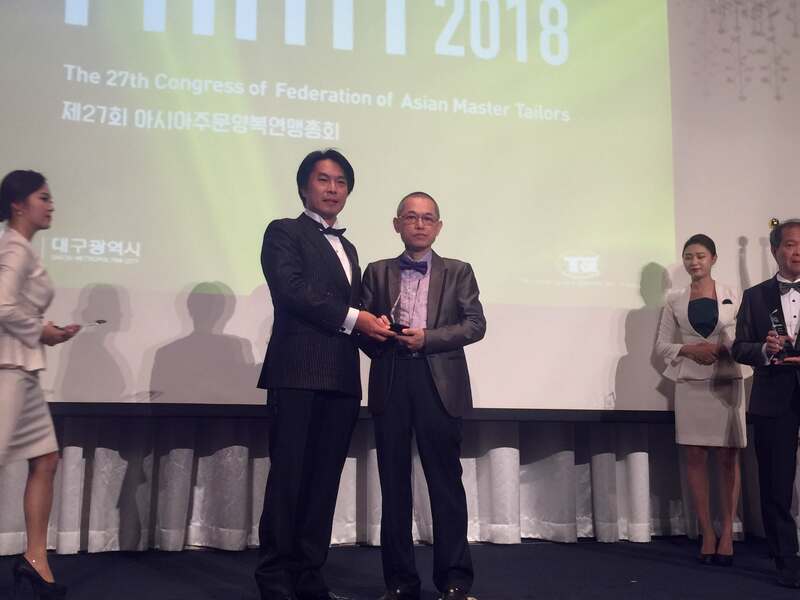 Mr. Law has served our Association for many years and has contributed a lot to tailoring industry and he was deserved to this award. 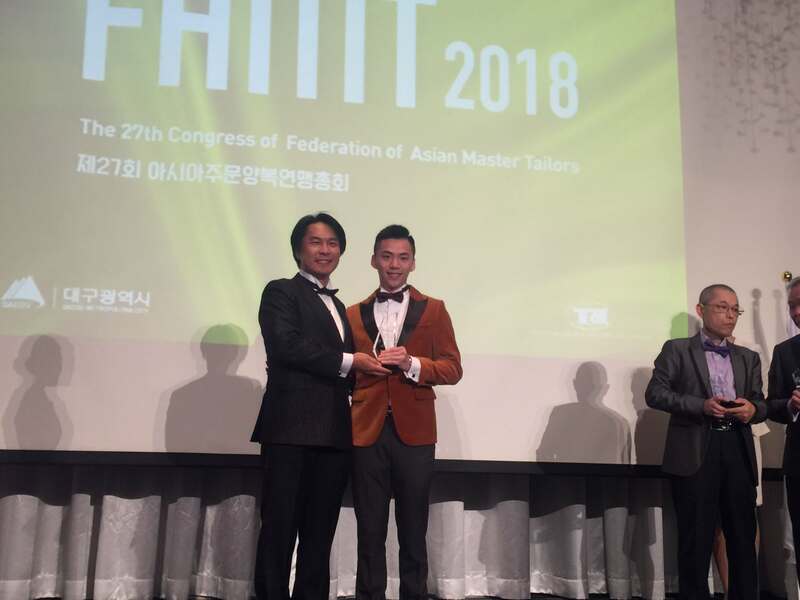 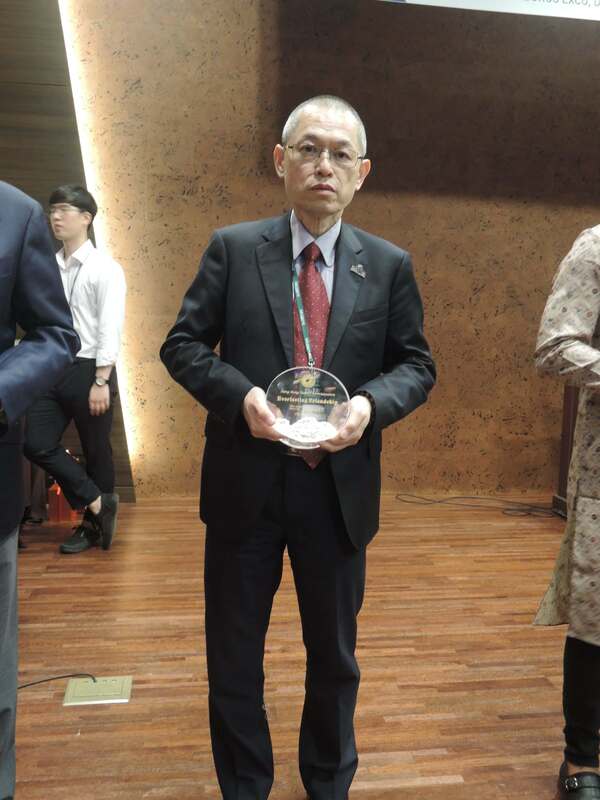 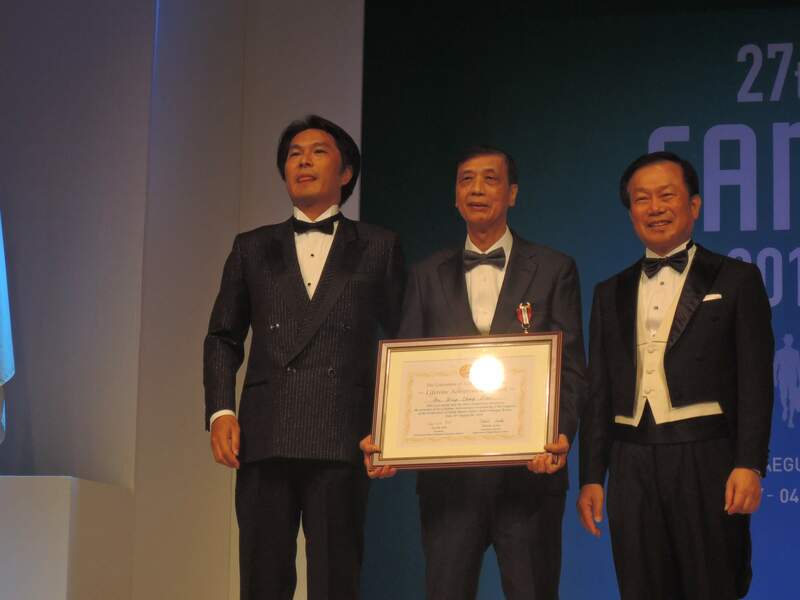 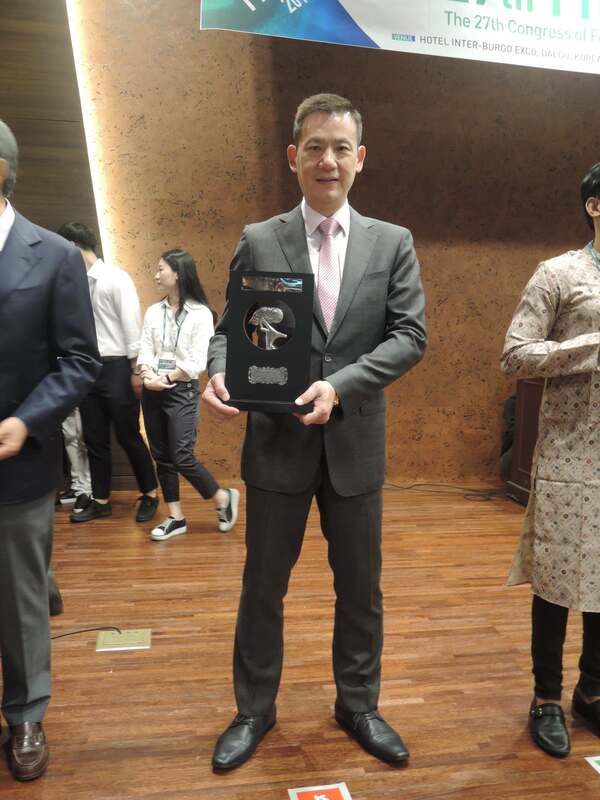 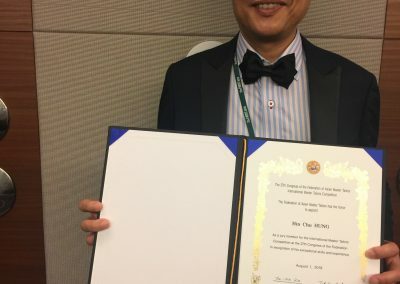 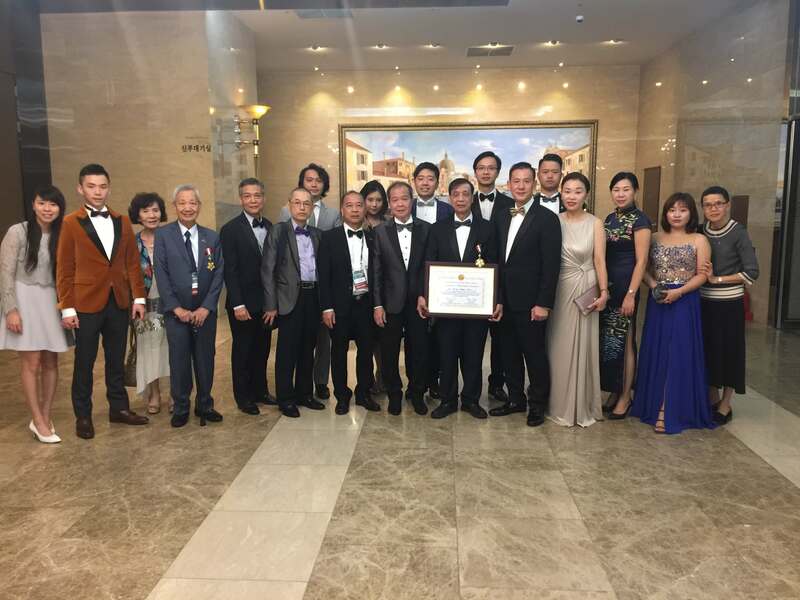 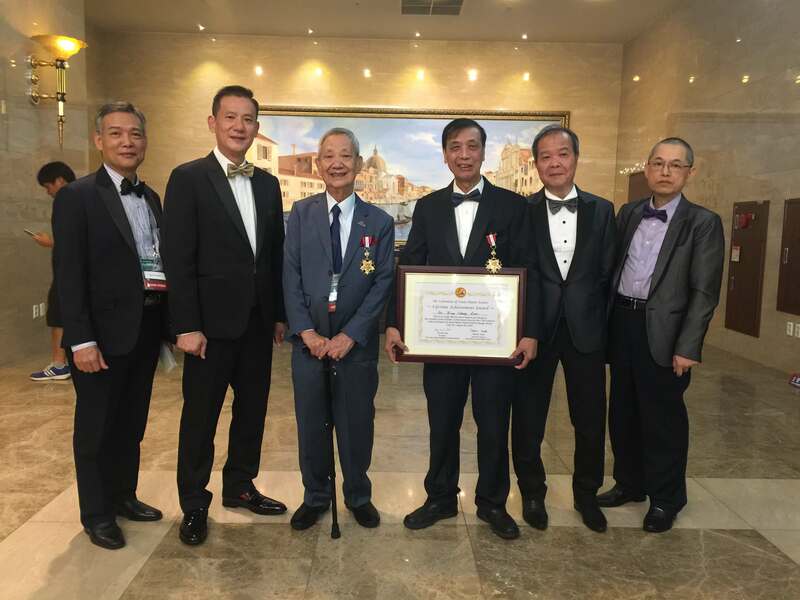 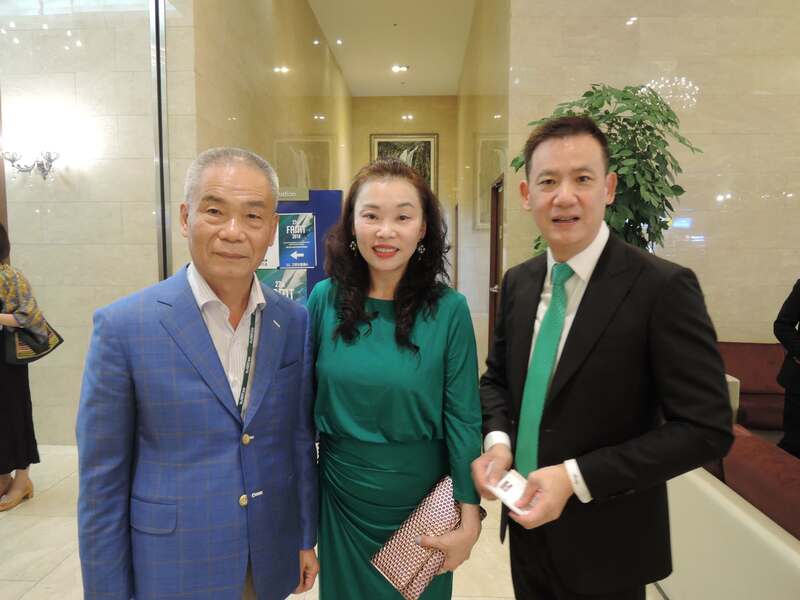 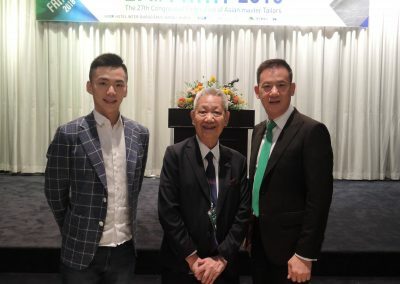 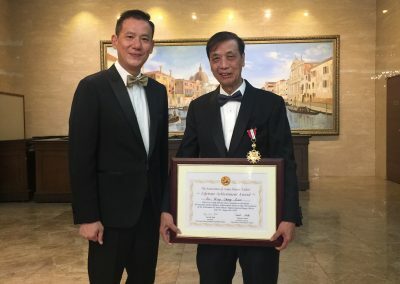 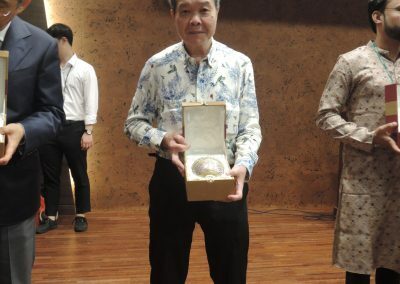 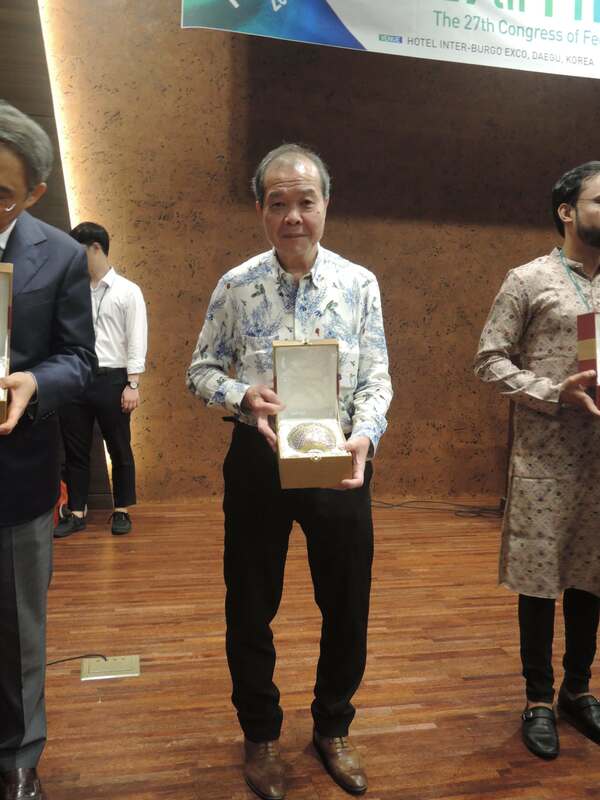 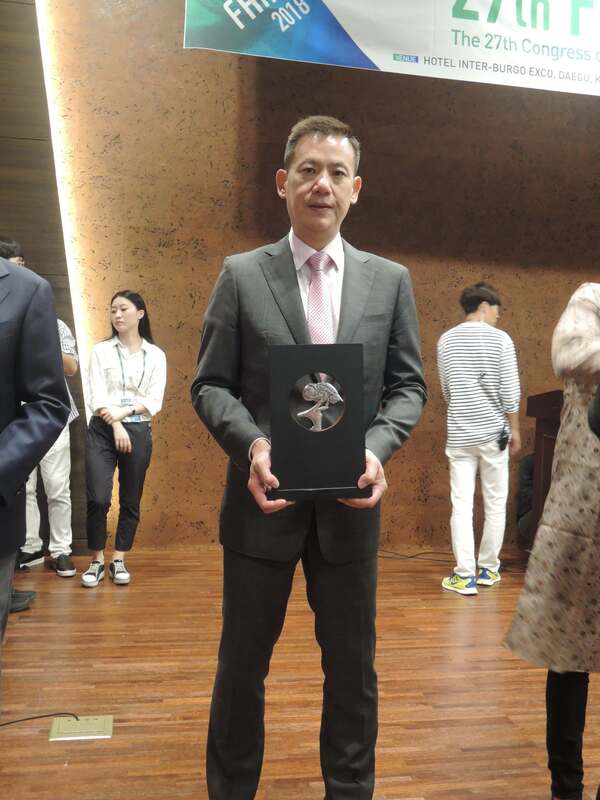 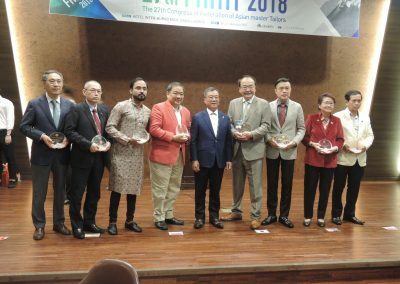 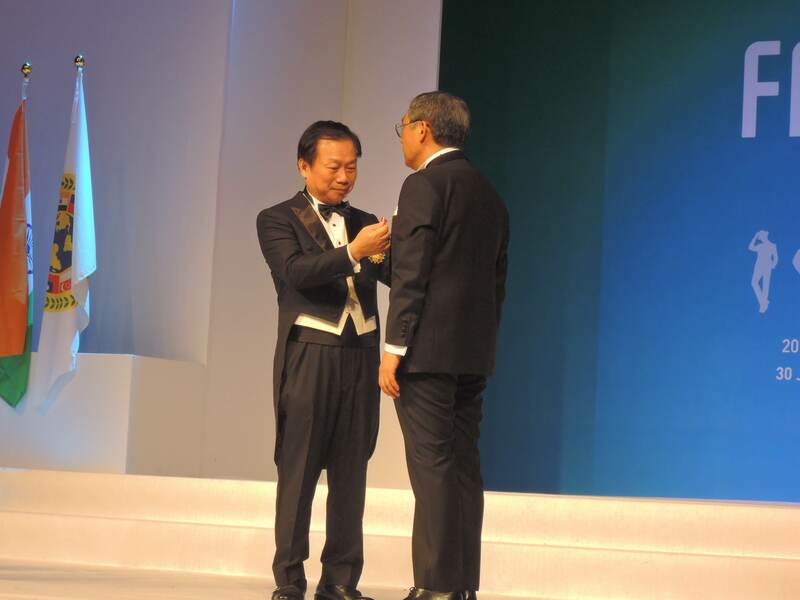 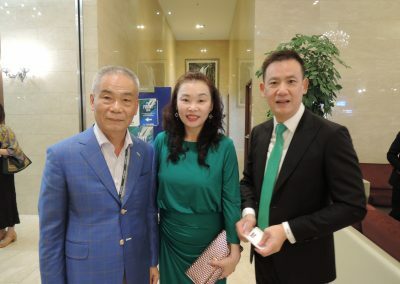 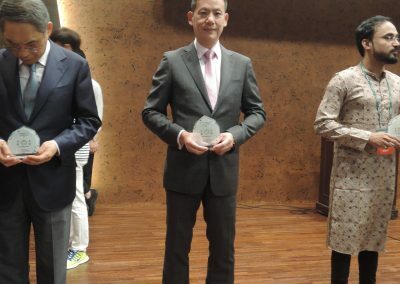 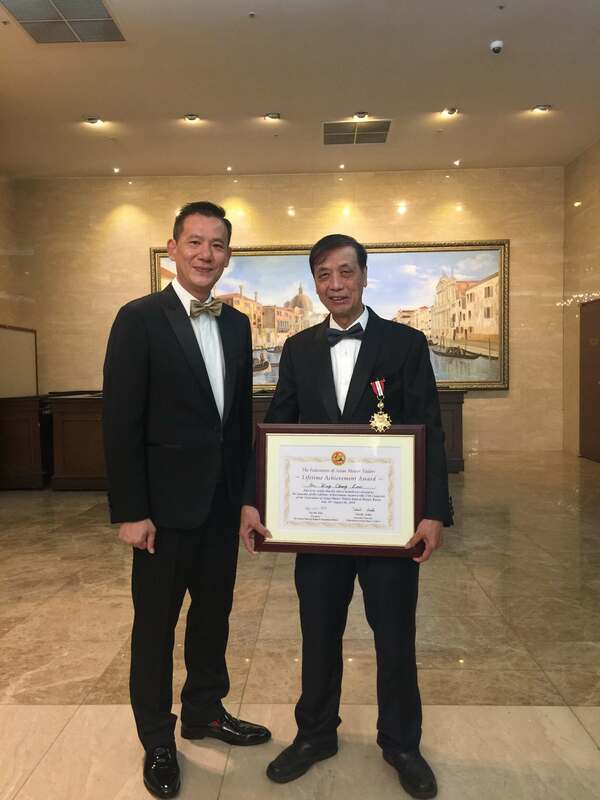 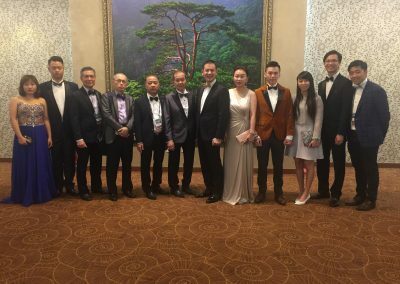 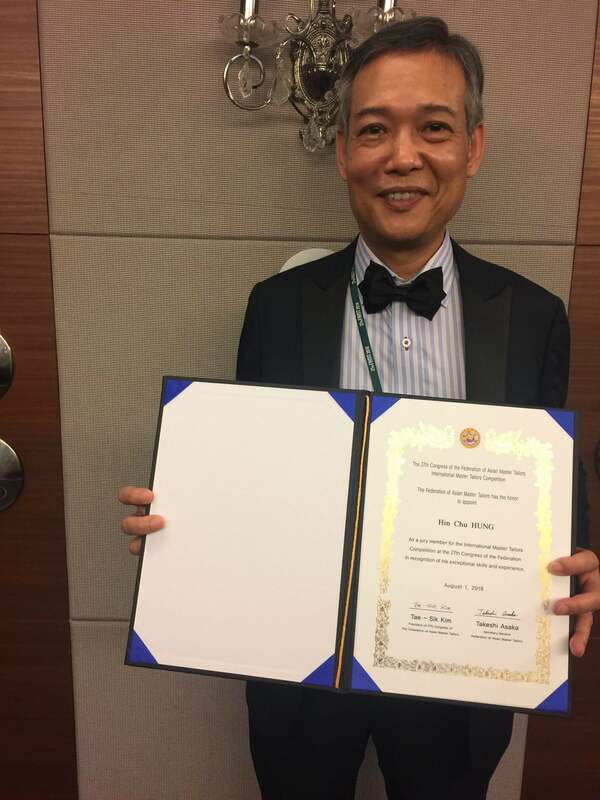 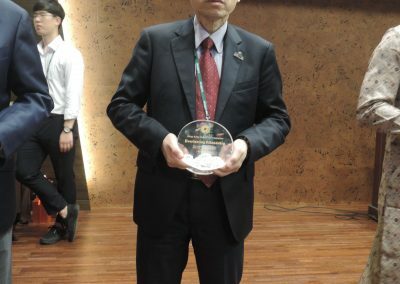 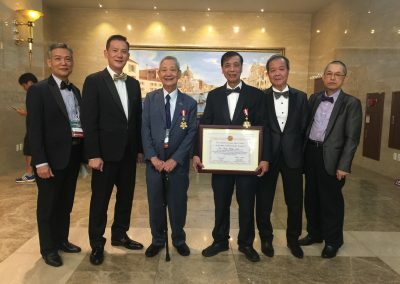 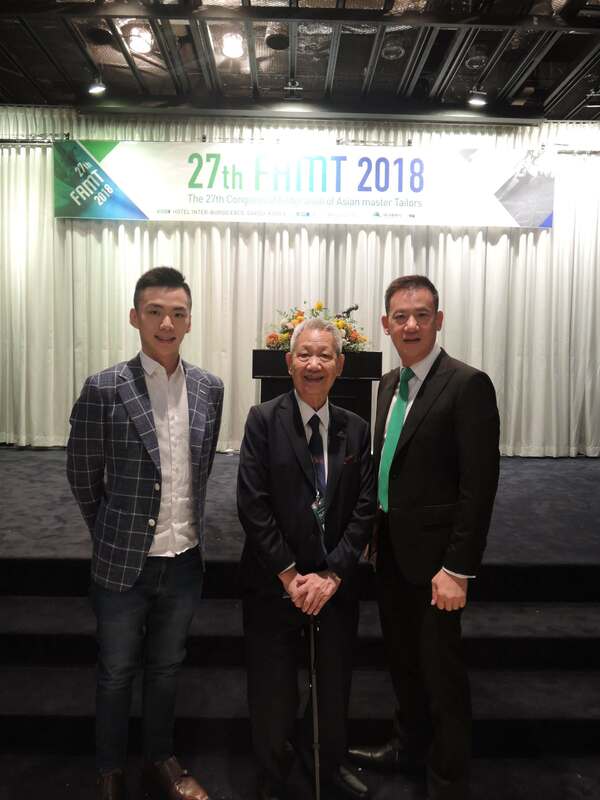 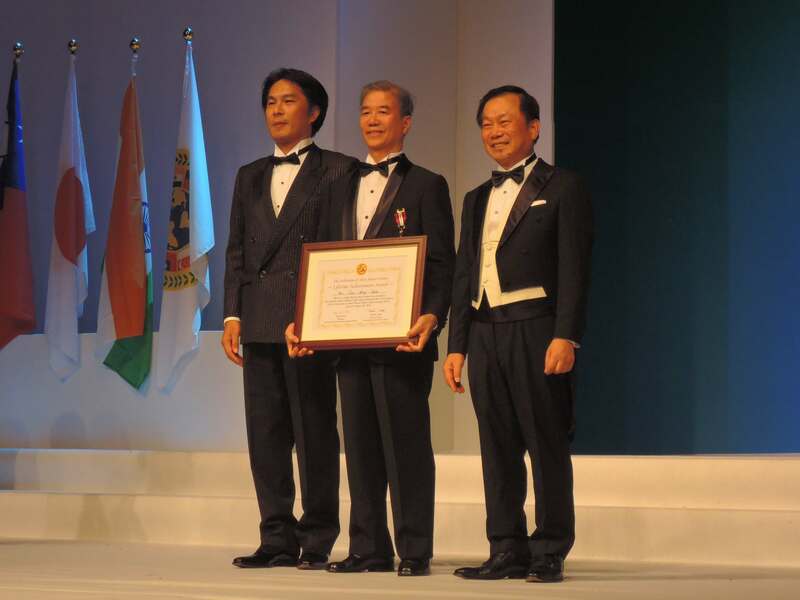 The Congress also awarded the Merit Award Gold to Mr. Cheng, Kam Fong Soddy (Vice Chairman of HKTA) and Silver to Mr. Tsang, Hing Pui (Vice Chairman of HKTA) and Mr. Chan, Hayman (Committee of HKTA), to recognize their efforts and achievements in the tailoring industry. 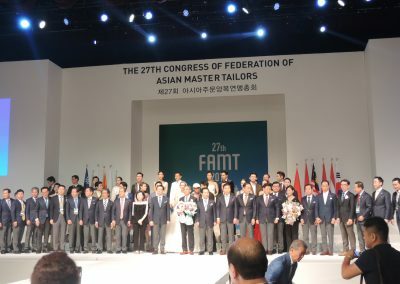 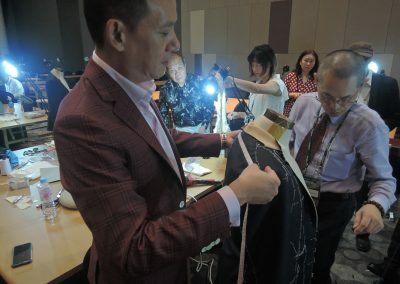 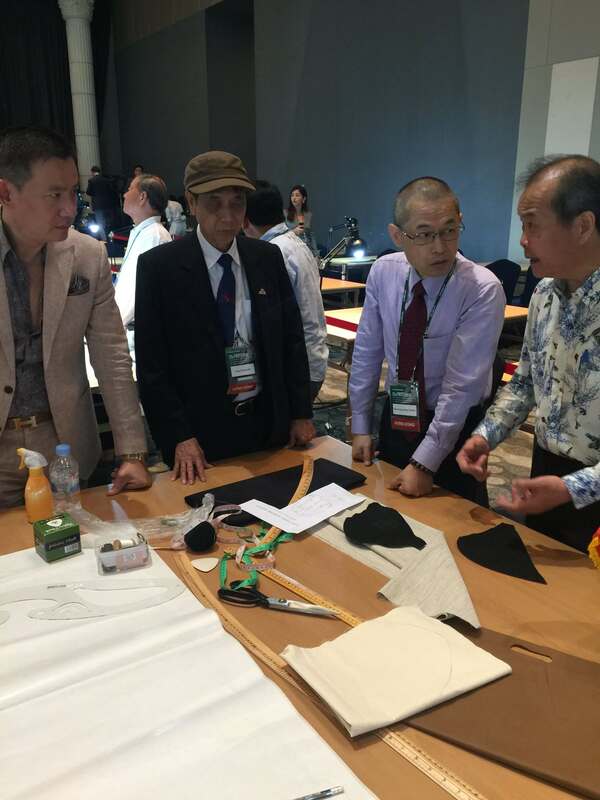 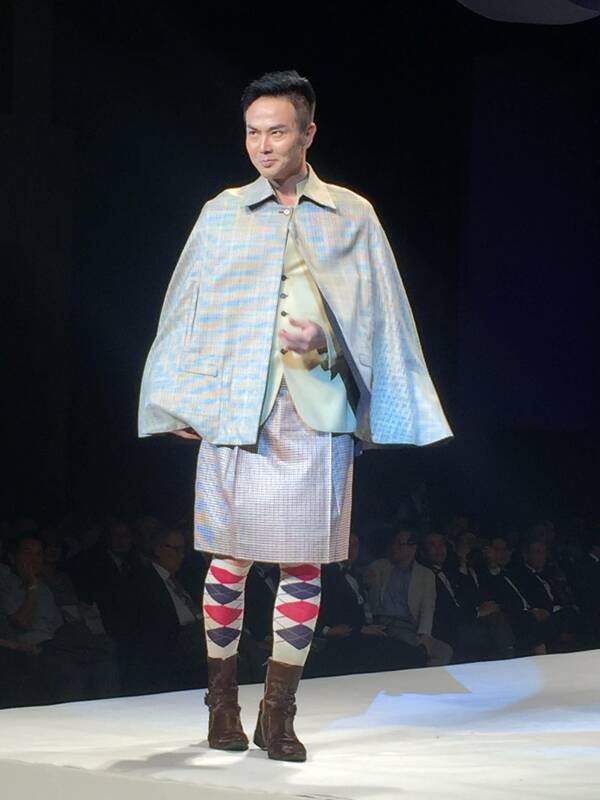 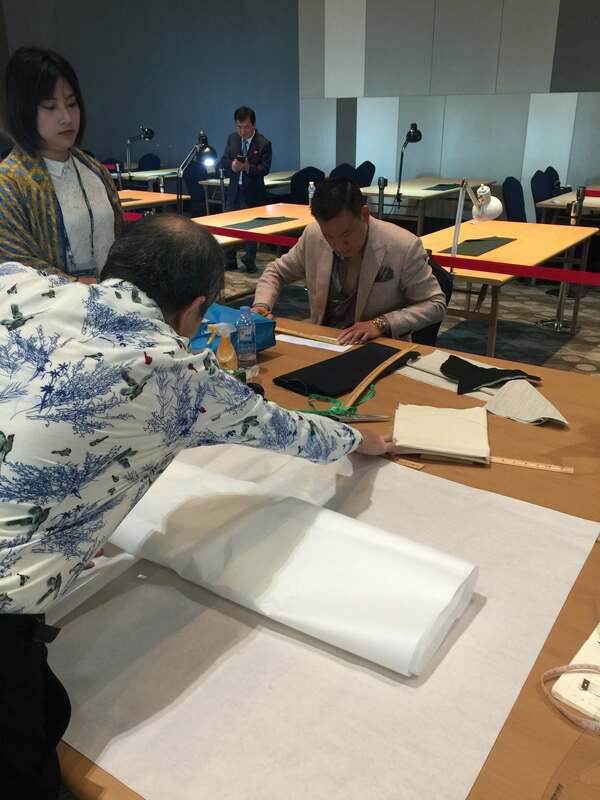 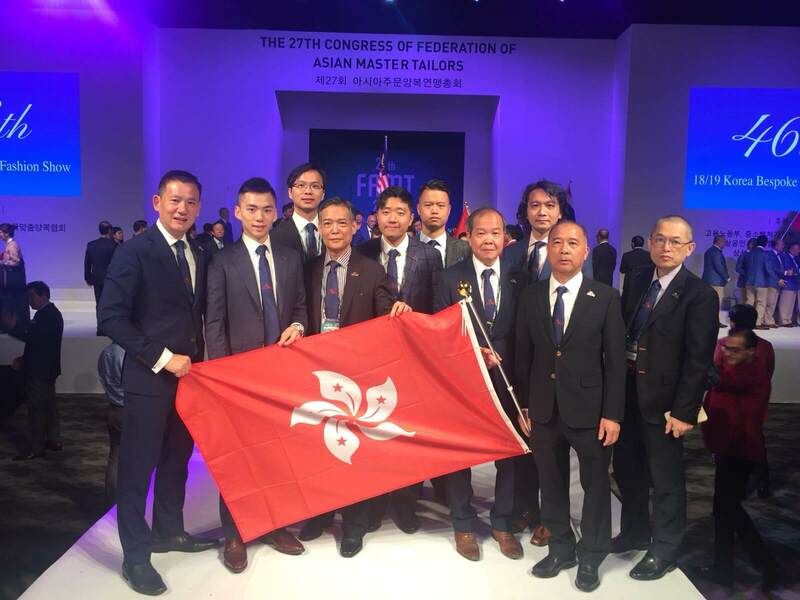 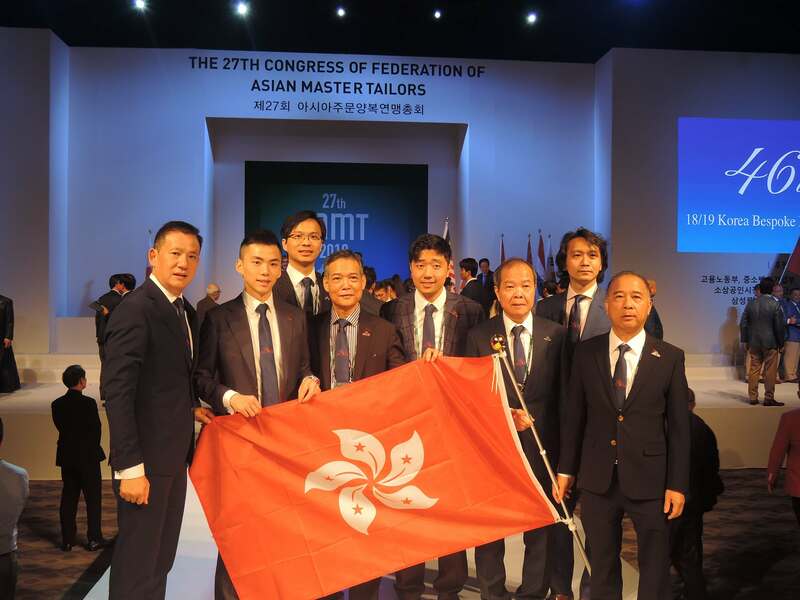 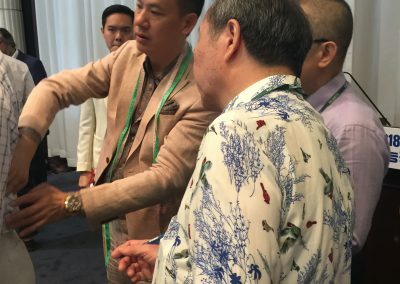 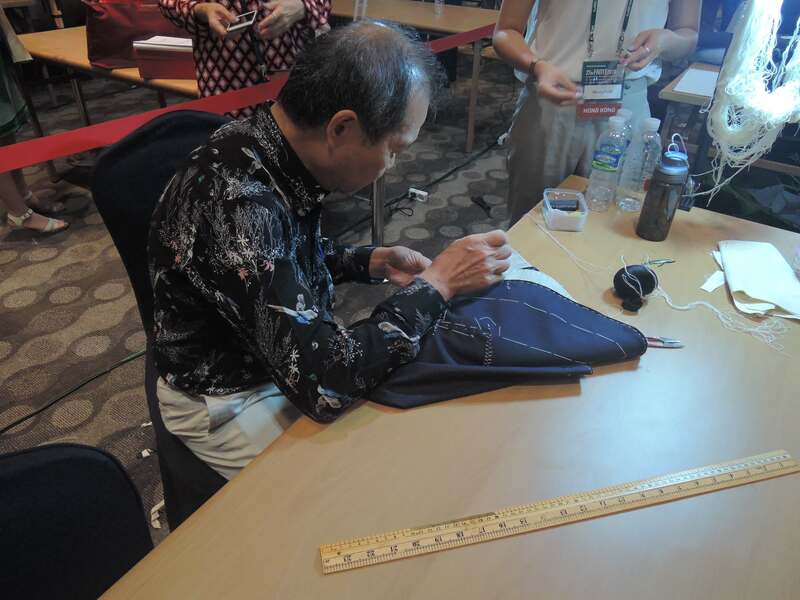 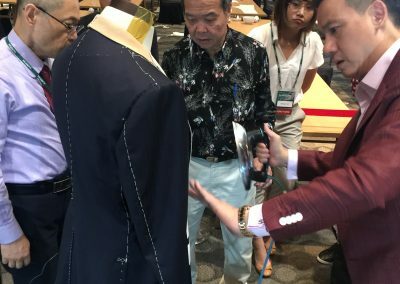 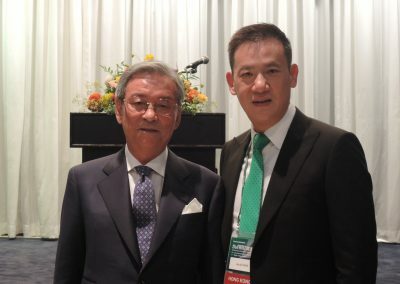 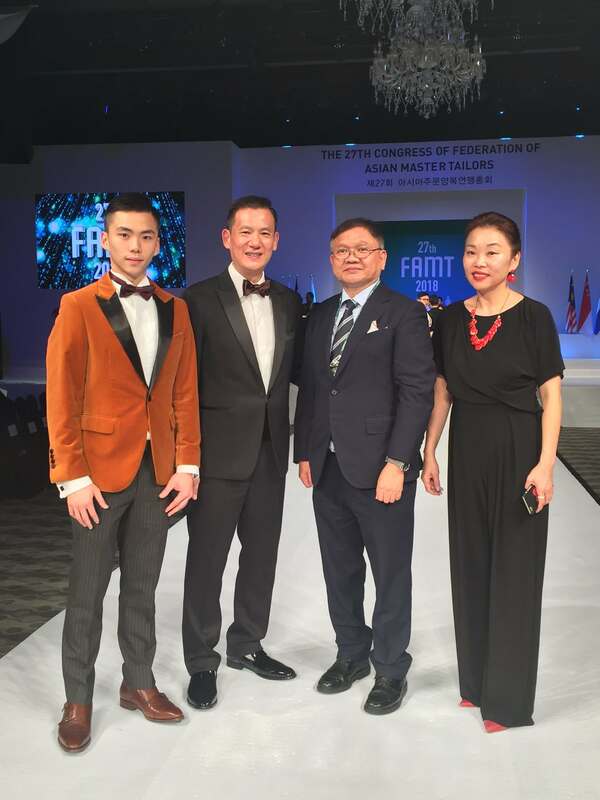 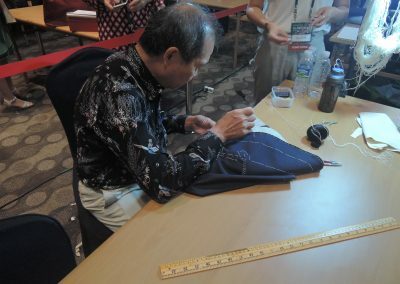 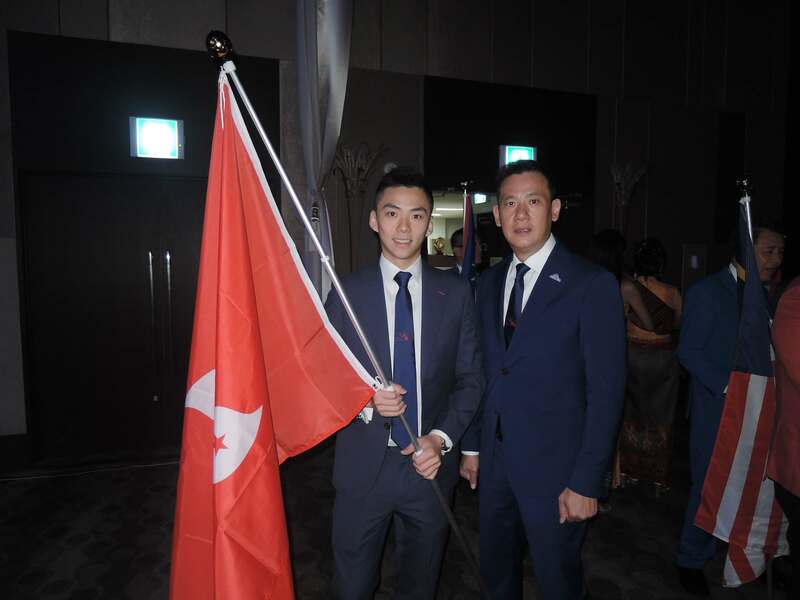 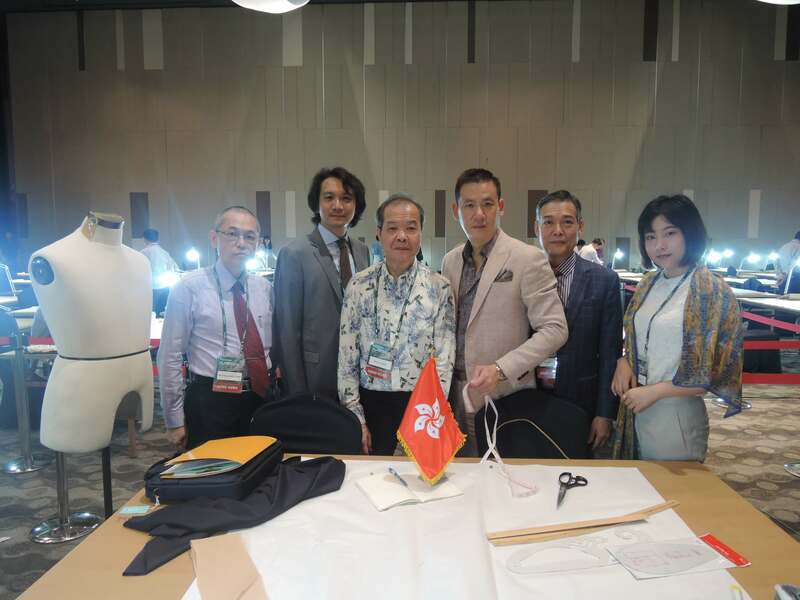 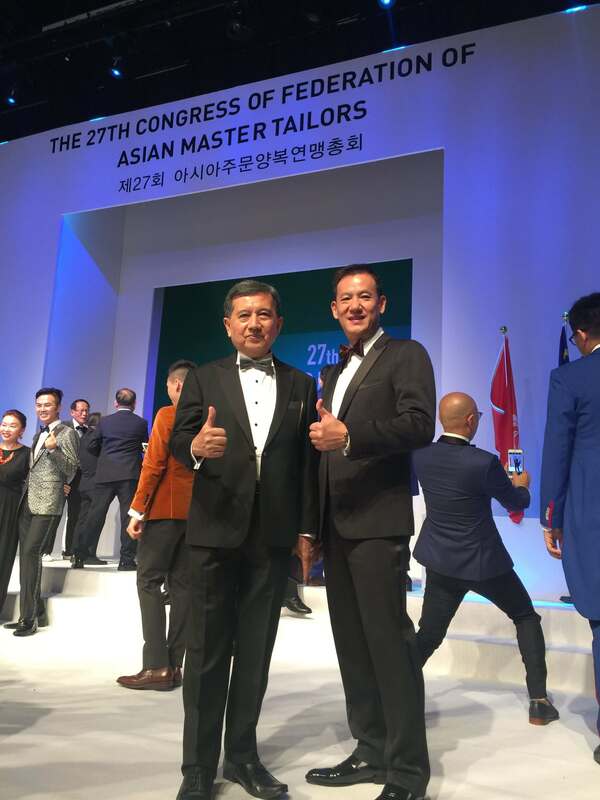 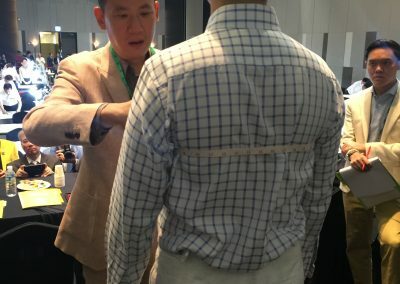 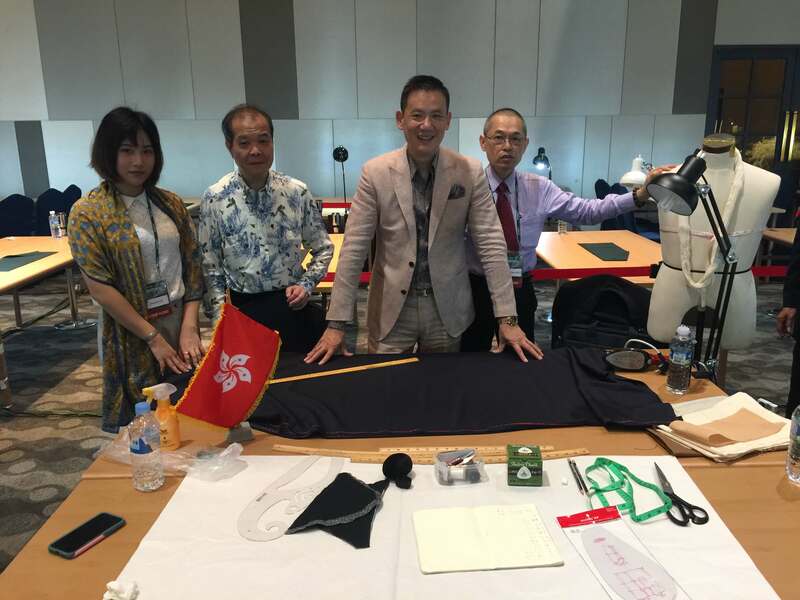 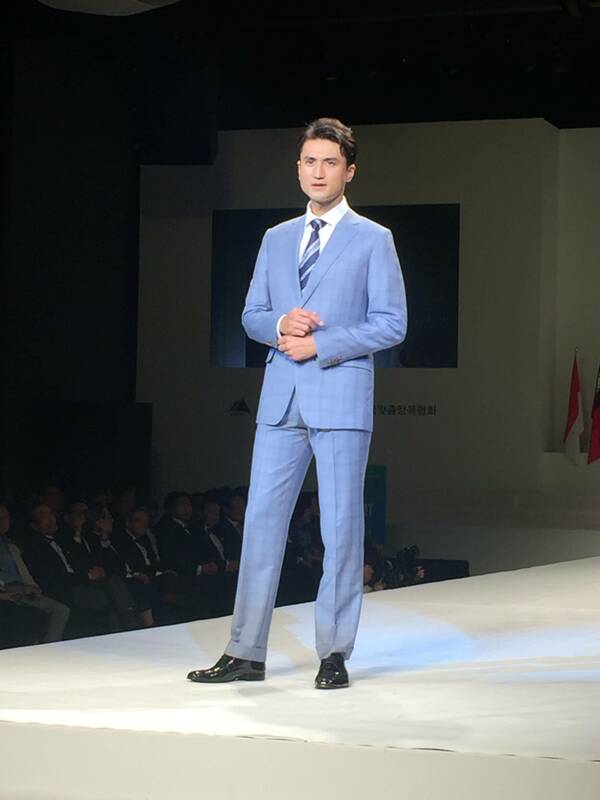 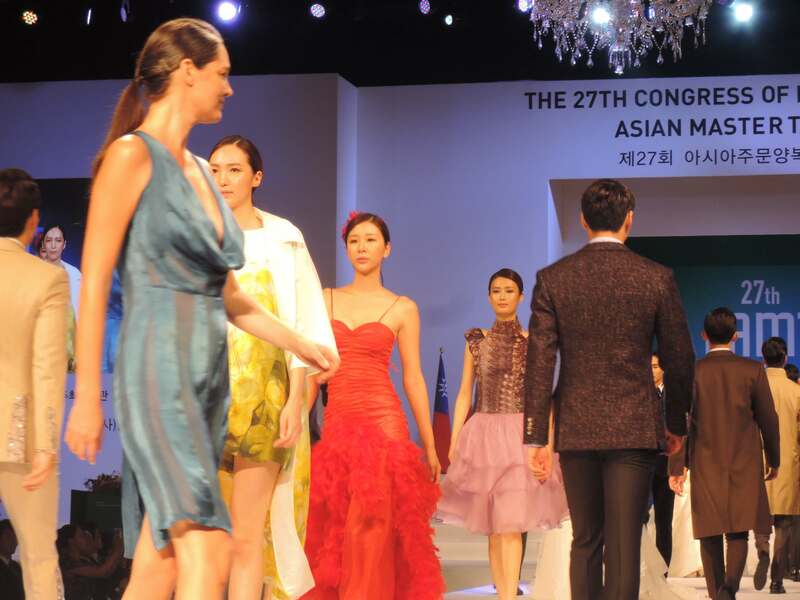 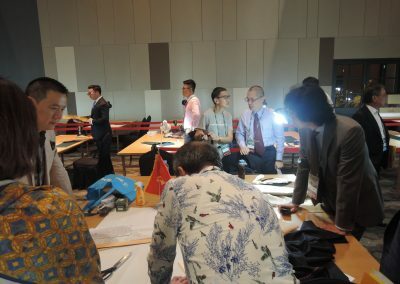 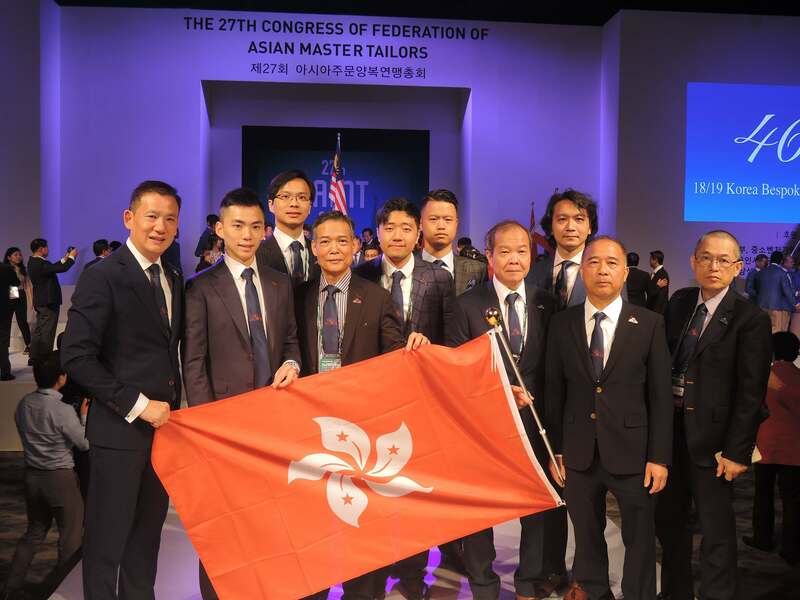 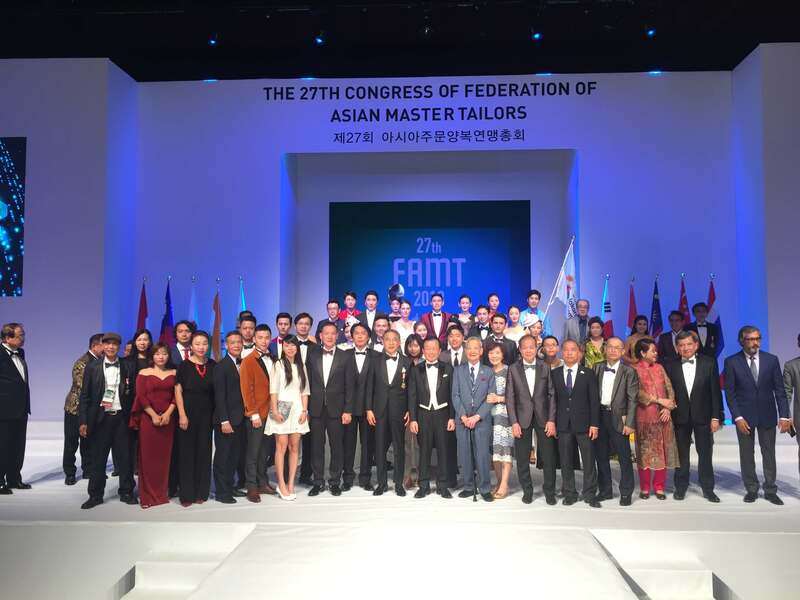 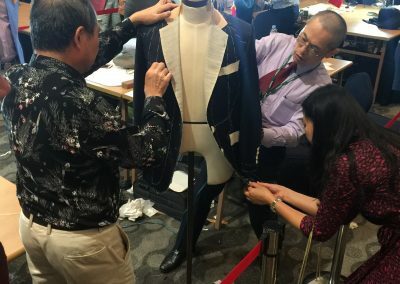 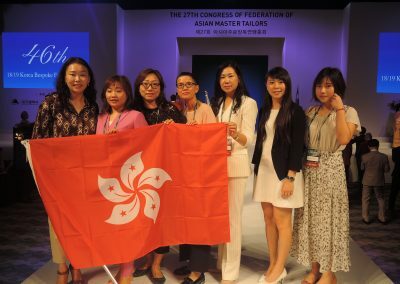 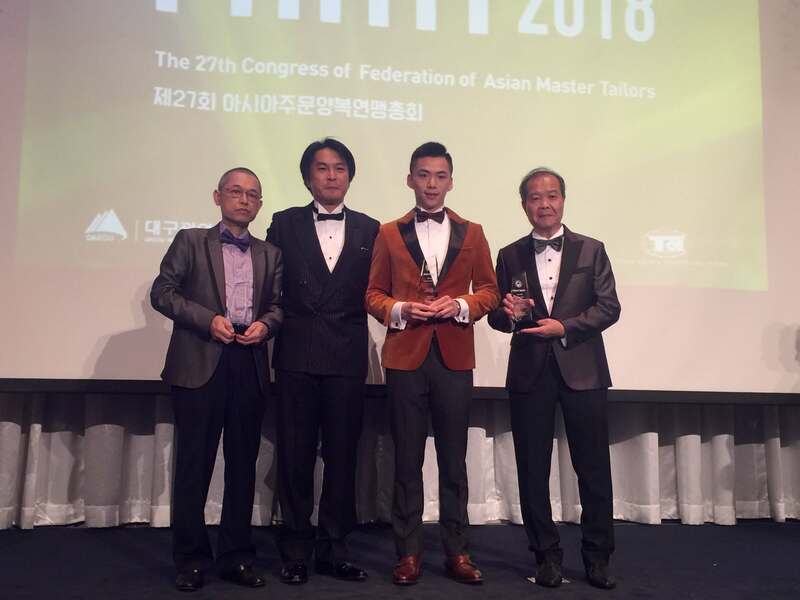 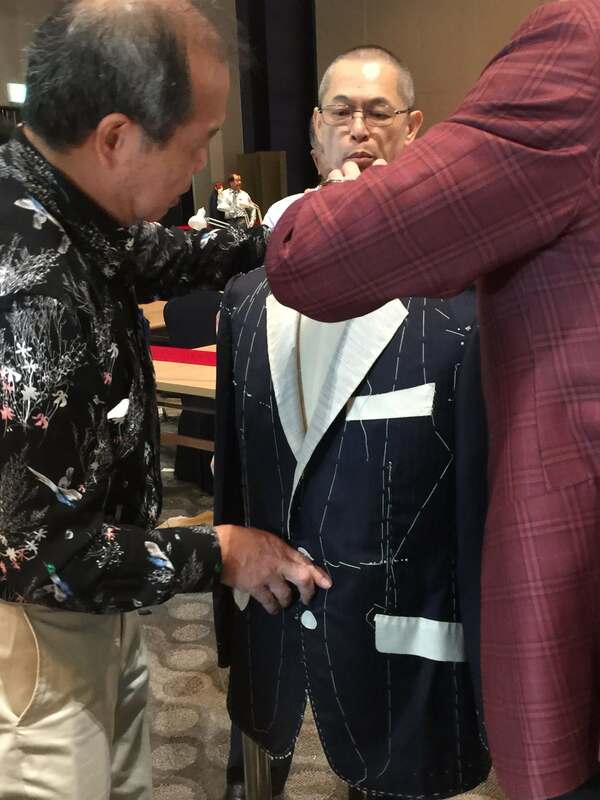 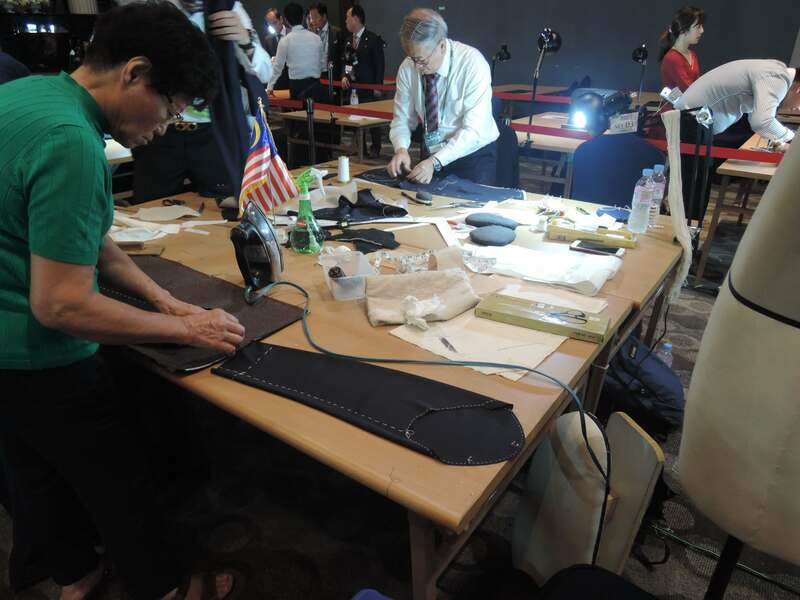 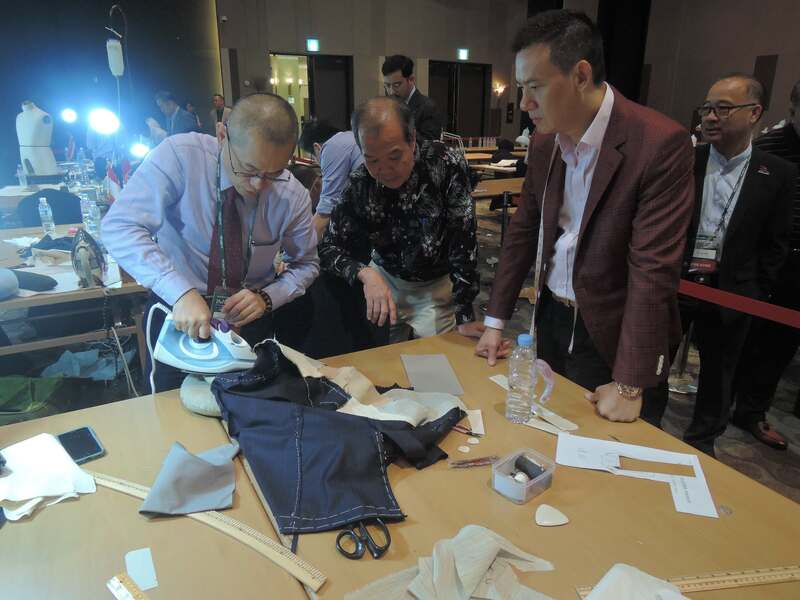 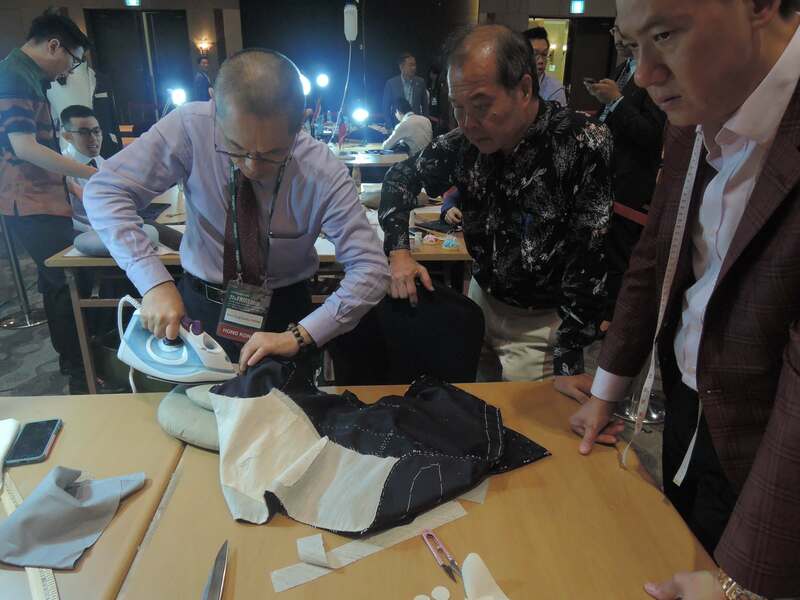 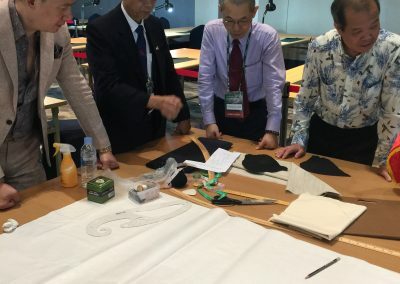 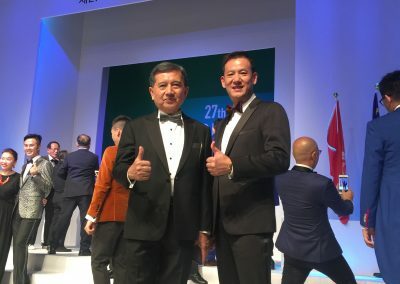 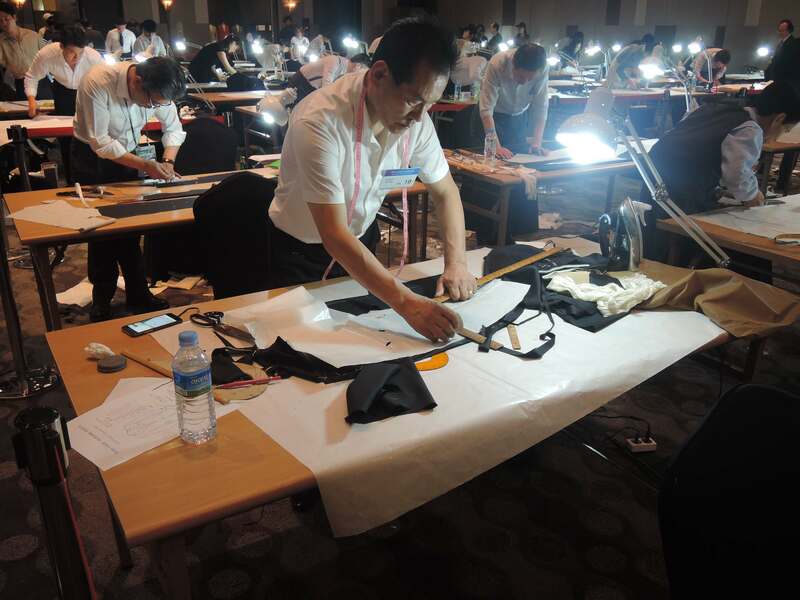 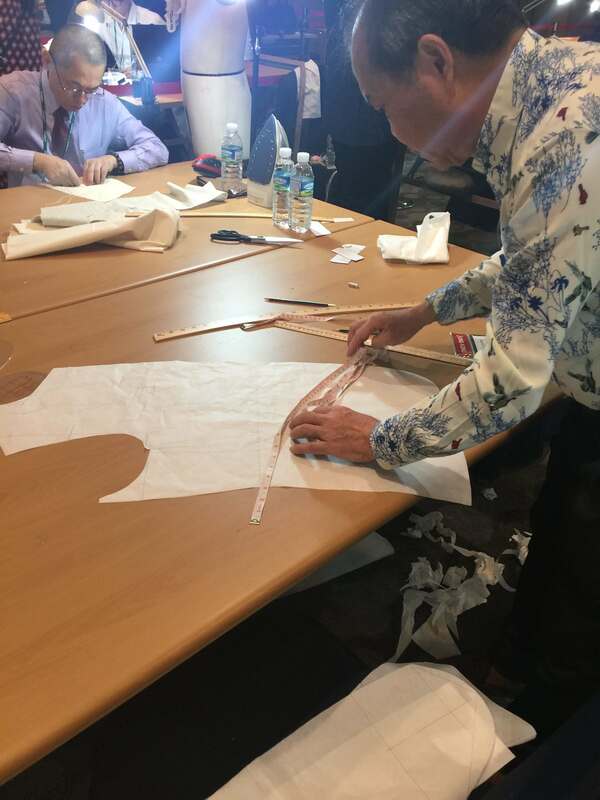 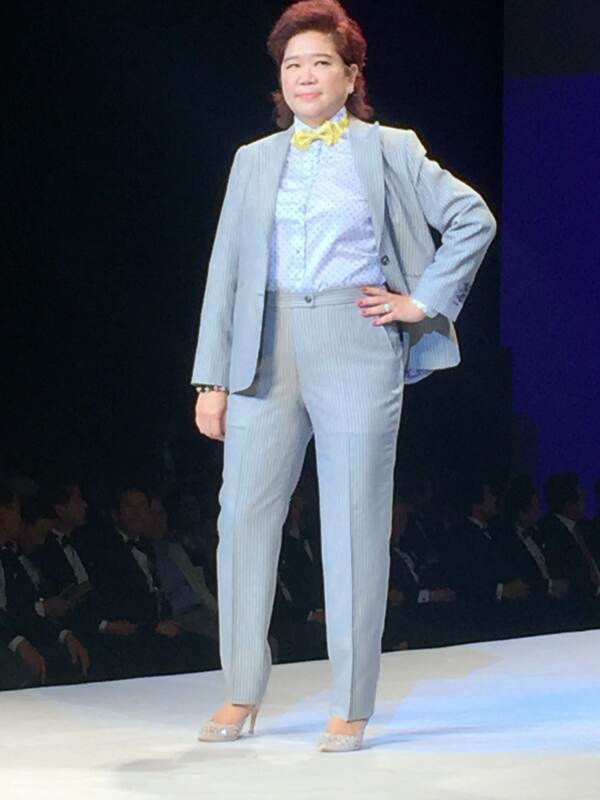 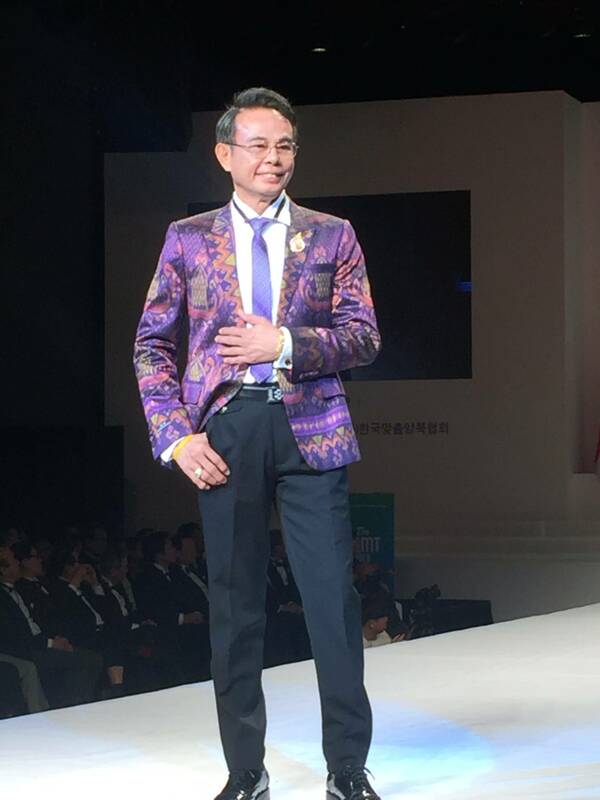 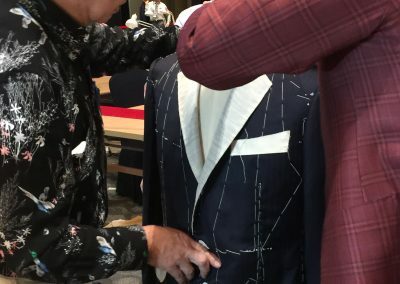 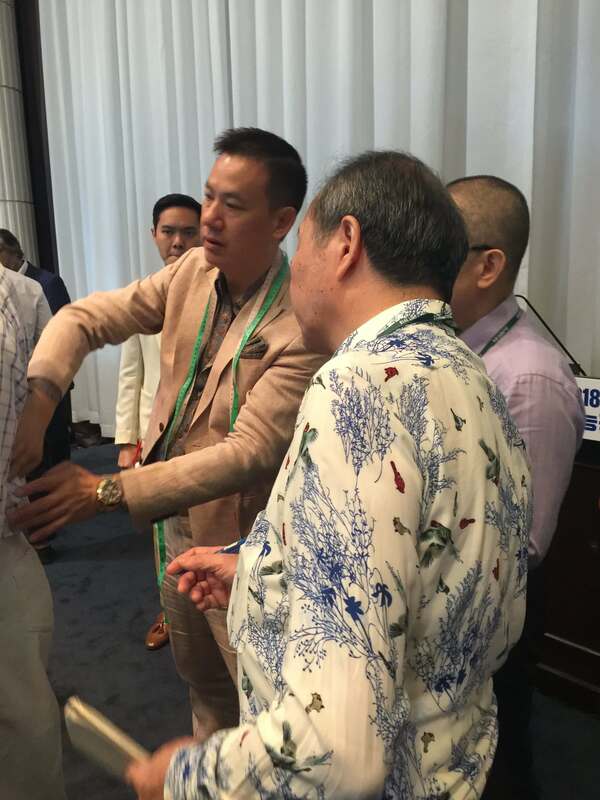 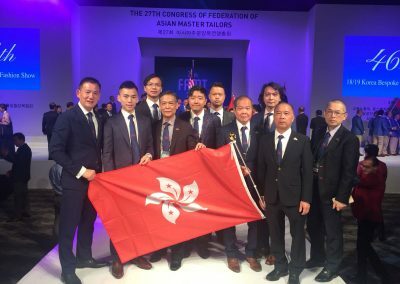 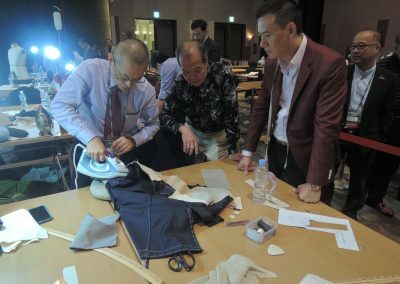 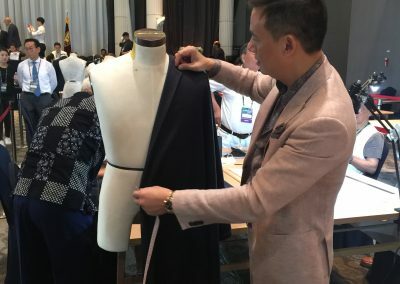 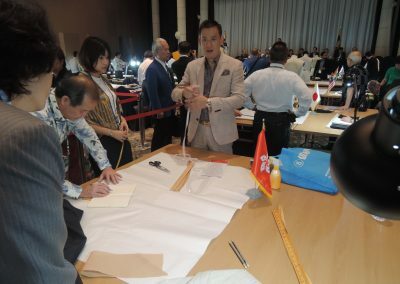 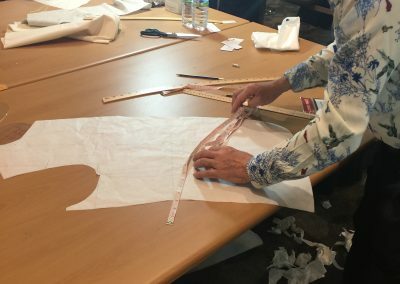 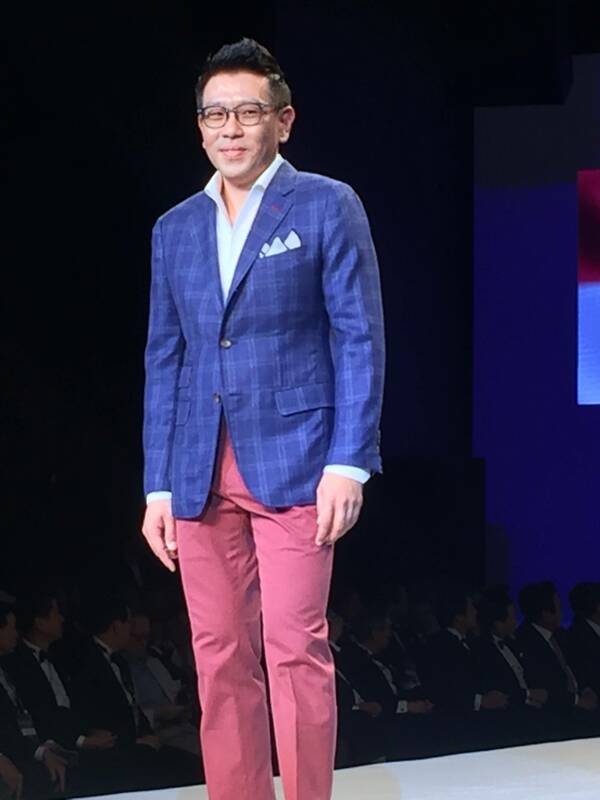 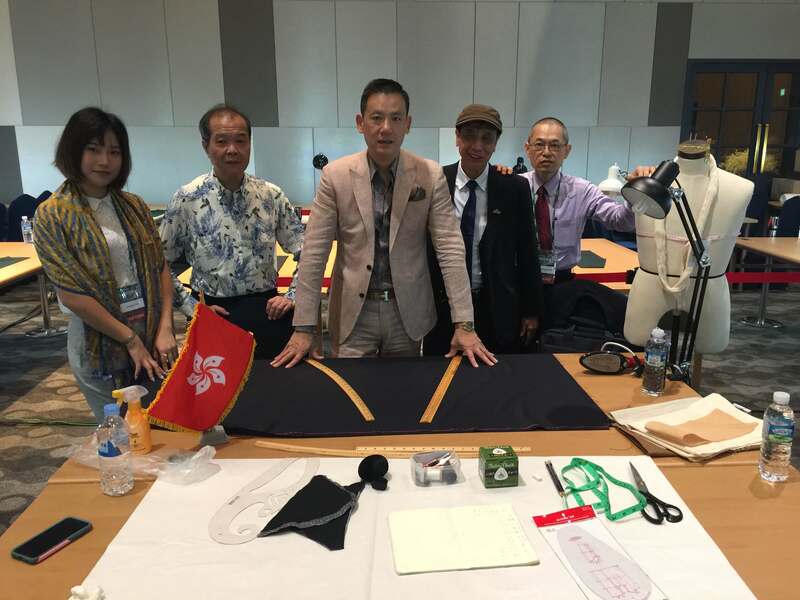 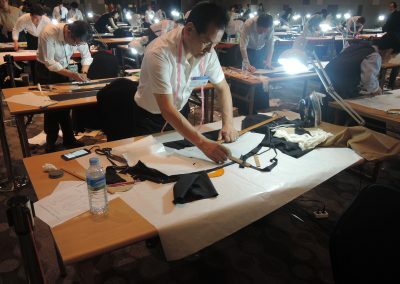 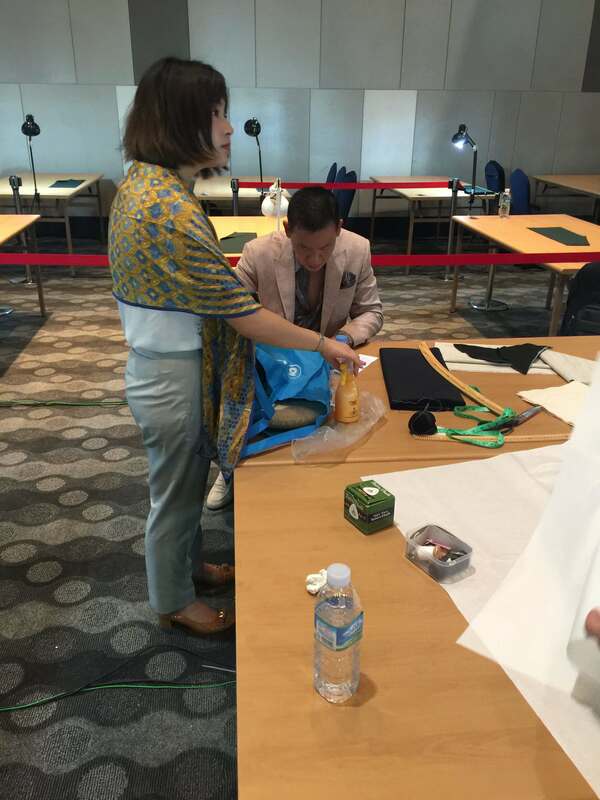 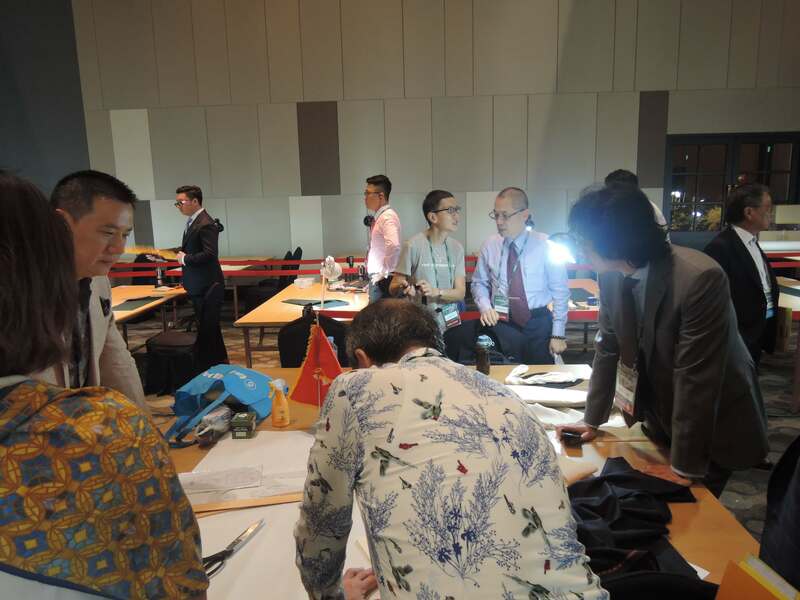 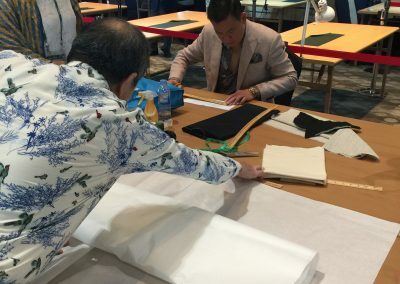 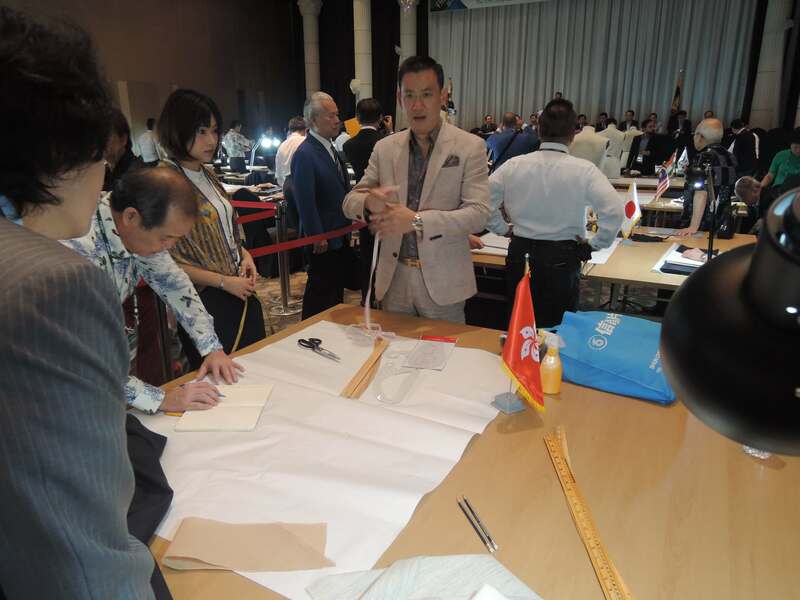 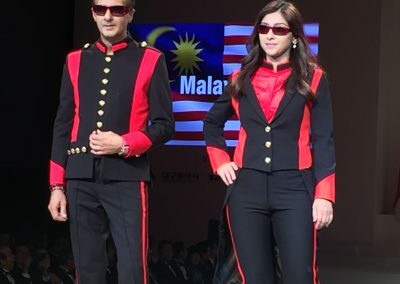 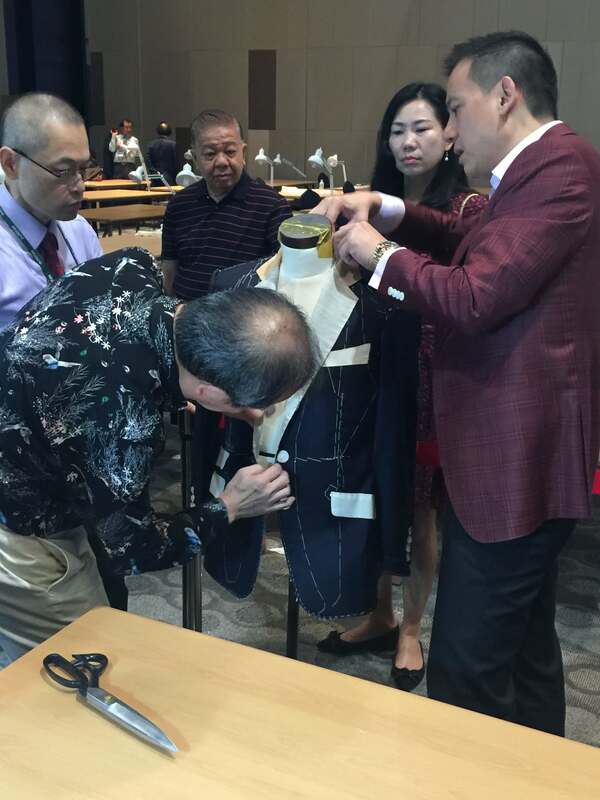 The next 29th Congress of Federation of Asian Master Tailors will be held in Malaysia 2020. 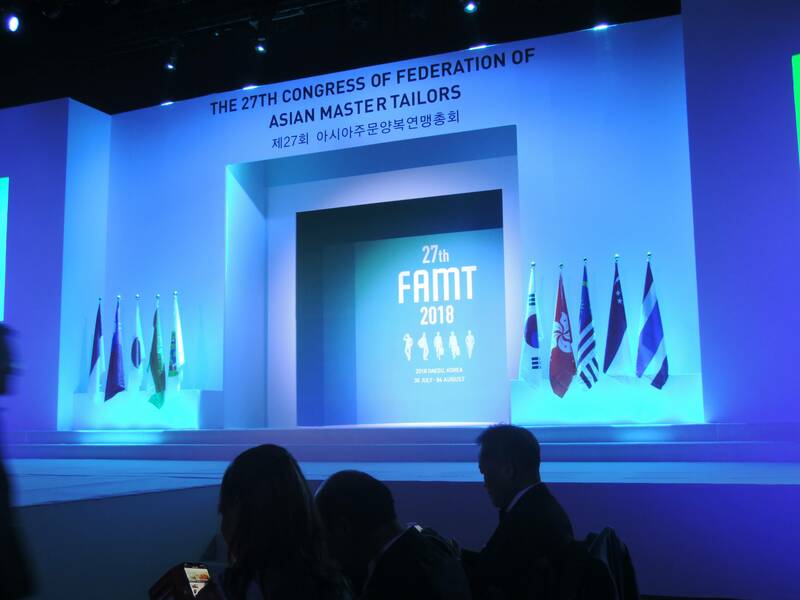 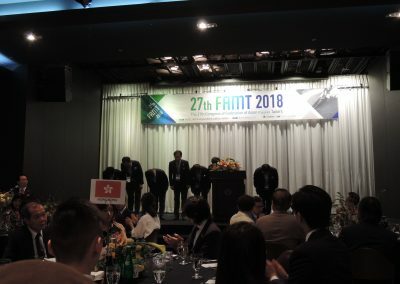 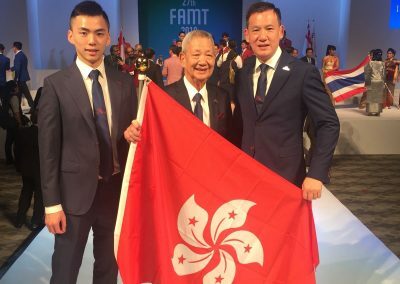 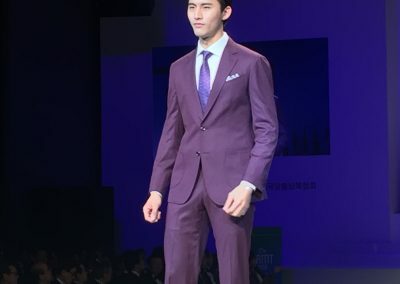 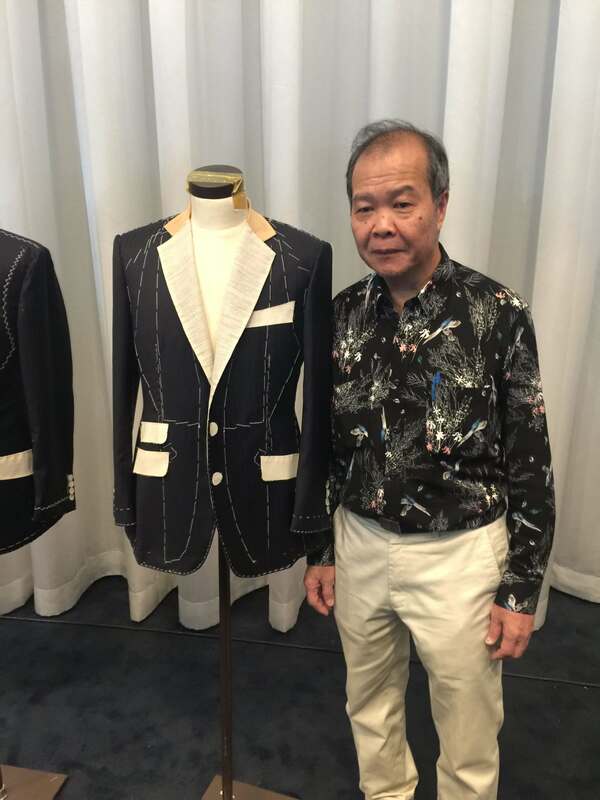 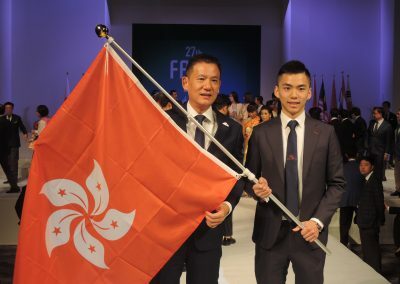 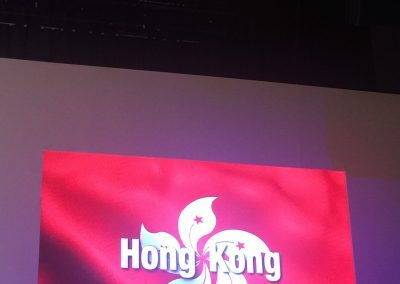 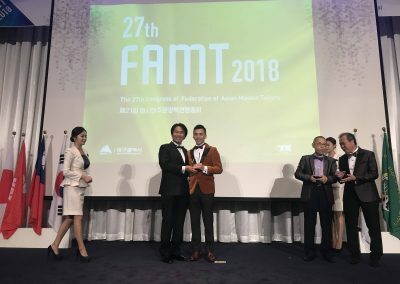 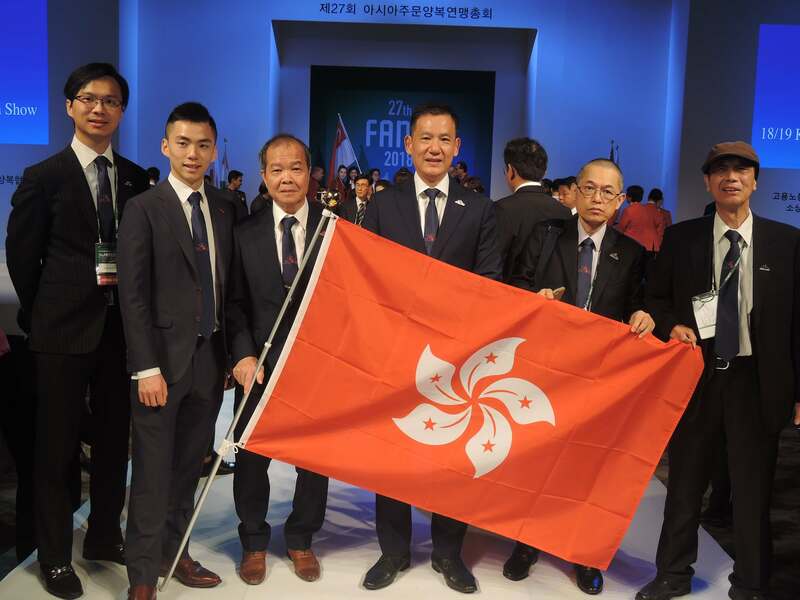 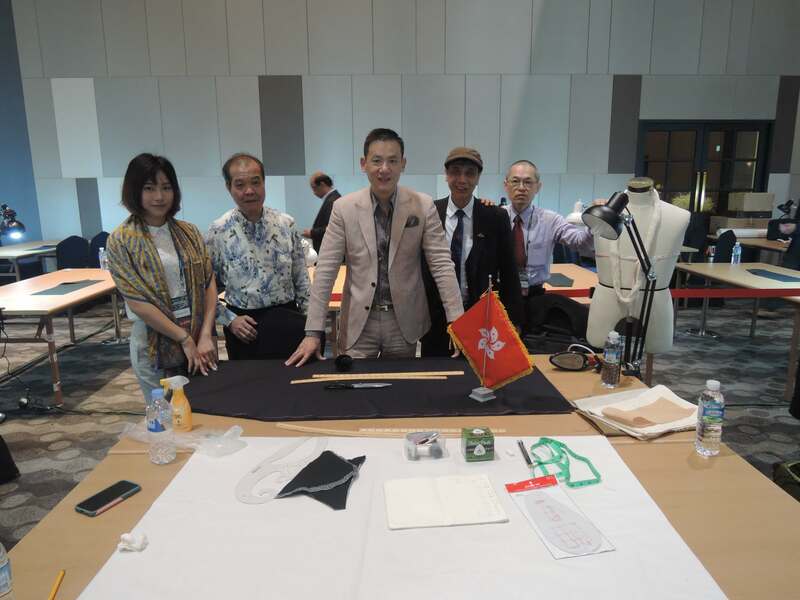 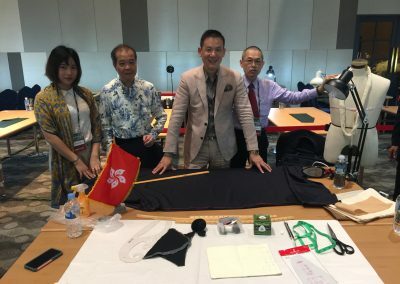 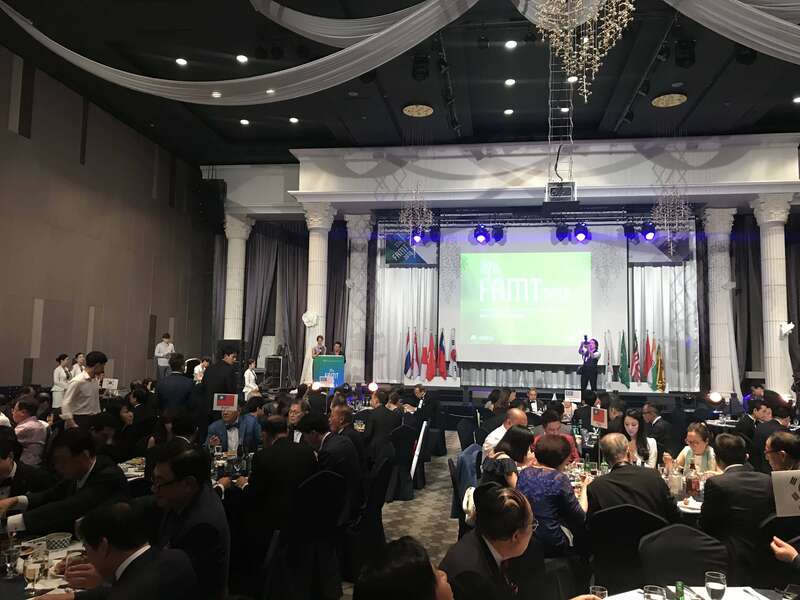 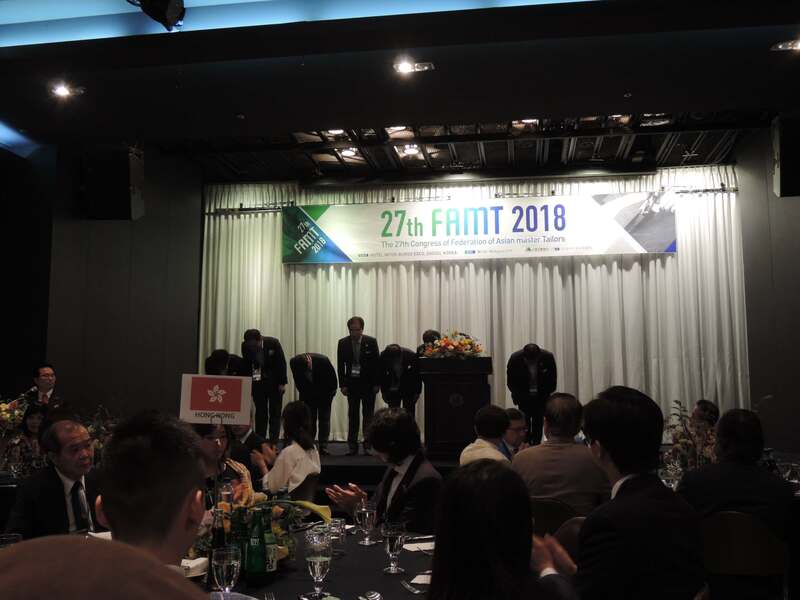 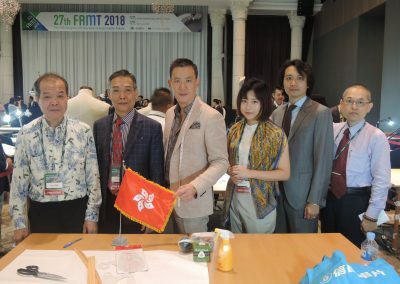 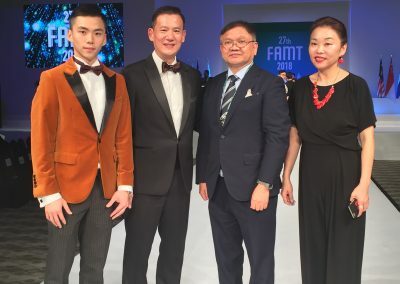 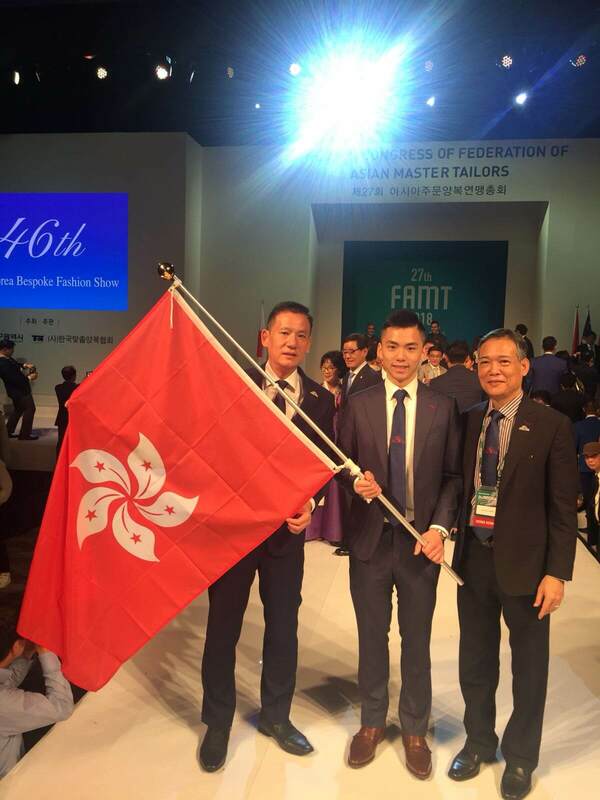 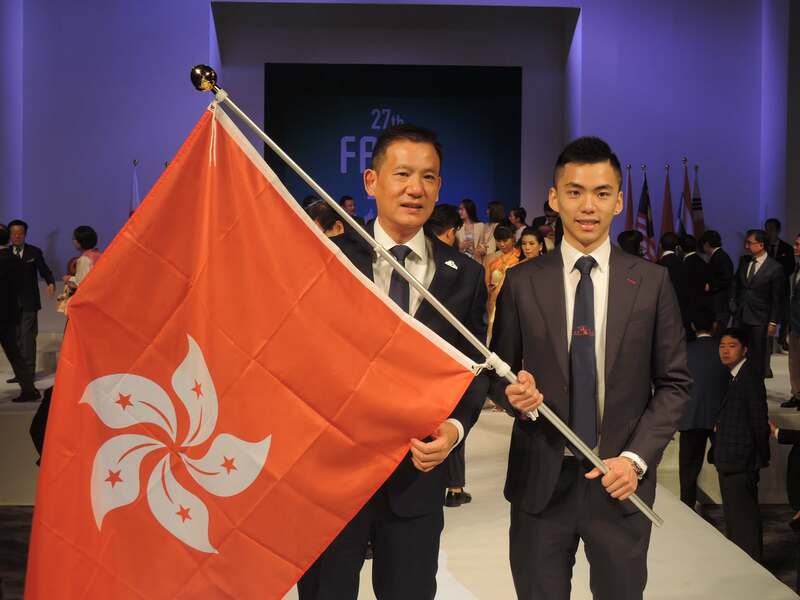 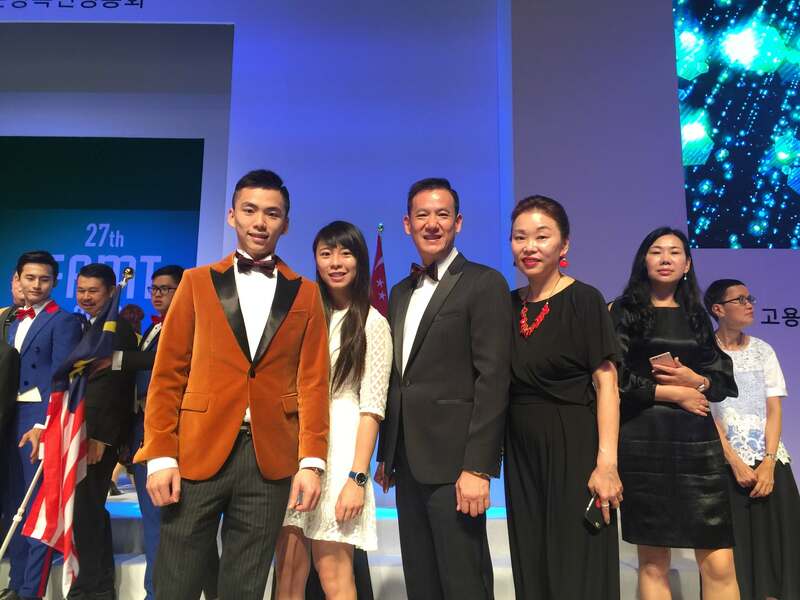 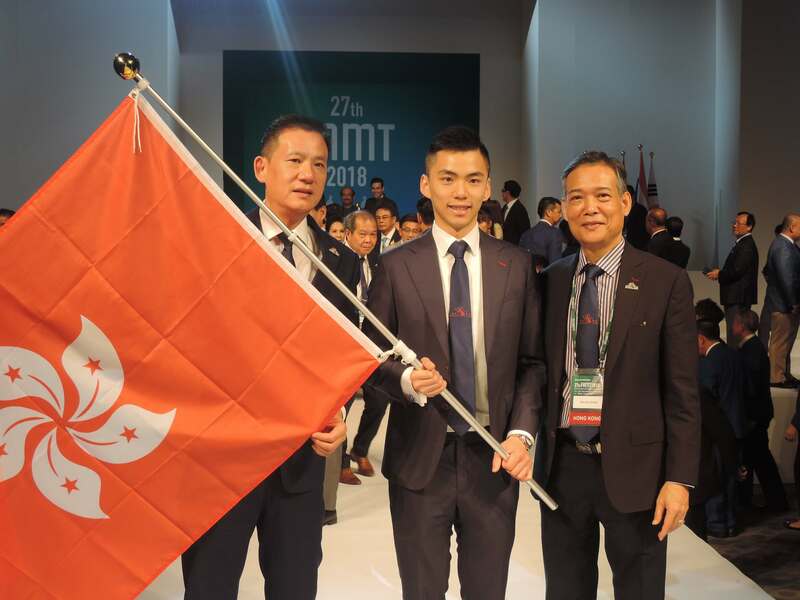 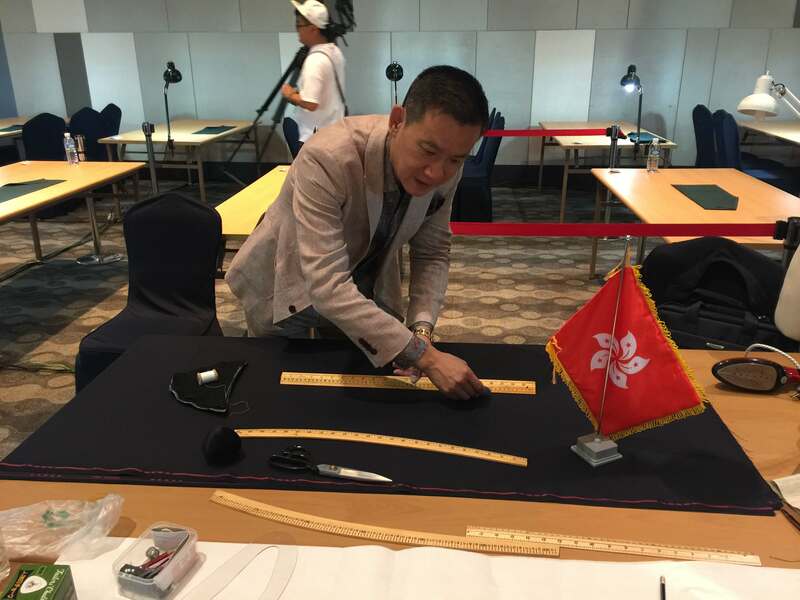 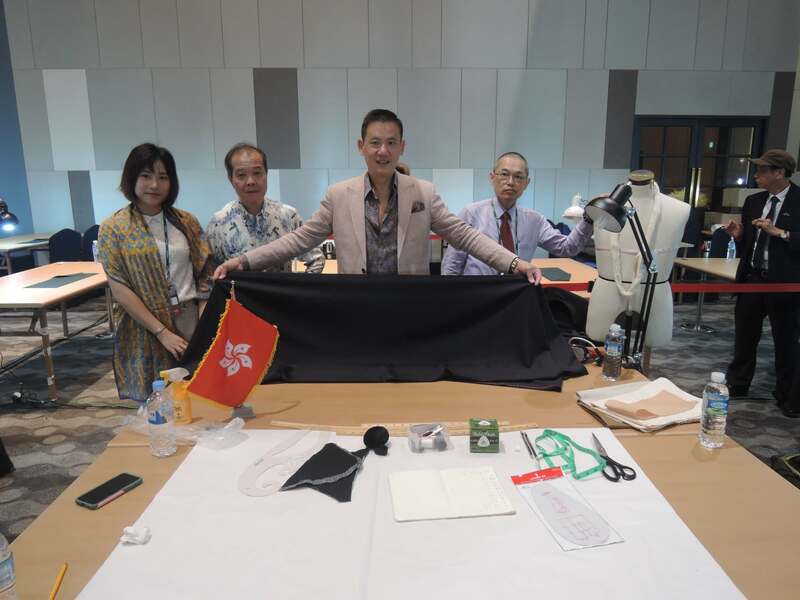 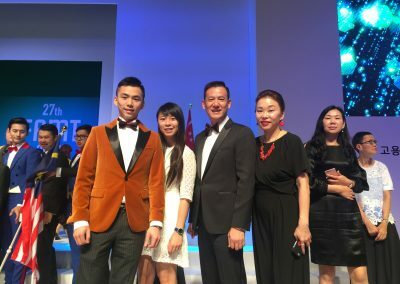 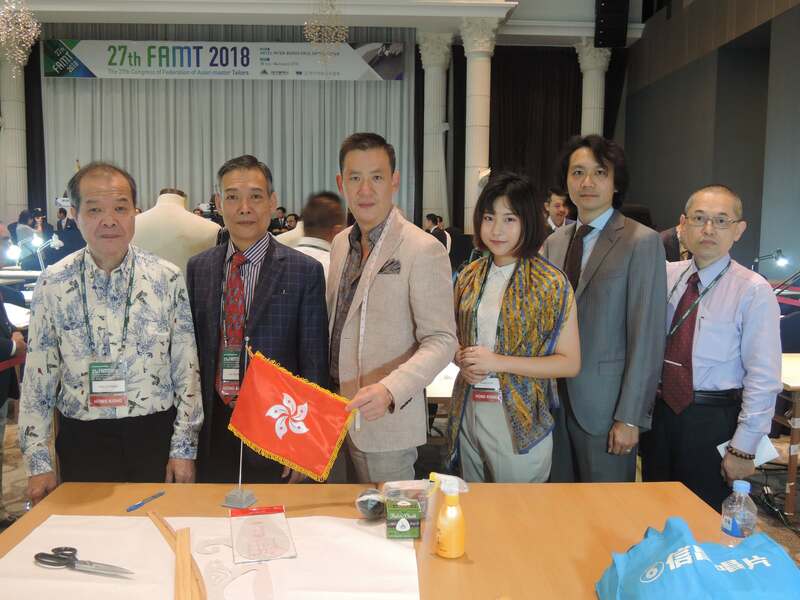 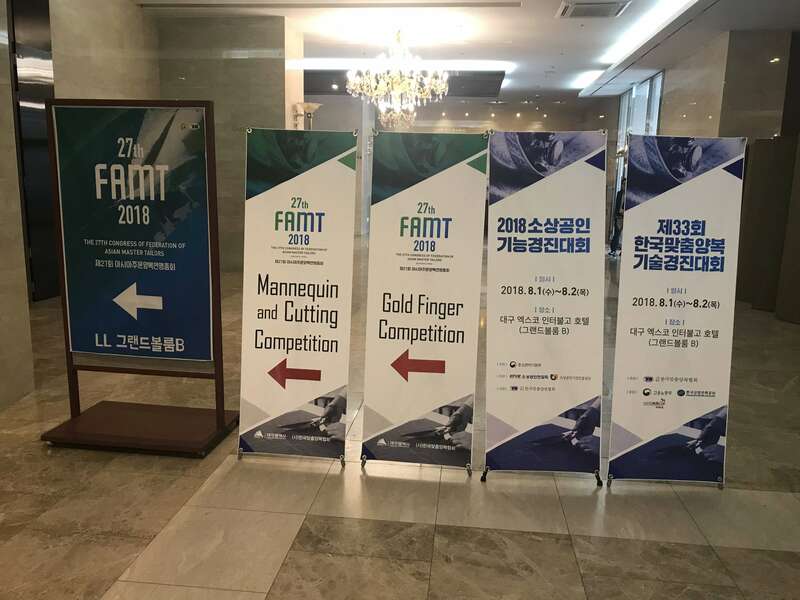 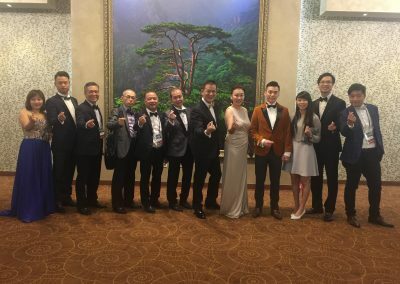 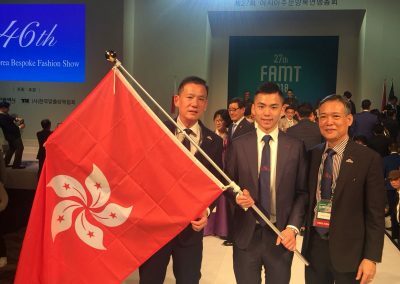 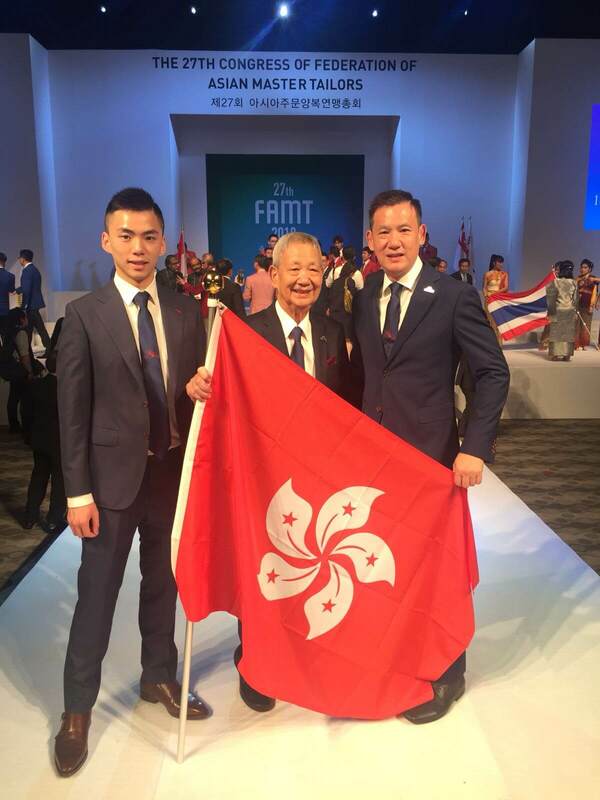 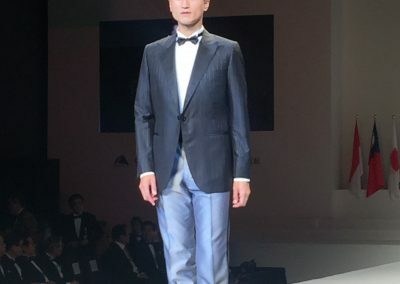 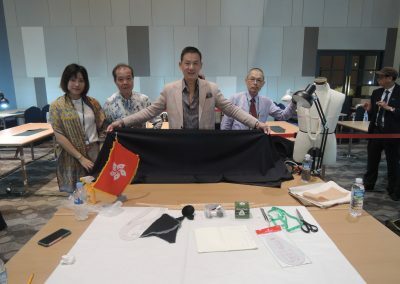 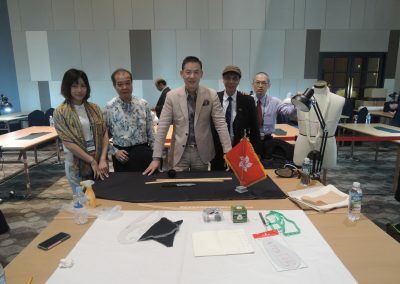 We hope more enthusiastic young tailors and entrepreneurs will participate the 29th FAMT in promoting and developing the tailoring industry in Hong Kong.